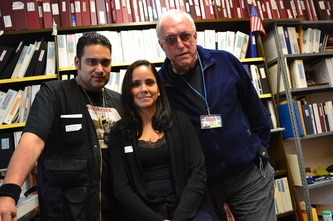 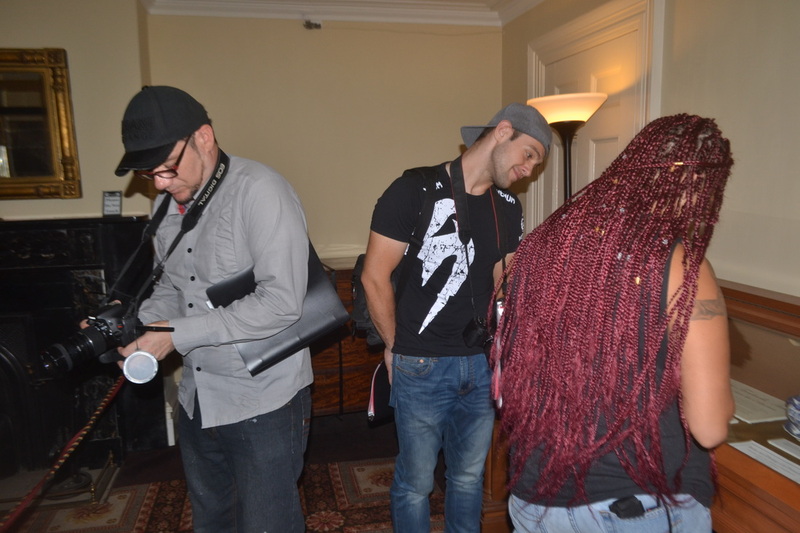 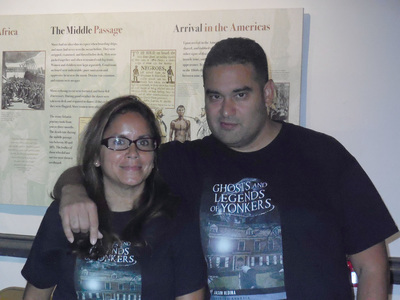 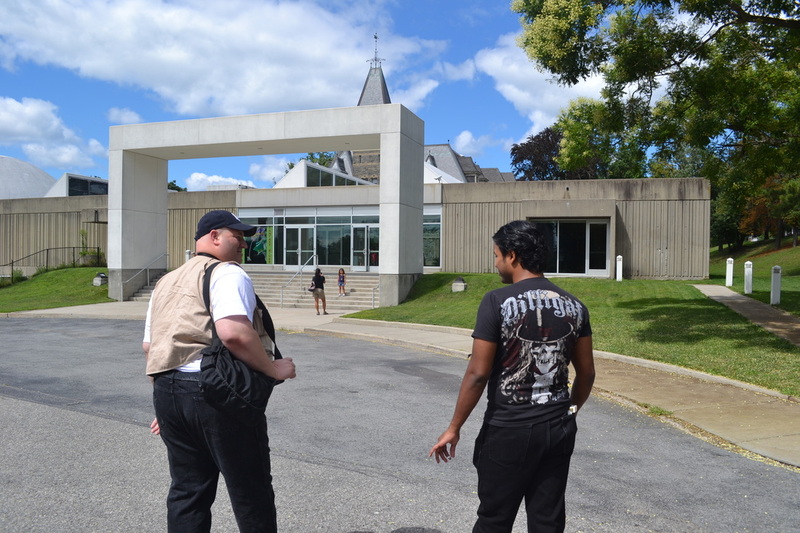 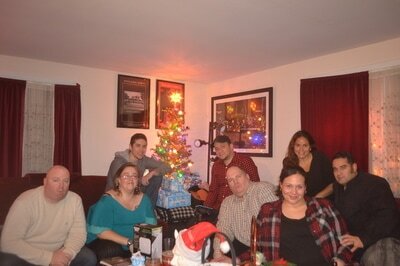 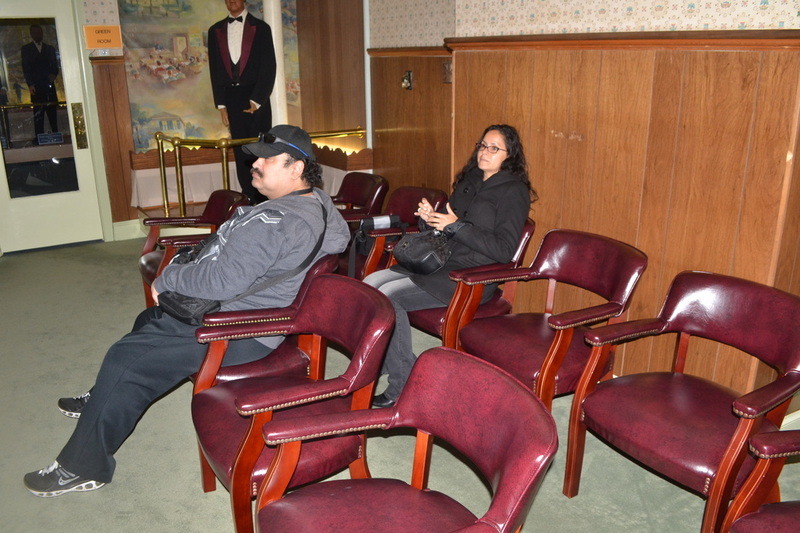 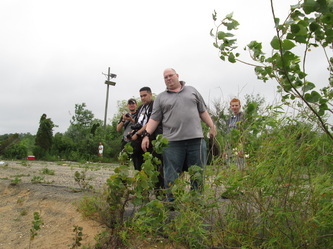 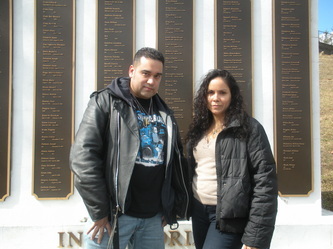 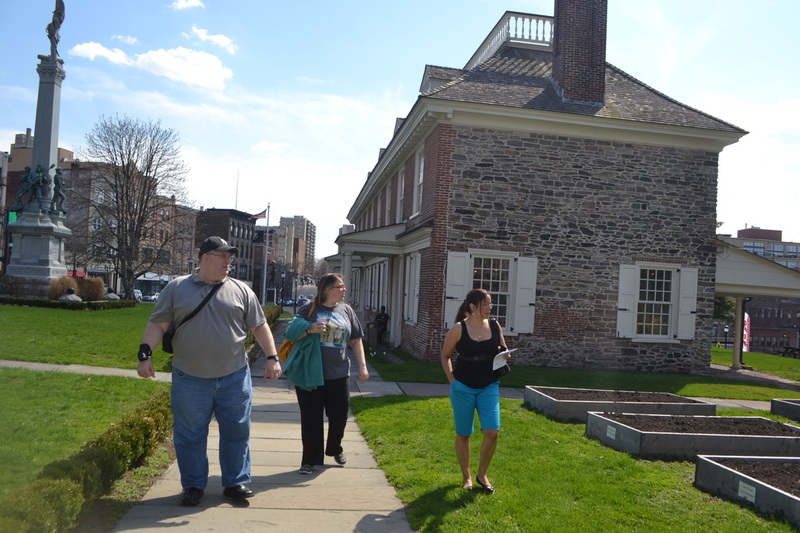 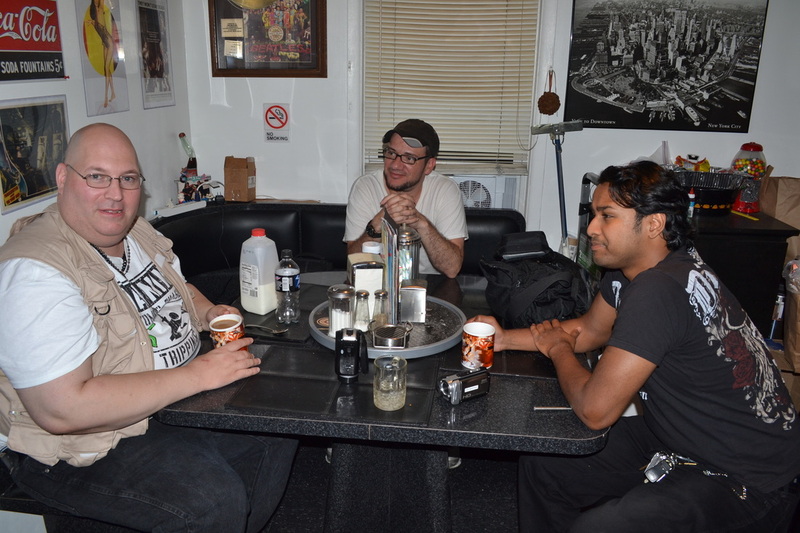 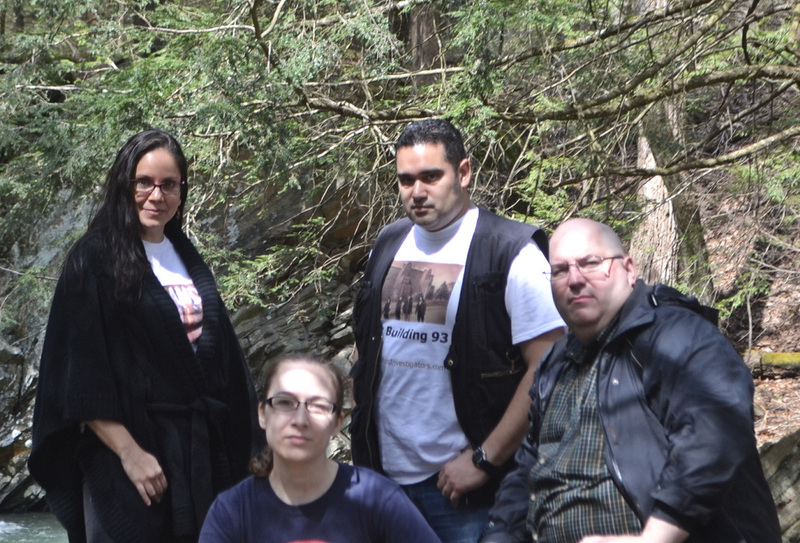 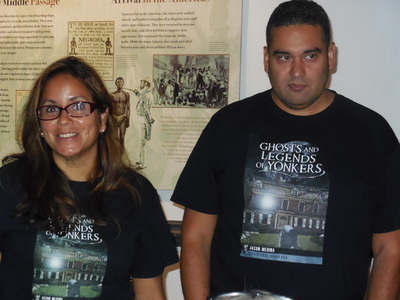 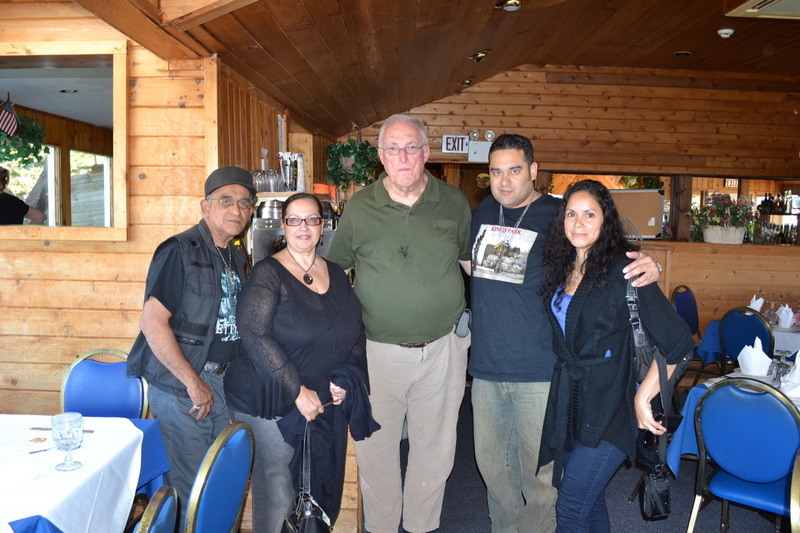 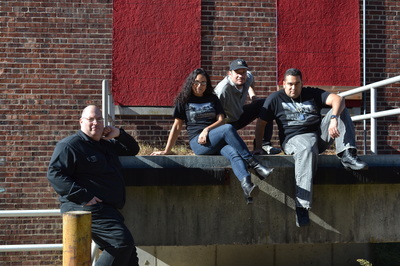 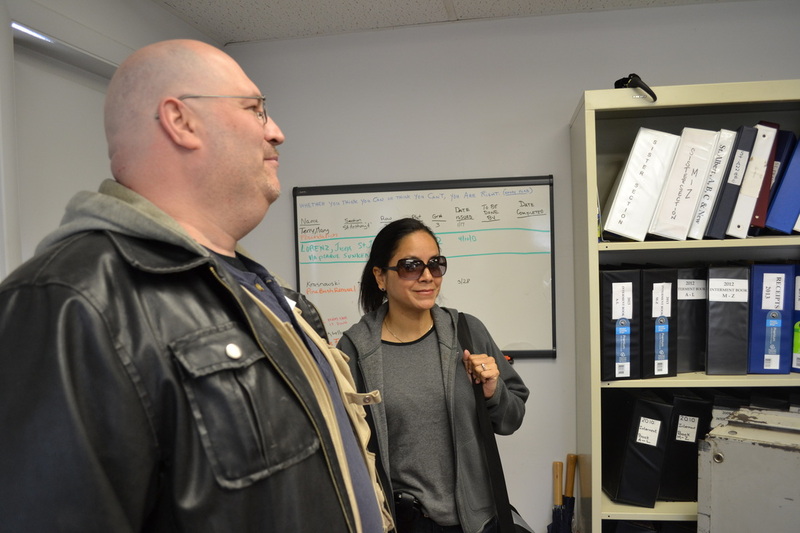 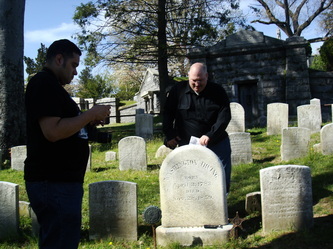 The Yonkers Ghost Investigators consists of 15 team members. 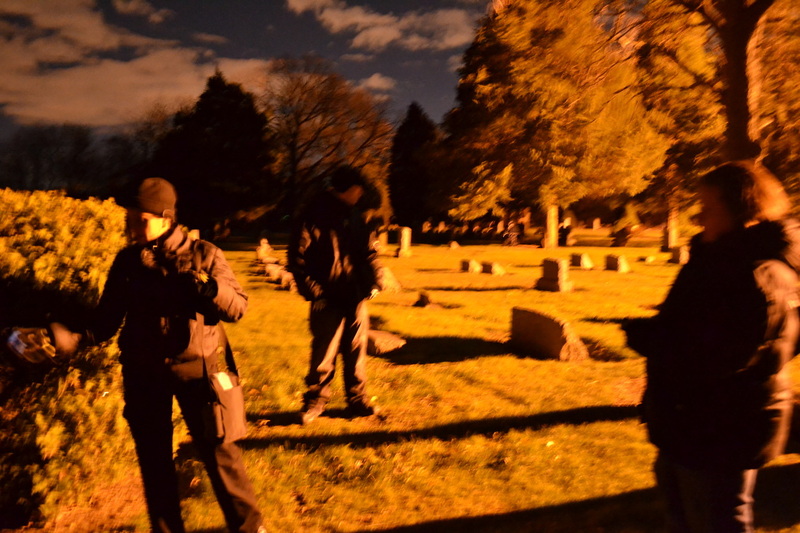 Most team members are placed on active duty and are used for investigations whenever available or appropriate. Those on reserve status can still be used for investigations, as their status does not go against them. 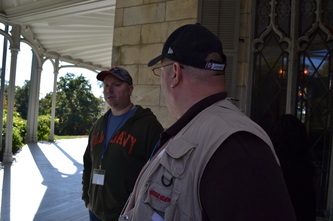 Members on reserve status are on reserve for specific reasons. 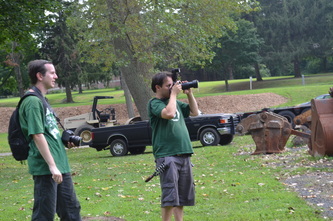 As far as increasing the amount of members on the team, it is not a thing we generally care to do. We usually do not recruit new members just because they looked at our website, live in Yonkers, and want to go searching for ghosts. 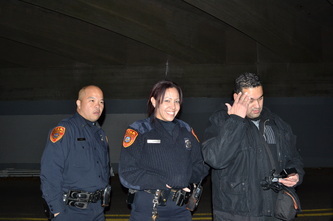 We prefer it if new recruits are already known to at least one team member prior to admitting them to the team. 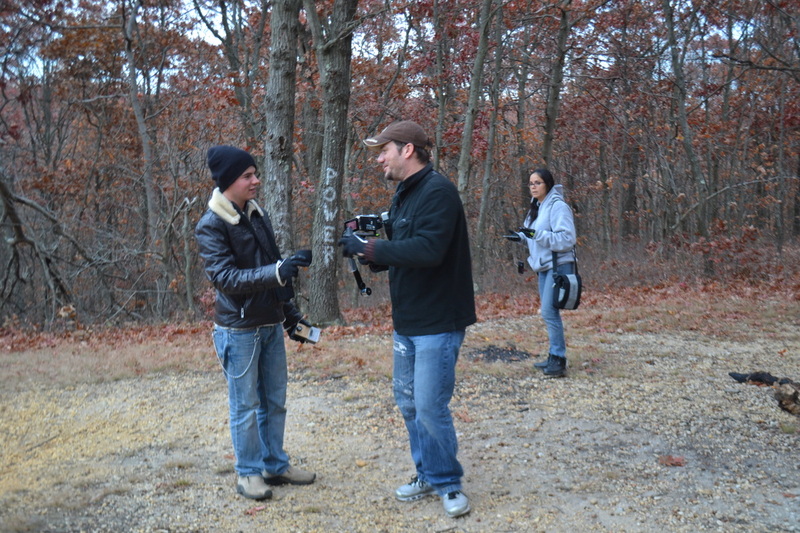 It greatly has to do with trust. 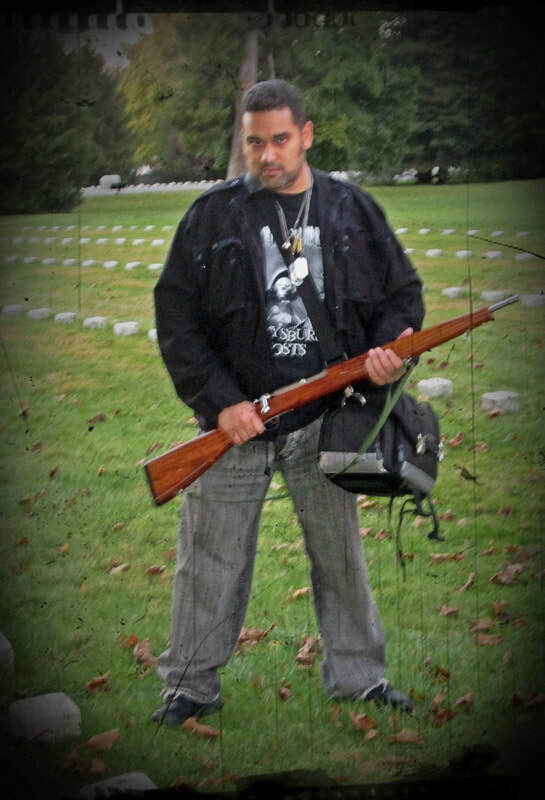 We apologize, but if we do not know you, then your request to join will probably be denied. We already have enough team members. We are not looking to grow in numbers, as we feel it is best to focus with a small group. Of course, we appreciate the interest in our team and hope you will continue to show your support. Thank you. 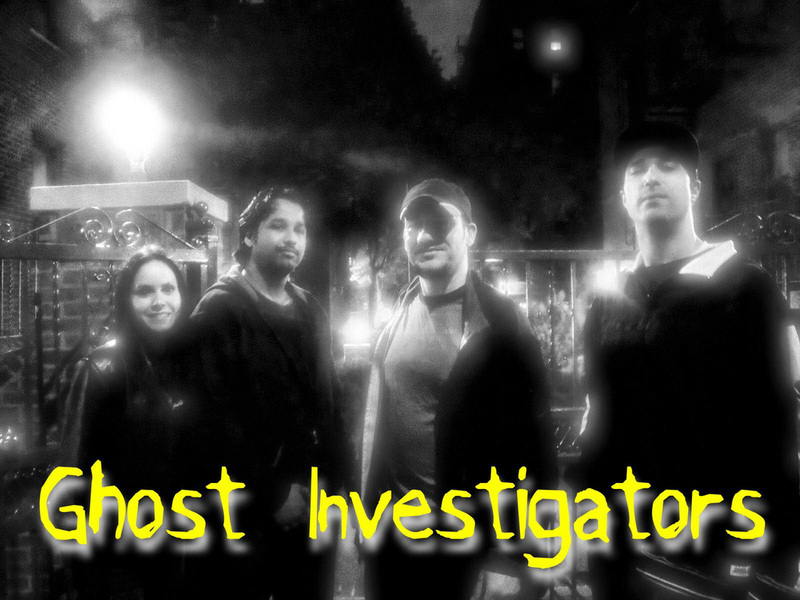 We greatly encourage you to start your own paranormal teams. 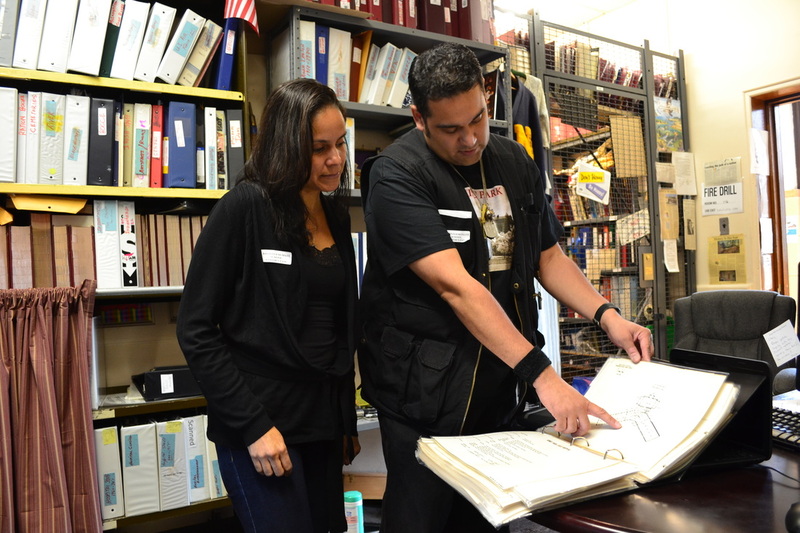 We'd be more than happy to assist you with your journey in doing so. It's not a competition for us. 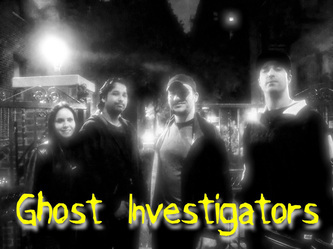 That being said, our current entire team is listed below, along with their duties. Jason at Oakland Cemetery setting up a tape recorder to capture EVPs. 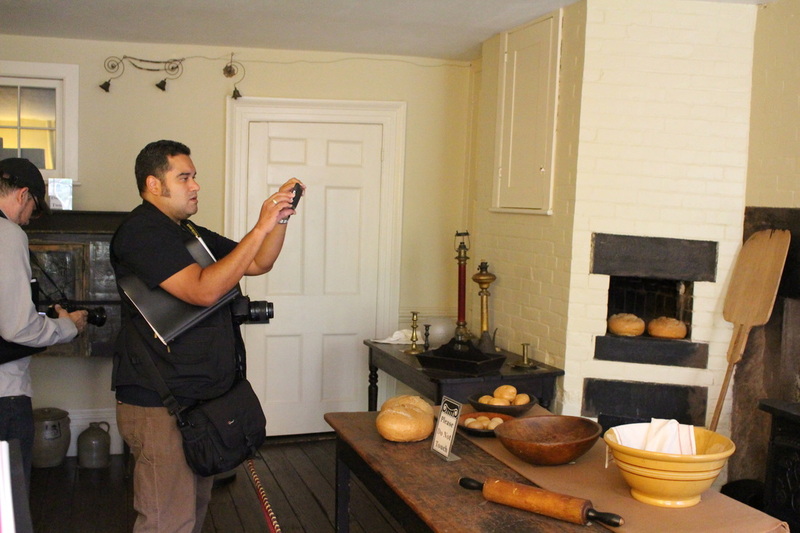 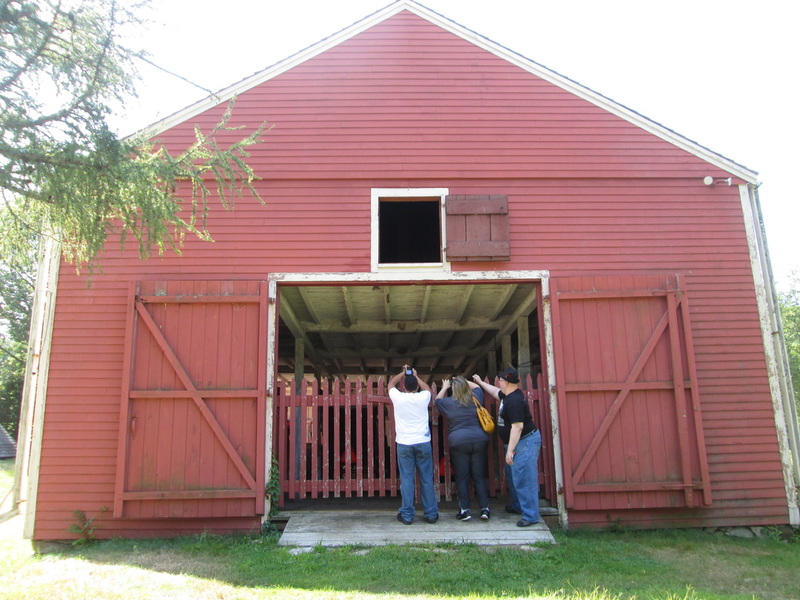 Taking photos at Longfellow's Wayside Inn. Hotel Provincial in New Orleans. 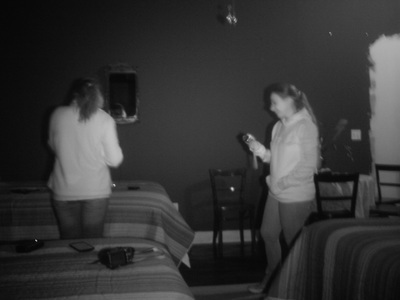 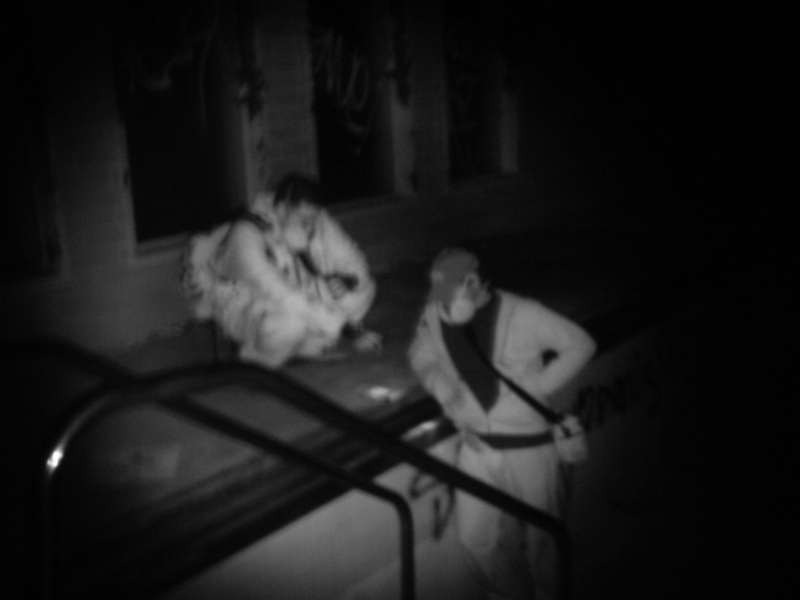 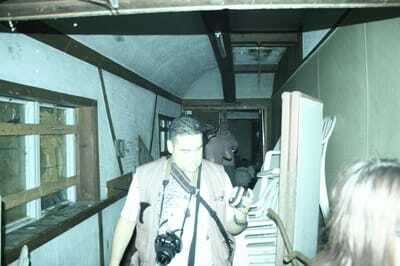 An infrared photo of an EVP session in the Bordello at the Shanley Hotel. 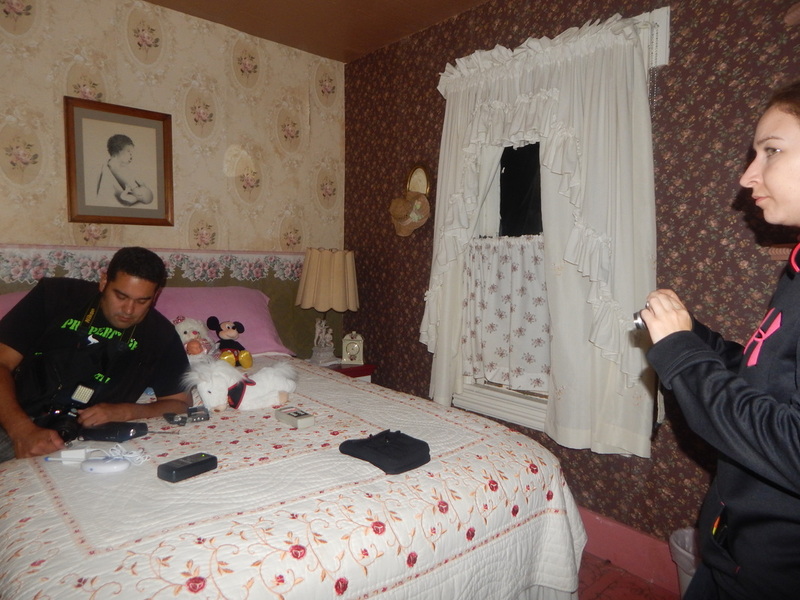 EVP session in Rosie's room at the Shanley Hotel. 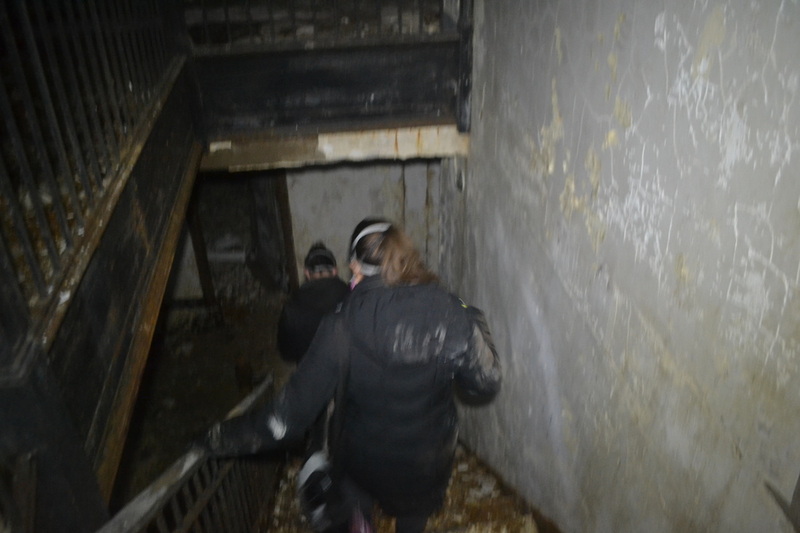 Climbing up the ladder to the roof of Building 23 at the KPPC, sometime before it was demolished. 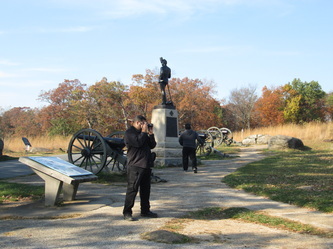 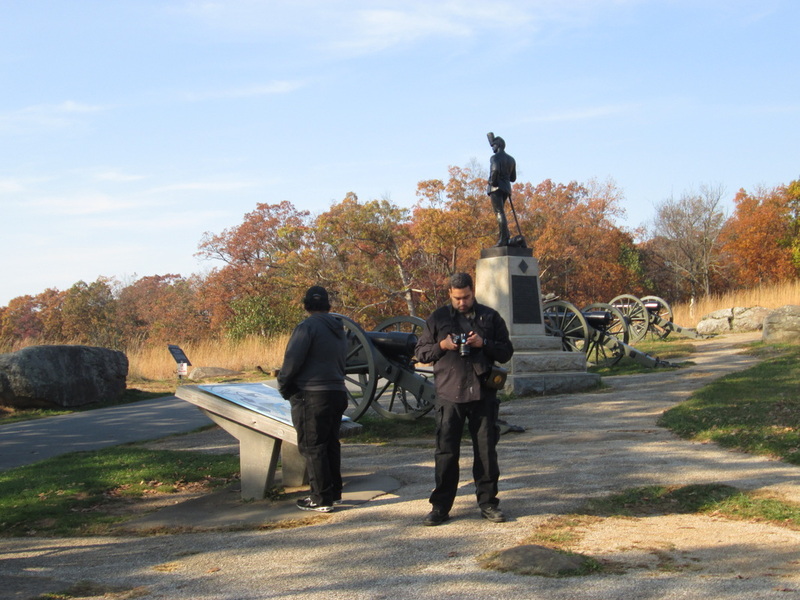 Taking photos at Devil's Den in Gettysburg. 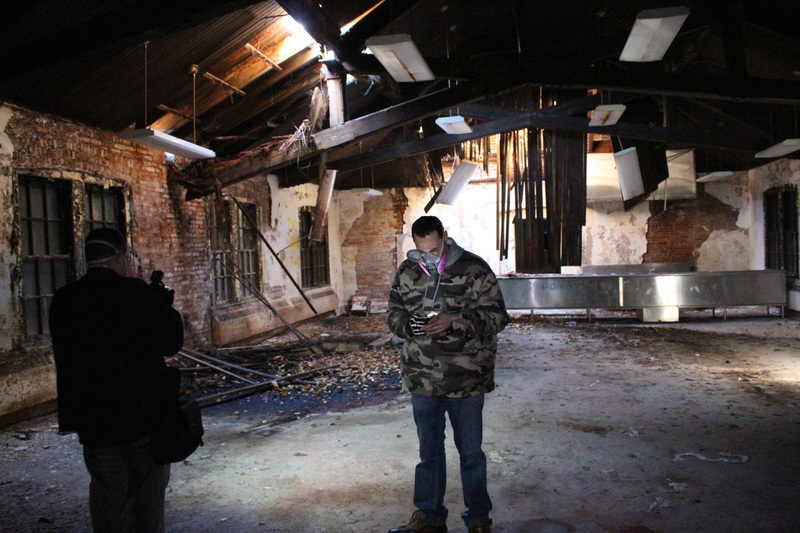 Jason outside of the old Salesian School in Goshen. 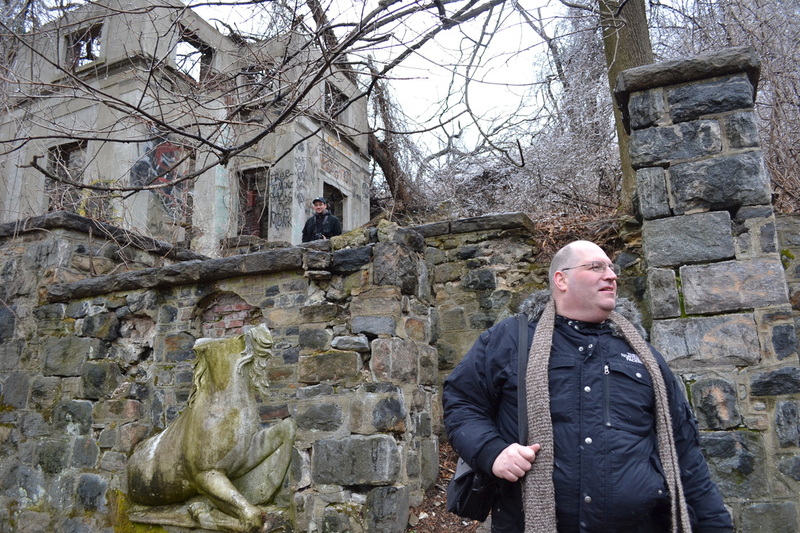 That's not Santa Claus in the chimney at Untermyer Park's old carriage house. 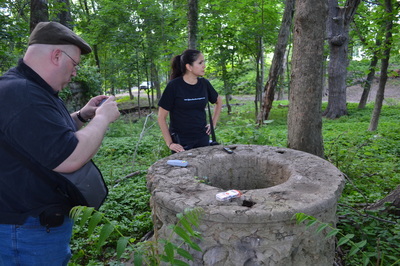 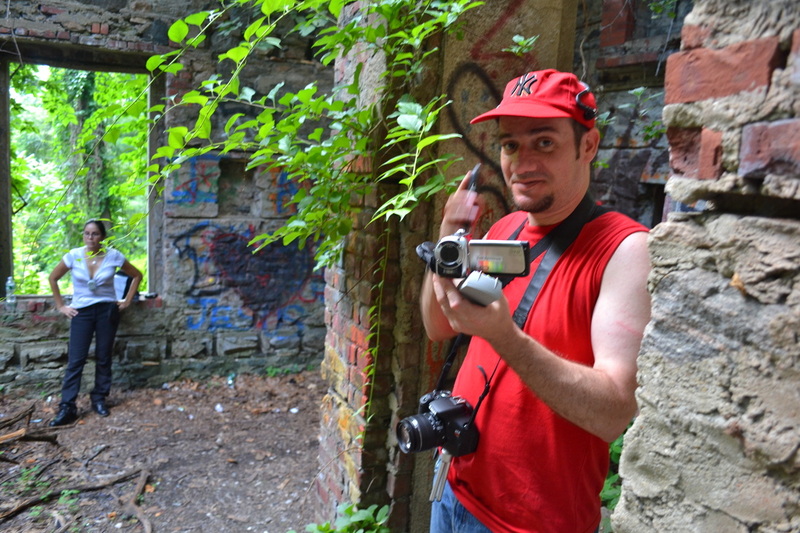 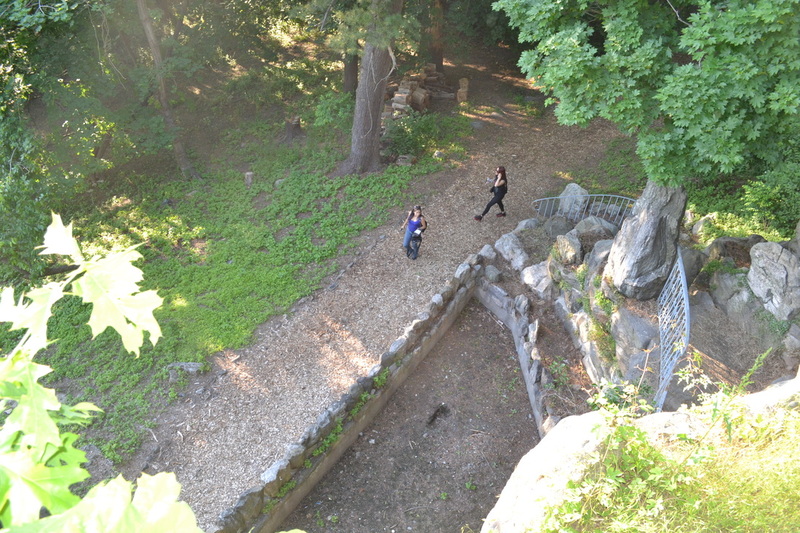 Photographing the Southfield Clove Furnace Ruins. 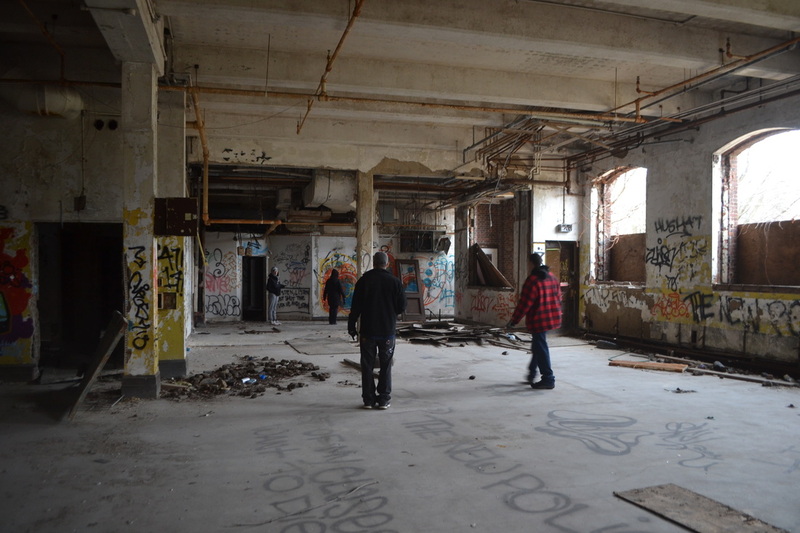 Exploring Building 144 aka Home T at Kings Park. Stepping out at KPPC Group 4 aka the Quad. 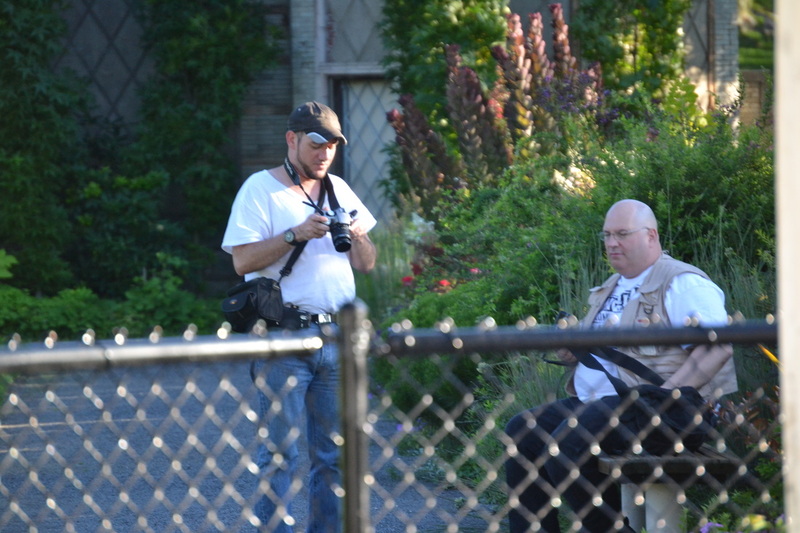 Taking photos from the roof of Building 7 at the KPPC. 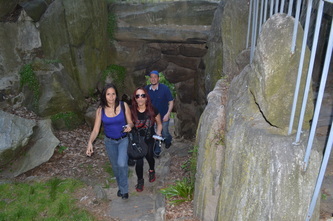 Entering Building 7 via the tunnels at Kings Park. 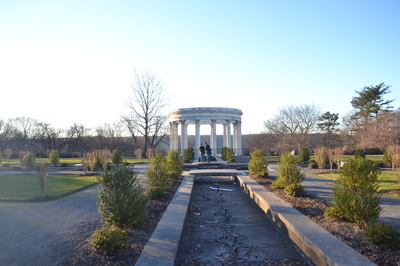 Mr. William's Hole at Untermyer Park. Entering a tunnel at the Boyce Thompson Institute. 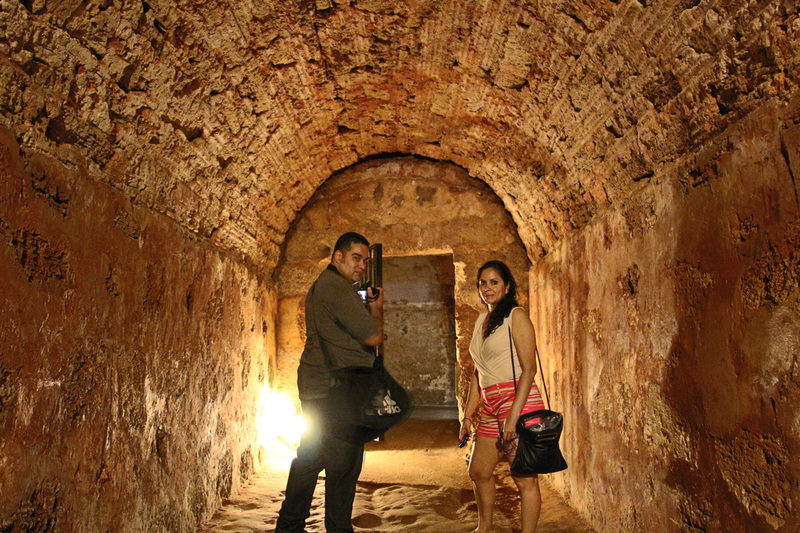 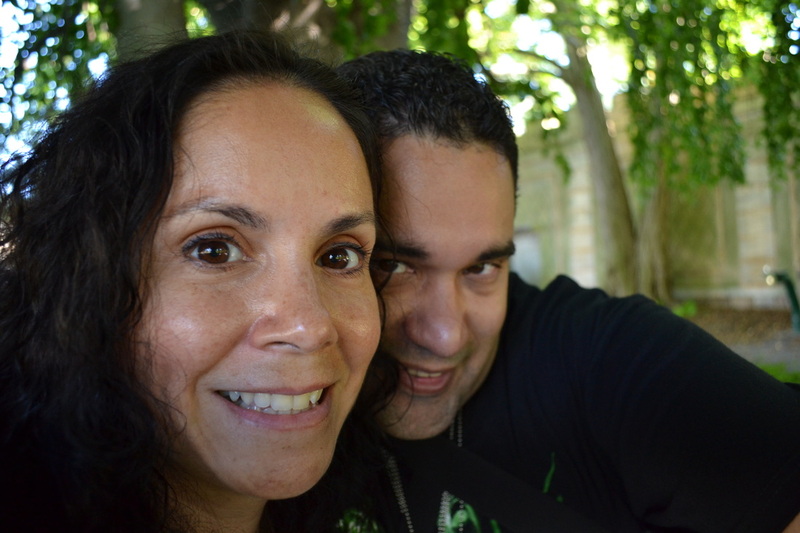 Taking a photo in the underground tunnels of Kings Park. 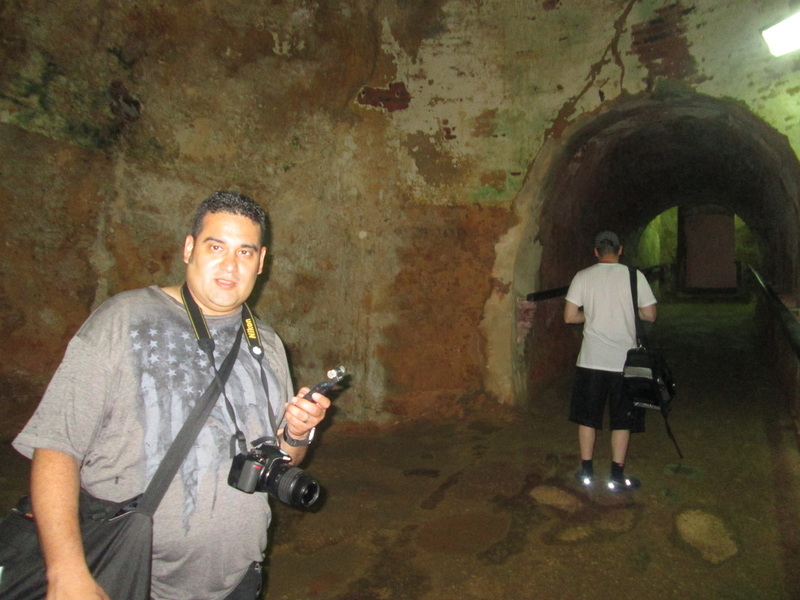 Isla de Cabras abandoned leper colony in Puerto Rico. Jason near the wall crypts at the Santa Maria Magdalena de Pazzis Cemetery in Old San Juan, PR. 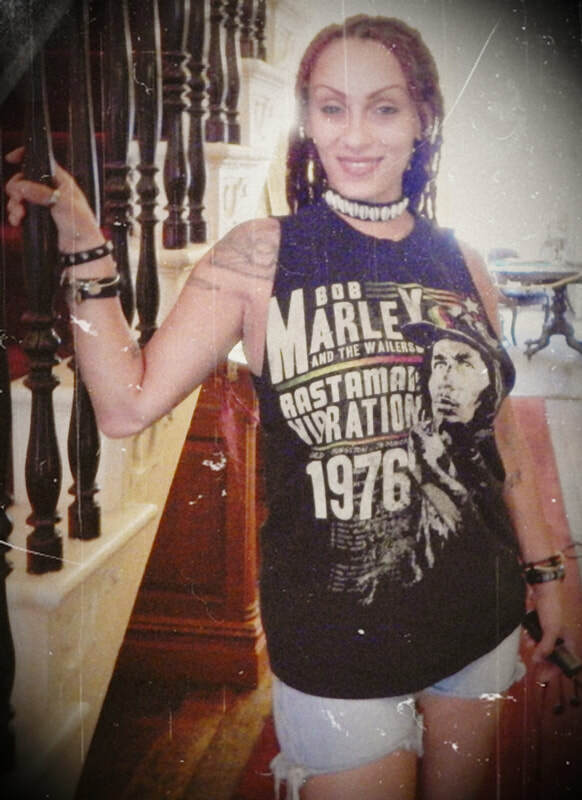 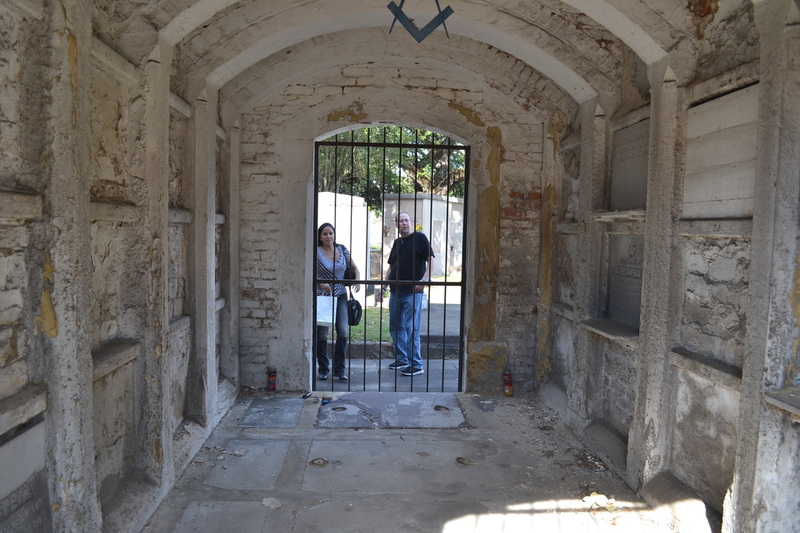 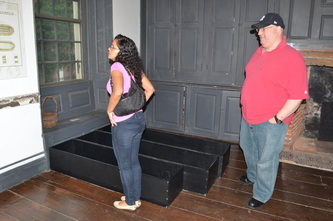 Posing near the tomb of voodoo queen, Marie Laveau, at the St. Louis No. 1 Cemetery in New Orleans. 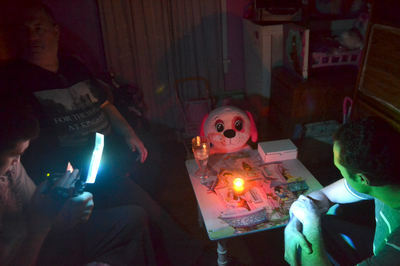 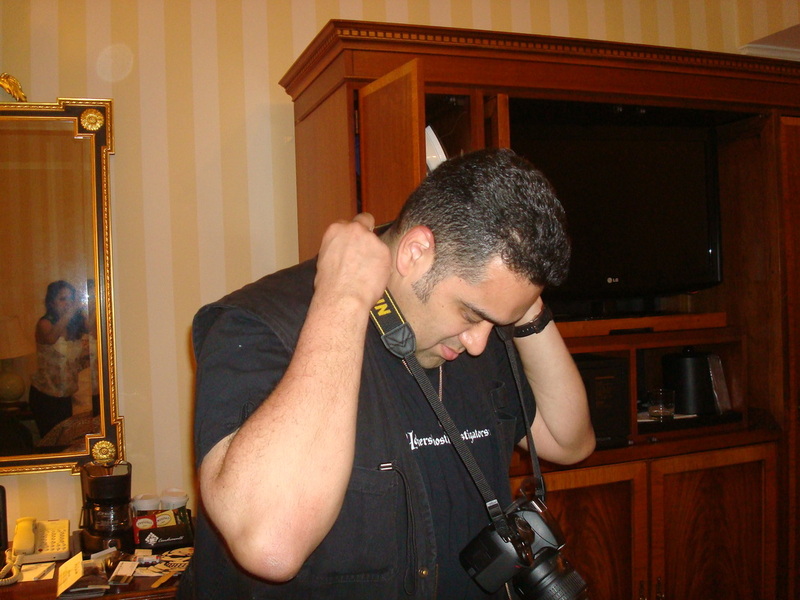 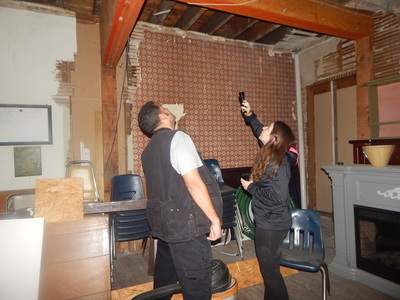 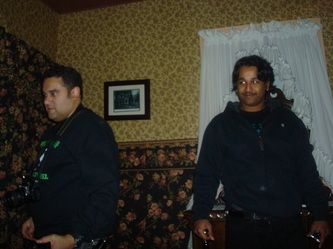 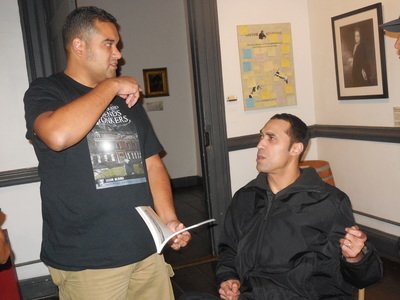 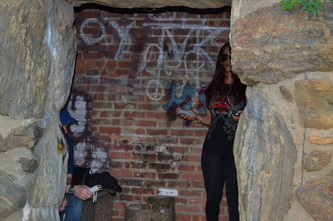 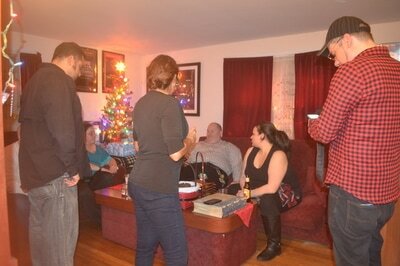 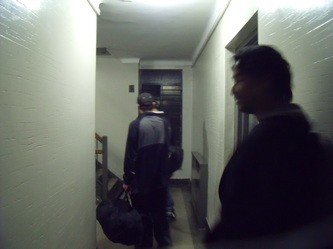 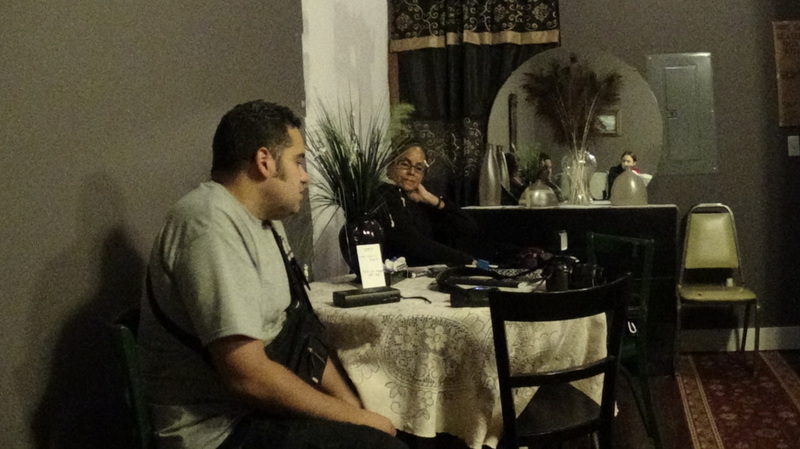 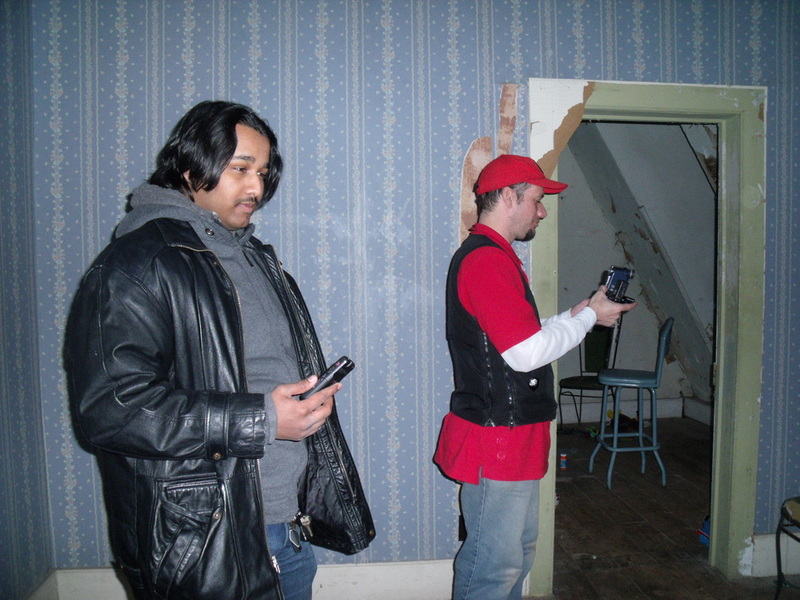 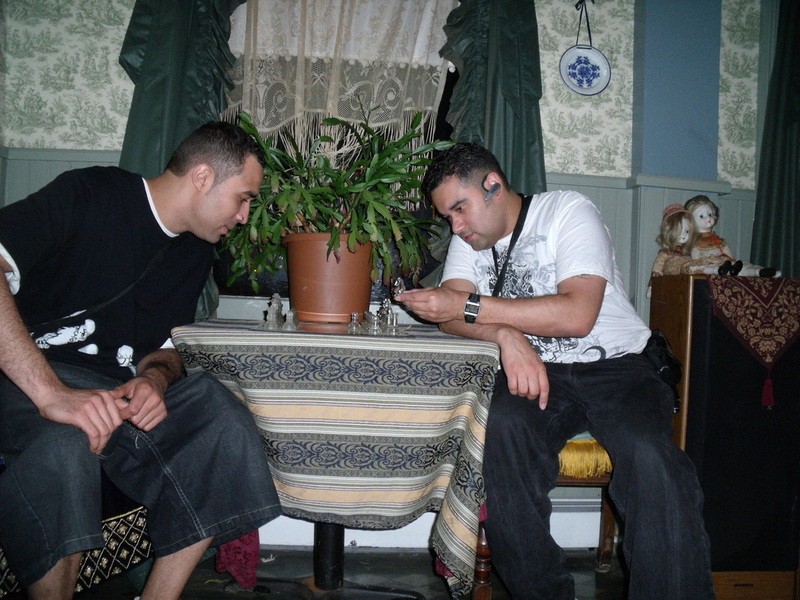 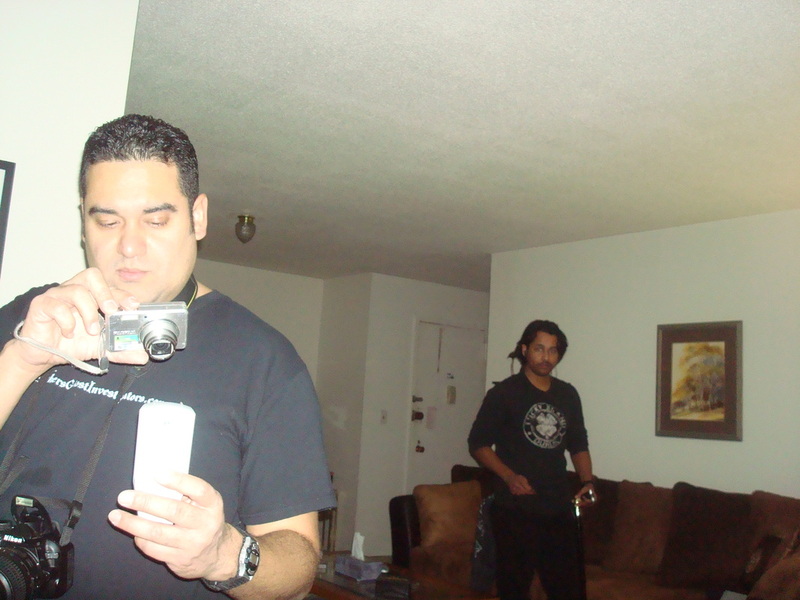 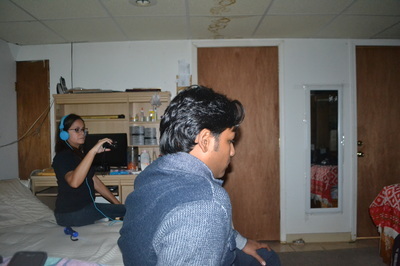 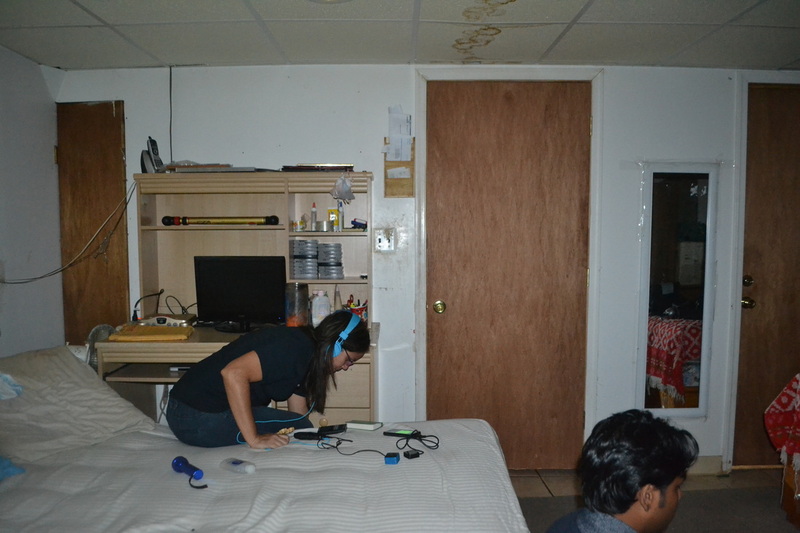 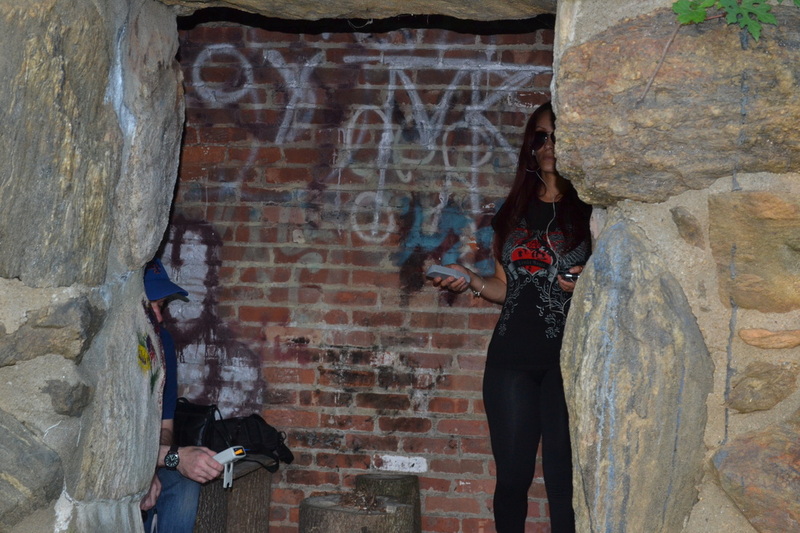 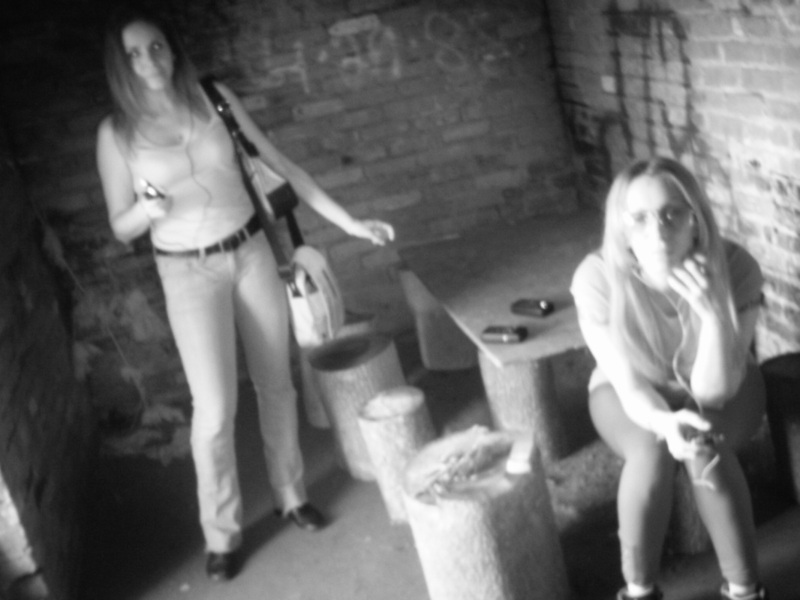 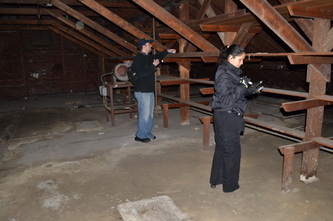 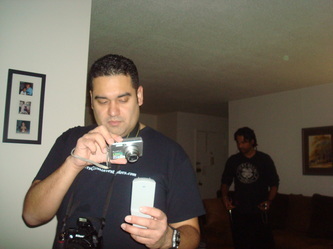 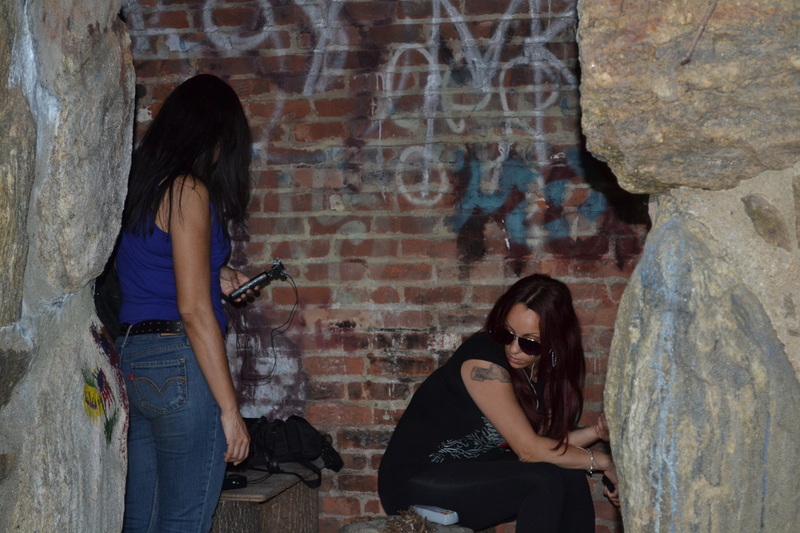 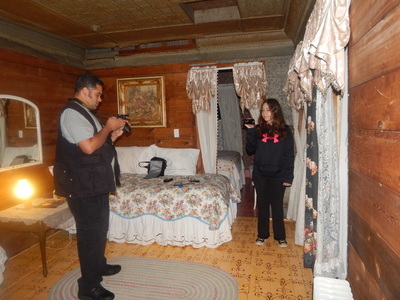 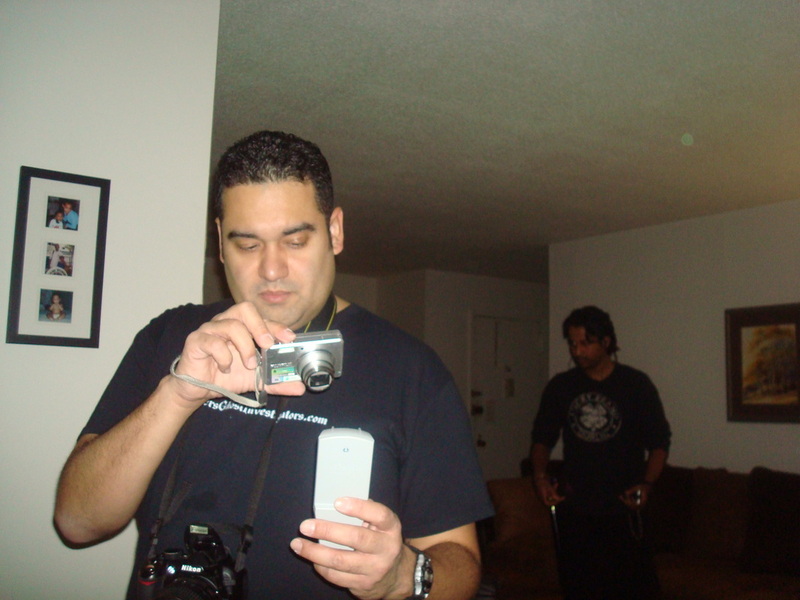 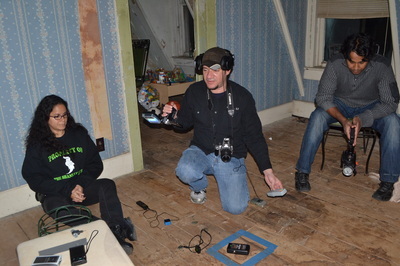 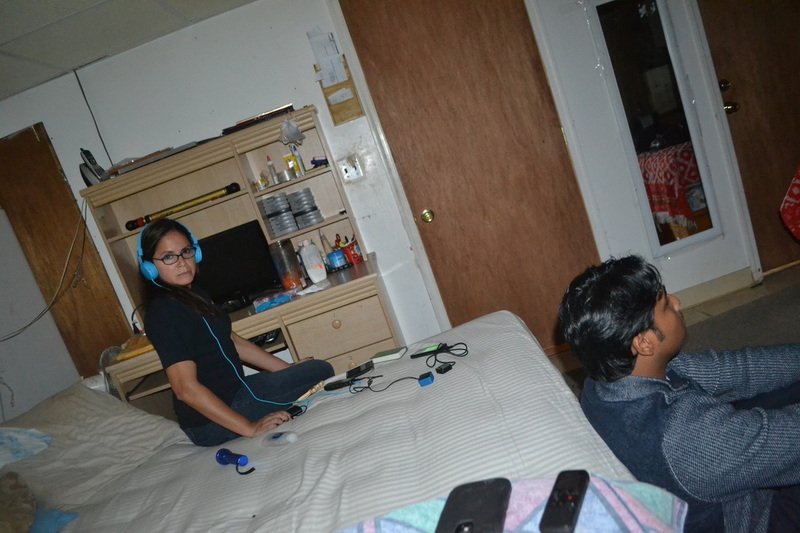 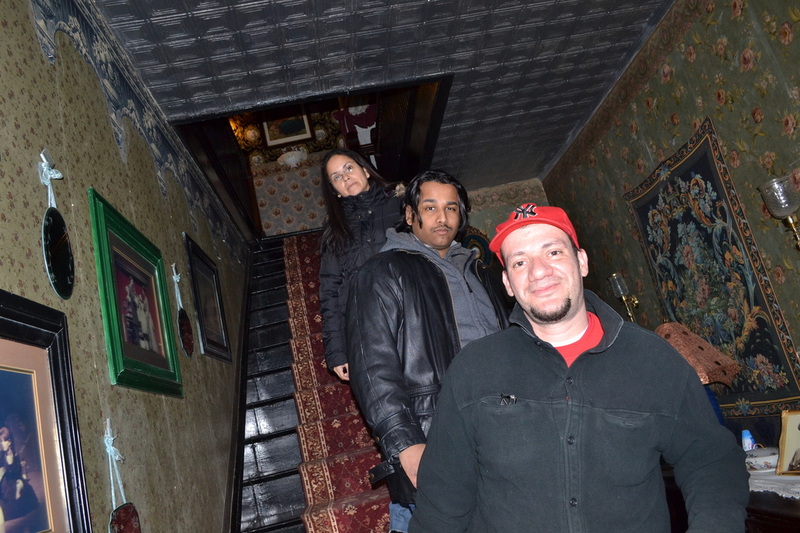 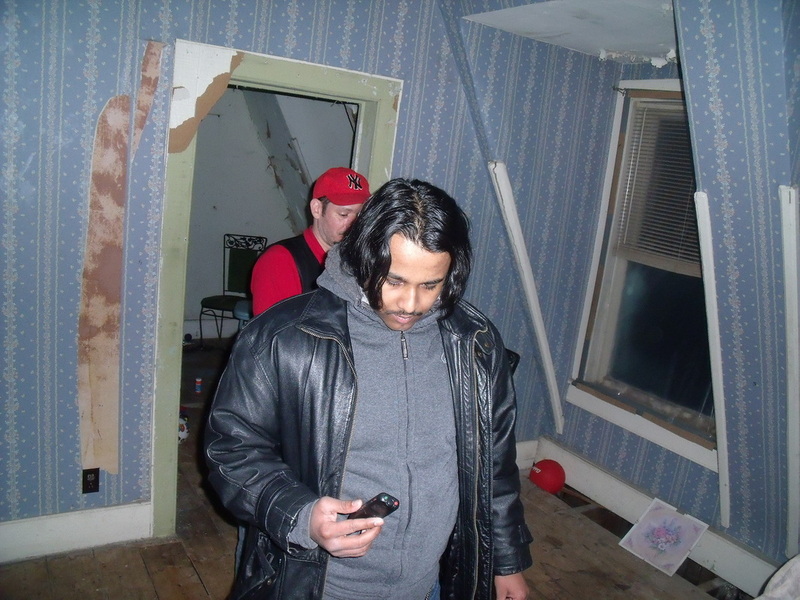 Conducting an EVP session during a residential investigation in Astoria. 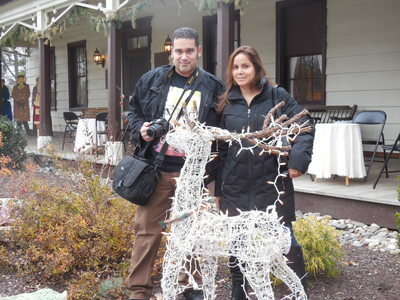 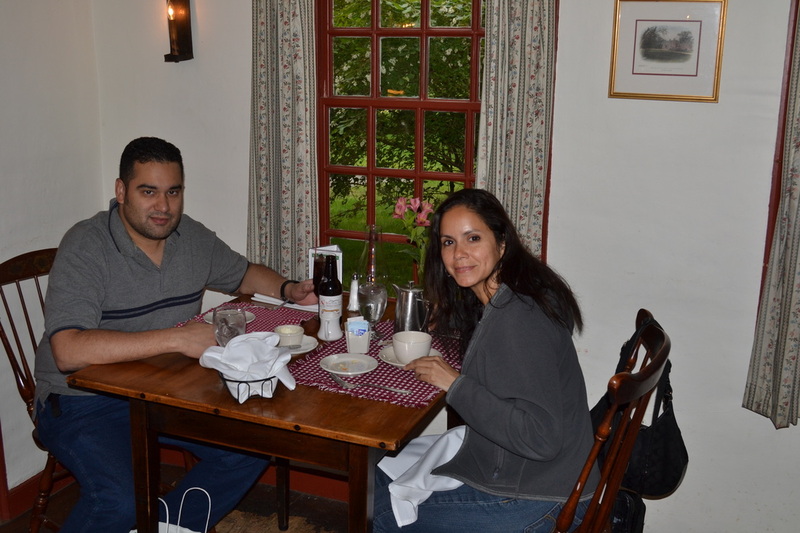 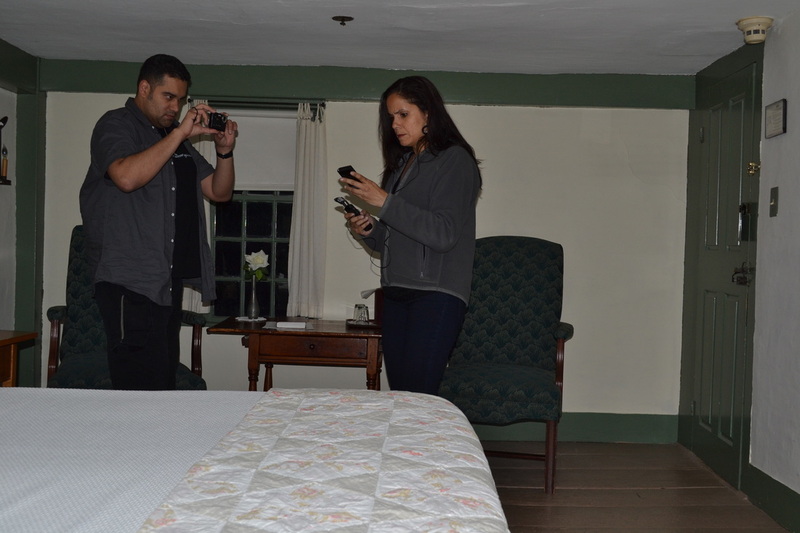 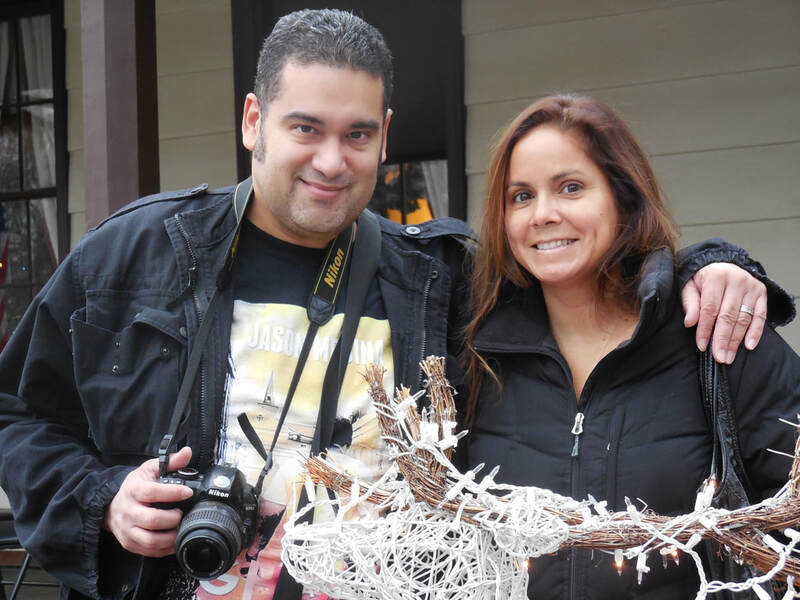 Taking photos at Longfellow's Wayside Inn in Massachusetts. 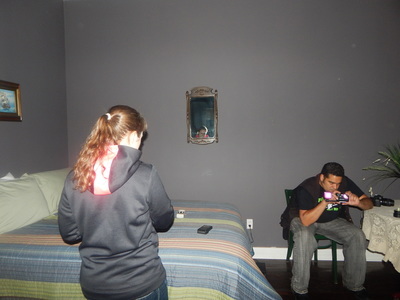 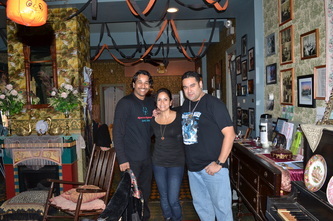 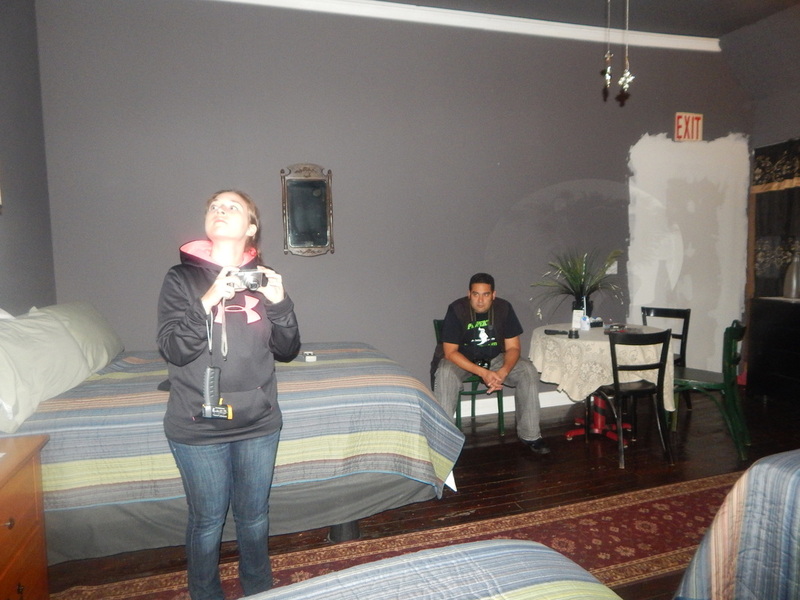 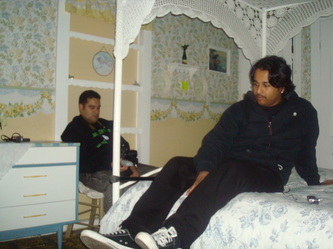 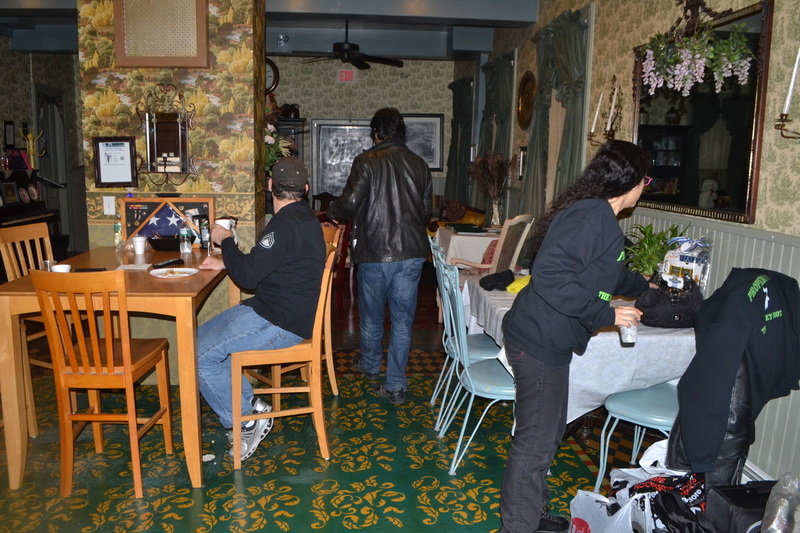 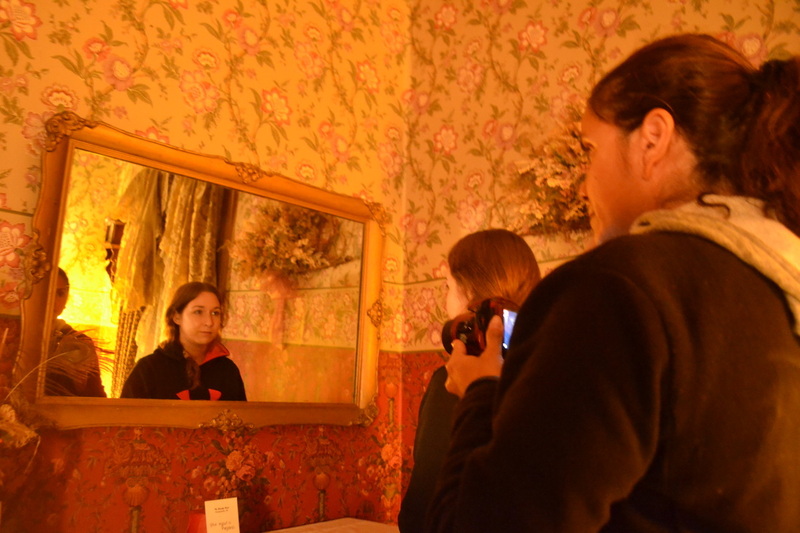 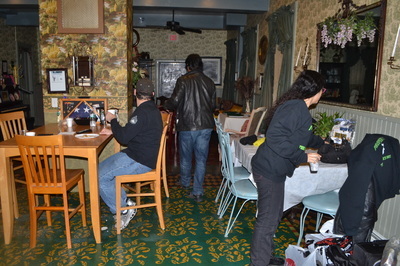 Jo-Ann doing an EVP session in Rosie's room at the Shanley Hotel. 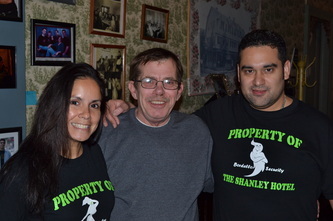 Down in the secret room of the Shanley Hotel. In the basement of the Shanley Hotel. Walking through the tunnels beneath Group 2 at the KPPC, which are no longer accessible. 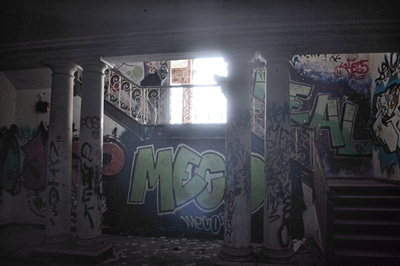 Inside a staff house at Kings Park. Conducting an EVP session inside of the synagogue at Letchworth Village. Investigating the attic of the Beechmont Bed & Breakfast in Hanover. Enjoying the sunset from the roof of Building 7 at the KPPC. 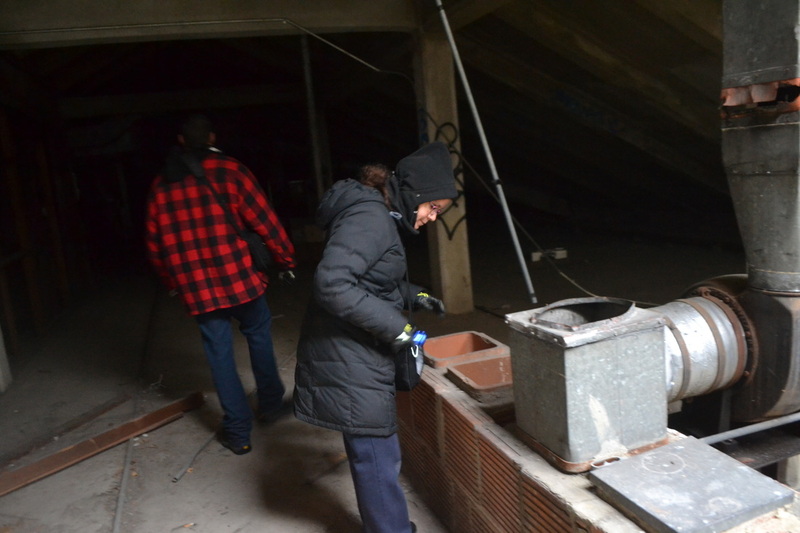 Stepping off the roof of Building 93 at the KPPC. 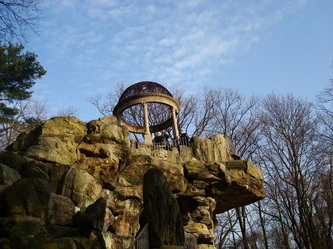 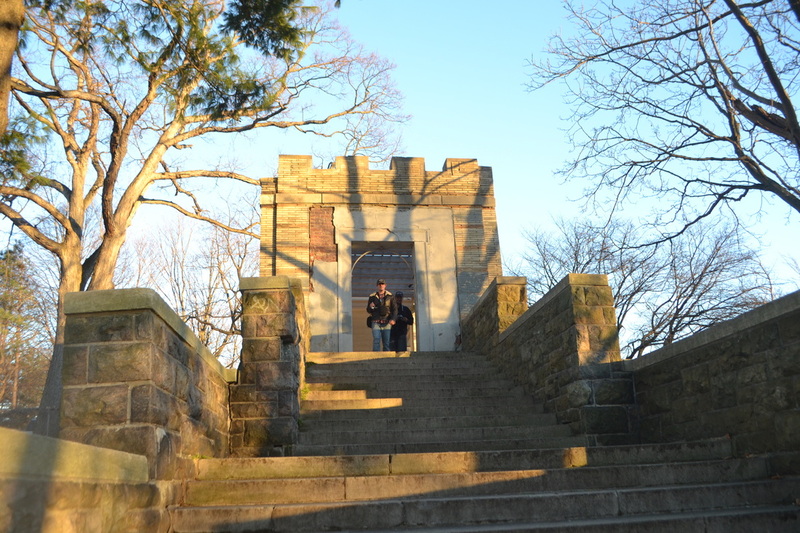 The Temple of Love at the Eagle's Nest in Untermyer Park. 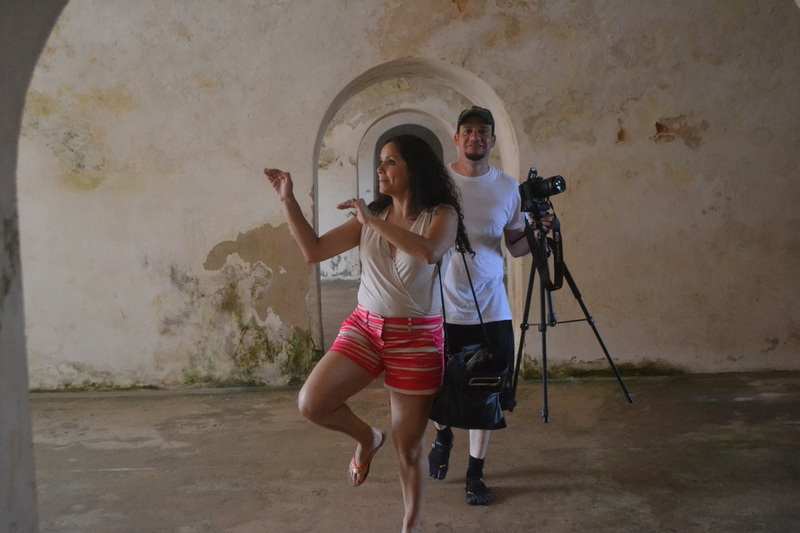 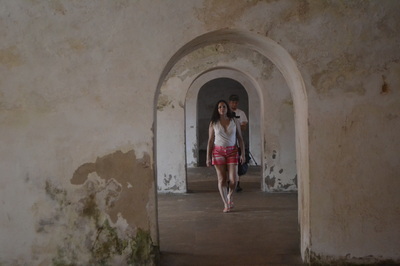 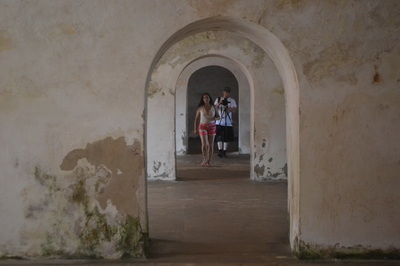 In the chapel at Castillo San Cristobal. 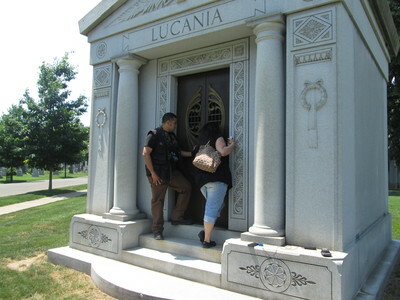 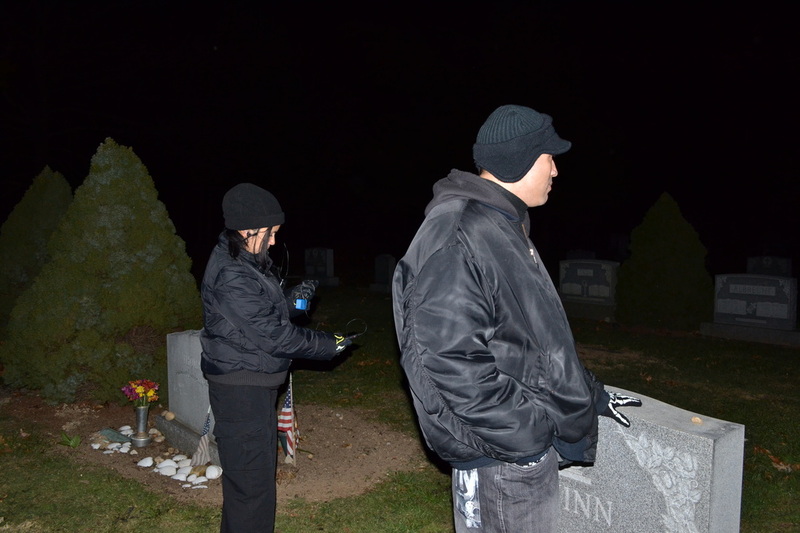 Jo-Ann doing an EVP session beside the grave of Kathleen Shanley. 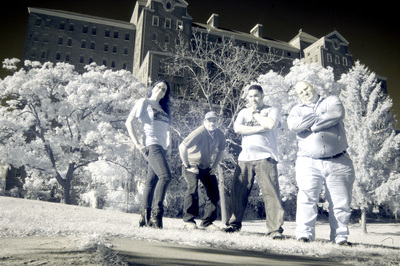 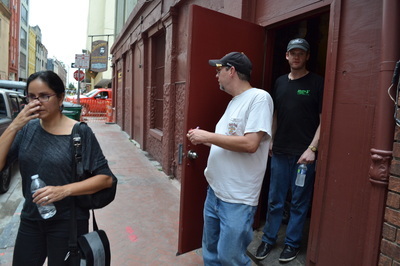 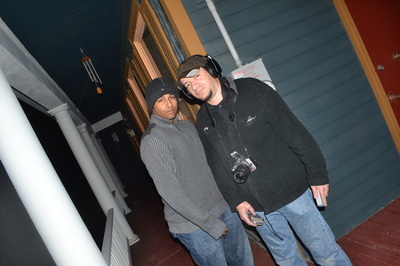 EVP session in the courtyard of the Hotel Provincial in New Orleans. 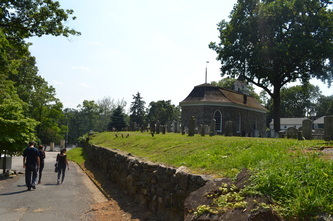 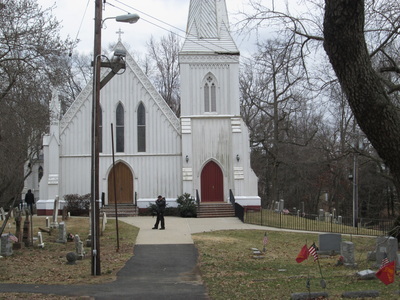 Sleepy Hollow Cemetery in 2013. 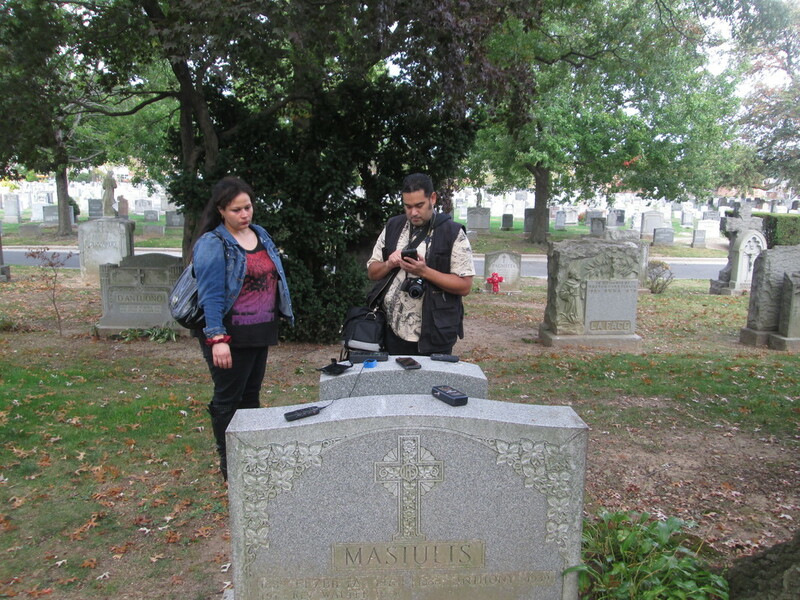 Chris uses an EMF meter at St. Joseph's Cemetery. Chris walks to the gazebo at Untermyer Park. 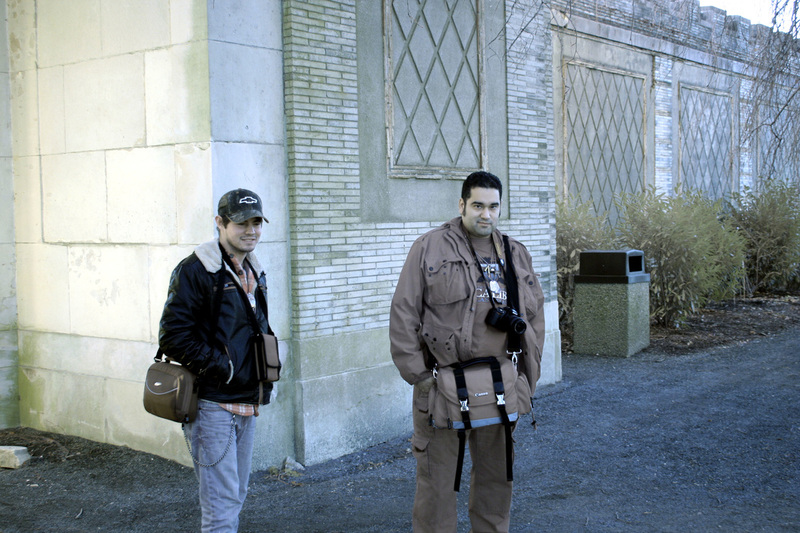 Chris has a bad feeling, while inside of the old gatehouse at Untermyer Park. Leaving the flooded power plant basement at the KPPC. 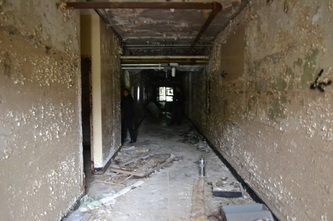 Going down to the ground floor of the medical building at Letchworth Village. 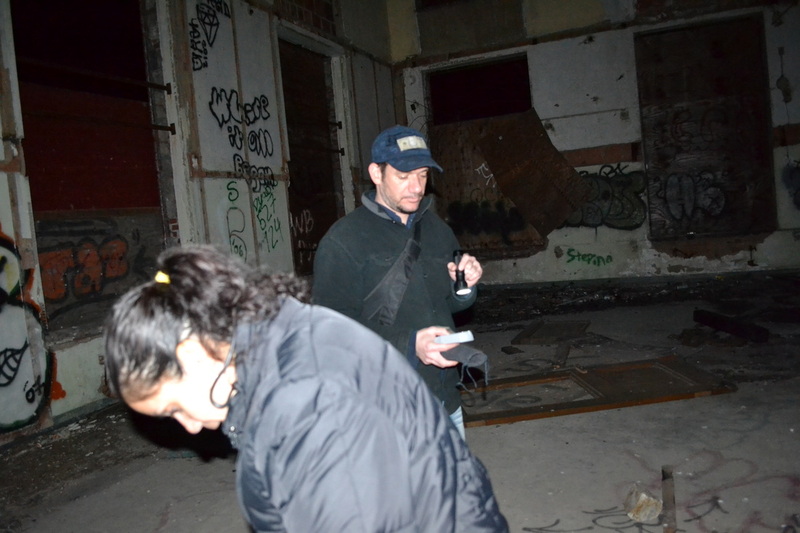 Chris checks out the morgue drawers of the Letchworth Village medical building. 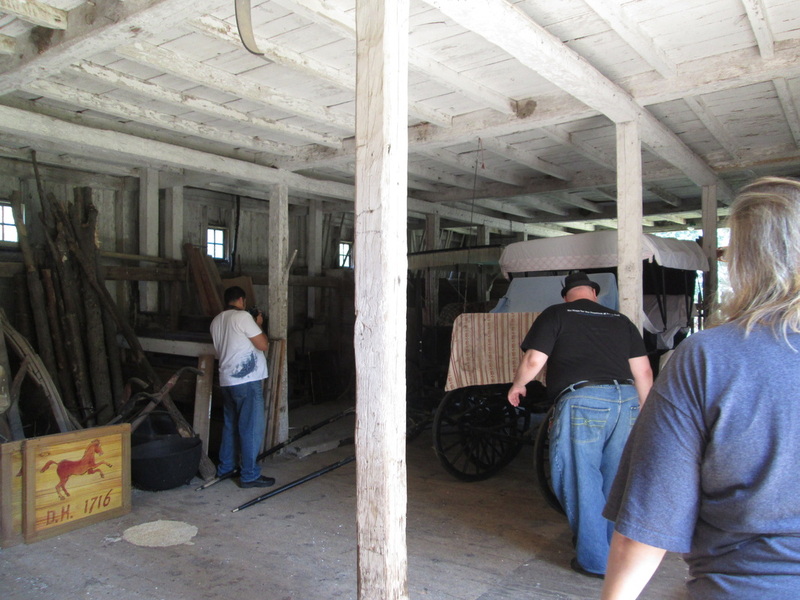 Chris checks out a ladder in the storage warehouse at Letchworth Village. 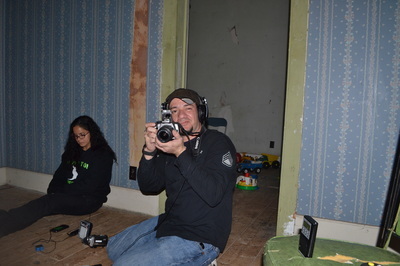 Chris in the isolation building at the KPPC. 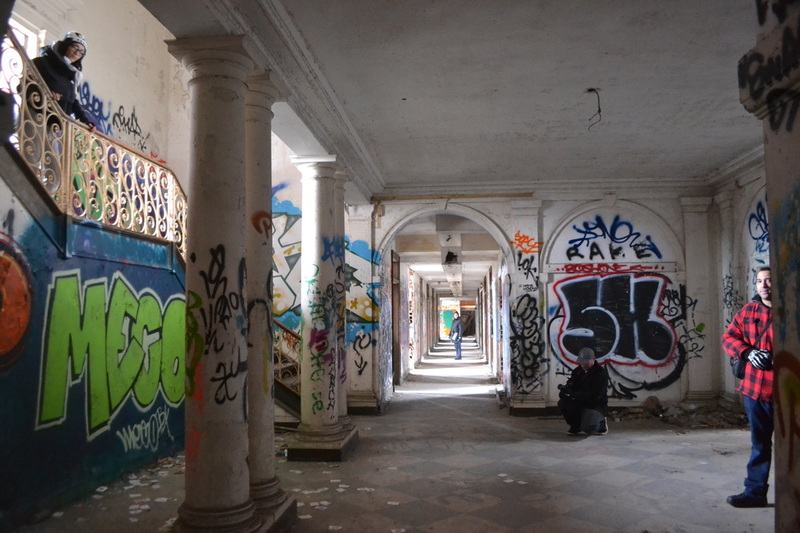 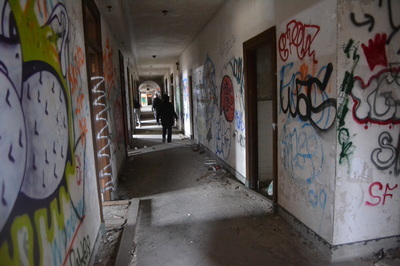 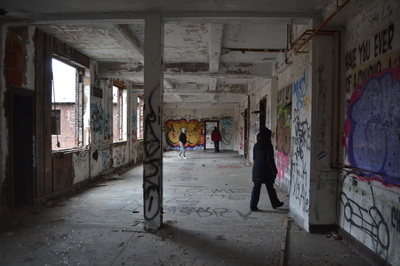 Chris checks out some graffiti inside of the medical building at Letchworth Village. 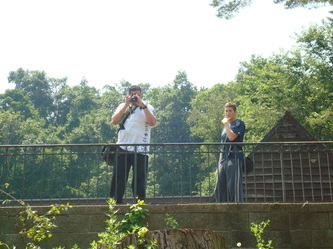 Chris at Letchworth Village photographed using a full spectrum camera. Chasing down a spirit with the MEL-ATDD Meter on the third floor of the Shanley Hotel. 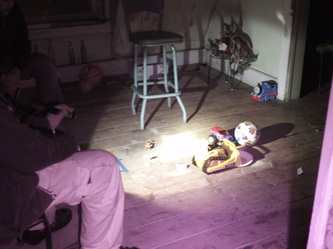 Chris uses the MEL-ATDD Meter during a residential investigation. 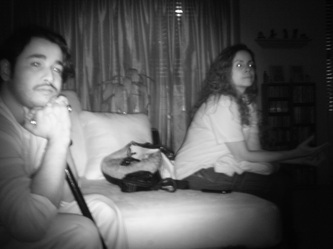 Resident Evil - Plant 42 with Chris. Exploring the tunnels under Kings Park. 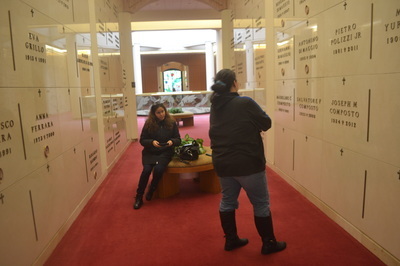 Taking photos in Building 137 at the KPPC. 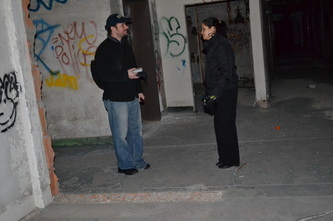 Getting a leg up at the old Boyce Thompson Institute, before it was renovated. Looking down from a window at Boyce Thompson Institute. 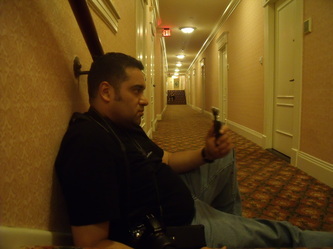 Xavier setting up a camcorder on the third floor of the Shanley Hotel. 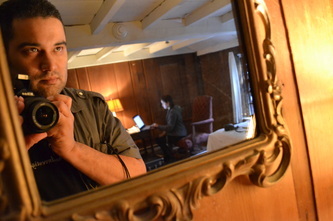 Xavier in the secret room below the Shanley Hotel. Xavier checks the HD camcorder. In the attic of the abandoned Boyce Thompson Institute for Plant Research. 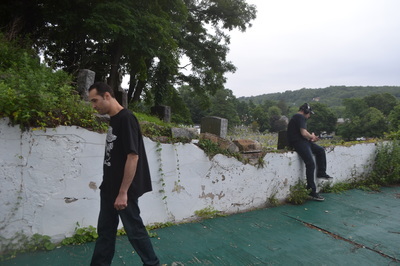 Xavier checks out some graffiti. Recording a video at Boyce Thompson Institute. 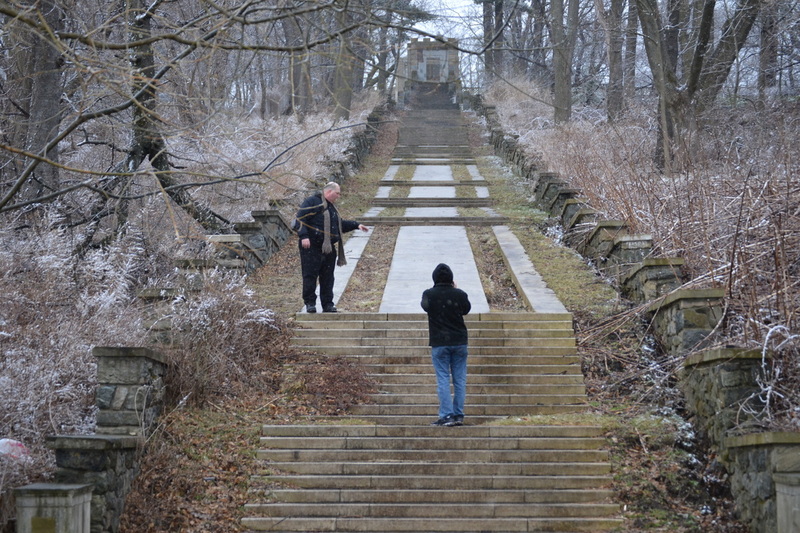 Xavier sets up his equipment at Untermyer Park. 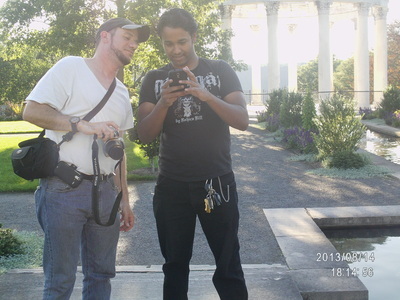 Xavier with his camera at Untermyer Park. 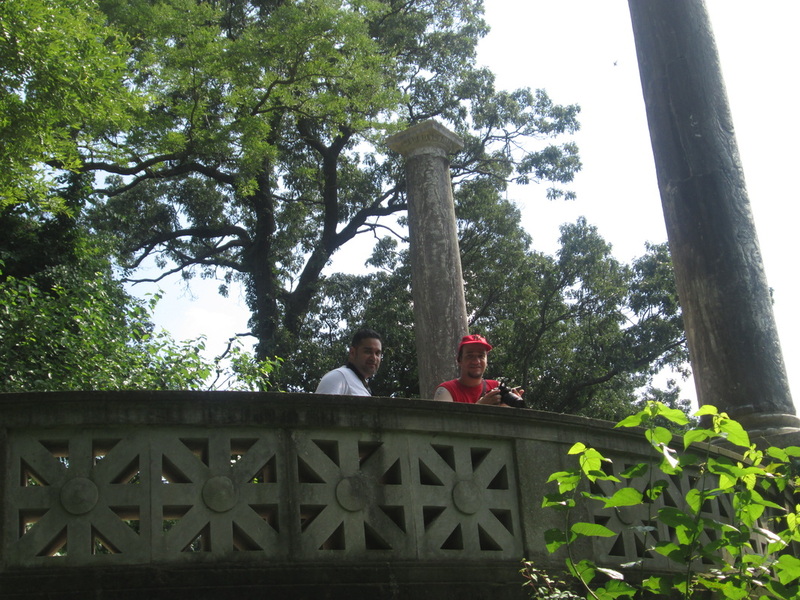 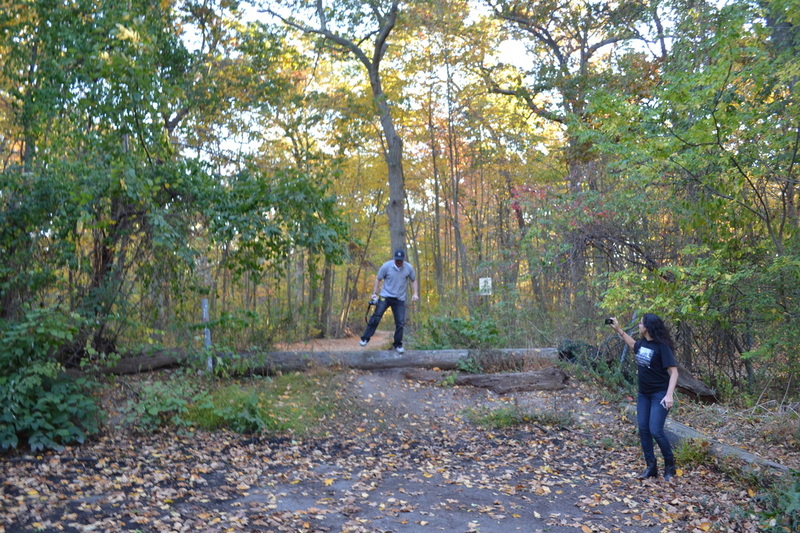 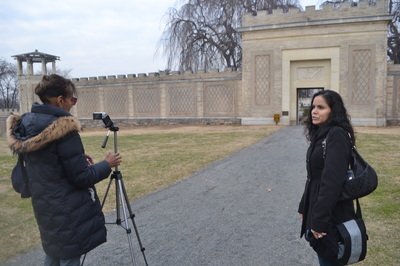 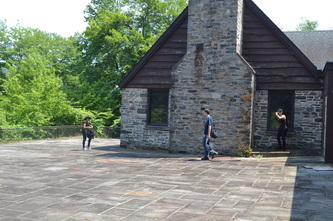 Xavier recording a video behind the carriage house at Untermyer Park. 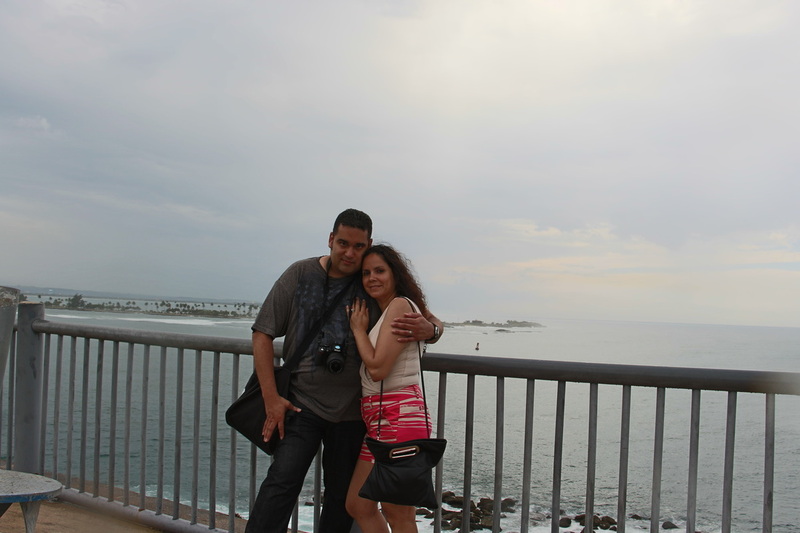 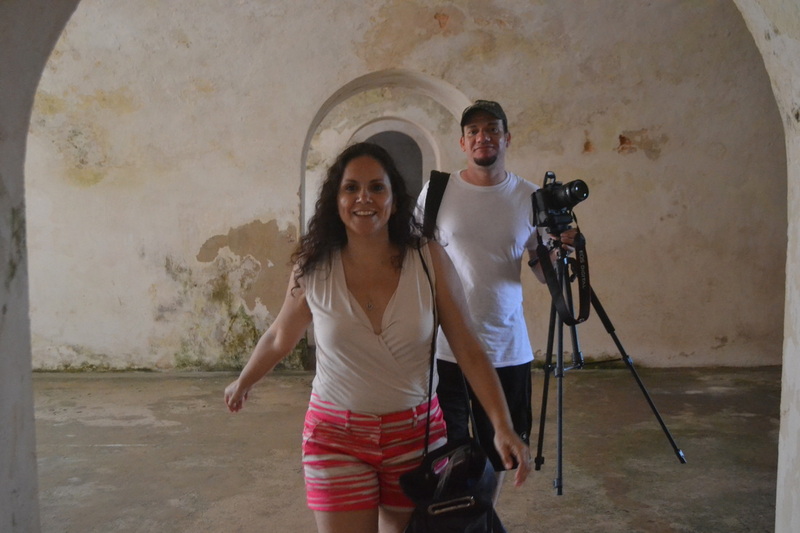 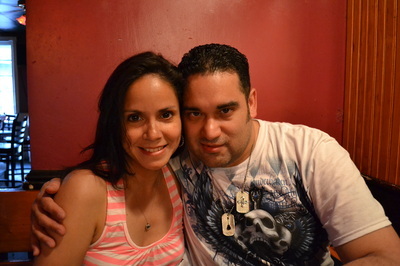 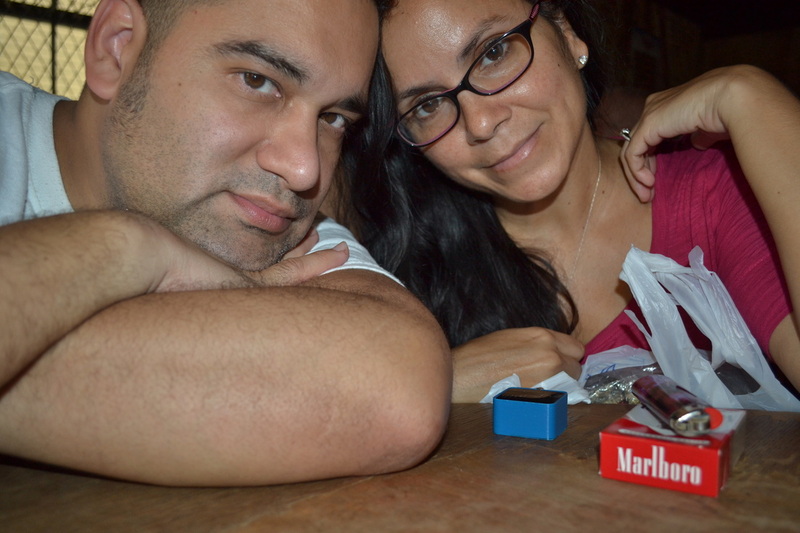 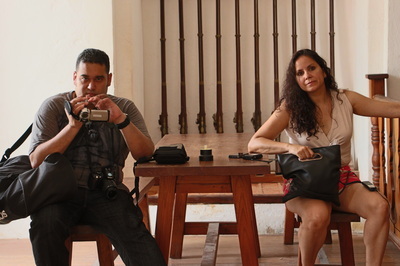 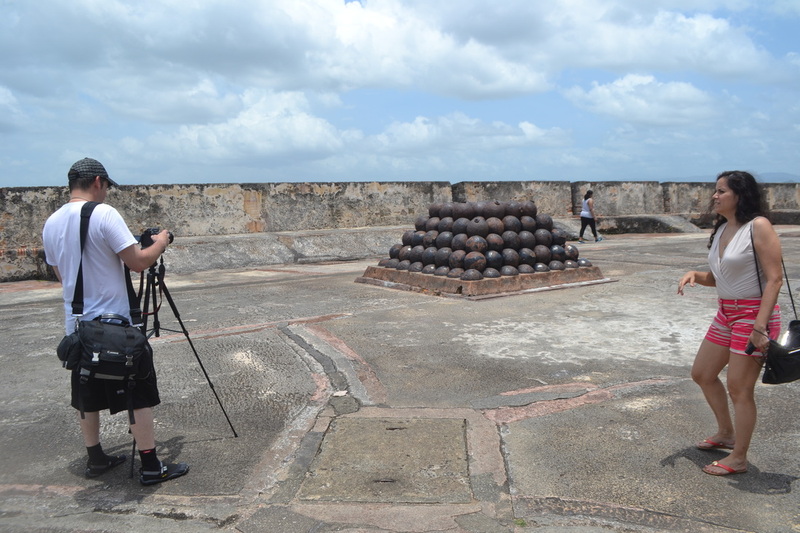 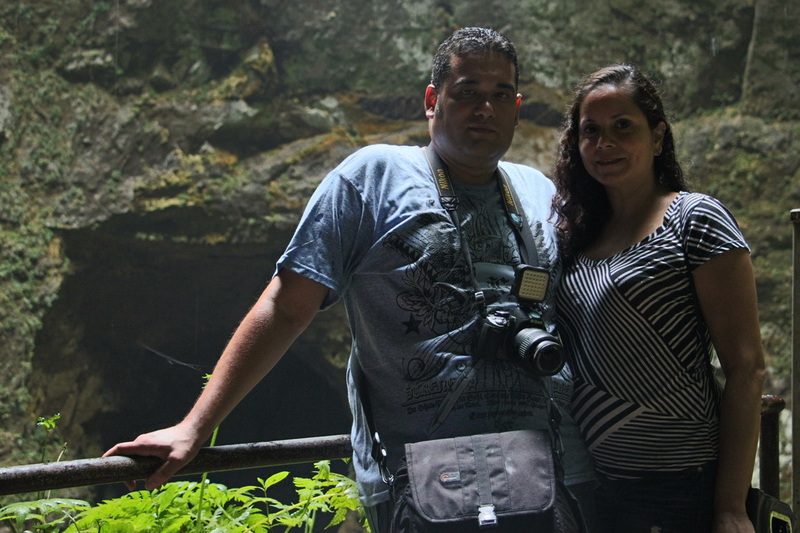 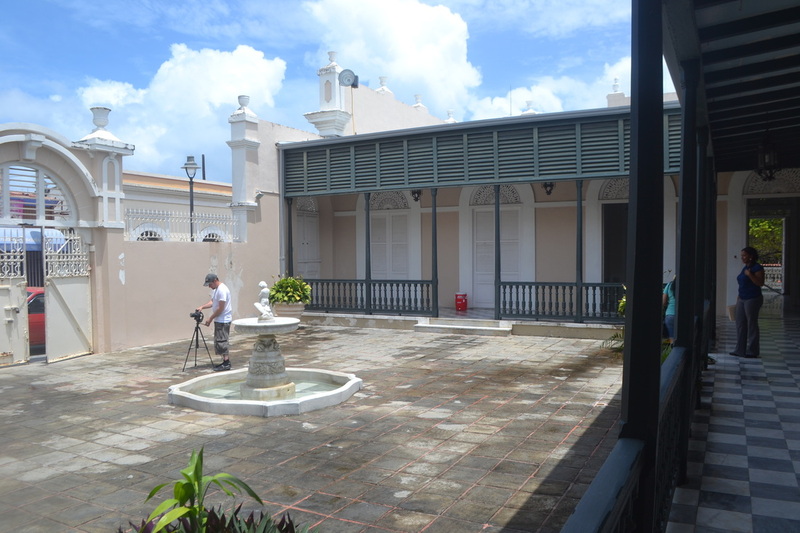 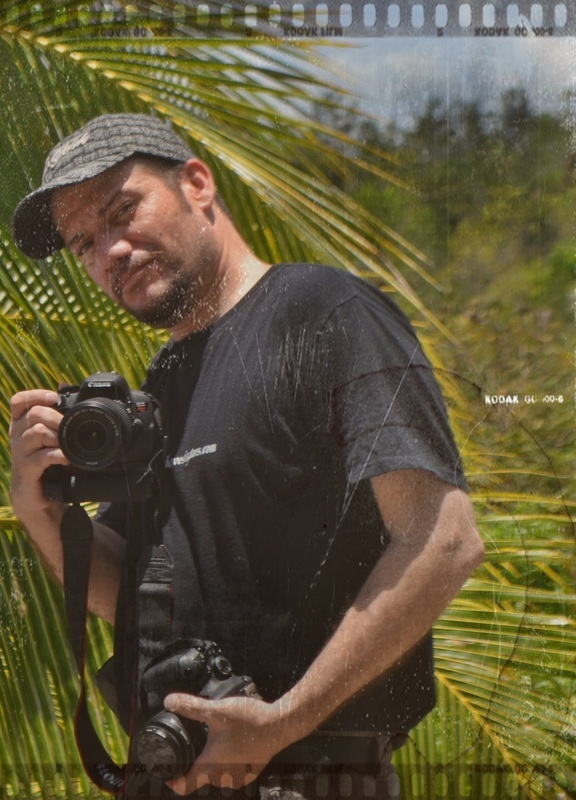 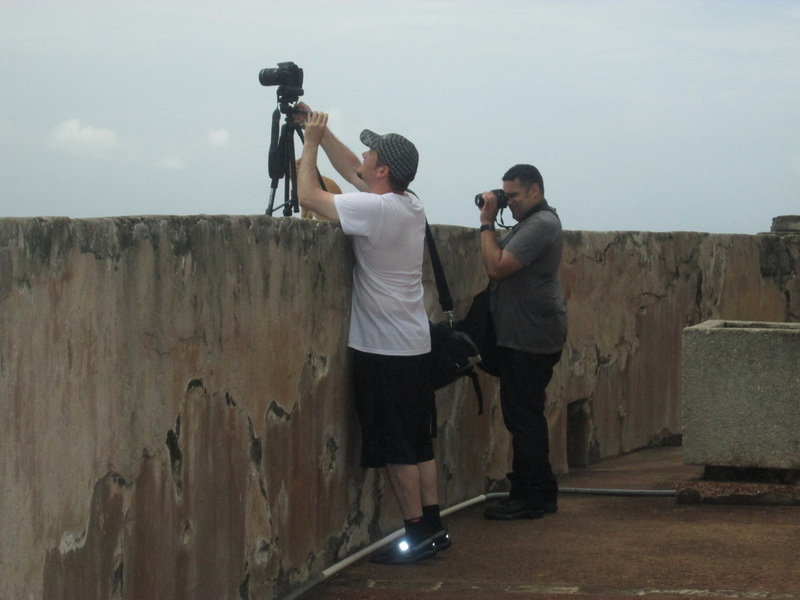 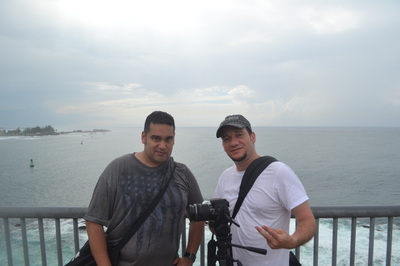 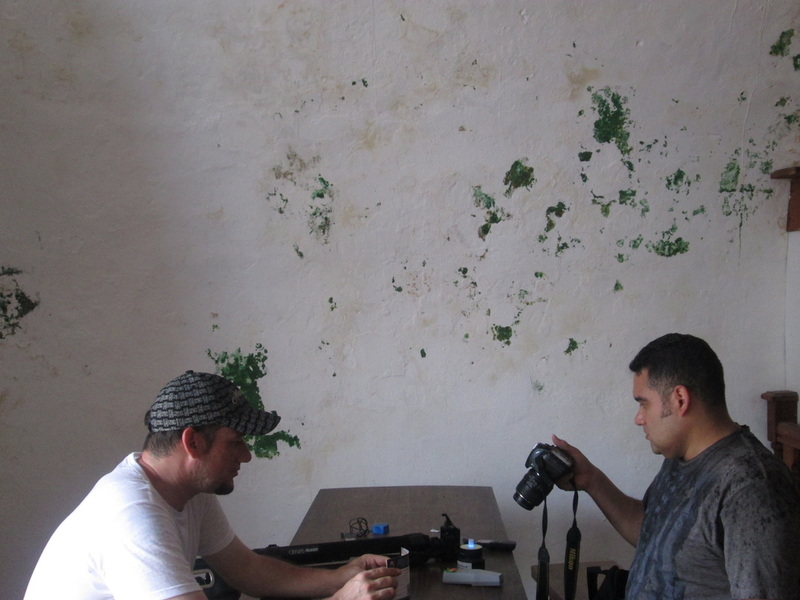 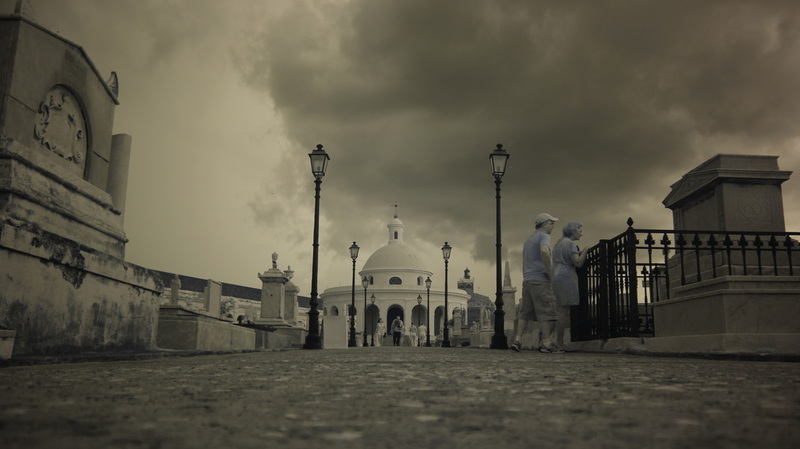 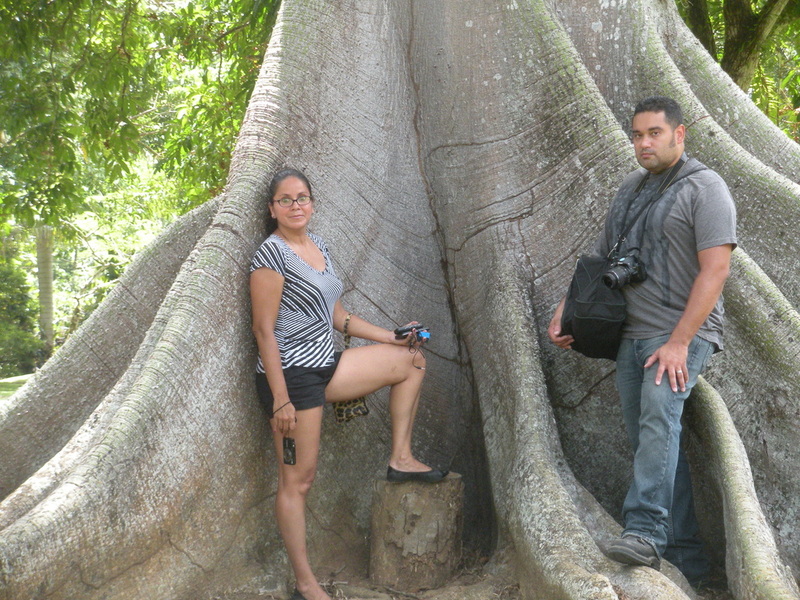 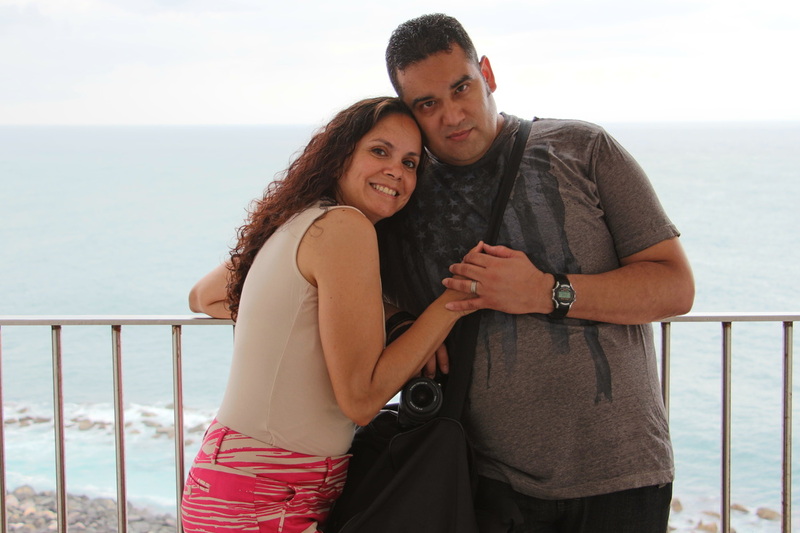 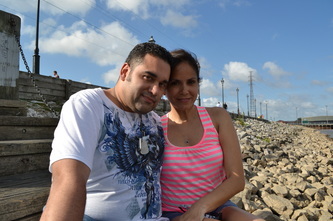 Setting up the camera at San Cristobal in Puerto Rico. 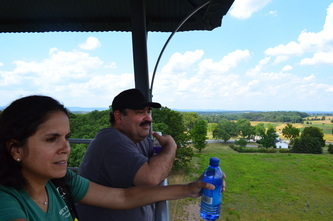 Xavier takes aerial shots from the top of Building 93. 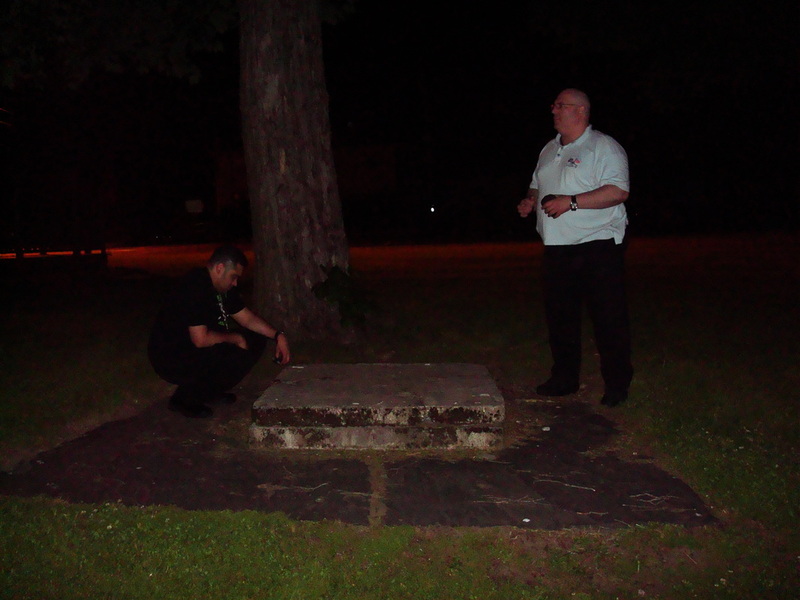 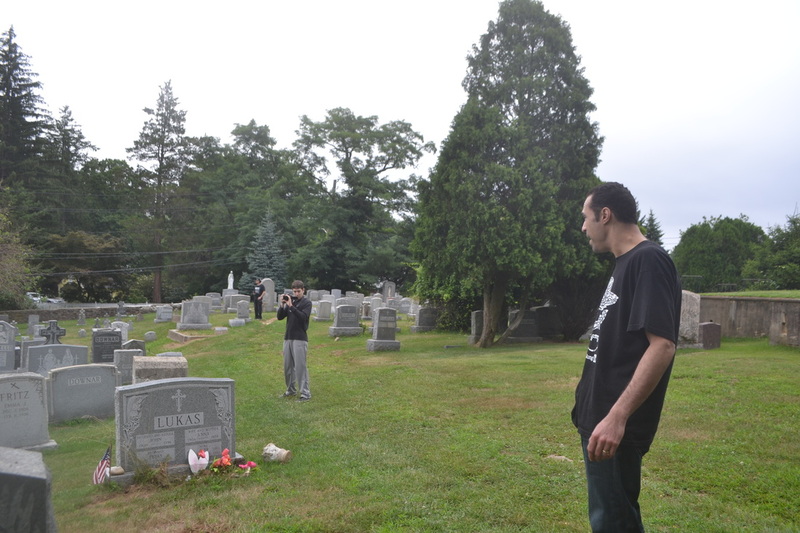 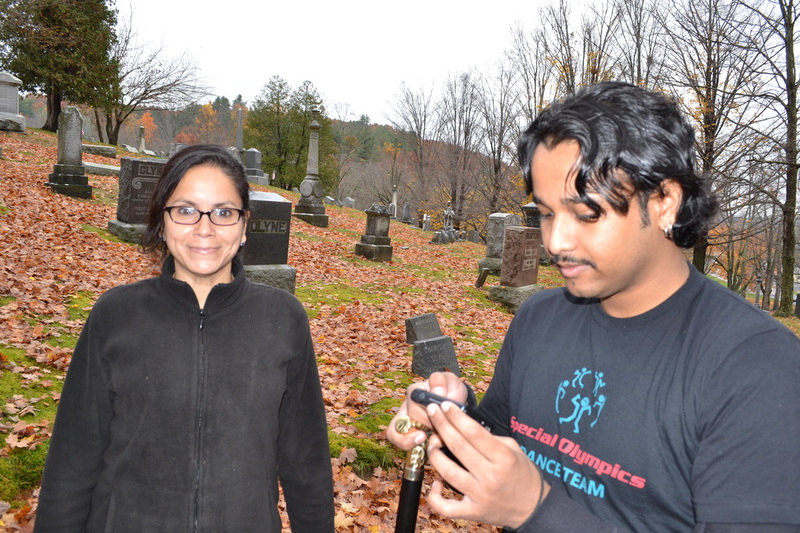 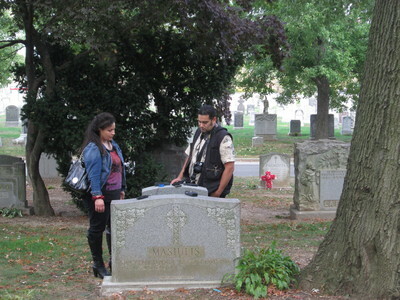 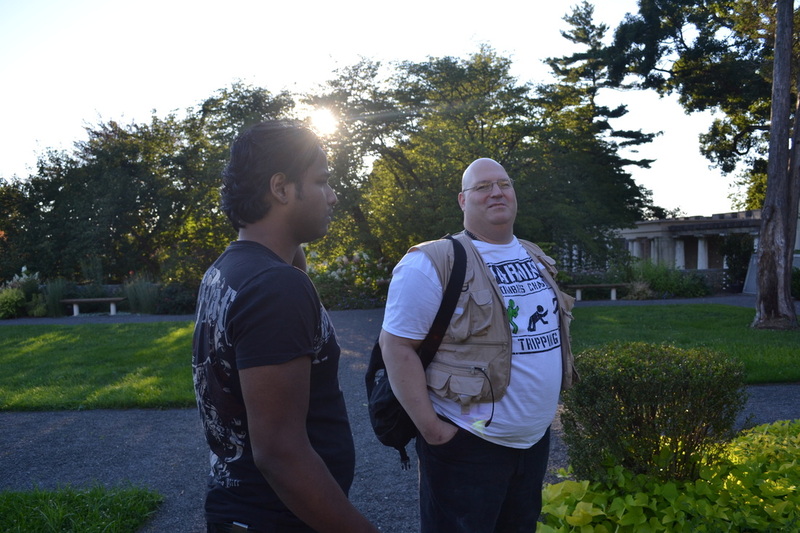 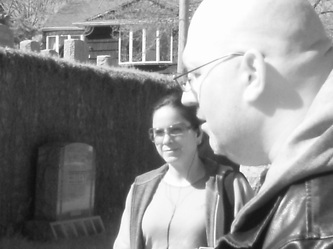 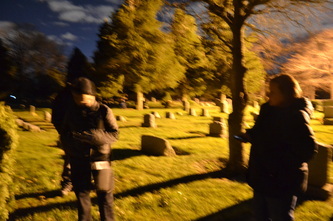 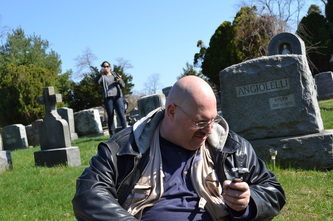 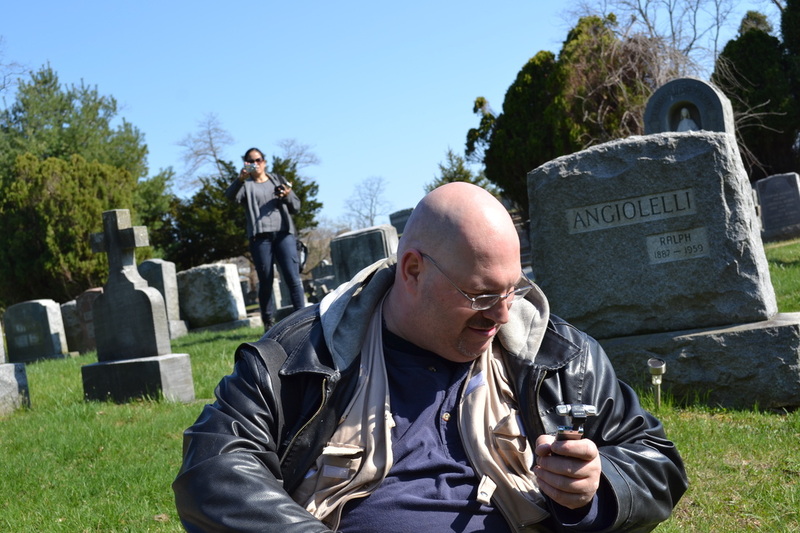 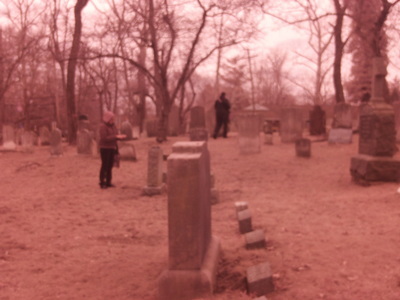 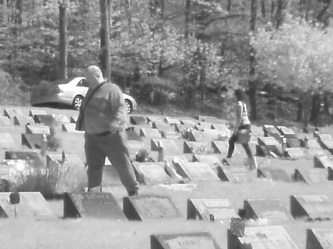 Conducting an EVP session at a cemetery in Dobbs Ferry. 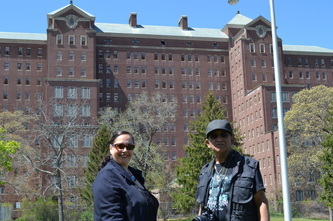 Xavier in Macy Hall at Kings Park. Inside of the dining area for Wards 207-210 of Building 21 at the KPPC. 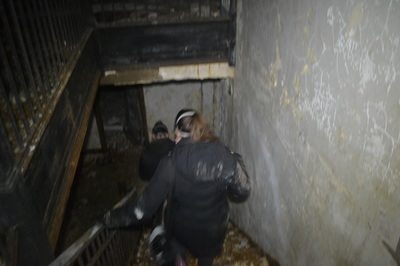 Climbing out of the tunnels and into a building basement at Kings Park. 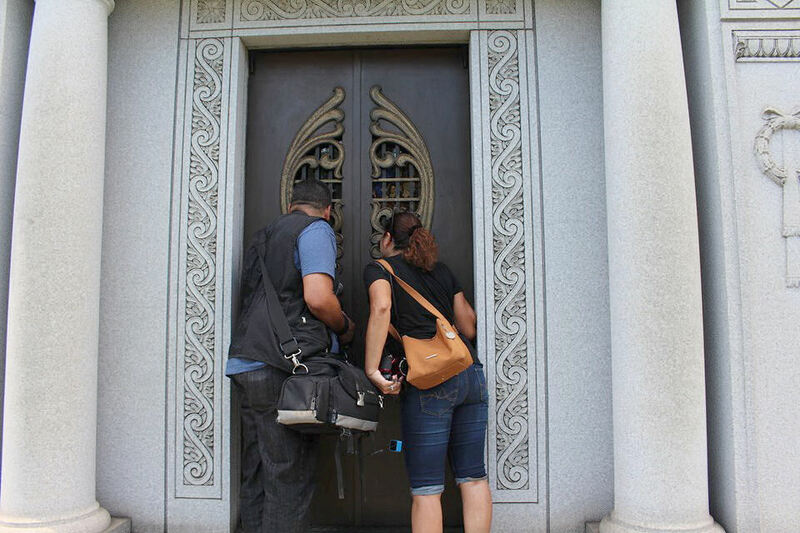 Conducting an EVP session at St. Joseph's Cemetery in July 2016. 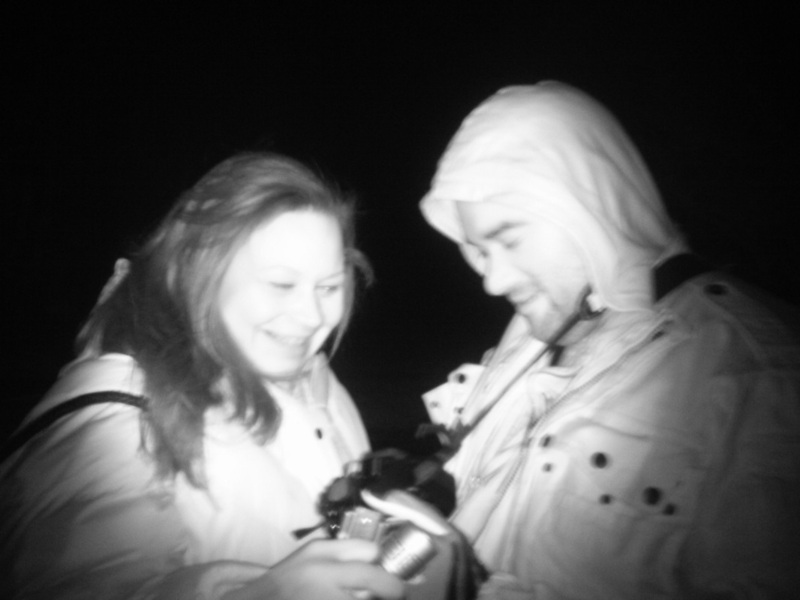 Using the night vision camcorder at St. Joseph's Cemetery. 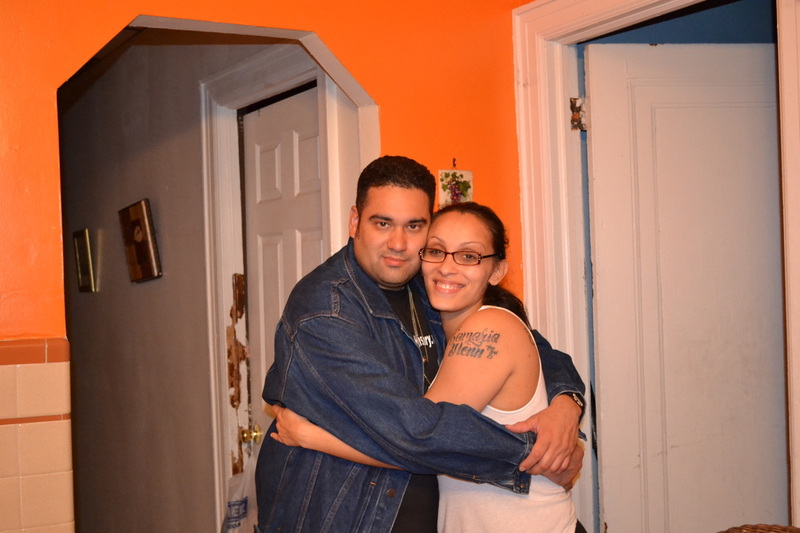 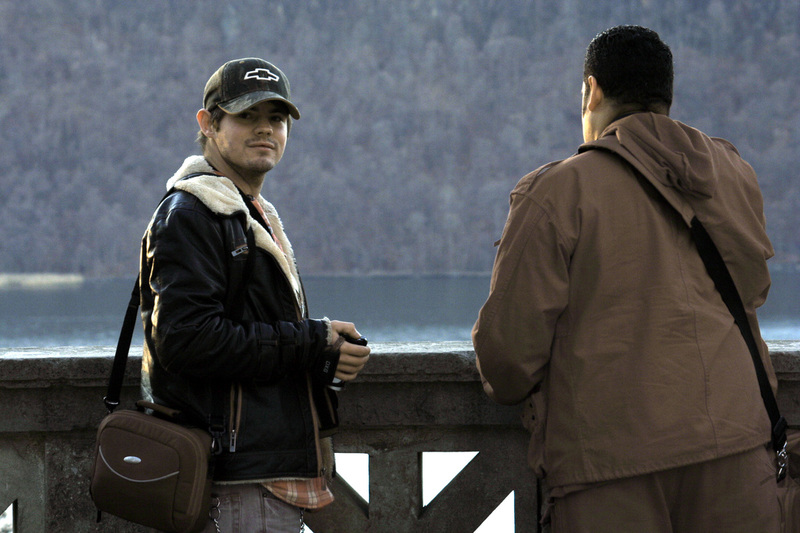 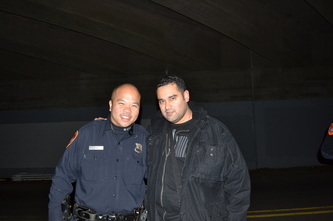 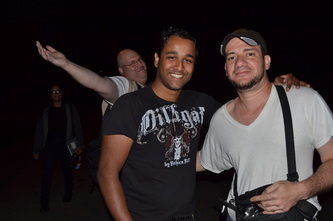 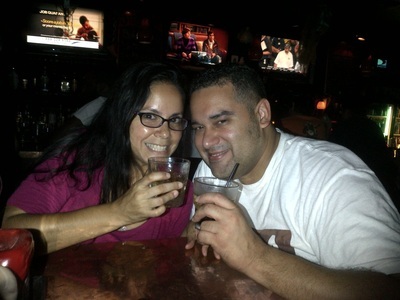 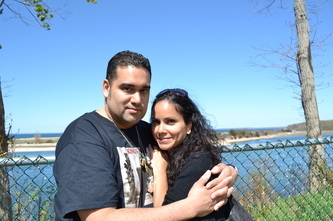 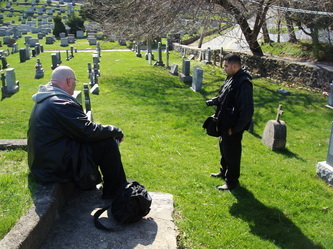 Xavier enjoying a last investigation in Yonkers, before moving away. 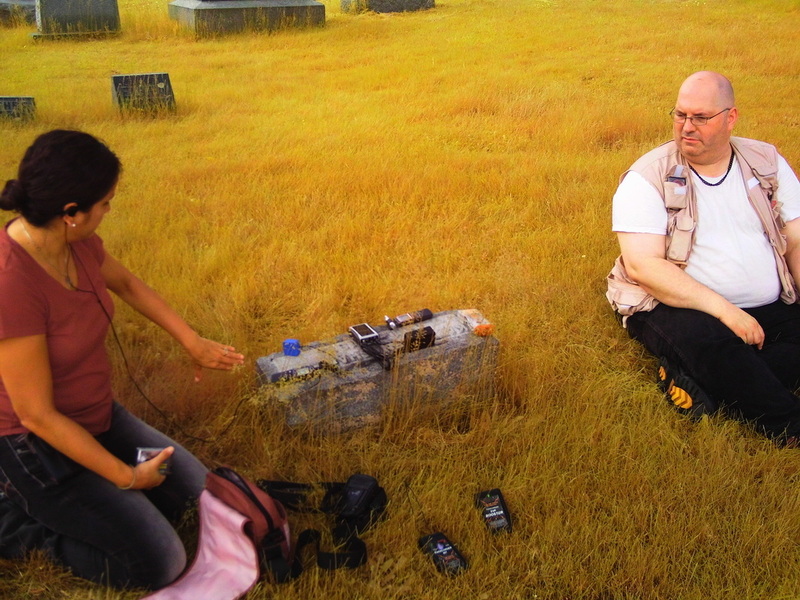 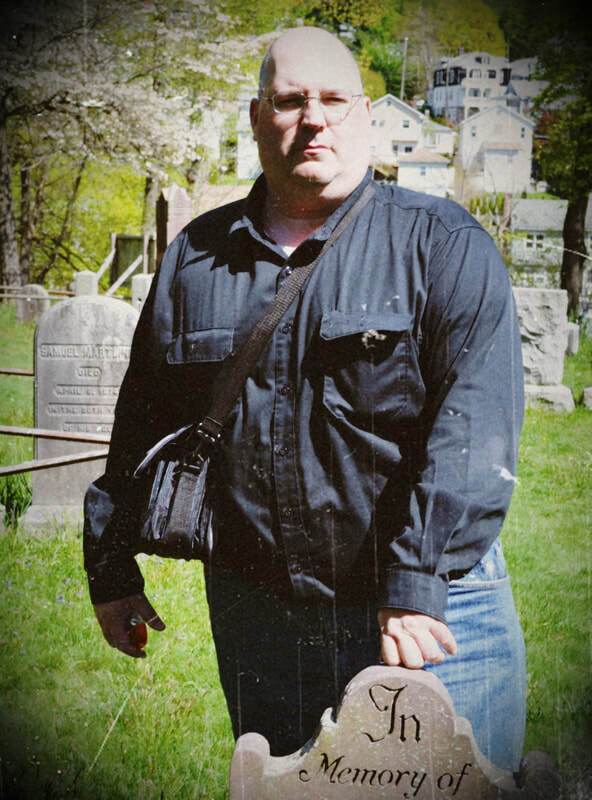 Rich prepares his equipment for a cemetery investigation. 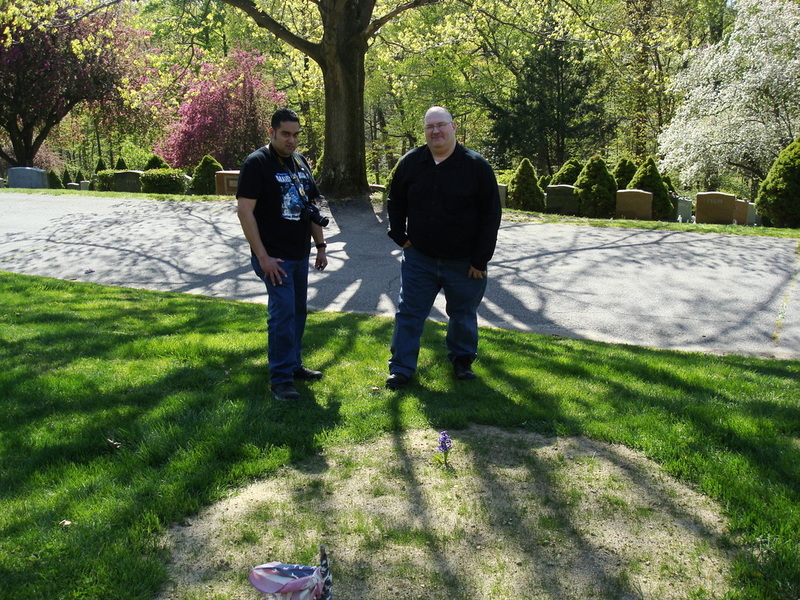 Rich checks out a tombstone at St. Joseph's Cemetery. 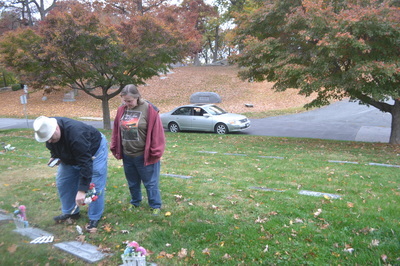 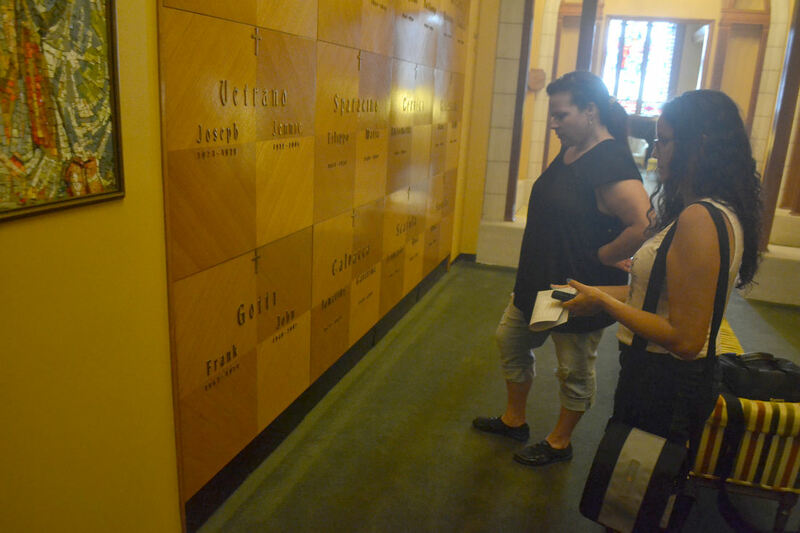 Rich wipes off the tombstone of a potential relative at St. Joseph's Cemetery. 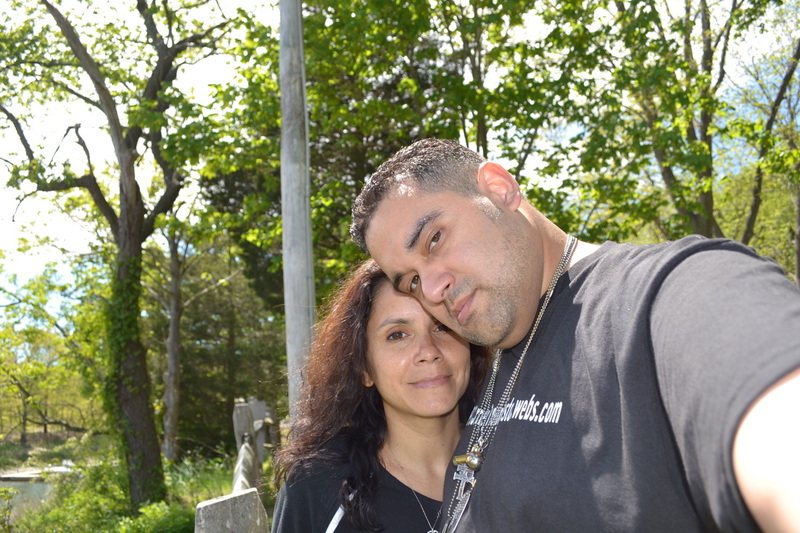 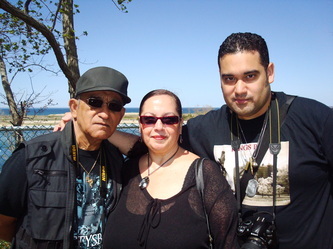 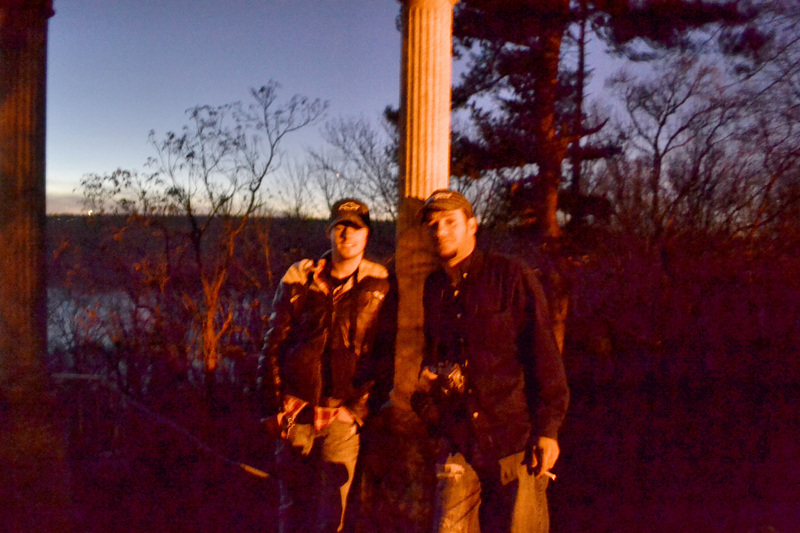 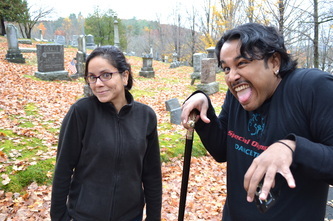 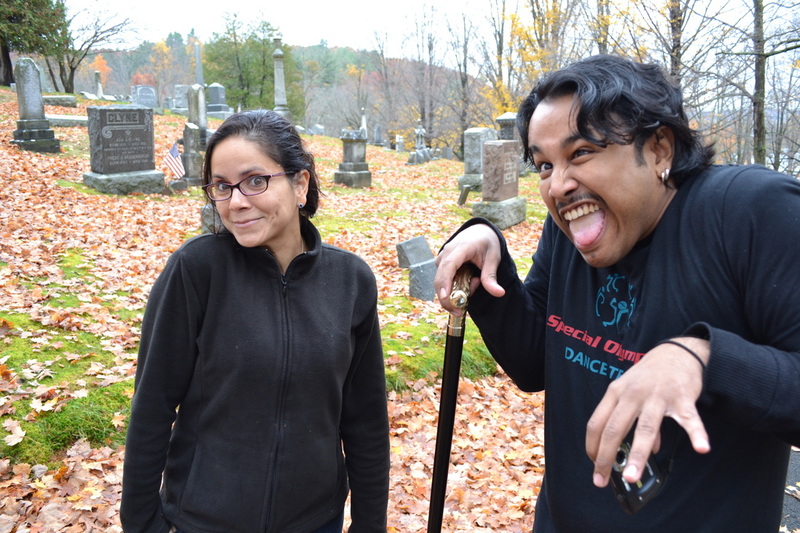 Taking a photo at Fantinekill Cemetery. 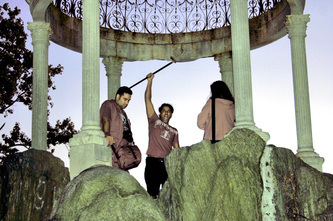 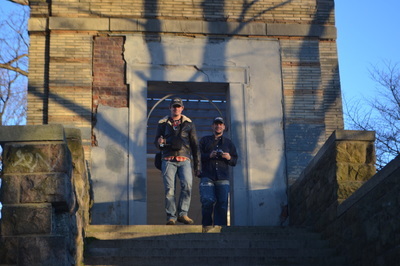 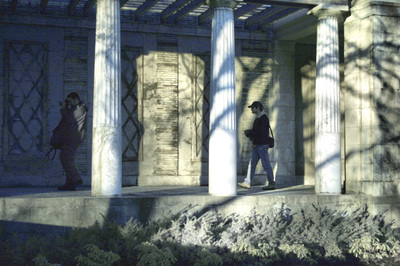 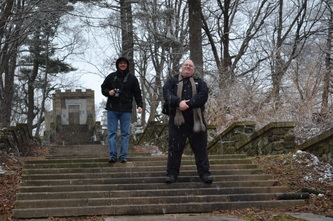 Using an EMF Meter at the gatehouse in Untermyer Park. 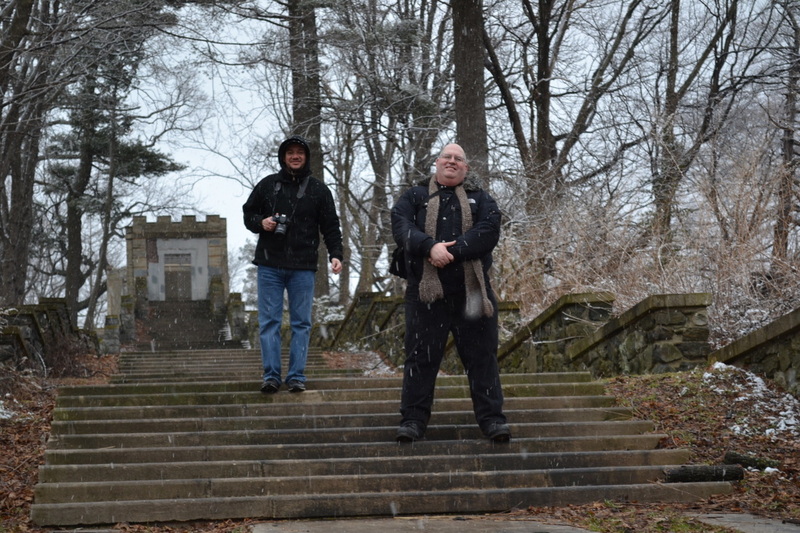 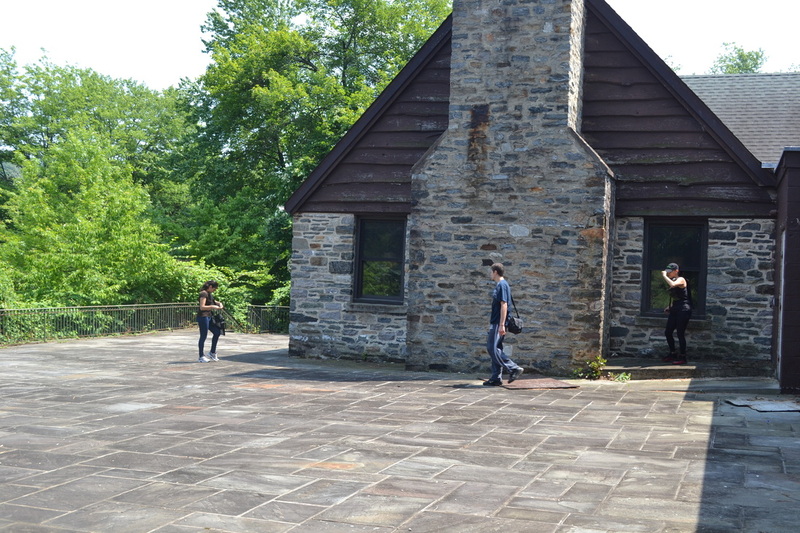 Doing a video in the gatehouse at Untermyer Park. 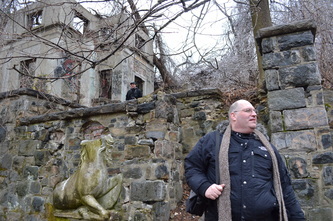 Rich at the gatehouse of Untermyer Park. Rich sets up for another investigation at Untermyer Park. Rich in the Gentleman's Quarters at the Shanley Hotel. 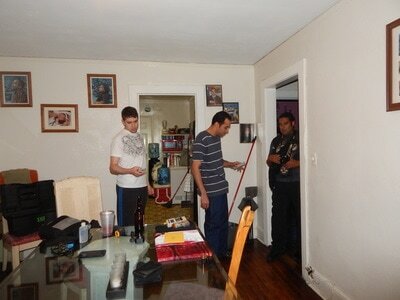 Rich setting up motion detectors. 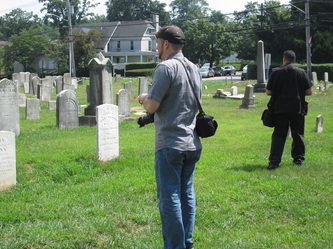 Rich uses a few meters outside of the Old Dutch Reformed Church at Sleepy Hollow. Using the full spectrum camcorder at the Hudson River Museum. 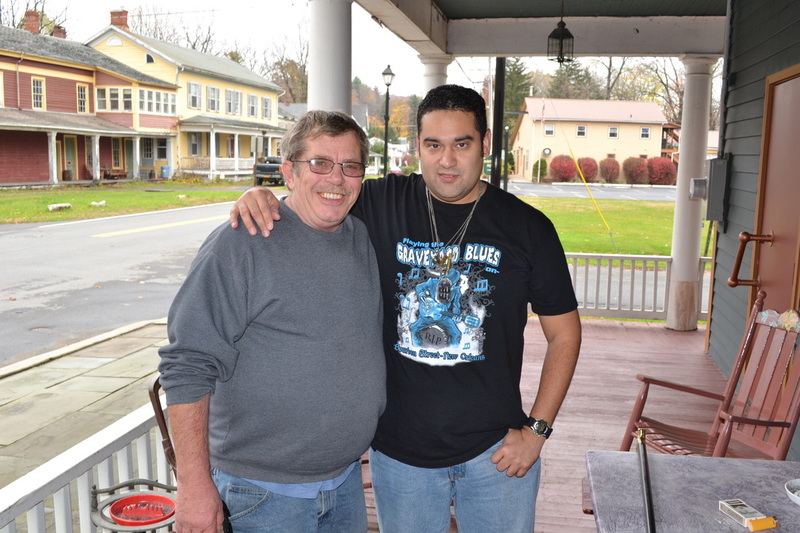 Rich behind the bar of the Bavarian Inn near Lake Ronkonkoma. Rich checks out the dining room at the Bavarian Inn. 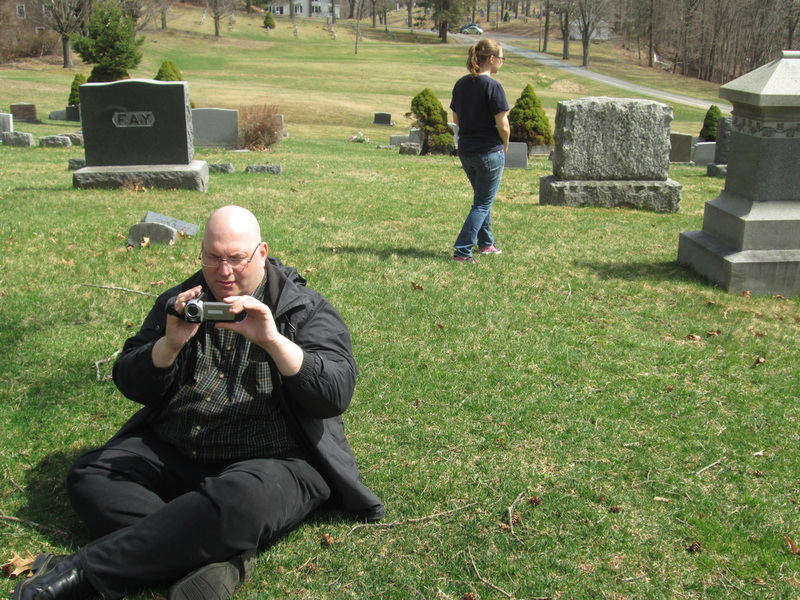 Rich using a parabolic microphone at St. Mary's Cemetery. 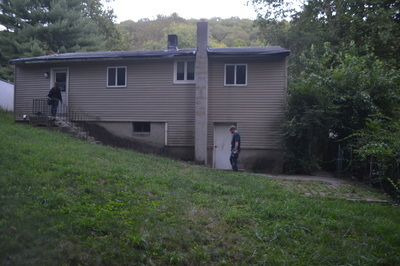 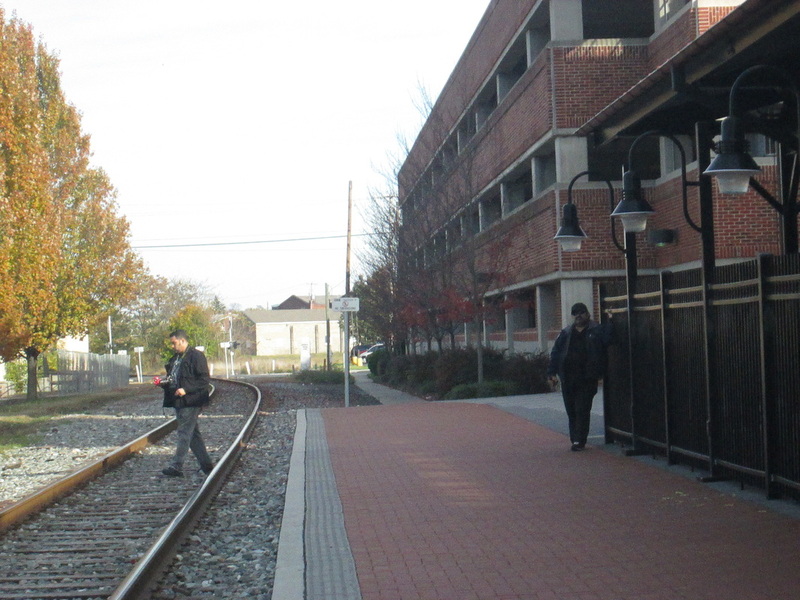 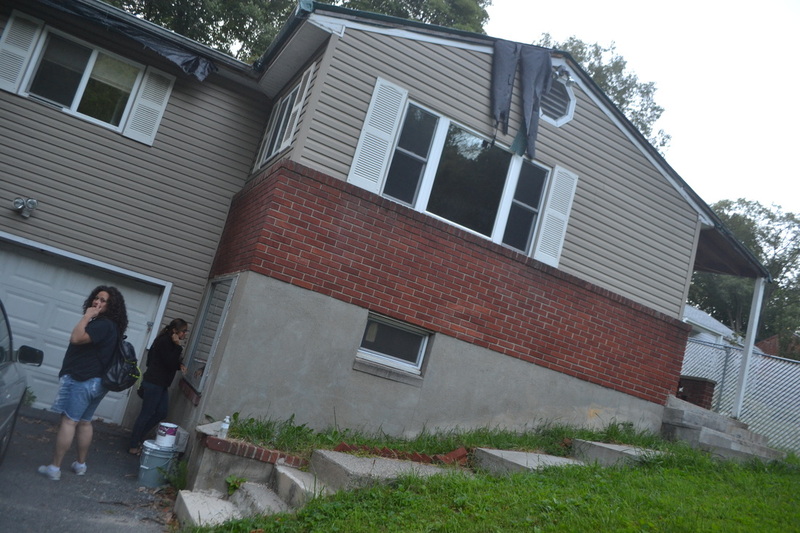 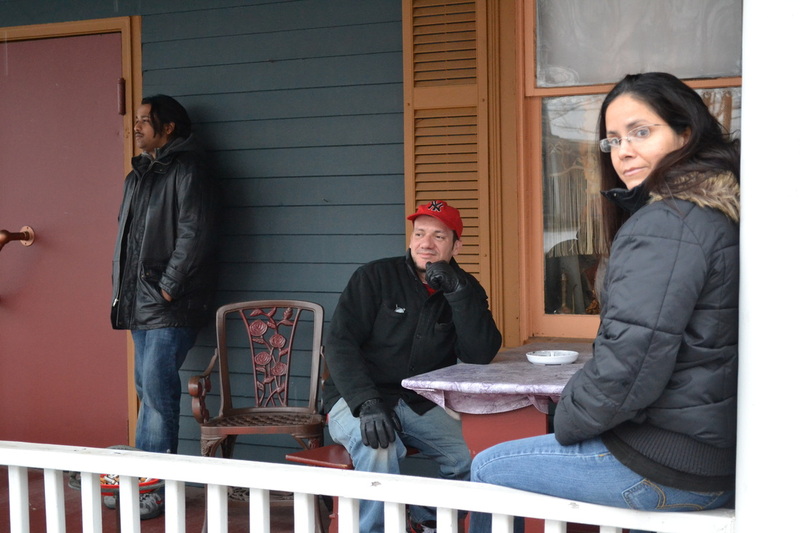 A residential investigation in Yonkers. 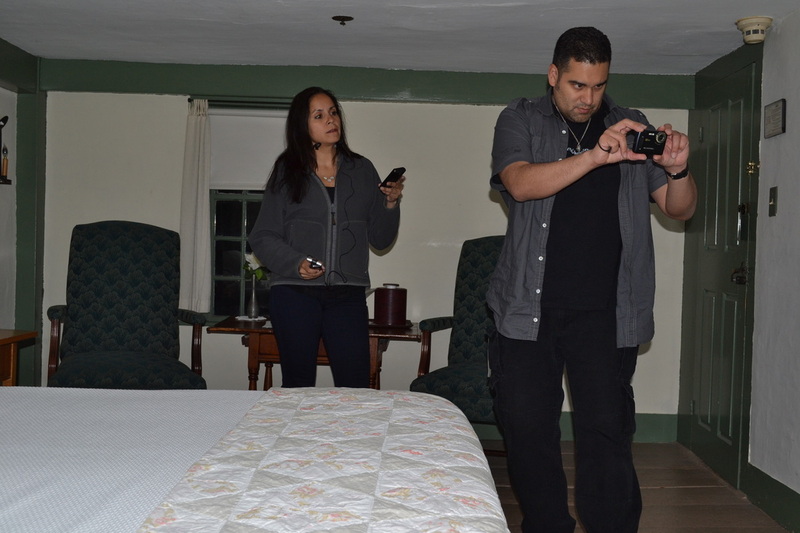 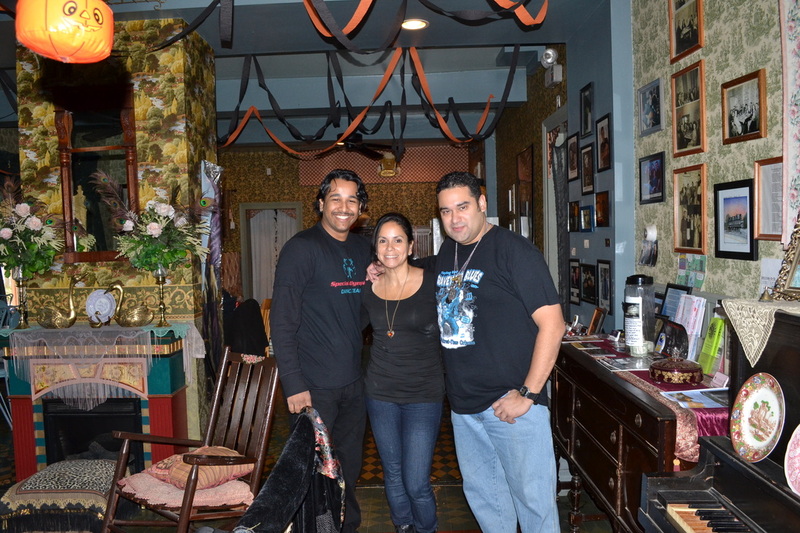 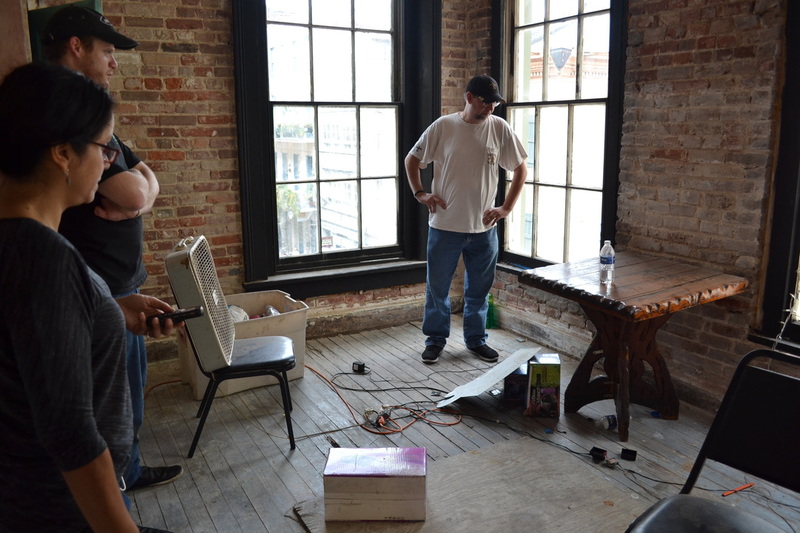 Conducting an EVP session on the third floor of the Shanley Hotel. 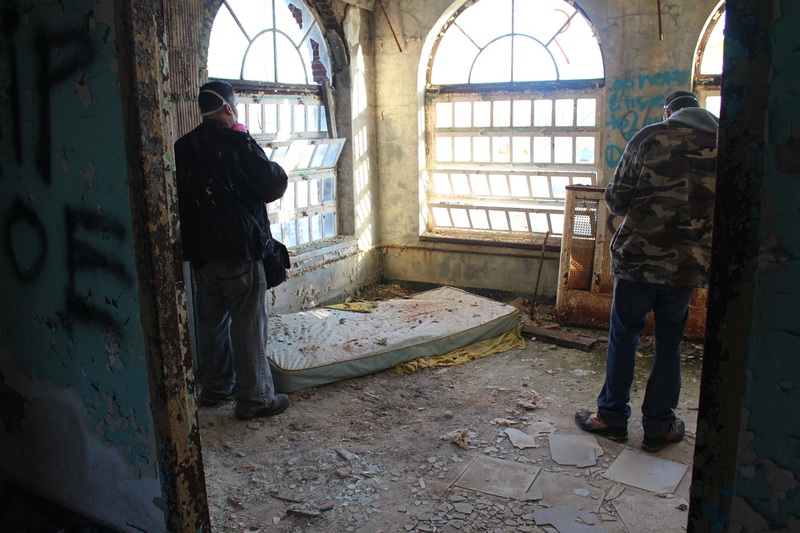 Andrew does a walk-through of the Shanley Hotel's third floor. 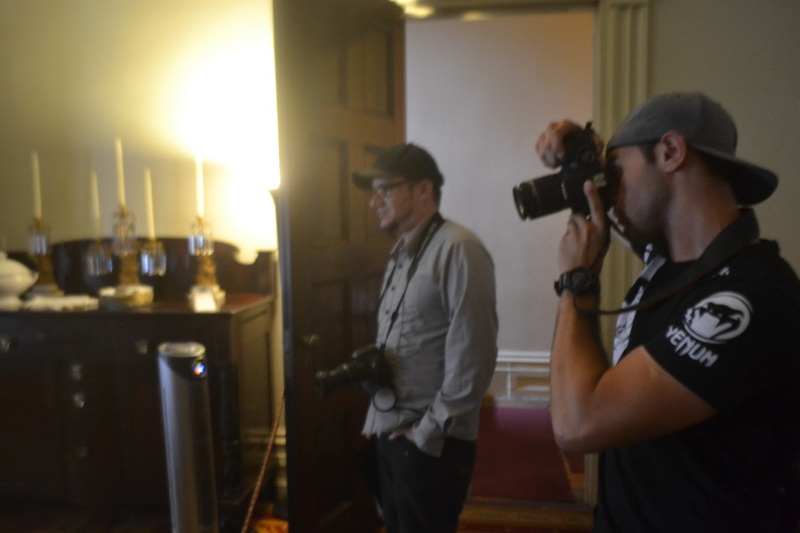 Andrew doing video at the Shanley Hotel. Andrew at a residential investigation at an apartment in Astoria. 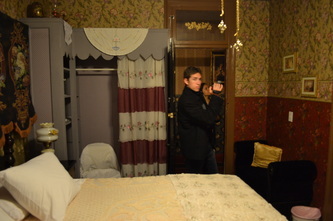 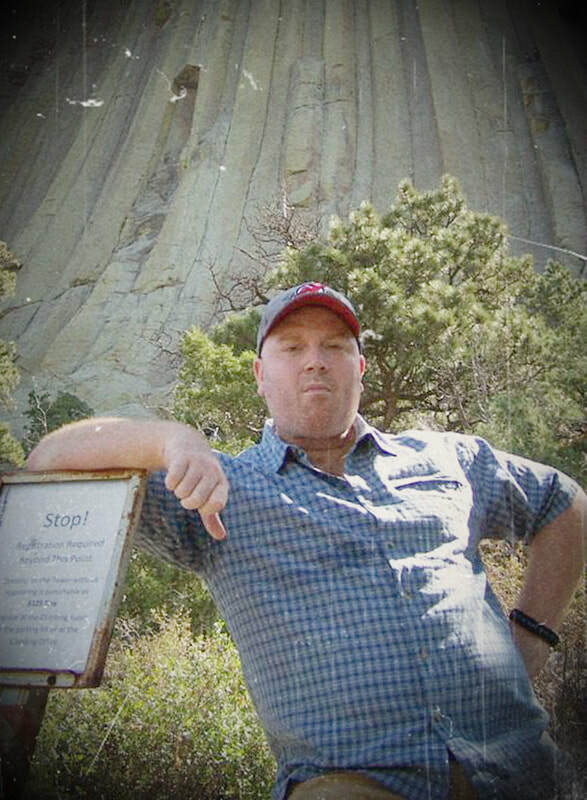 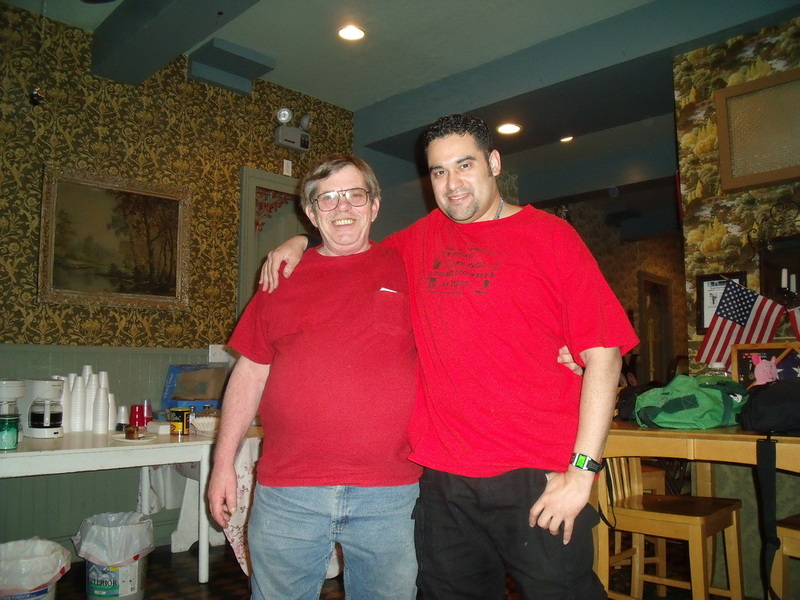 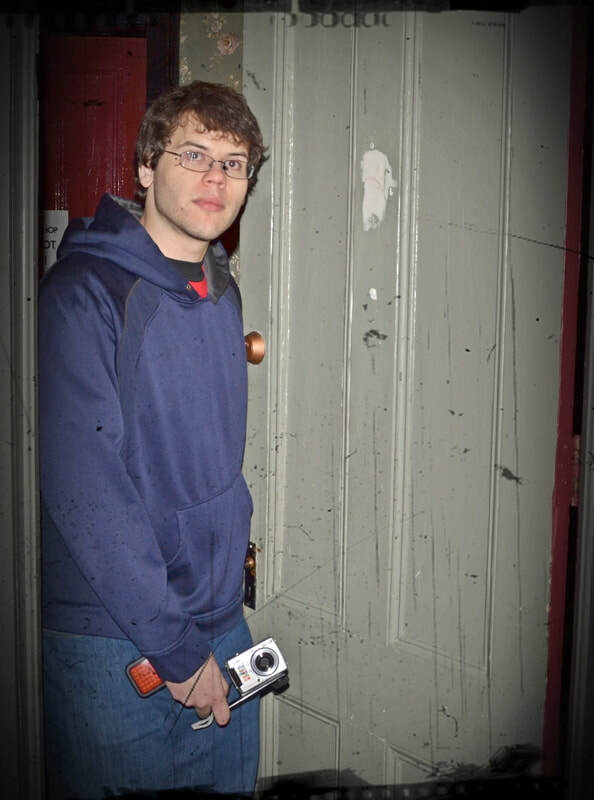 Andrew during an EVP session at the Shanley Hotel. 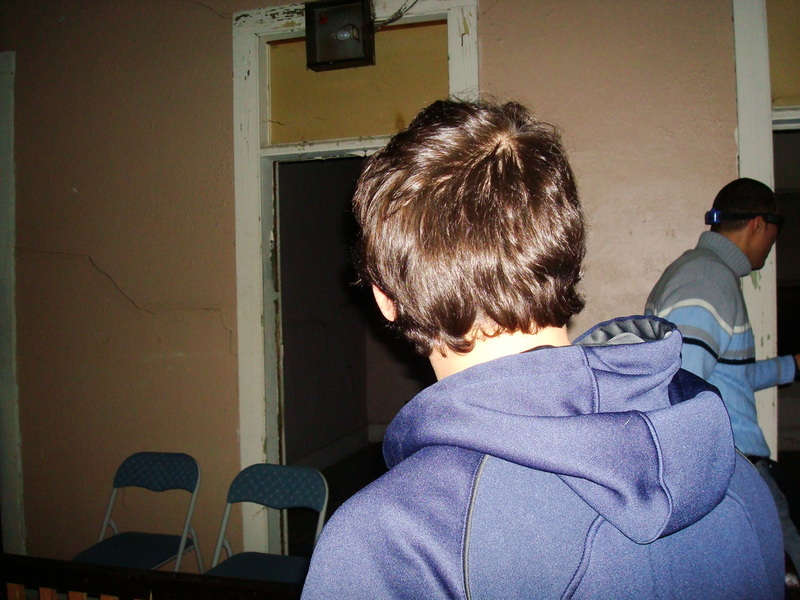 Andrew patiently waits for paranormal activity, while in the basement of the Shanley Hotel. Sitting in Jonathan's room at the Shanley Hotel. 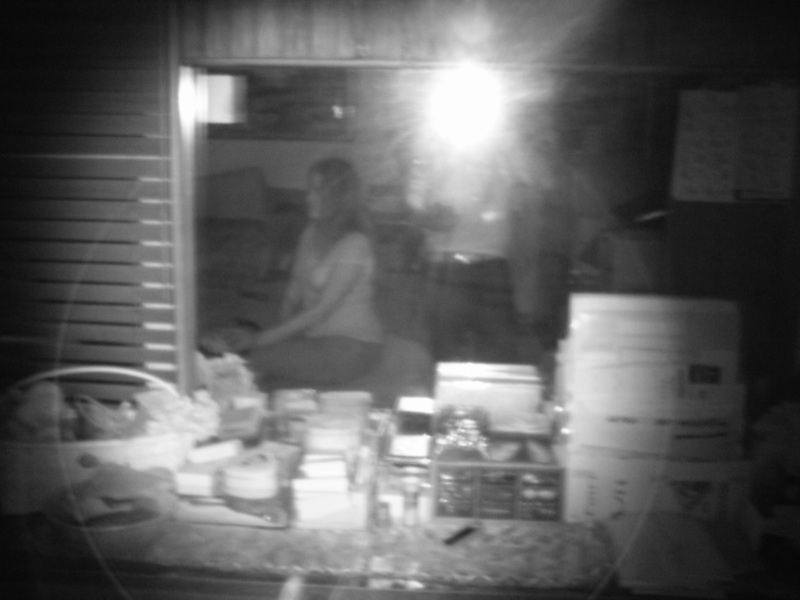 No ghosts coming in from the window. 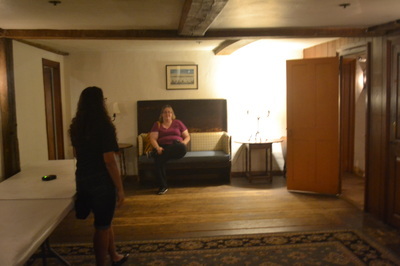 Getting a feel for the room. 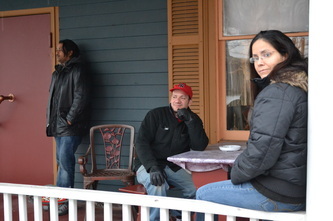 Andrew on the porch of the Glenview Mansion in Yonkers. 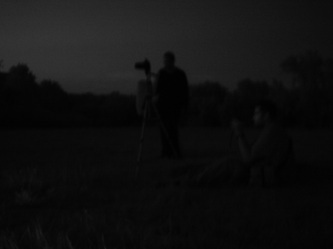 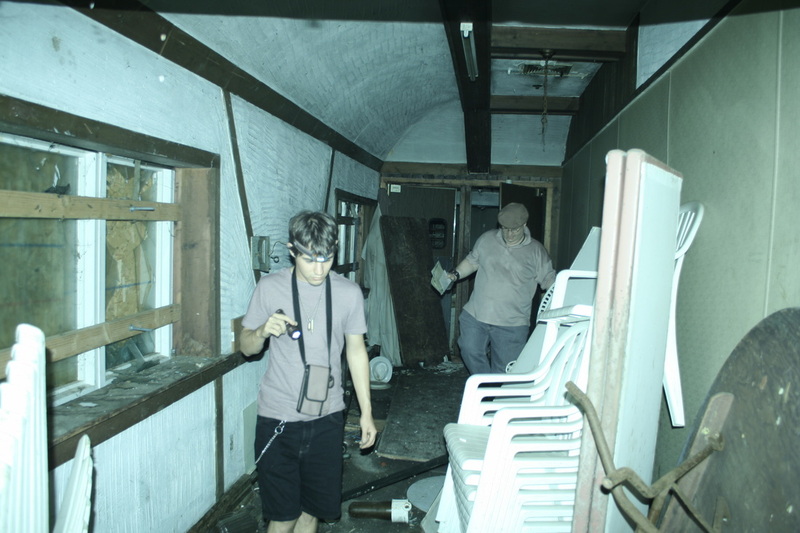 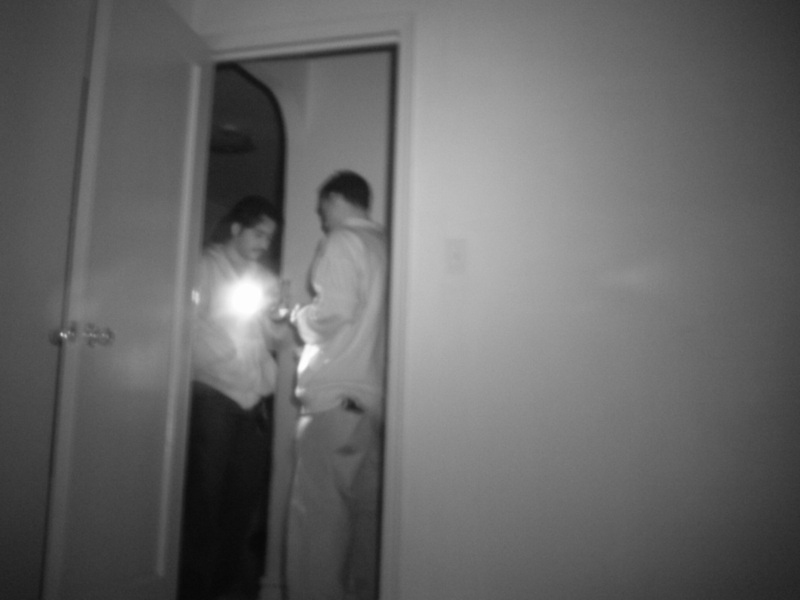 Andrew using the infrared camera in the dark during a residential investigation. 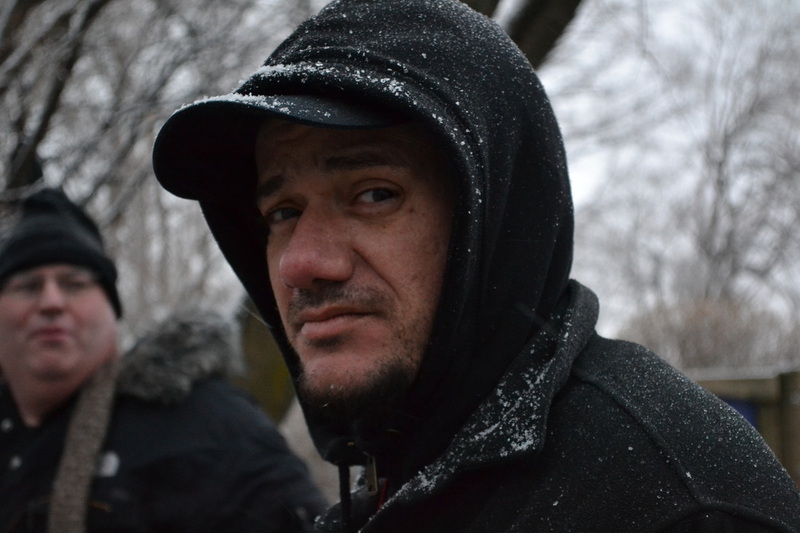 Andrew reflects during a residential investigation in the Bronx. 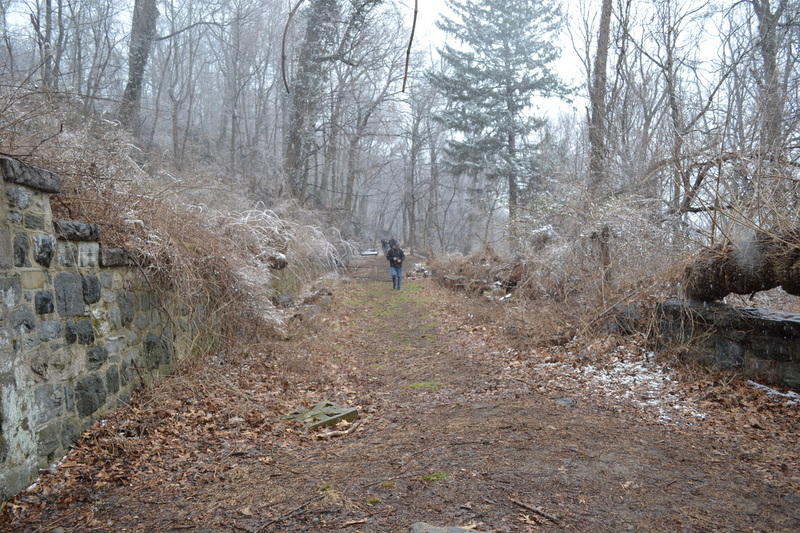 Andrew on Sweet Hollow Road. 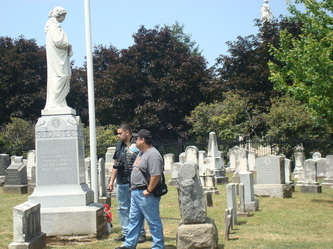 Andrew at St. Joseph's Cemetery. Checking the attic for spirits. 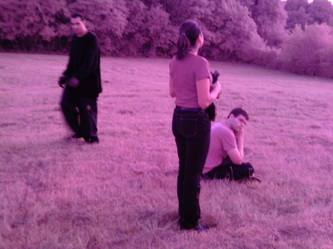 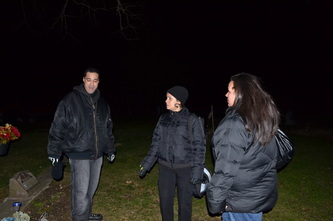 Doing an EVP session at Fantinekill Cemetery. 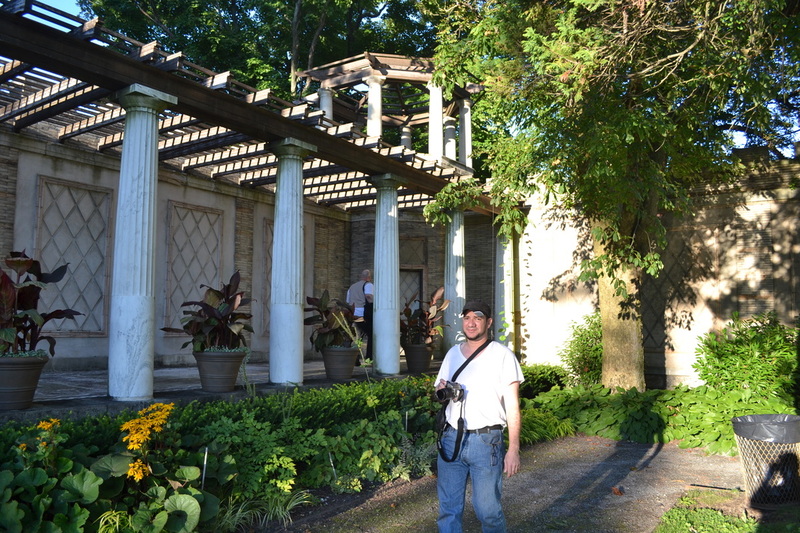 Andrew in the Eagle's Nest gazebo at Untermyer Park. 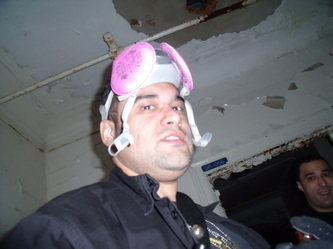 Reuven dons an asbestos safety mask, while inside of Building 23 at the KPPC, sometime before it's demolition. 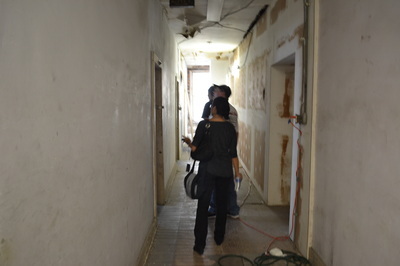 Reuven checks out the breezeway that connects Building 7 to Buildings 21 & 22 at the KPPC. 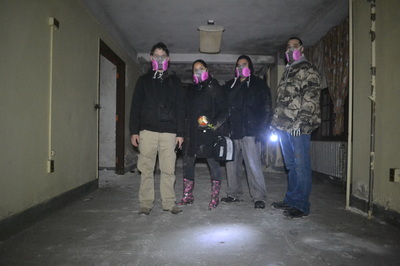 Wearing night vision goggles at the Shanley Hotel. 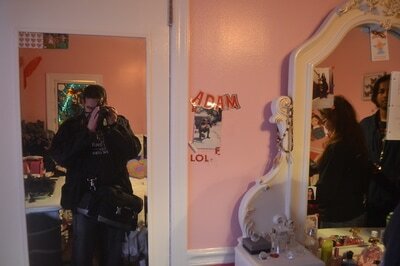 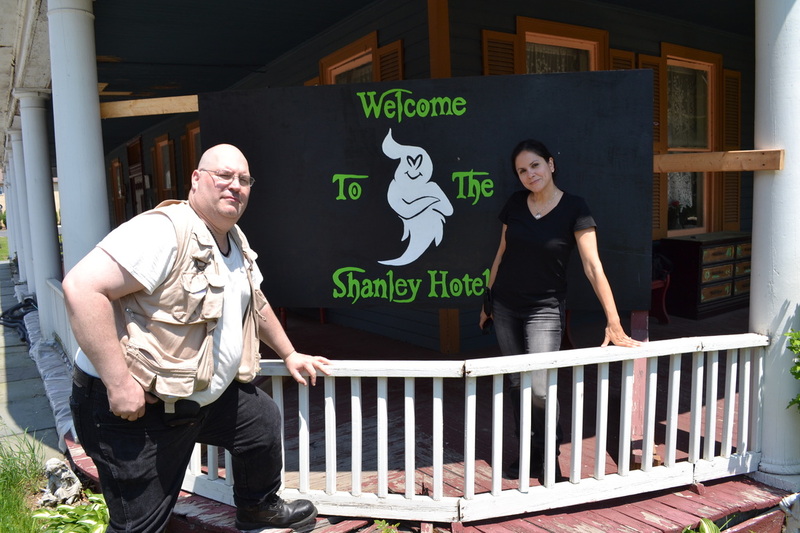 Doing a video tour of the Shanley Hotel. 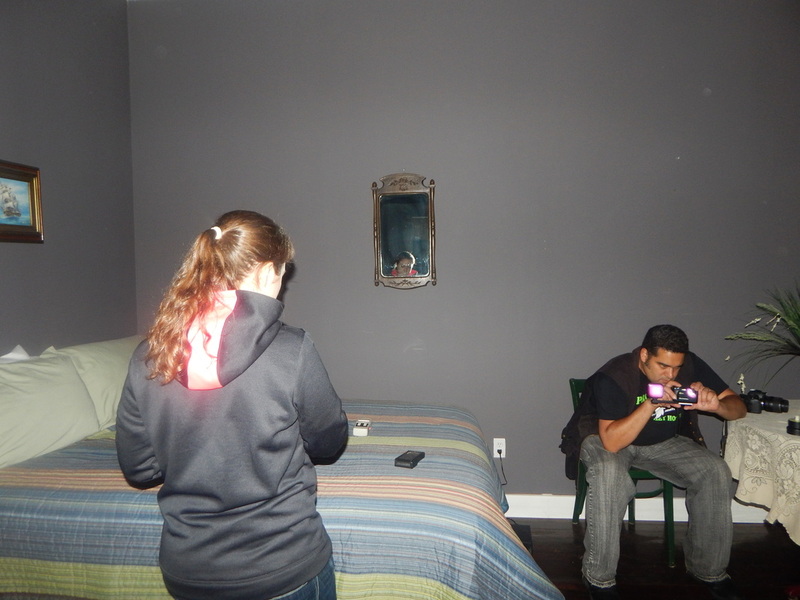 Recording in night vision with an ultraviolet infrared lamp at the Shanley Hotel. There's just something odd about when you find an actual skeleton in the closet at Sherwood House in 2016. 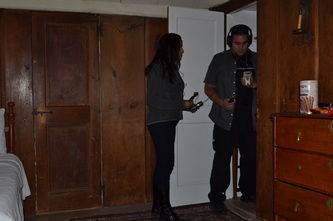 In the attic of the Sherwood House Museum. 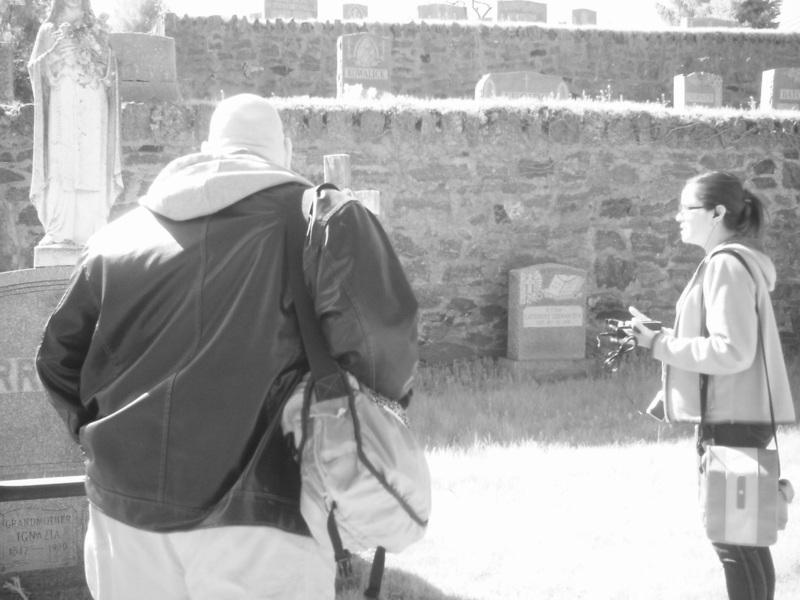 Recording with the full spectrum camcorder at St. Mary's Cemetery. 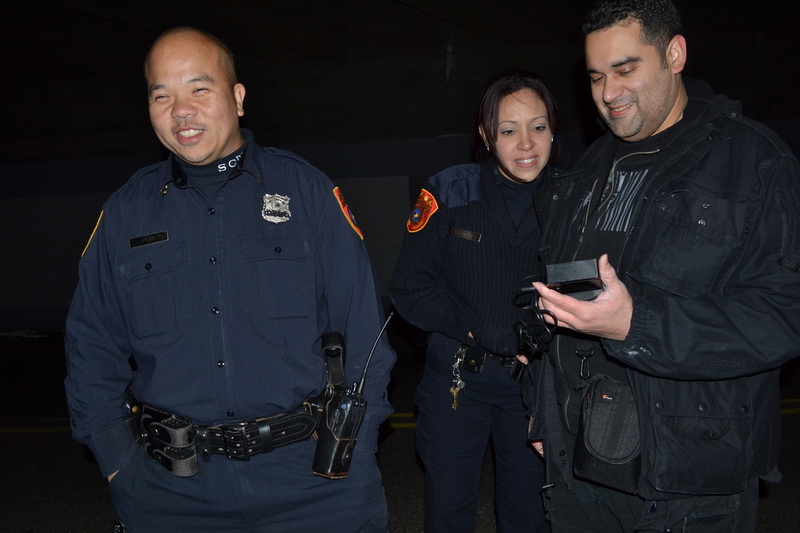 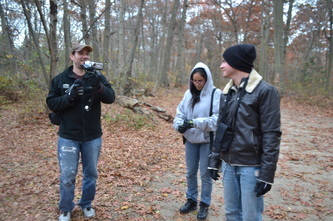 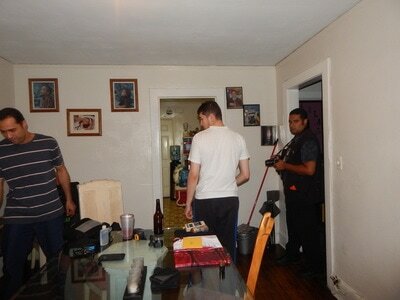 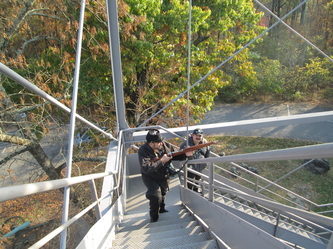 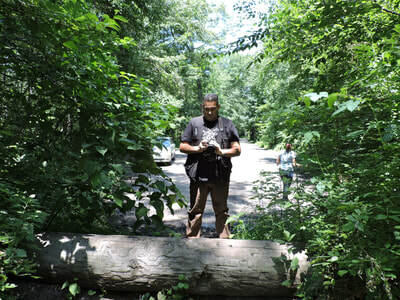 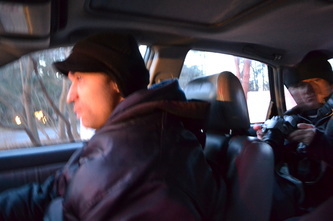 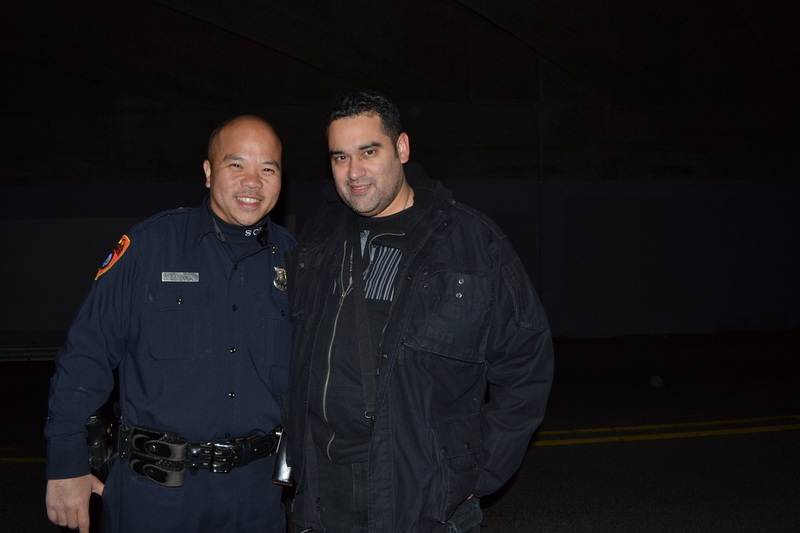 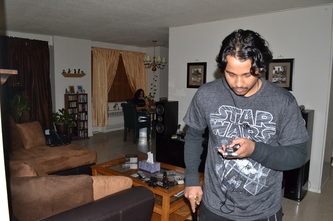 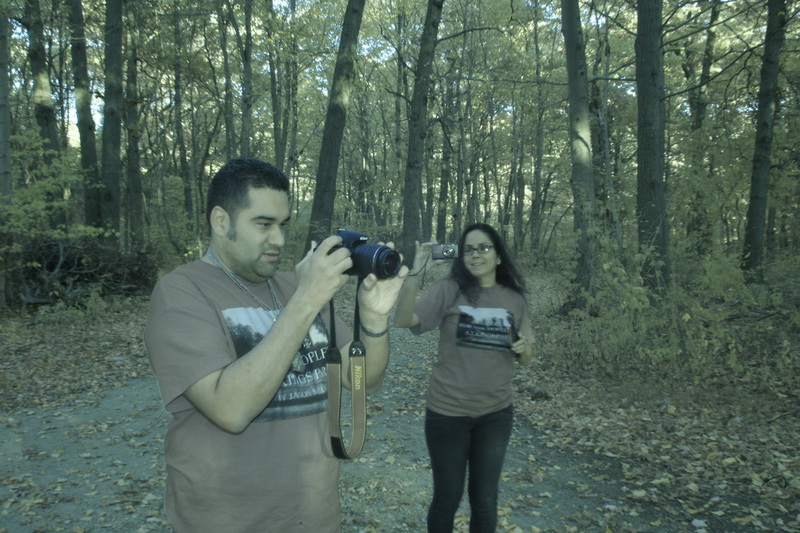 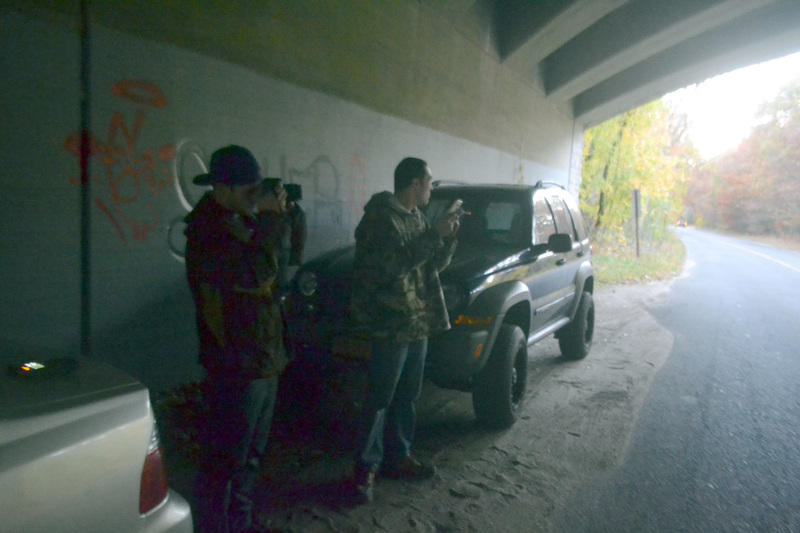 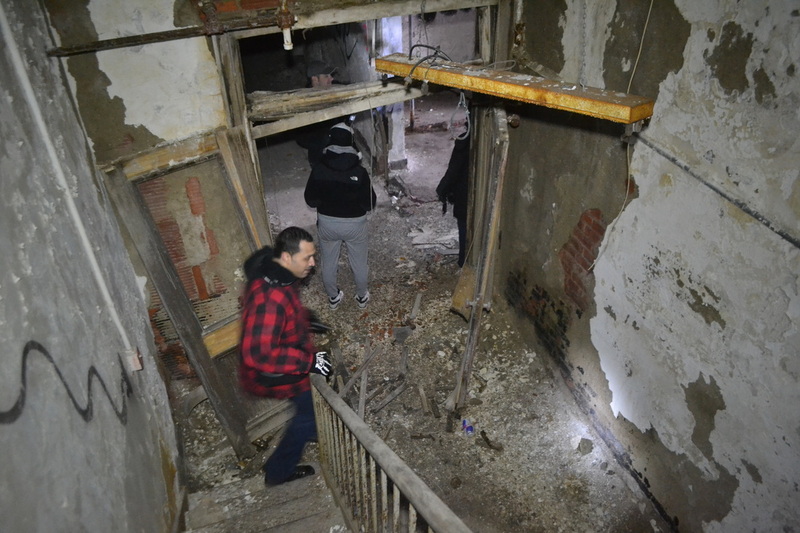 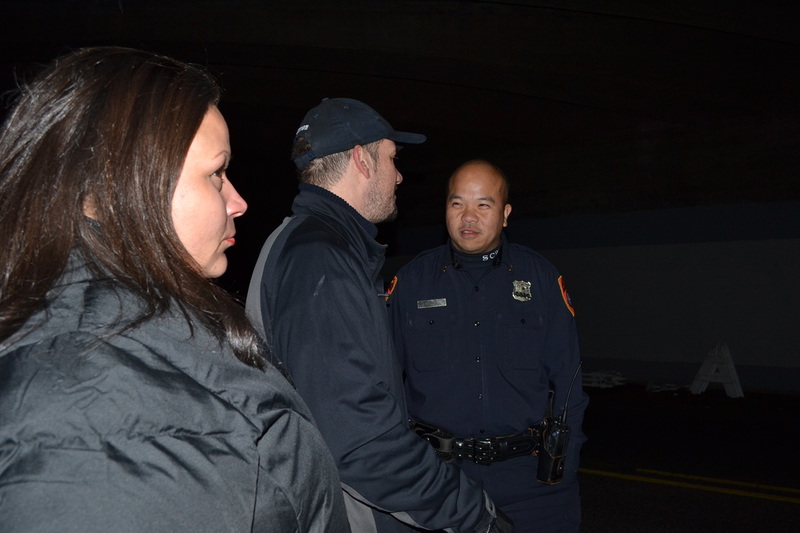 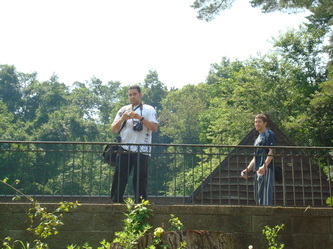 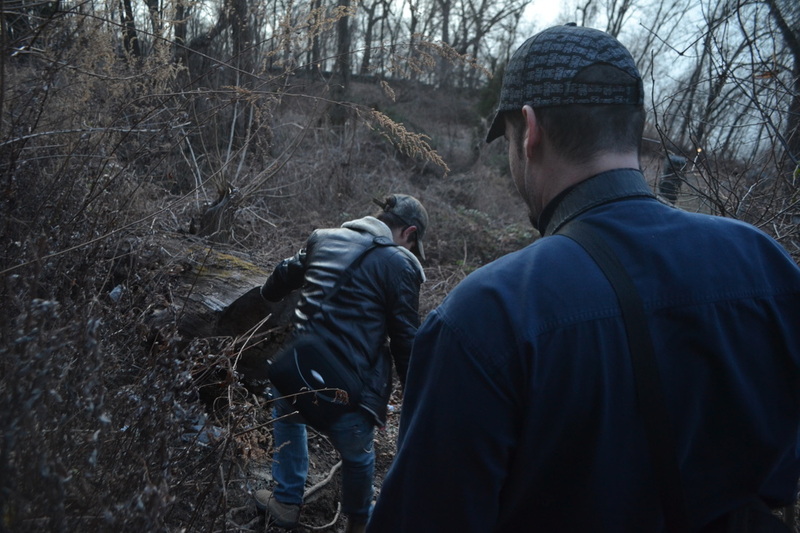 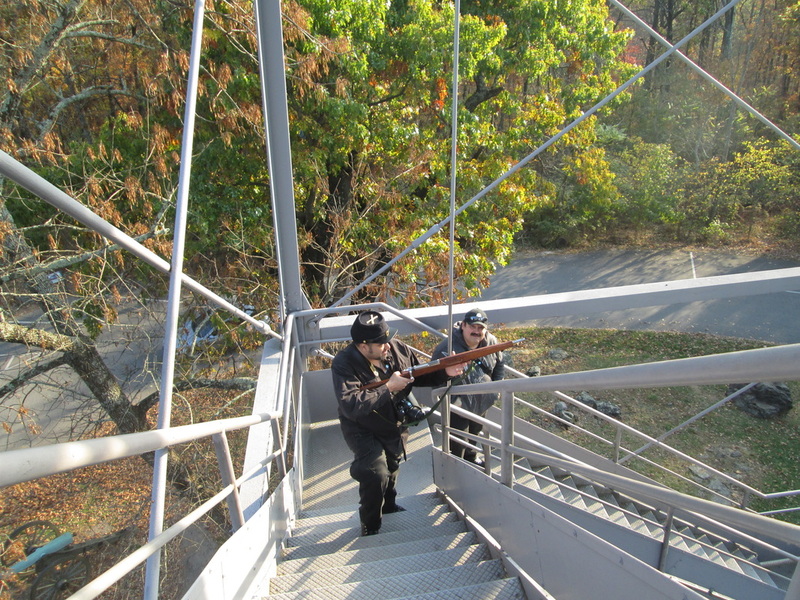 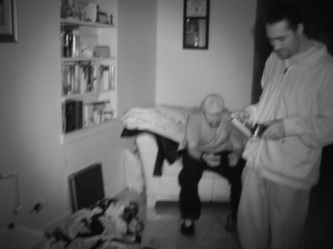 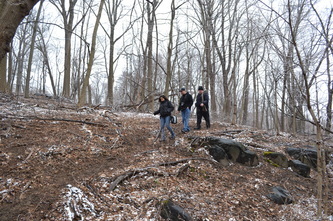 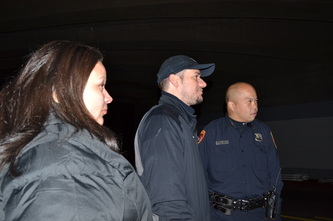 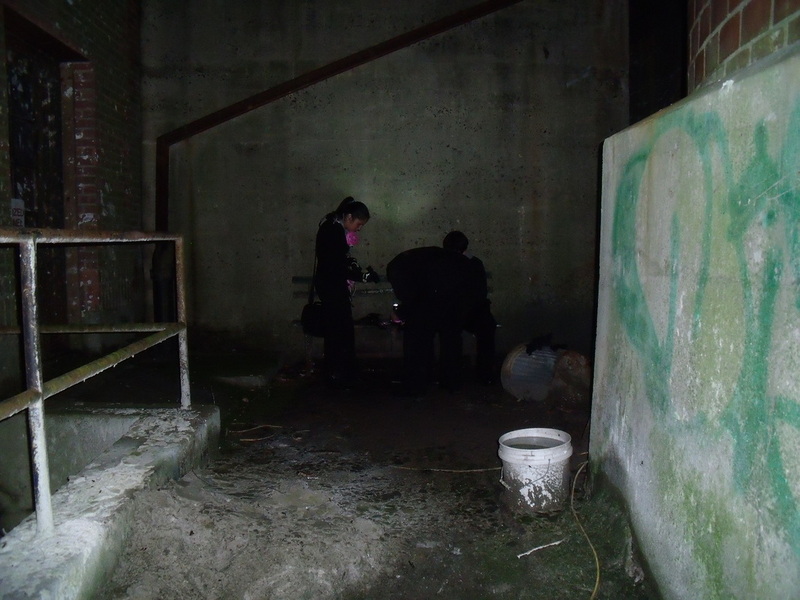 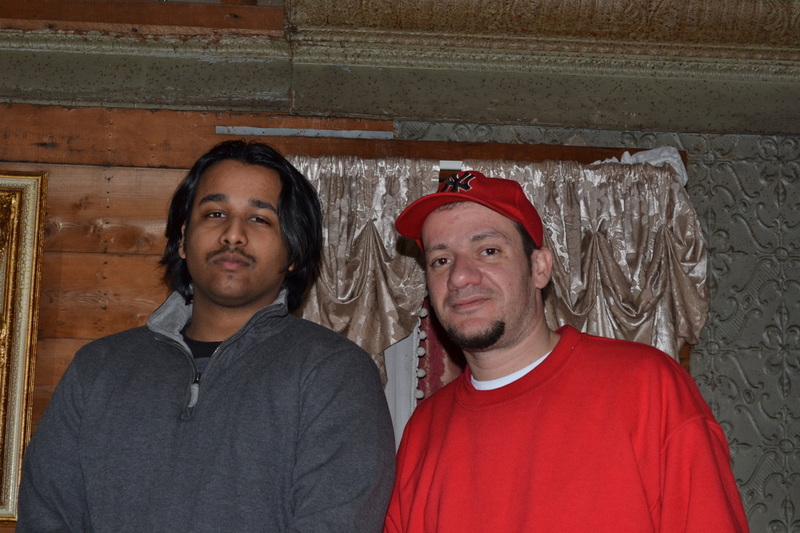 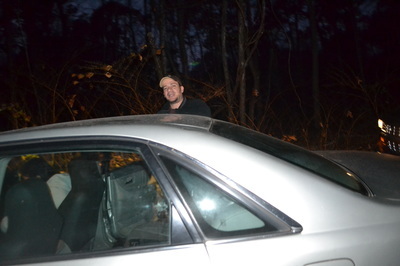 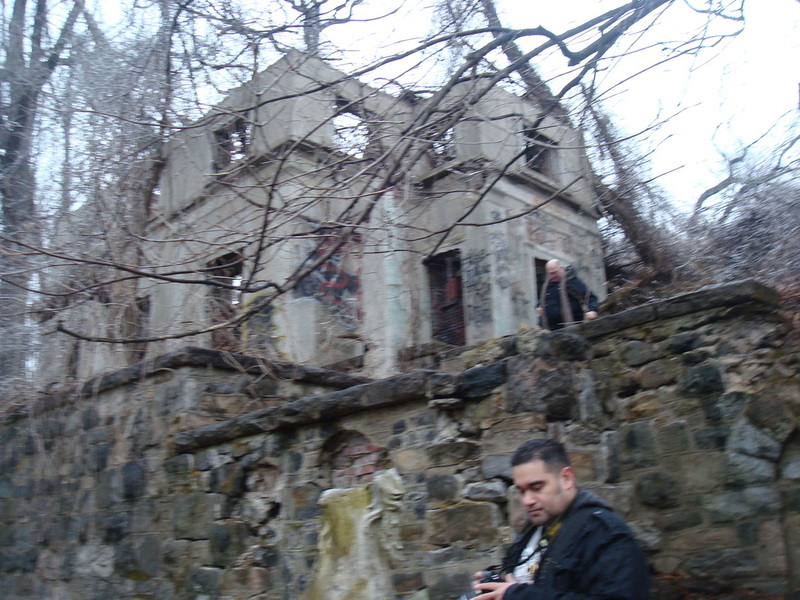 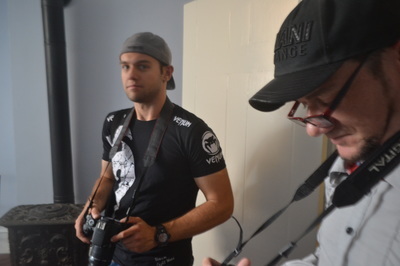 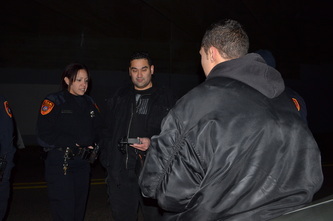 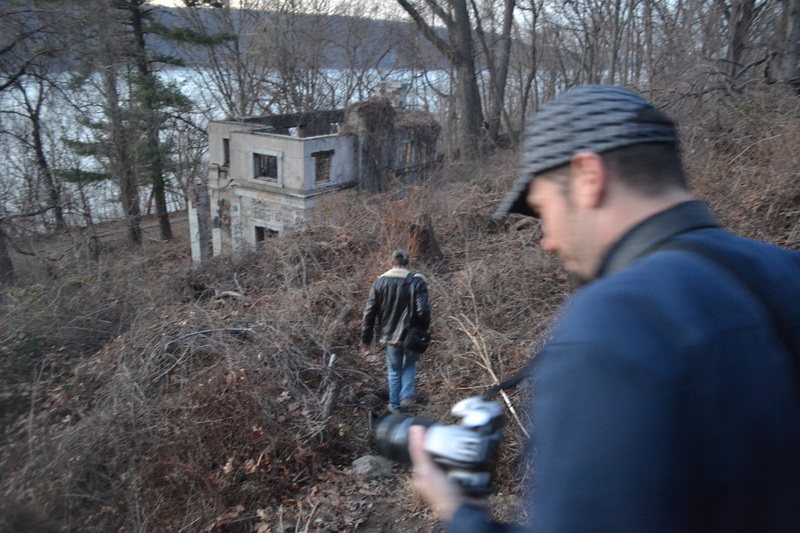 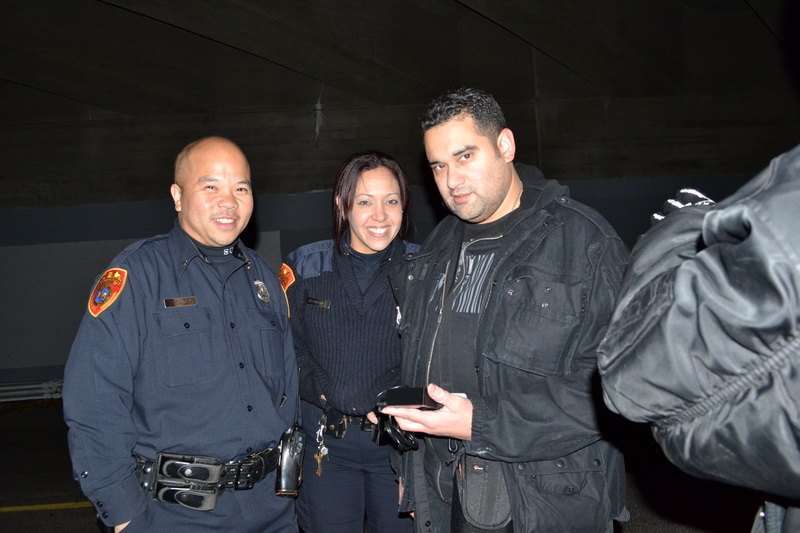 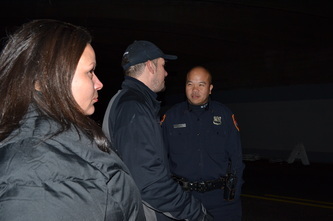 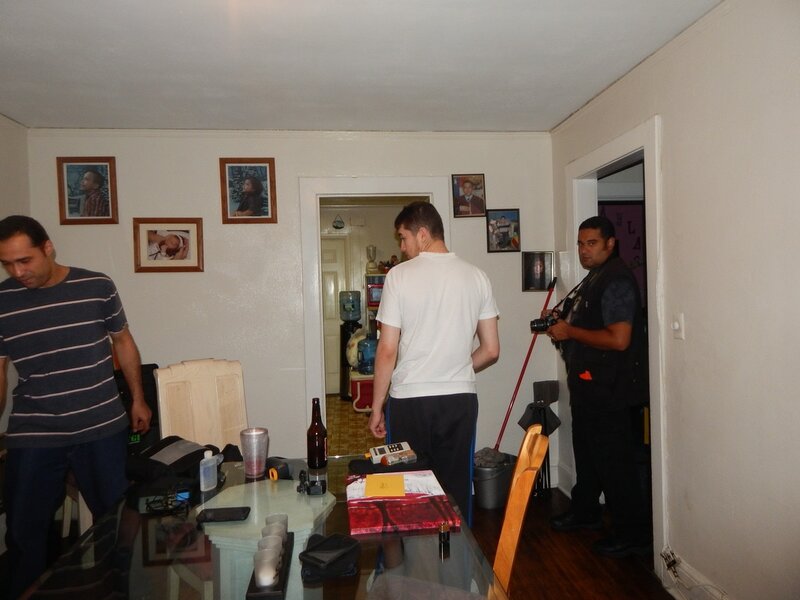 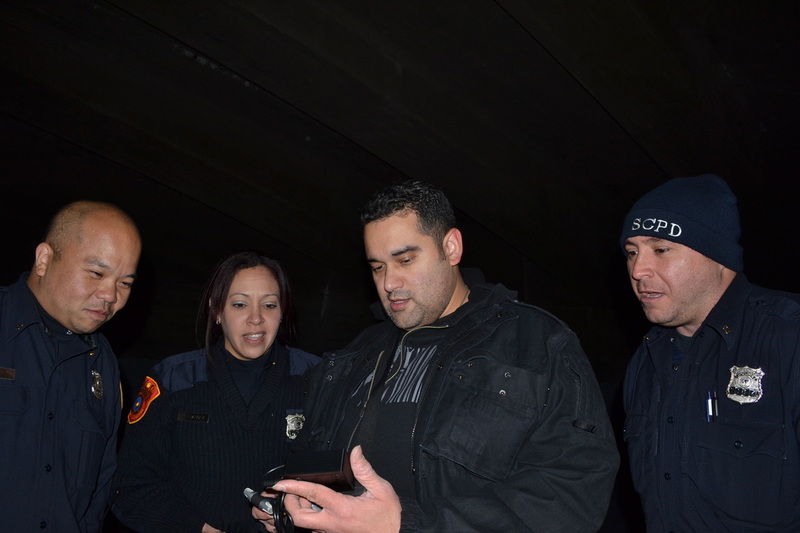 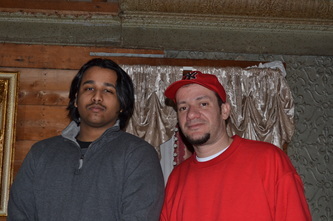 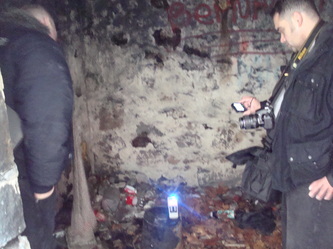 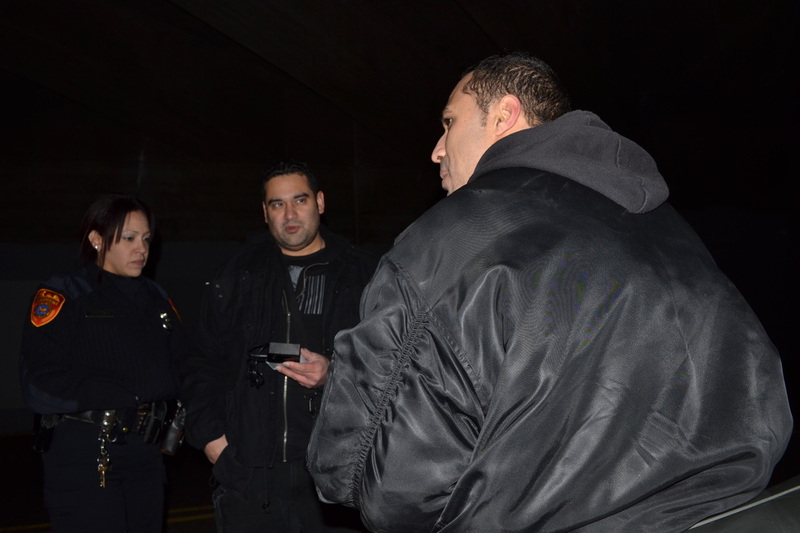 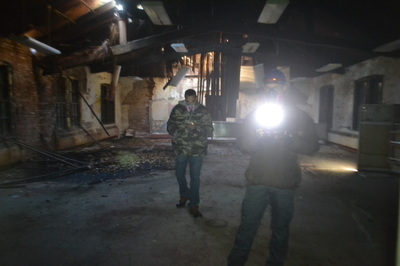 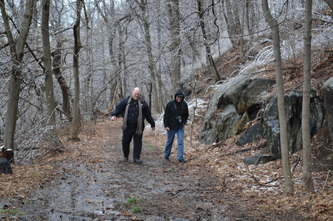 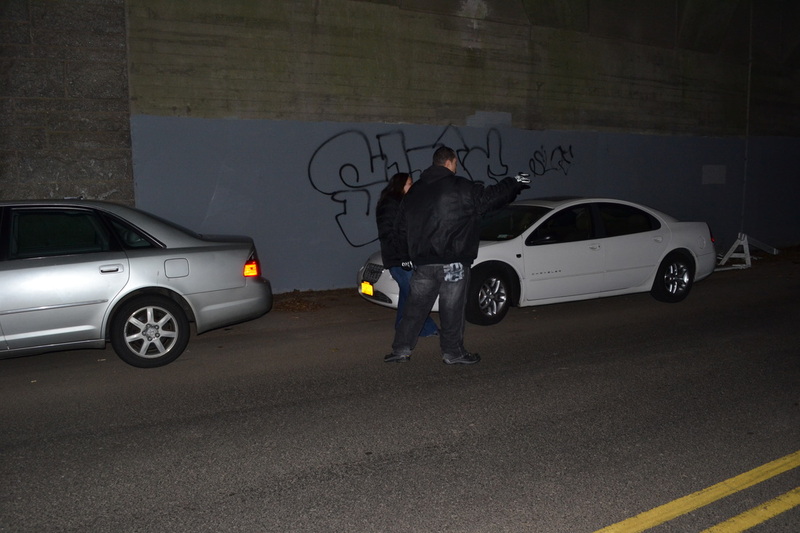 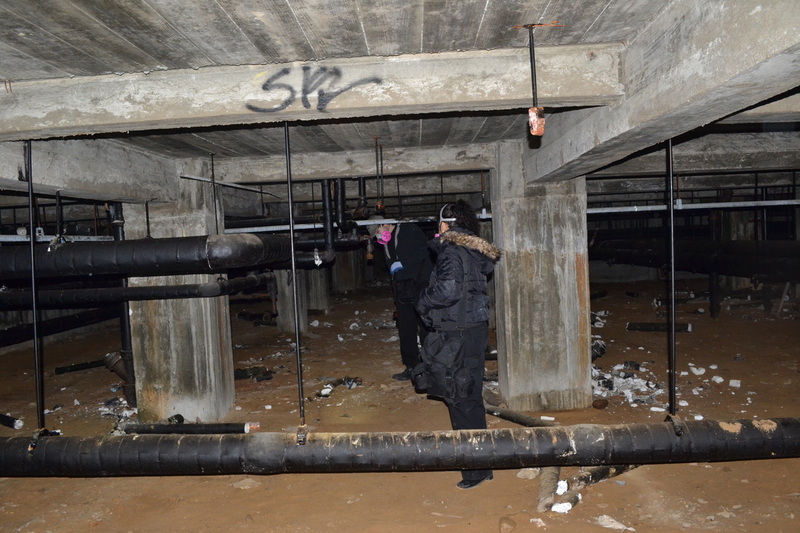 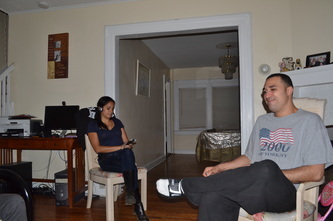 Reuven recording a video during a residential investigation in Yonkers. Recording a video in a basement using the infrared camera. 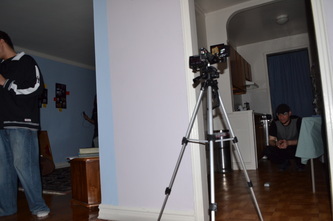 Recording a video using the full spectrum camera. 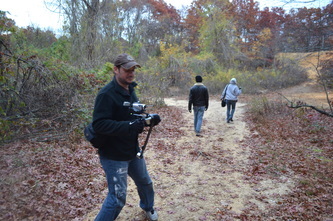 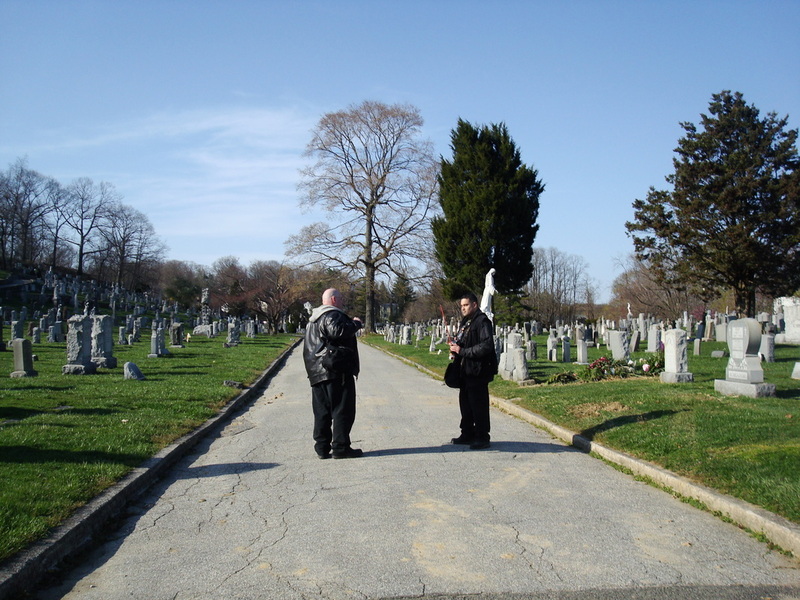 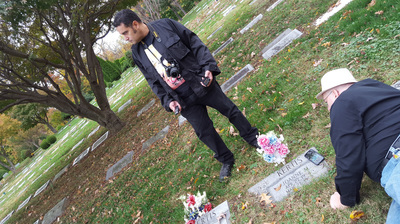 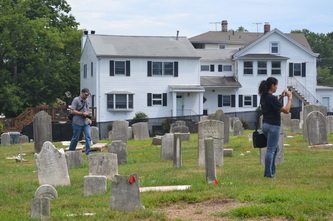 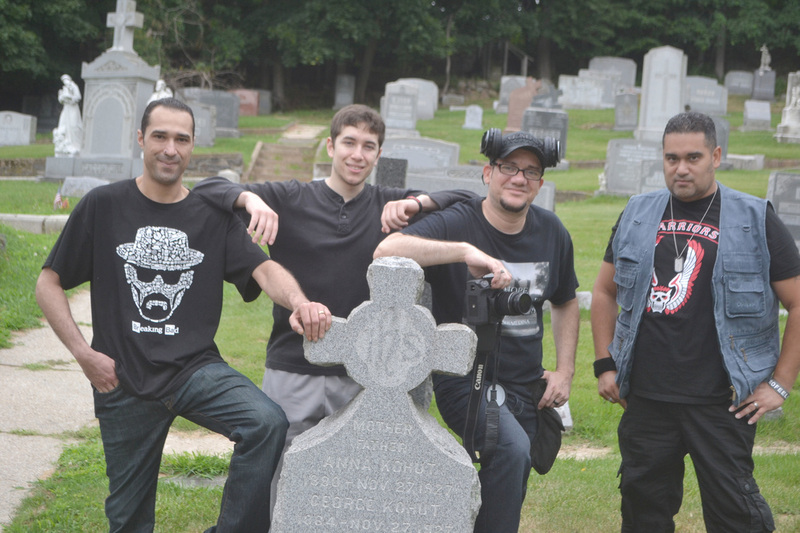 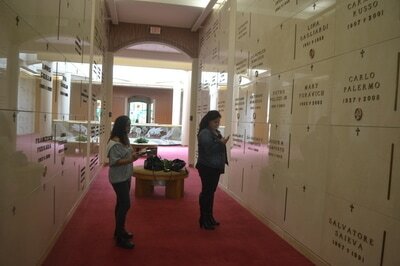 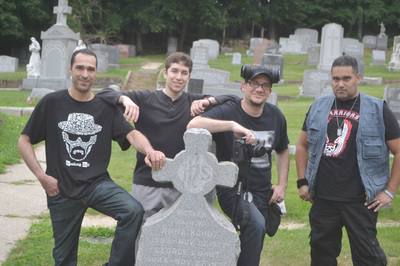 Recording a video at St. Peter's Cemetery in New Jersey. 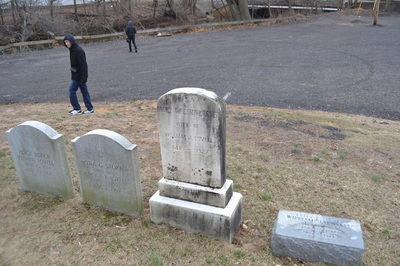 Reuven at Chester Hill Cemetery in NJ. 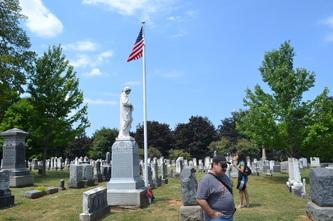 Taking photos at St. Joseph's Cemetery in July 2016. 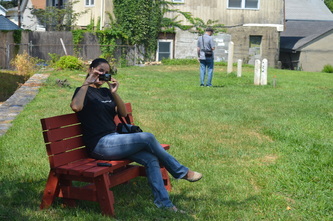 Taking photos at Great Hunger Memorial Park. 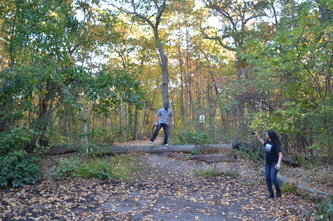 Taking photos at Mt. 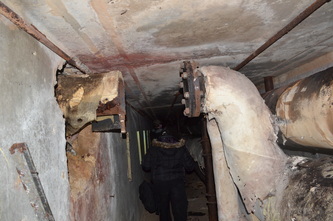 Misery Road. 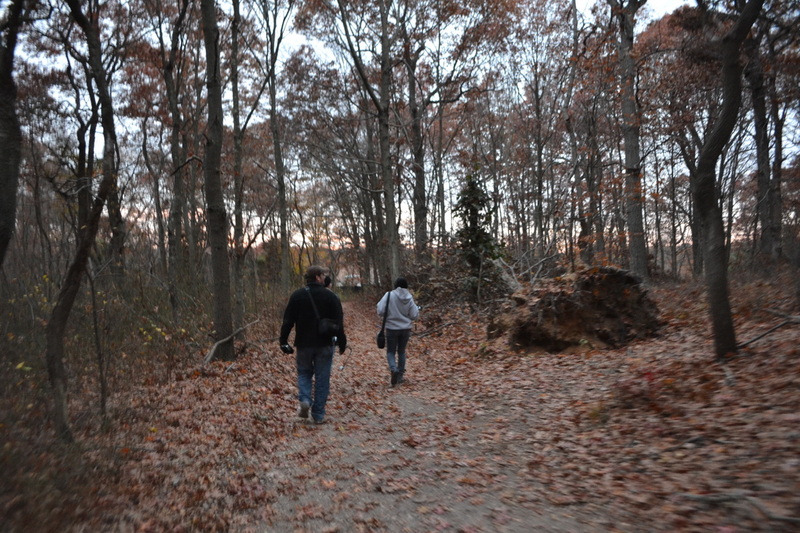 Walking along Sweet Hollow Road on Long Island. 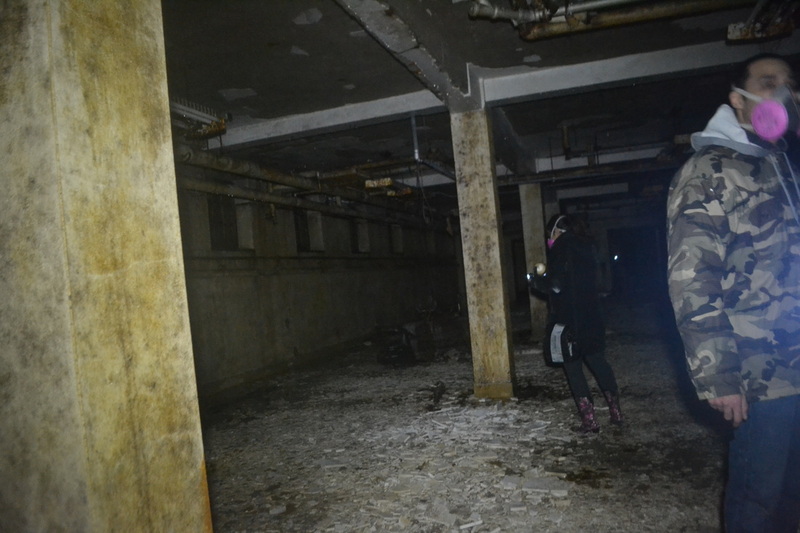 Sam checks the caged doors used for criminally insane patients at Kings Park's Building 22. Sam taking a photo of the MEL-ATDD meter. 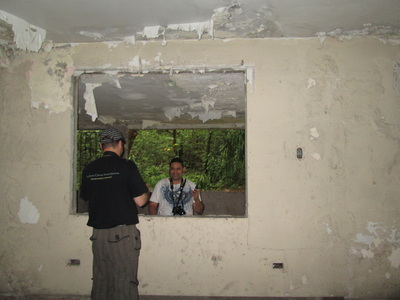 Sam takes a photo from inside of Building 94 at the KPPC. 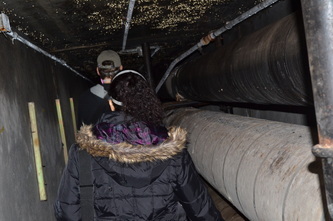 Walking through the underground tunnels of Kings Park. 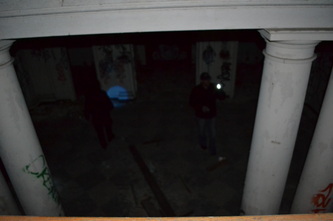 Sam looking up to the daylight from the basement of the storage building at Kings Park. 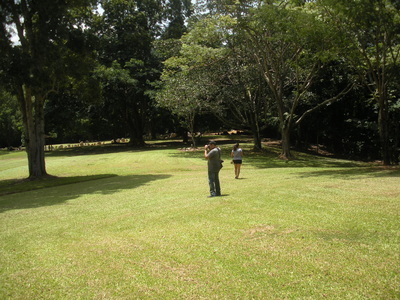 Walking on the grassy rooftop of the Quad at Kings Park. Looking down from the roof of Building 7 at Kings Park. Looking down through the floor. 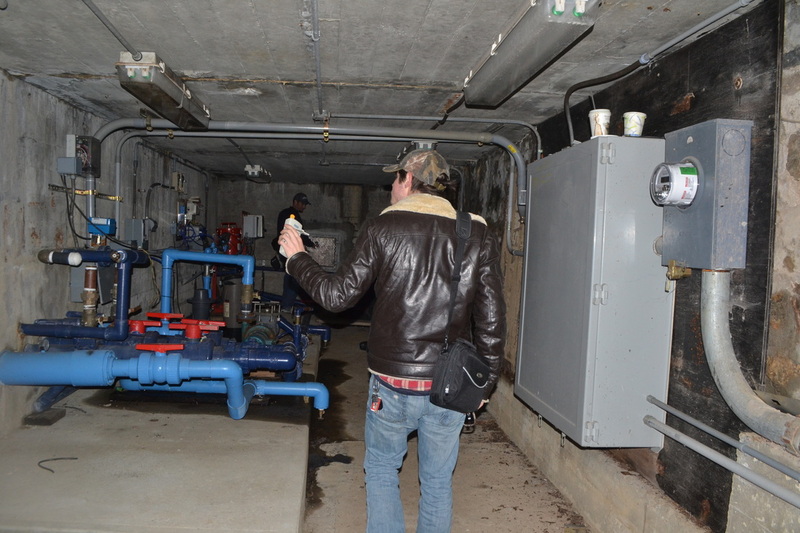 Sam using the Trifield Meter inside of Building 39 at the KPPC. 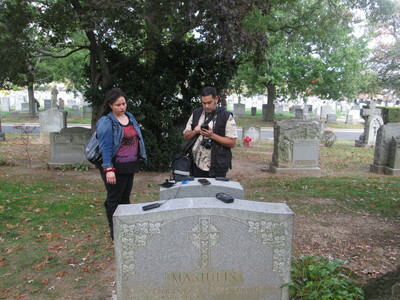 Sam uses the MEL-ATDD Meter at Potter's Field Cemetery. 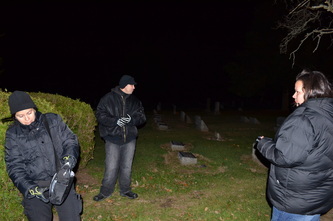 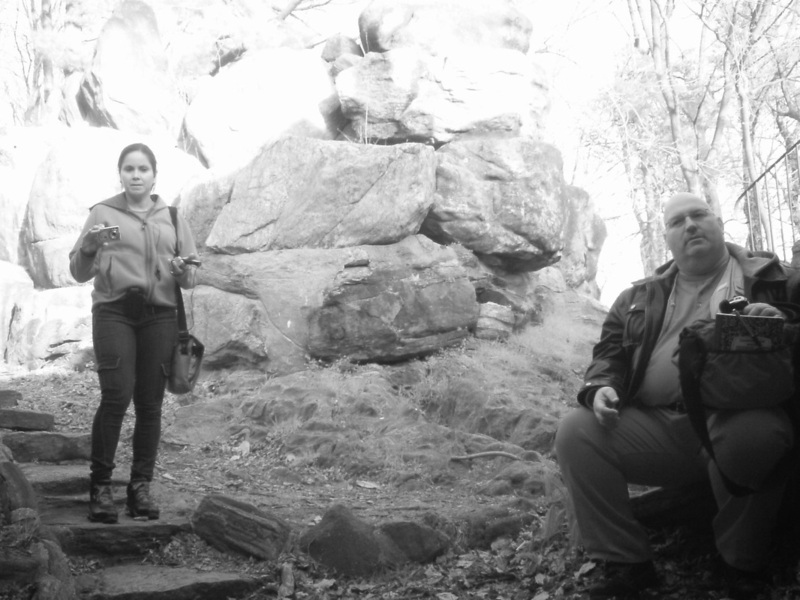 EVP session at Kings Park Group 4. 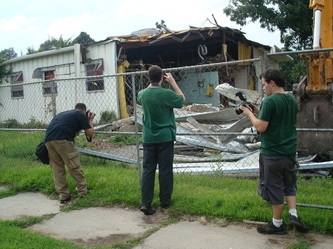 Taking a photo of a broken pool table. 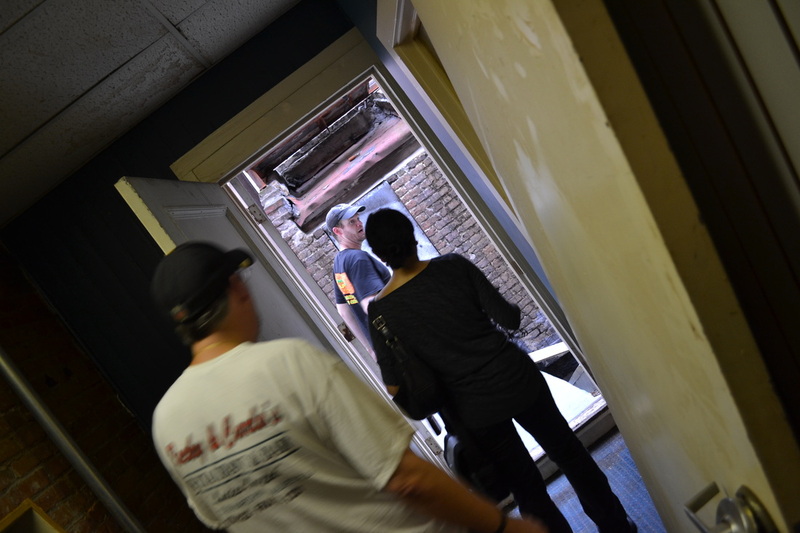 Sam checks out the second floor management office. 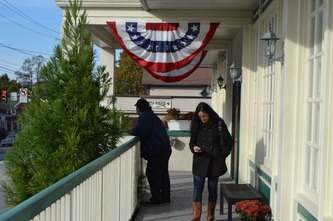 Bavarian Inn near Lake Ronkonkoma. 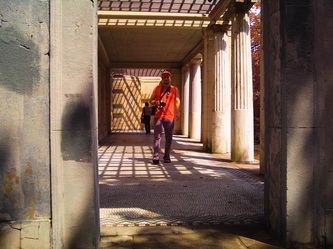 Sam using the full spectrum camcorder in the walled garden at Untermyer Park. Sam explores the abandoned gatehouse at Untermyer Park. 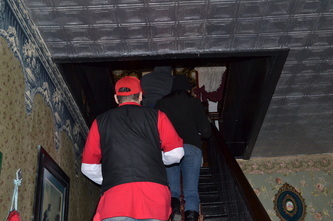 Descending deeper into the unknown. Danny found something to read at Letchworth Village. 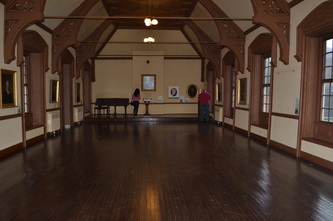 Inside of the old dining hall at Letchworth Village. Danny looks around inside of the abandoned synagogue at Letchworth Village. KPPC Group 4 at night. 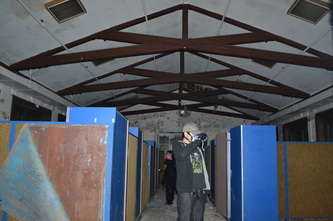 At the bowling alley of Building 23 at Kings Park, a building that is now demolished. 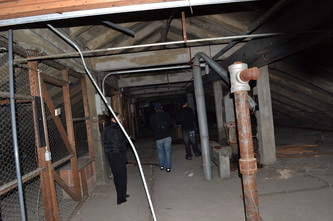 Underneath Building 21 at Kings Park. 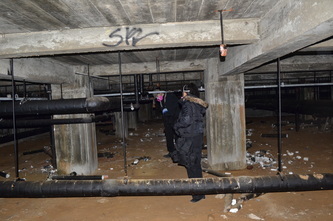 Basement of Building 123 of Group 2 at Kings Park. Danny checks the structural damage underneath Building 123 at the KPPC, a location that is no longer accessible. 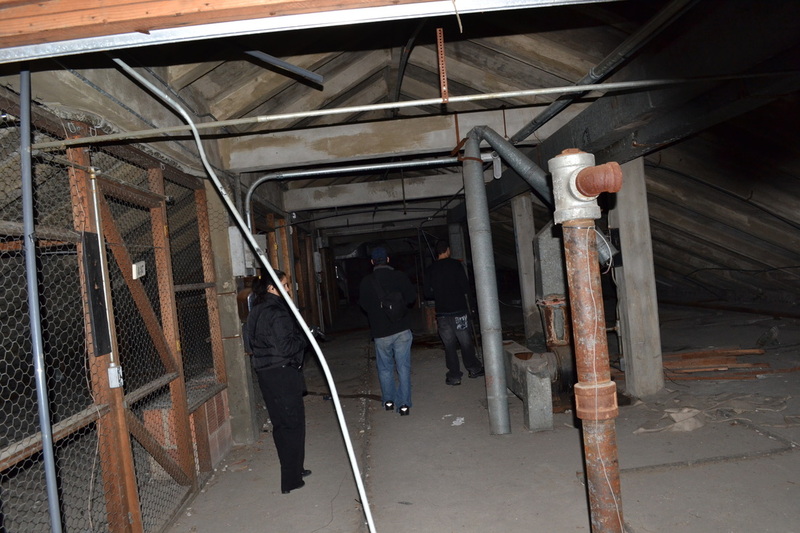 Danny trudges through the power plant basement at Kings Park. 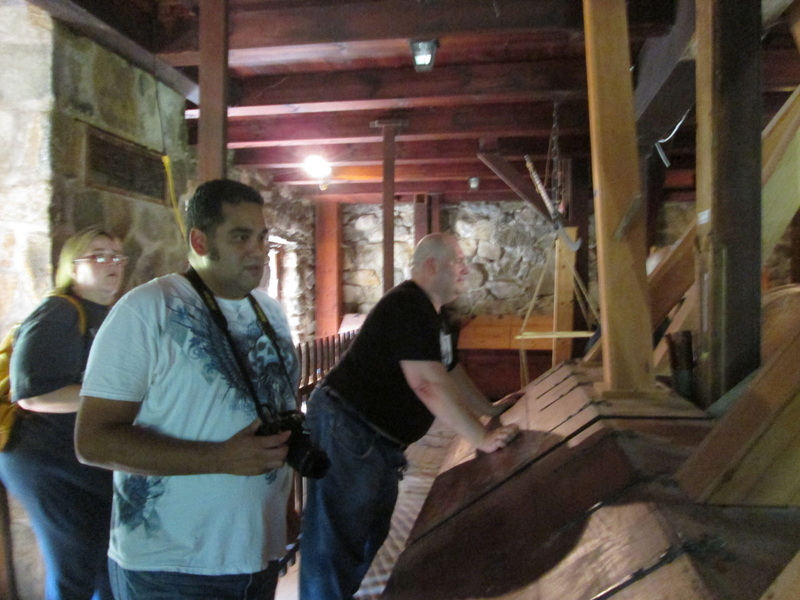 Checking the machinery of the power plant at the KPPC. Danny looking into Building 136 at the KPPC. 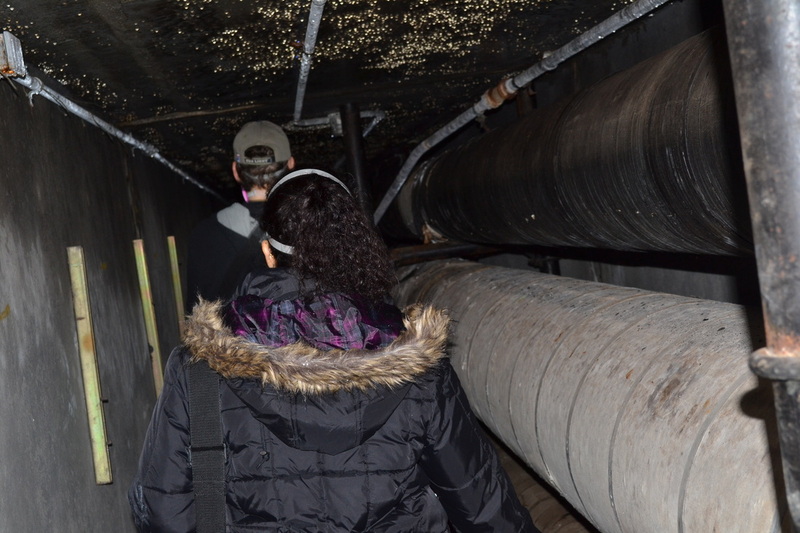 Walking through the old Group 1 tunnels at the KPPC. 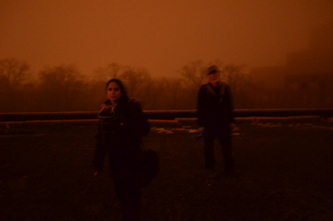 On the roof of Building 22 at the KPPC during a foggy night. 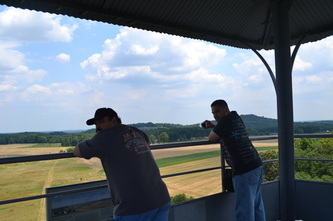 Danny Enjoys the view from the roof of Building 93 at the KPPC. 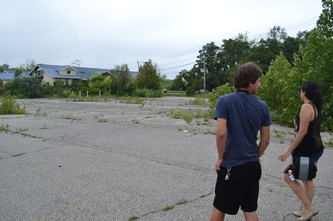 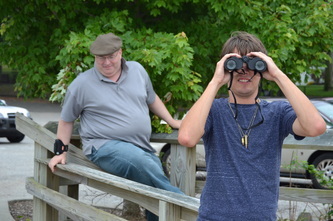 Danny peeks in at Pilgrim State, before the demolition of Building 23. Danny at an old cemetery along the Highlands Trail. 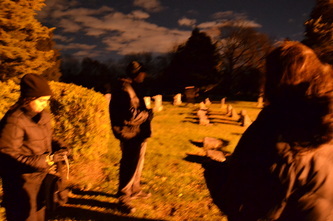 Taking part in an investigation at Oakwood Cemetery in Mt. 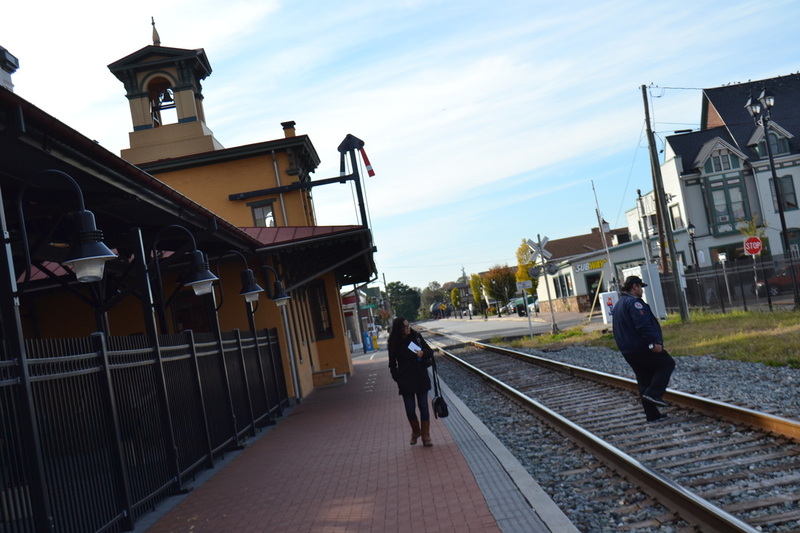 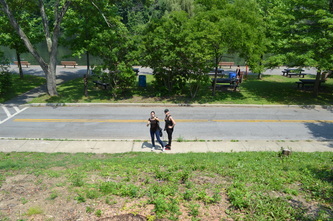 Kisco. 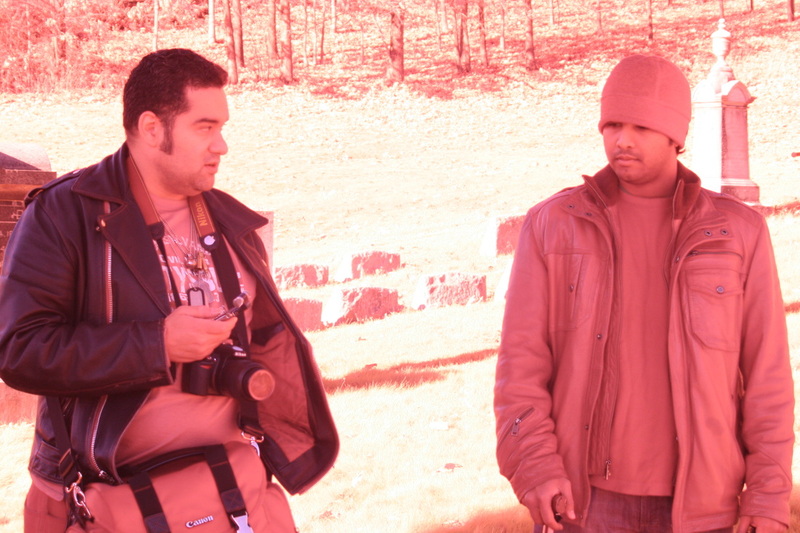 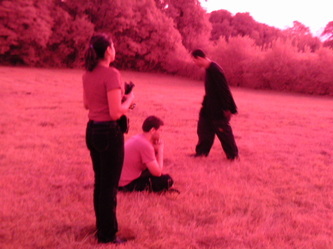 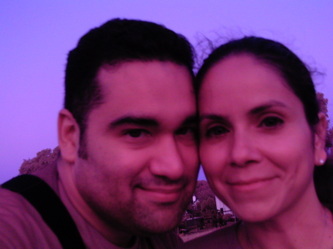 Taking photos with the infrared digital camera. 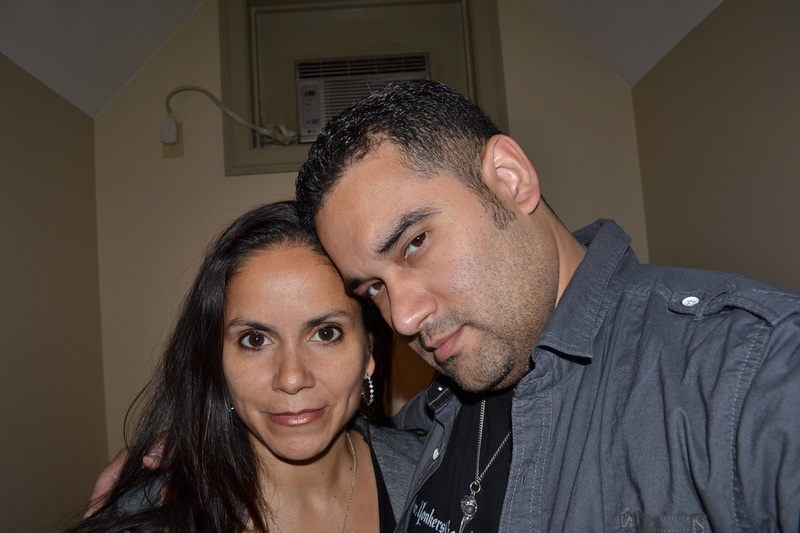 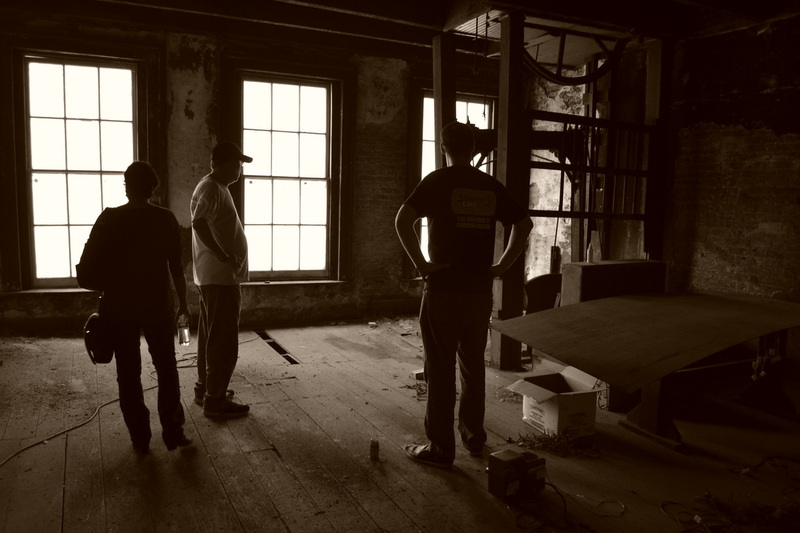 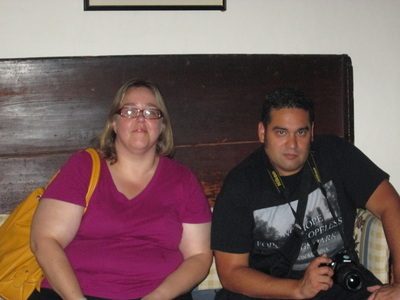 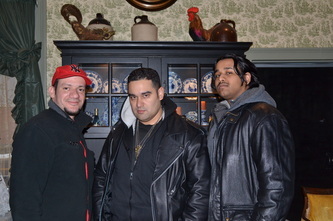 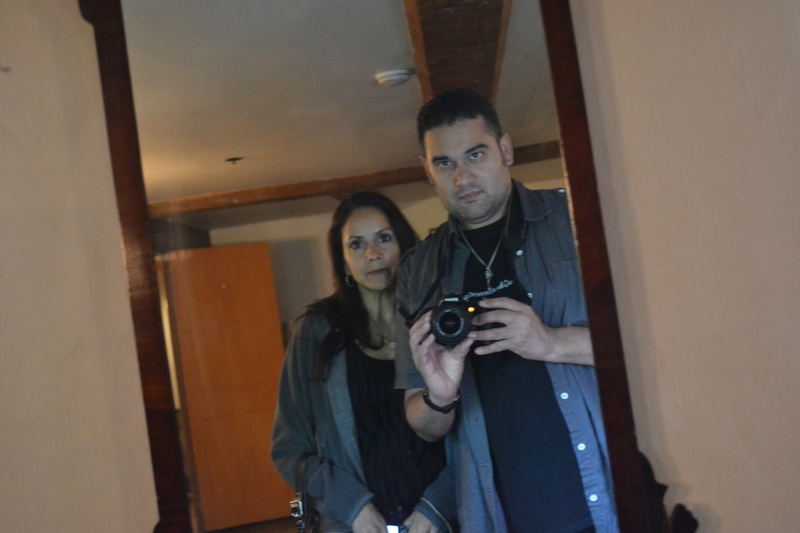 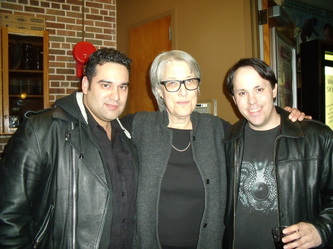 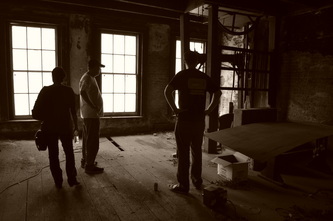 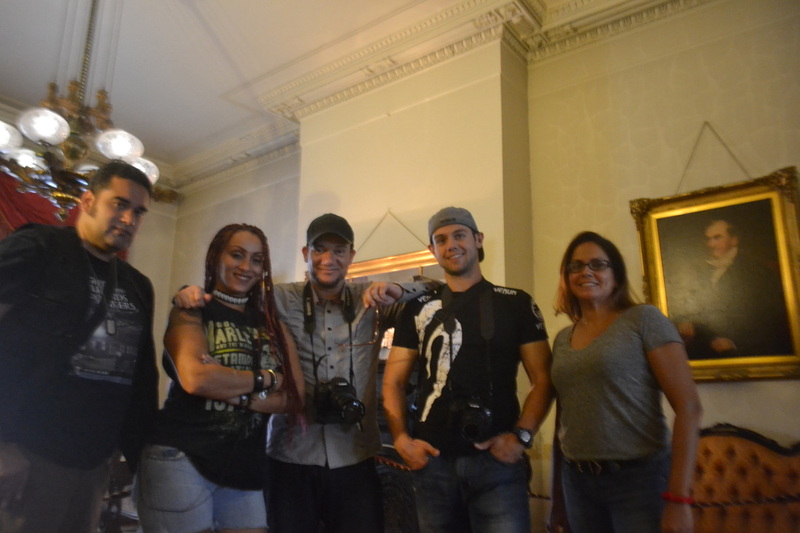 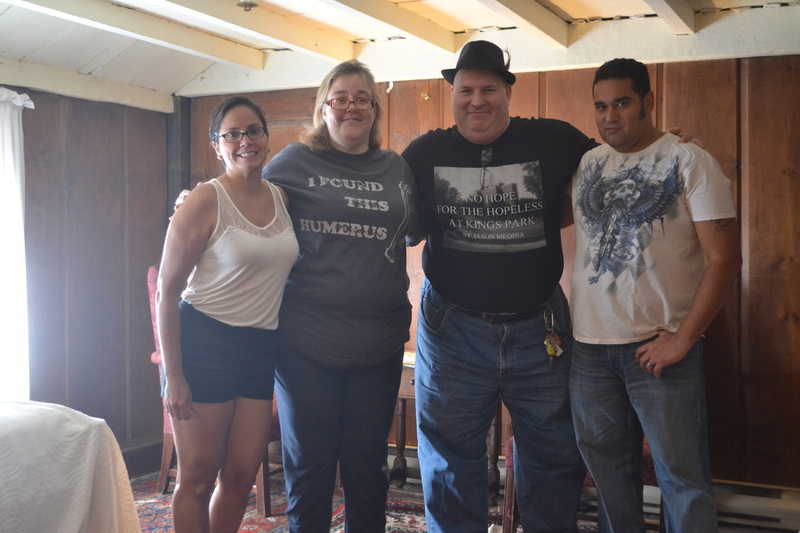 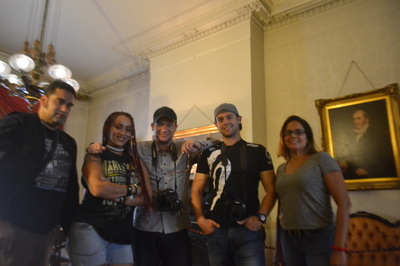 During an EVP session on the third floor of the Shanley Hotel. Amey recording a video on the third floor of the Shanley Hotel. 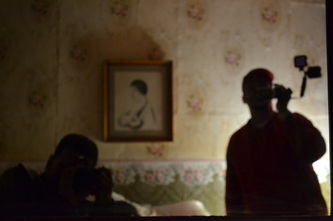 Recording a video in the bordello. 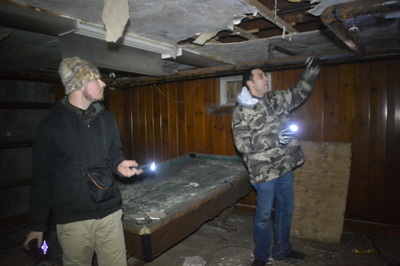 Amey checks out a room that's being used for temporary storage. 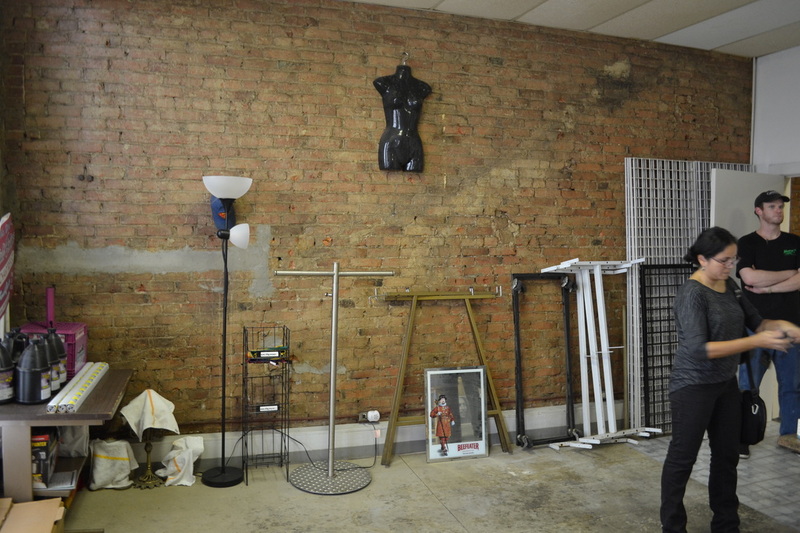 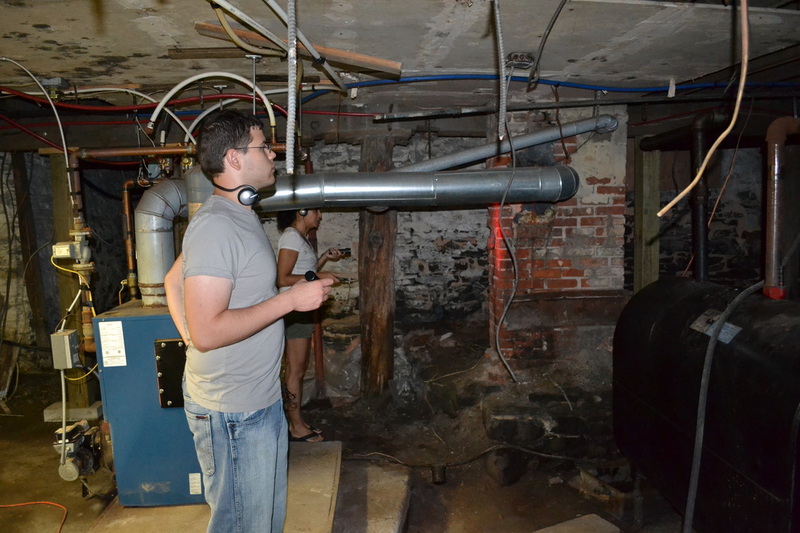 Exploring the basement of the Shanley Hotel. Third floor of the Shanley Hotel. 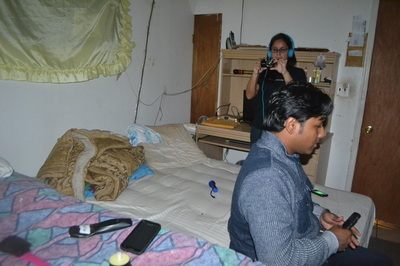 Doing a video, while using a laser grid in Jonathan's room. An EVP session at the well, where Rosie died across from the hotel. 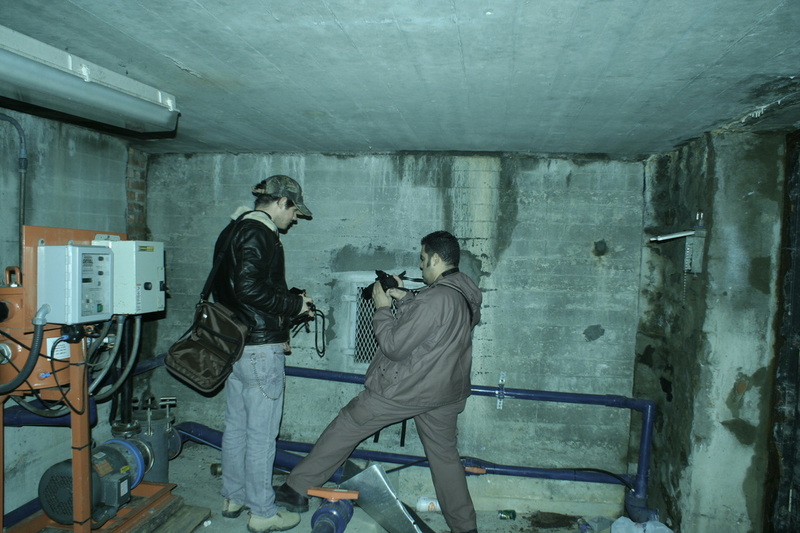 Amey down in the basement of the Shanley Hotel. In the secret room under the Shanley Hotel. 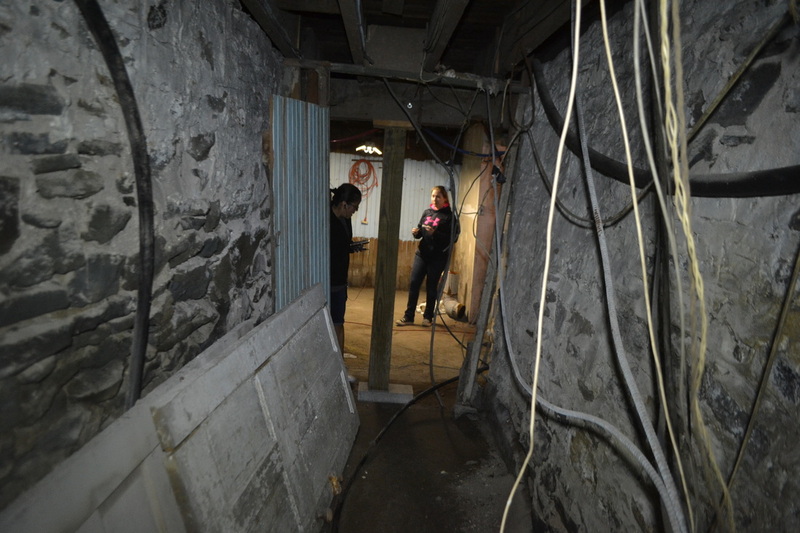 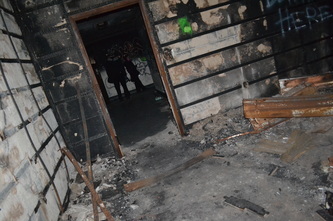 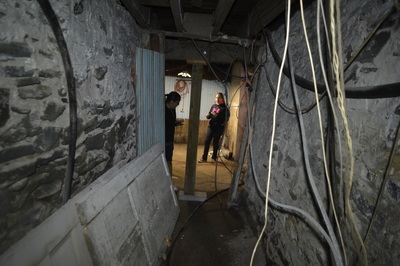 Amey in the basement of a house in Bloomfield during a residential investigation. 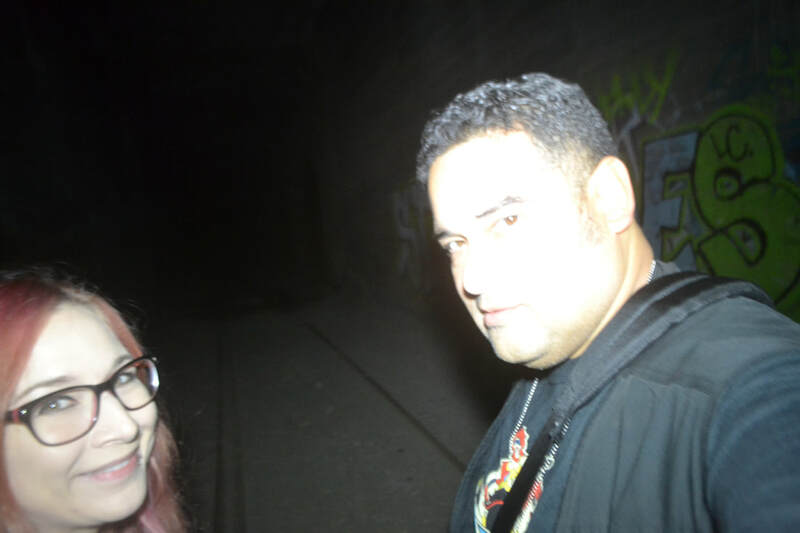 Standing in the abandoned subway tunnels of Rochester. 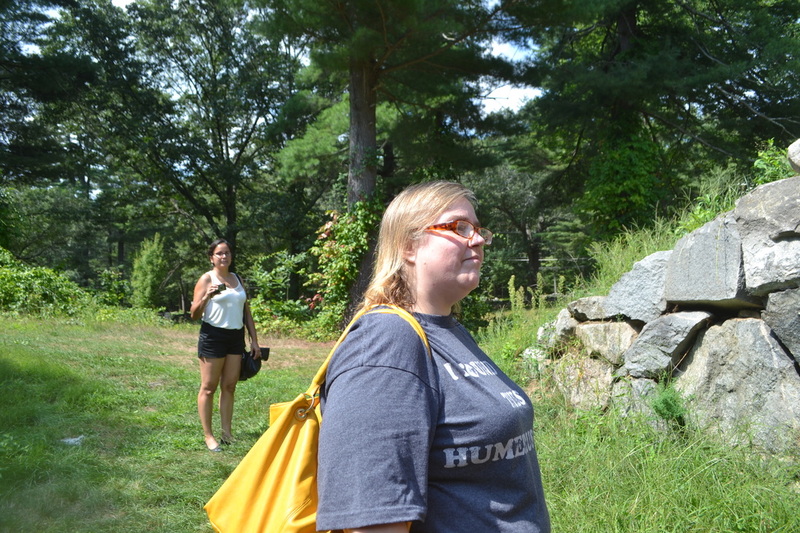 Amey at Susan B. Anthony's grave at Mt. Hope Cemetery in Rochester. 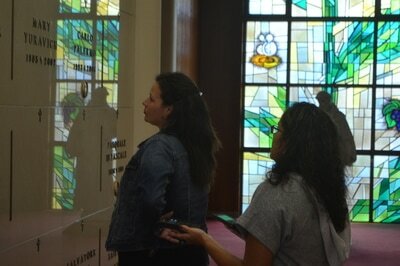 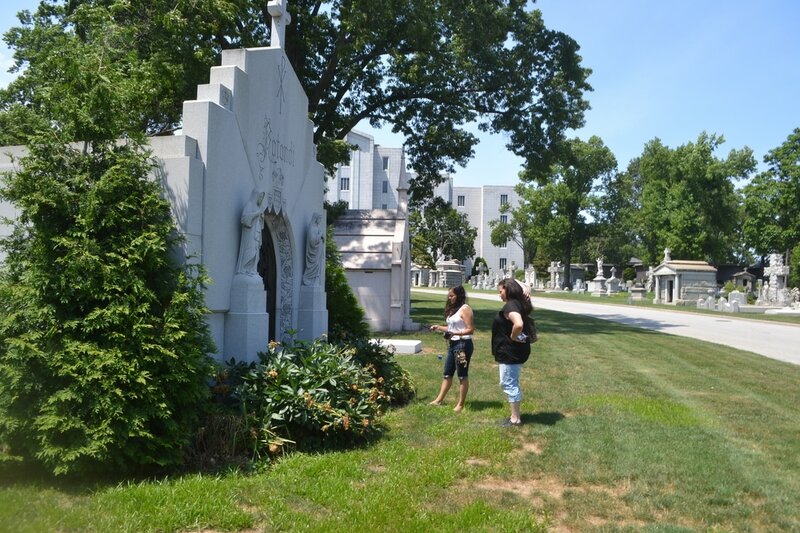 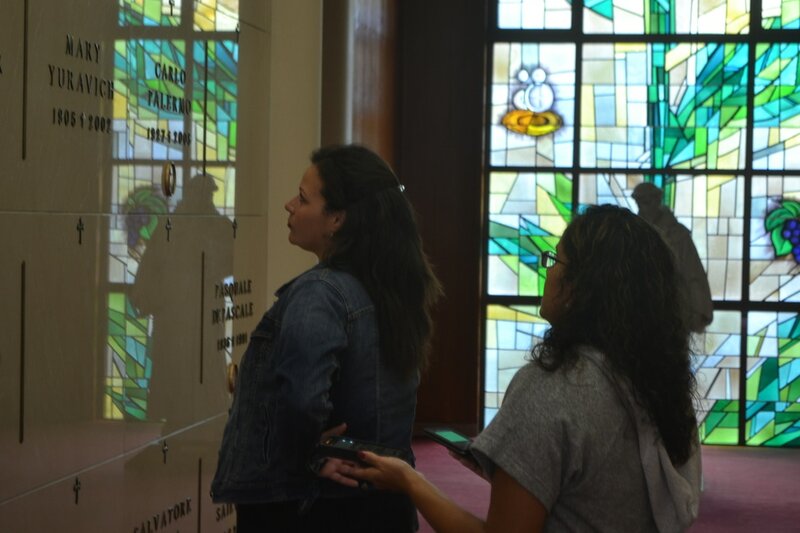 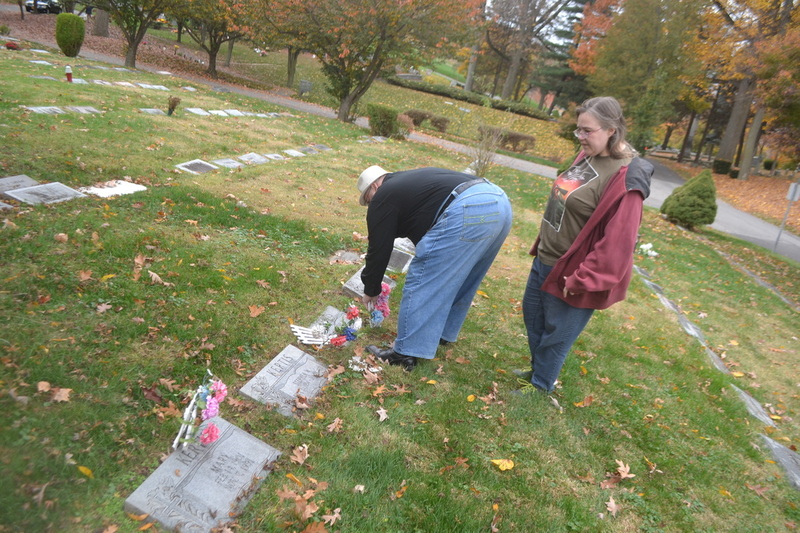 Taking a closer look at a grave, while at East Bloomfield Cemetery. 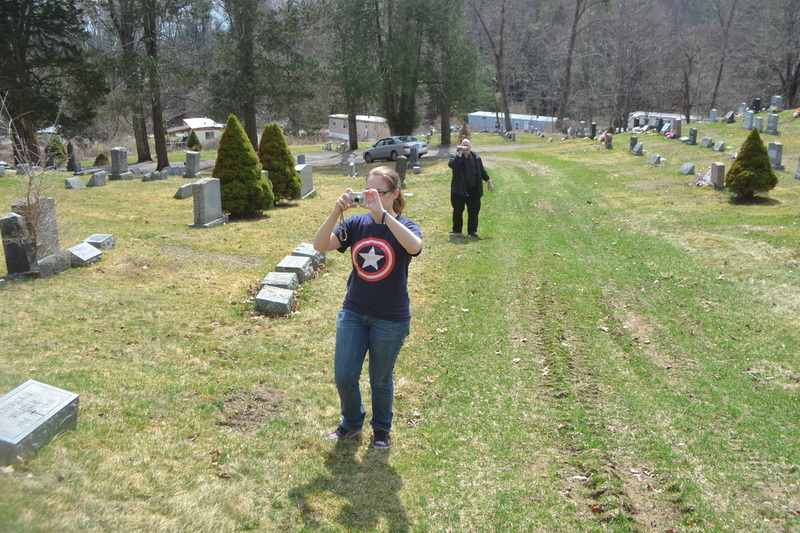 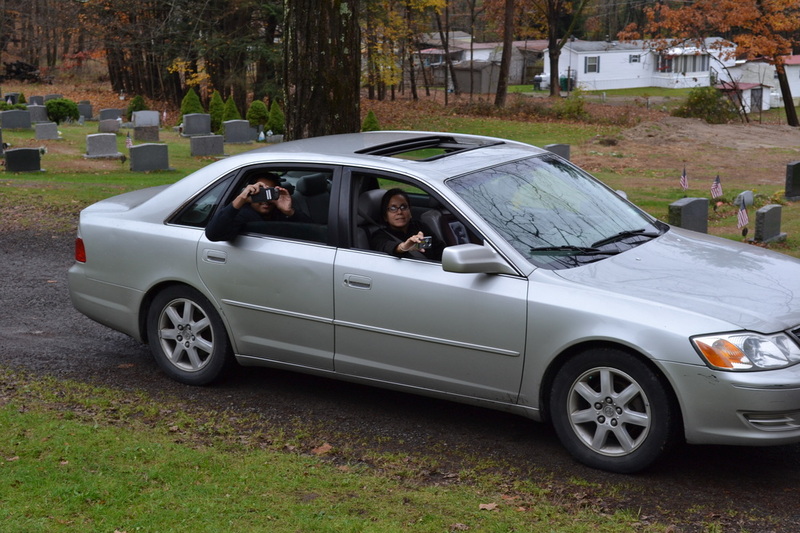 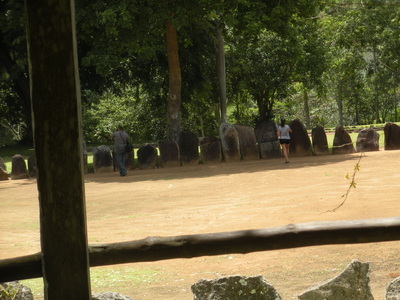 Amey takes a photo at Fantinekill Cemetery. Amey checks a photo on the camera, while at Fantinekill Cemetery. 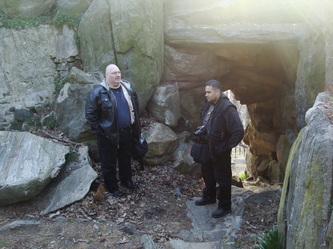 Near Strawberry Fields at Central Park. 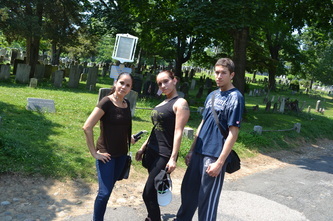 A hot summer's day at Sleepy Hollow Cemetery. 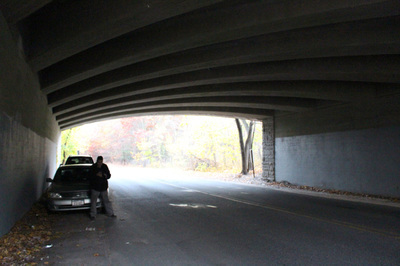 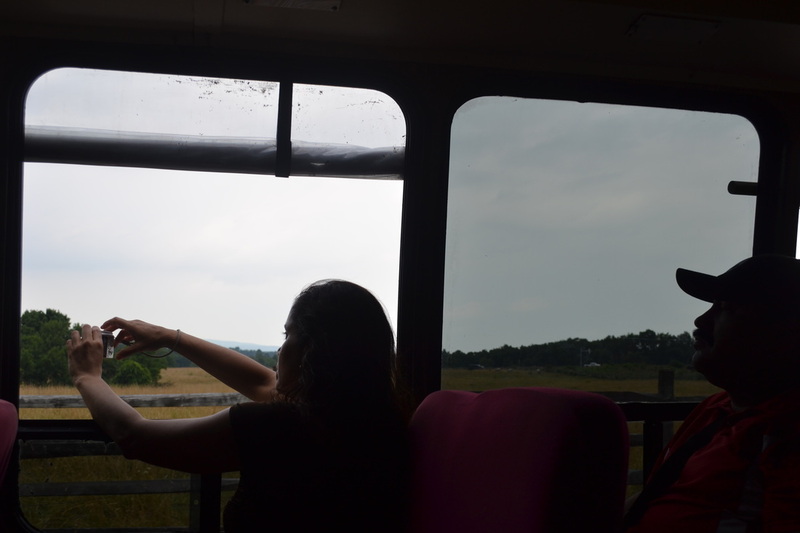 A silhouette of Sarah at Sweet Hollow Road under the overpass for the Northern State Parkway. Sitting along the rocks beneath the gazebo at Untermyer Park. 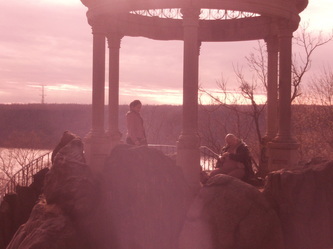 Sitting on a rock next to the gazebo at Untermyer Park. 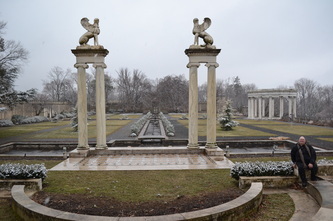 Behind the gazebo at Untermyer Park. Sarah at Oakwood Cemetery as seen through the infrared camera. 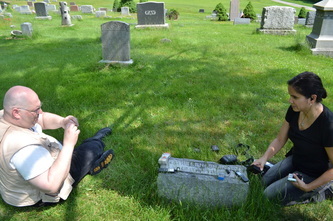 Recording EVPs at Oakwood Cemetery in Mt. Kisco. 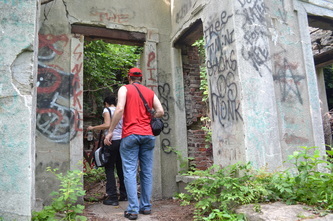 Sarah checks the door of the old water tower at Kings Park. Sarah is ready for an investigation at Kings Park. 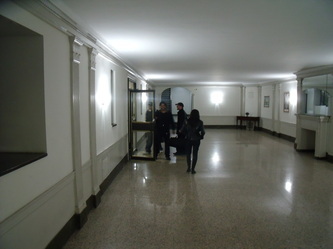 The morgue of King Park's Building 7. 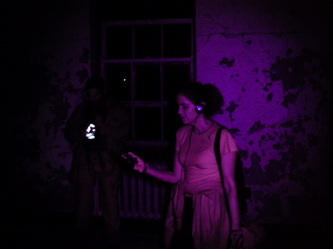 Sarah during an EVP session inside of Building 138. 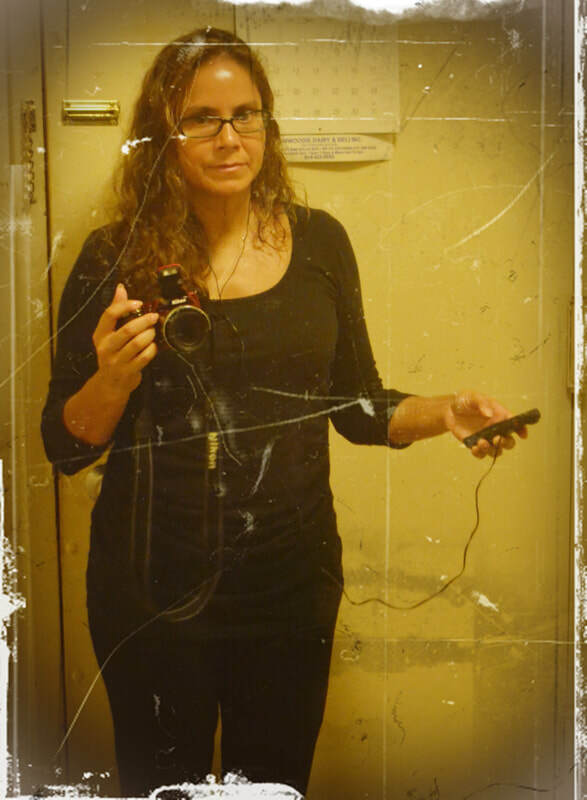 Sarah the mad scientist in the X-Ray room at Kings Park. 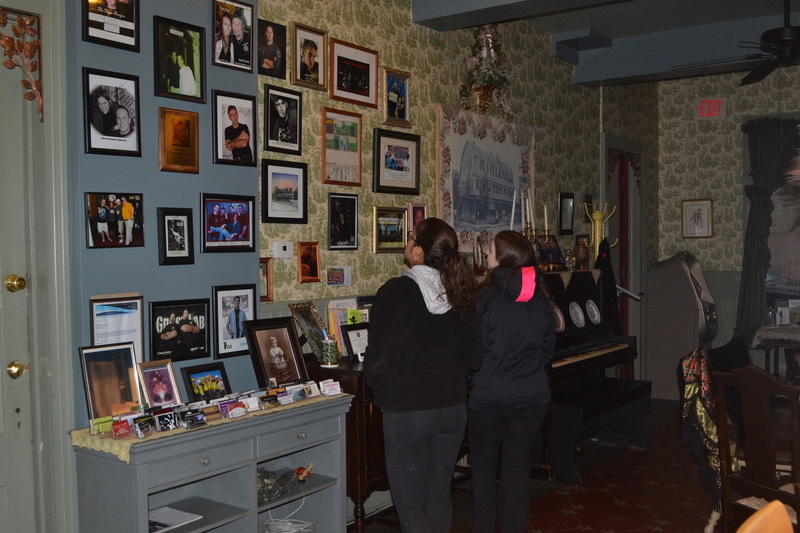 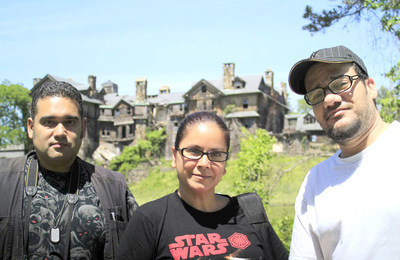 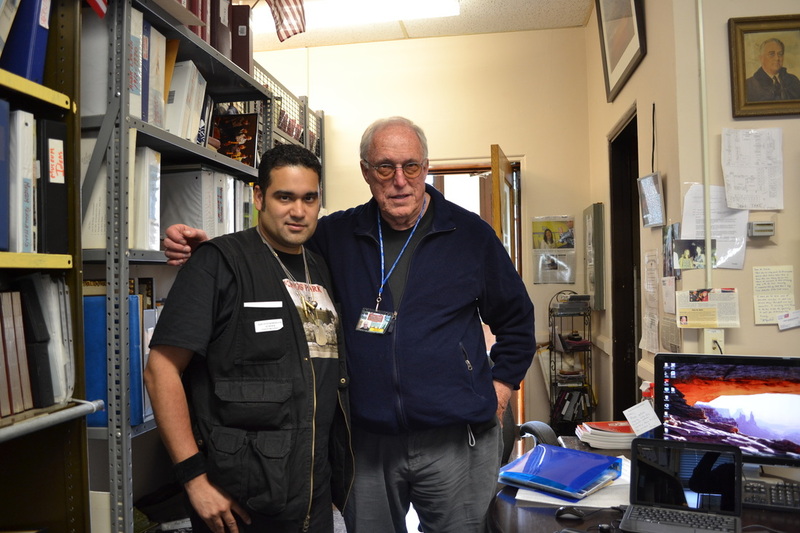 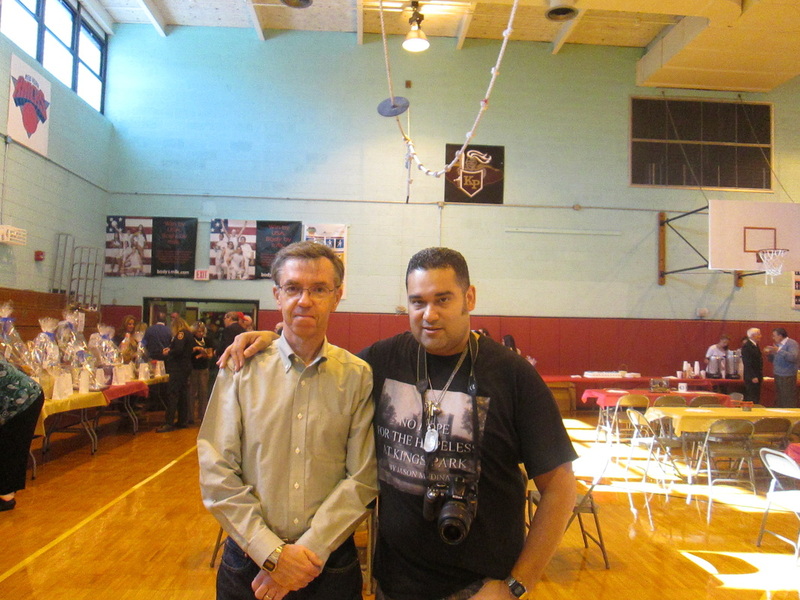 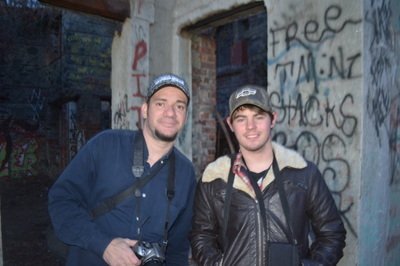 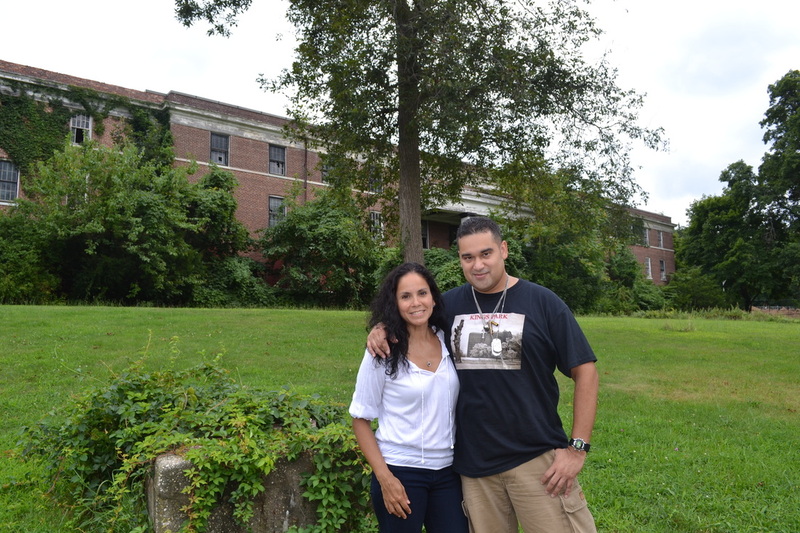 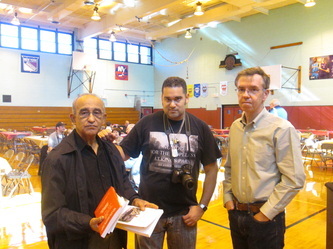 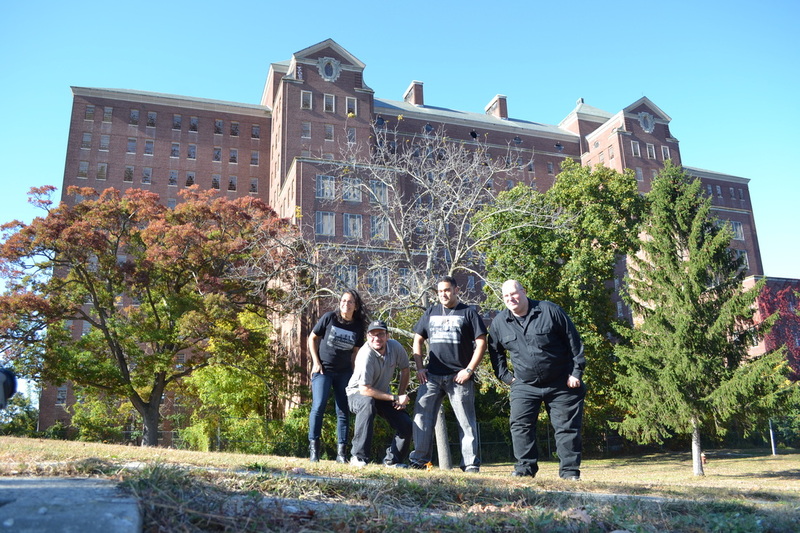 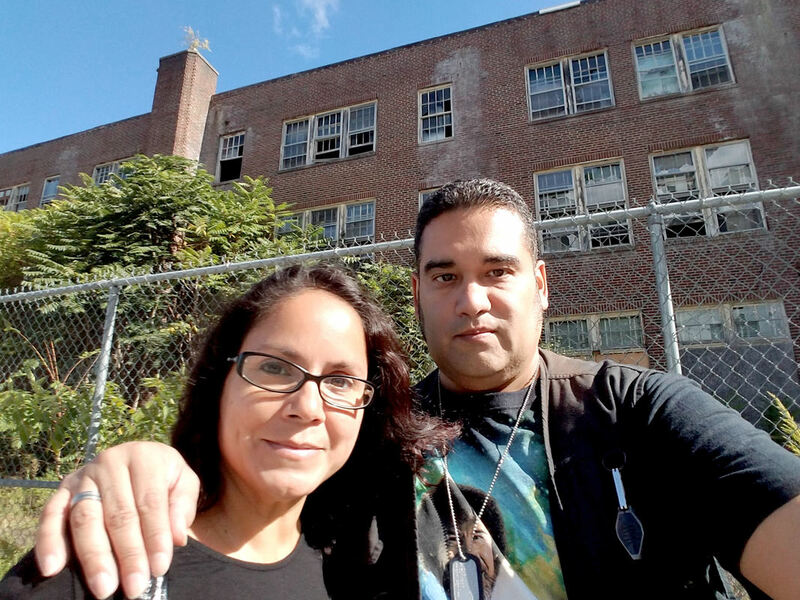 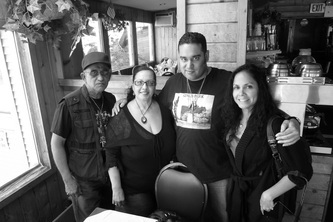 Investigating Boyce Thompson Institute in Yonkers. 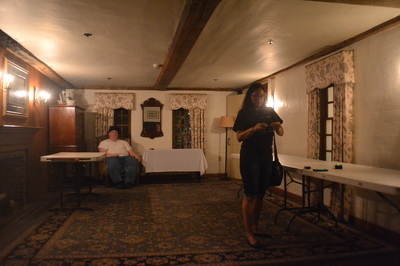 Sarah at the Boyce Thompson Institute. 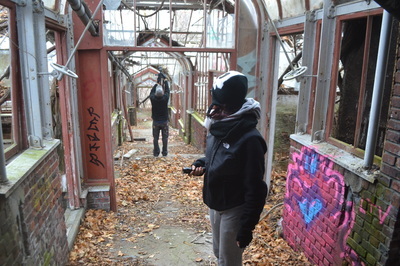 Posing inside of an abandoned greenhouse. 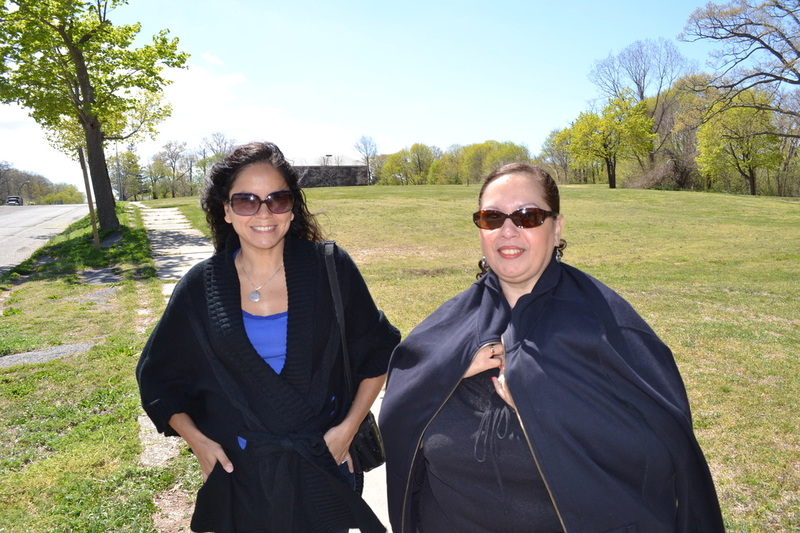 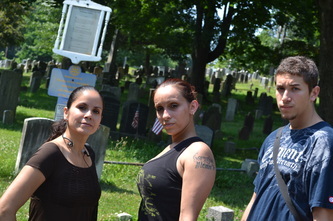 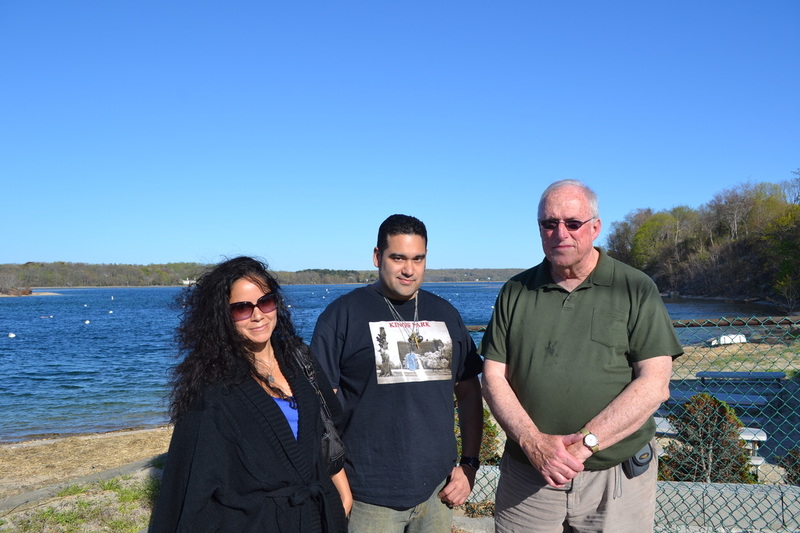 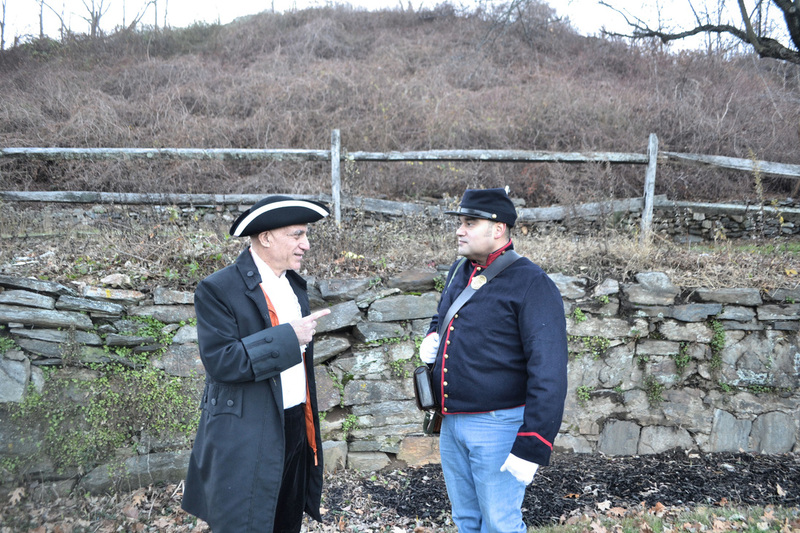 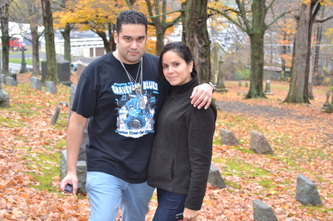 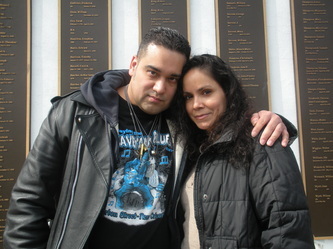 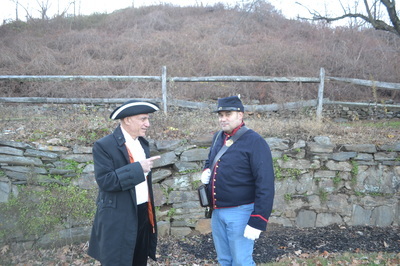 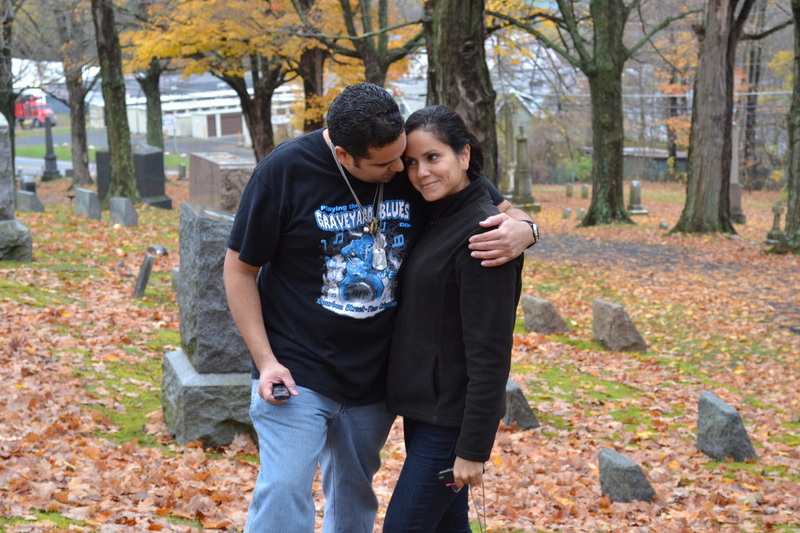 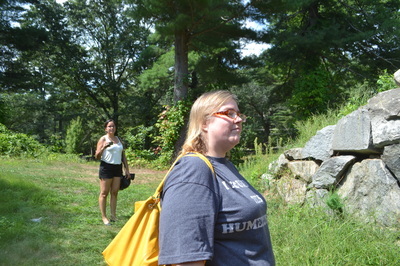 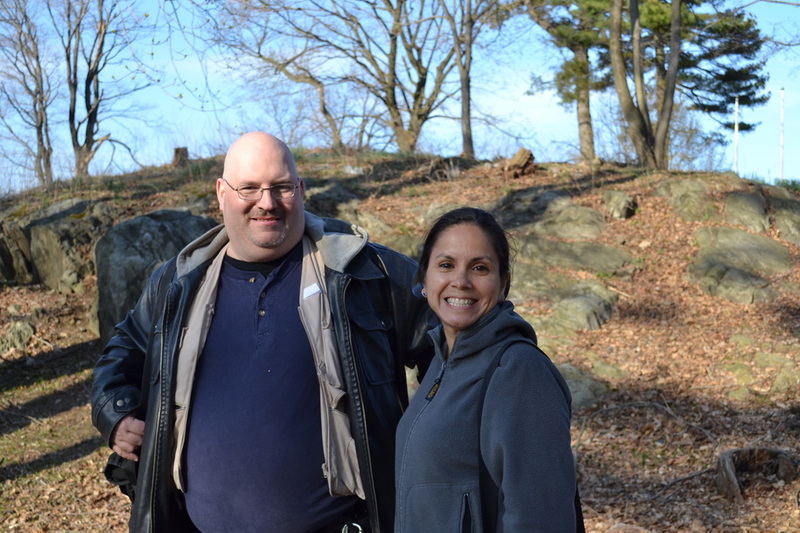 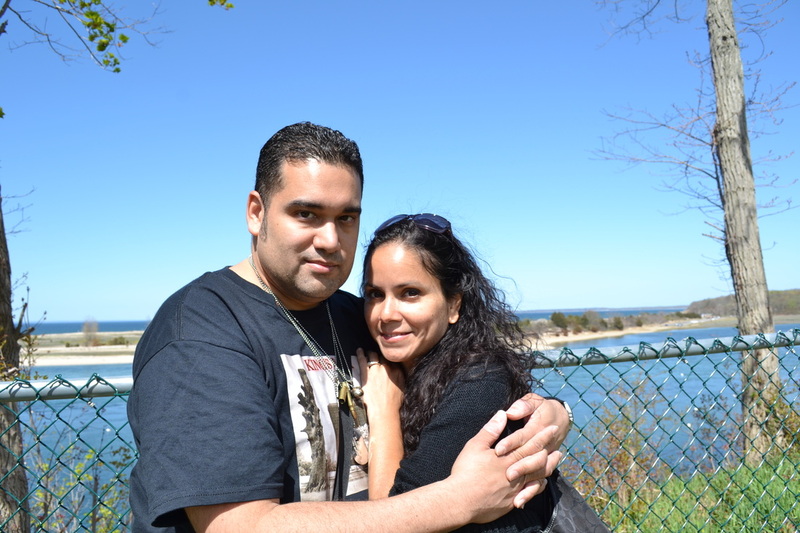 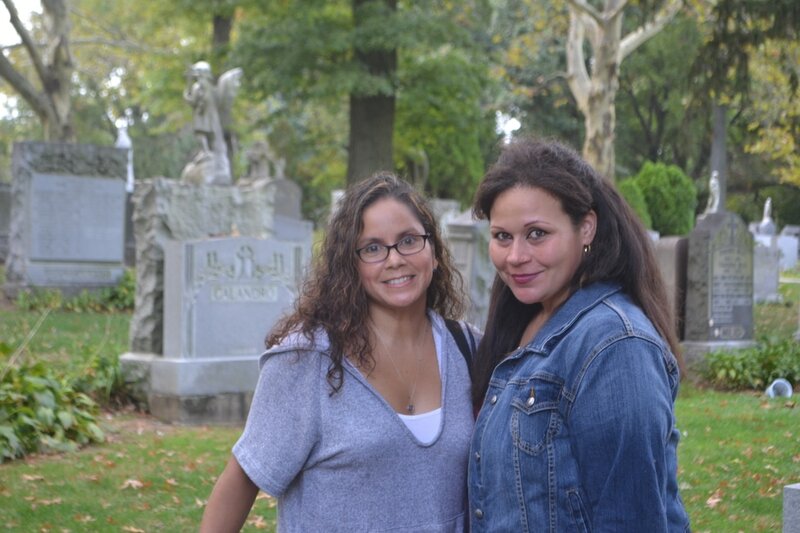 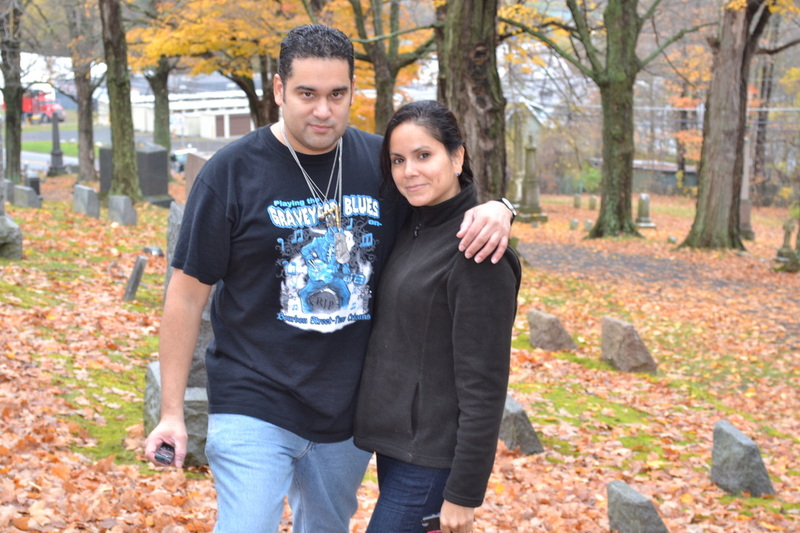 In front of the Van Cortlandt family burial ground at Vault Hill. 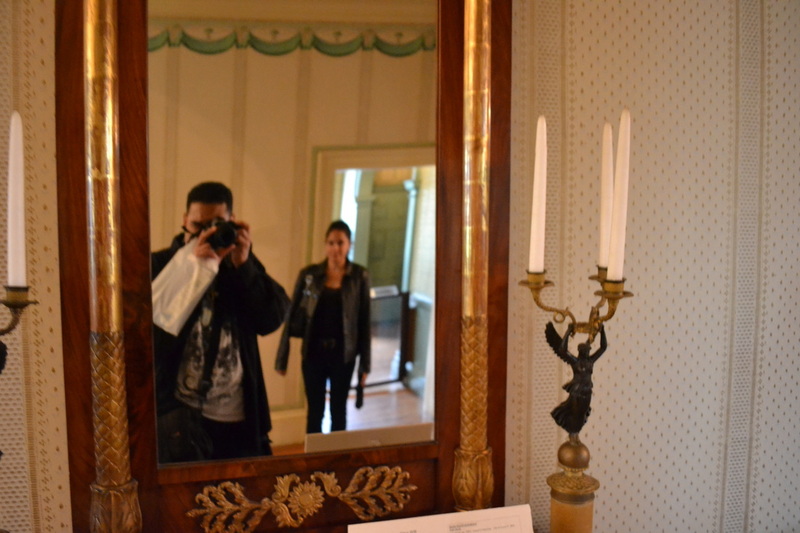 Taking a photo at the Merchant House Museum. 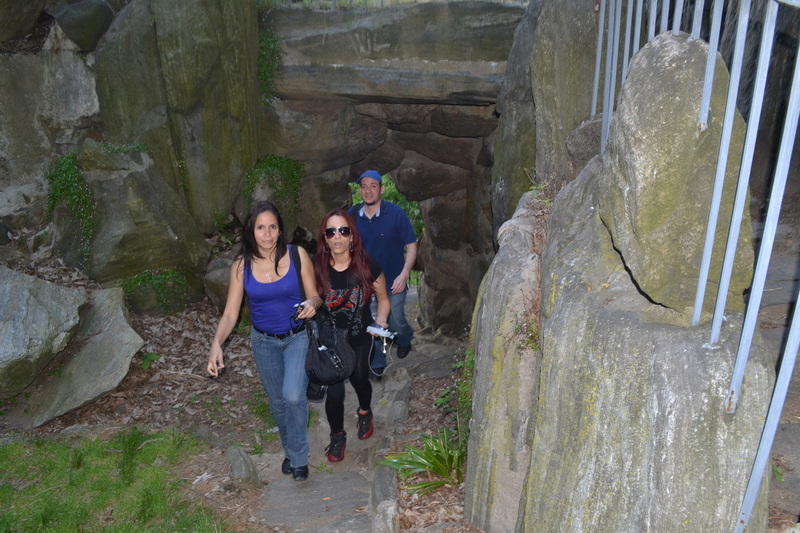 Exploring Great Hunger Memorial Park. Kelly taking a photo at the cemetery. 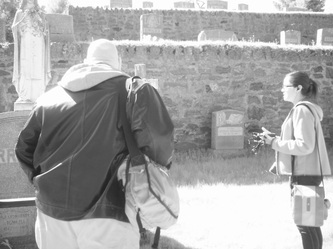 Kelly walking through St. John's Cemetery. Sitting near the lake next to Longfellow's Wayside Inn. Sitting on a bed in Jerusha Howe's bedroom at Longfellow's Wayside Inn. Jerusha Howe's room at Longfellow's Wayside Inn. 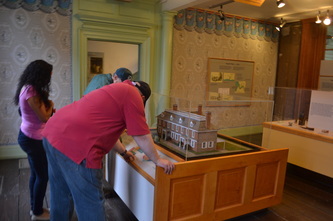 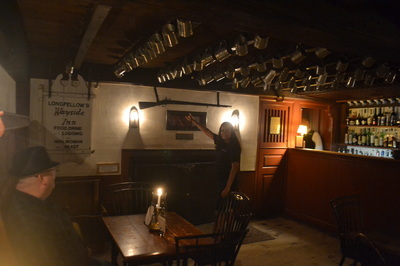 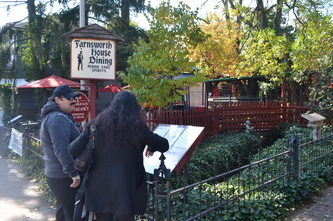 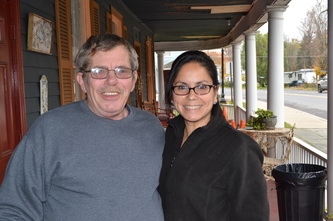 Kelly enters one of the dining rooms at Longfellow's Wayside Inn. Taking a break from a long night of investigating. 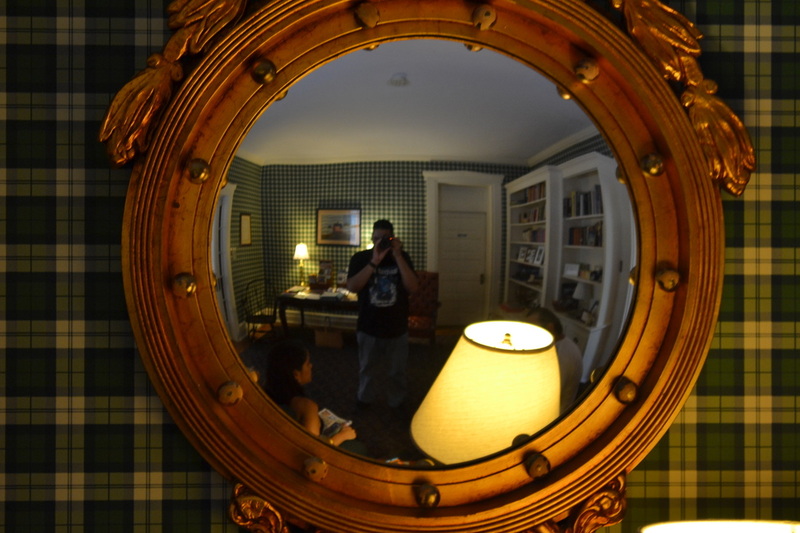 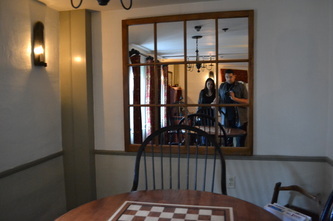 In the sitting room at Longfellow's Wayside Inn. 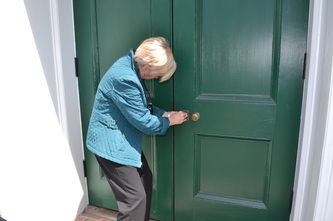 Opening one of the letters from the Secret Drawer Society. Inside the Grist Mill near Longfellow's Wayside Inn. 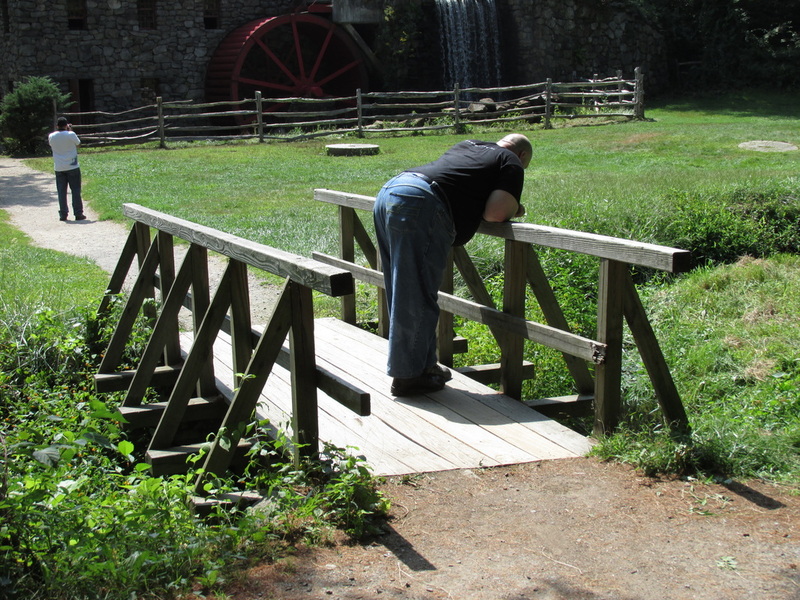 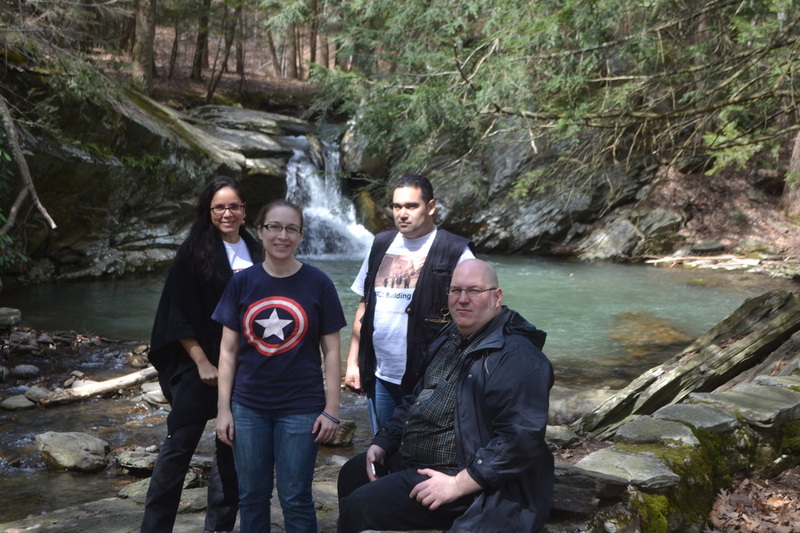 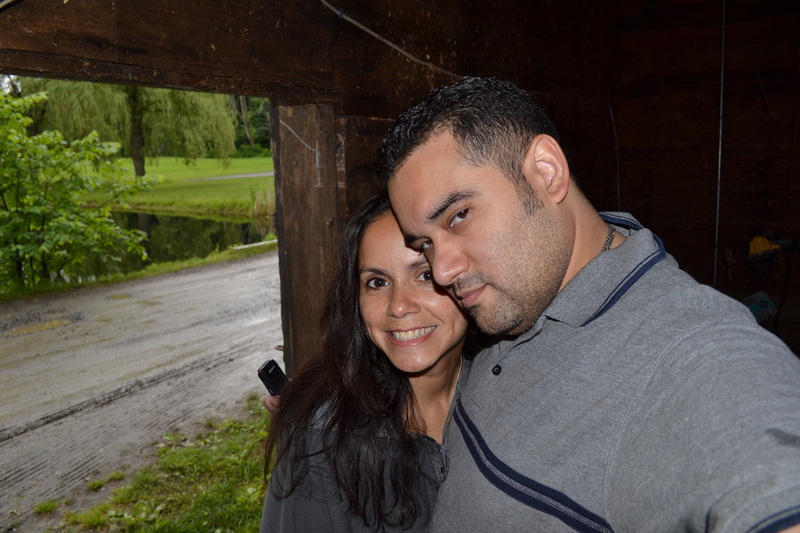 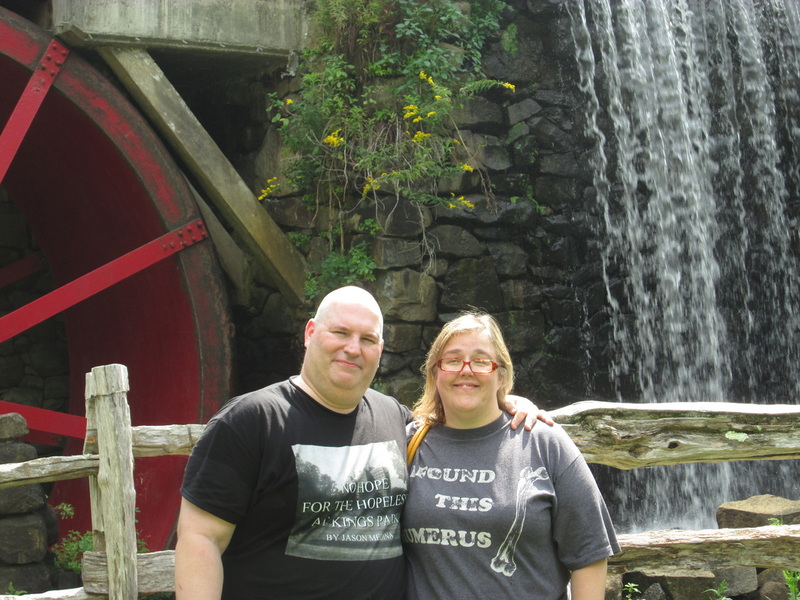 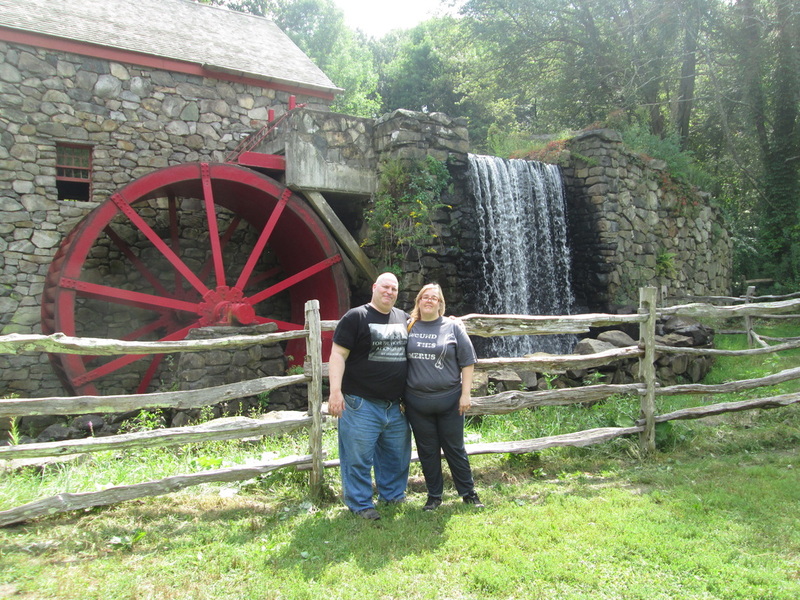 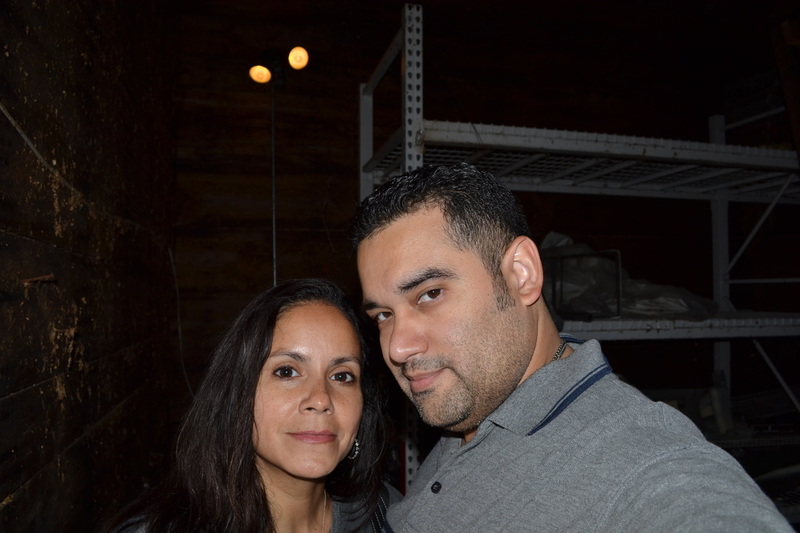 Taking a photo in the Grist Mill. 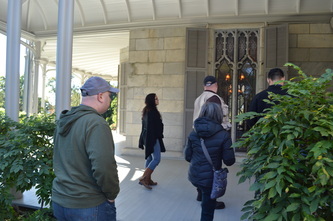 Checking out the tiles on the porch of the Lenoir Mansion in Yonkers. 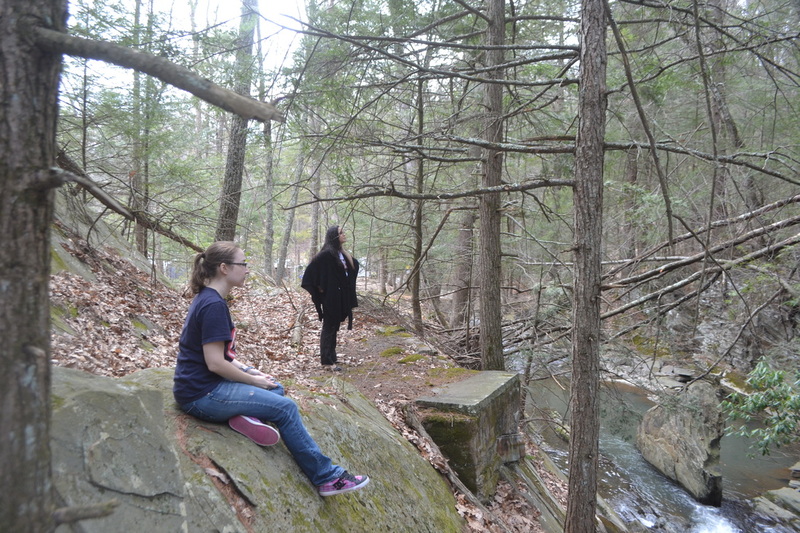 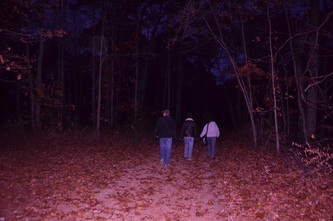 Walking around the Lenoir Nature Preserve. 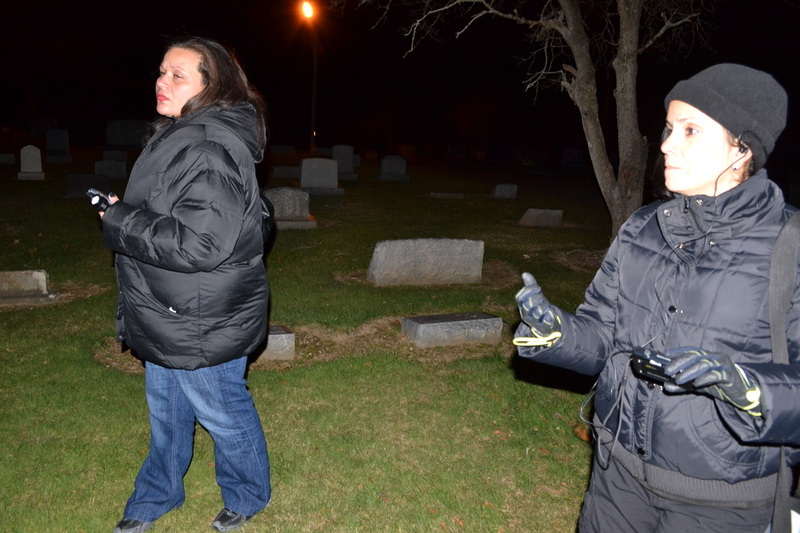 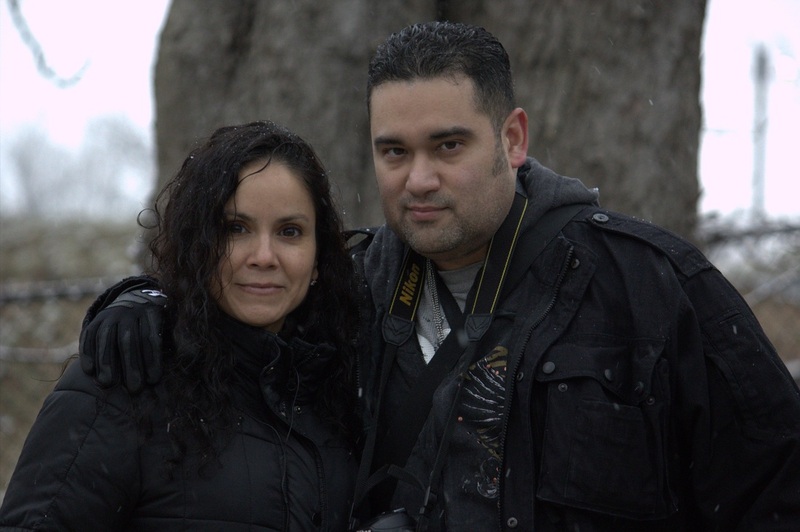 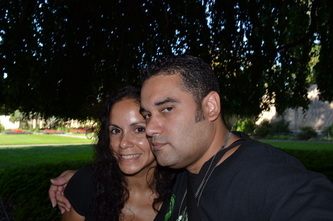 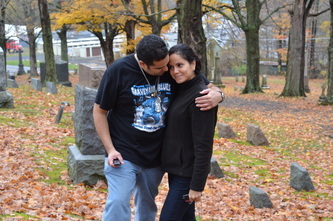 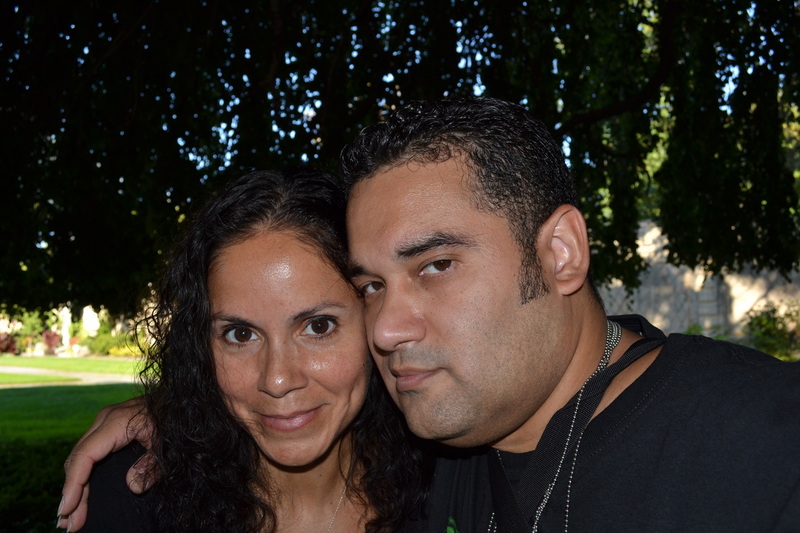 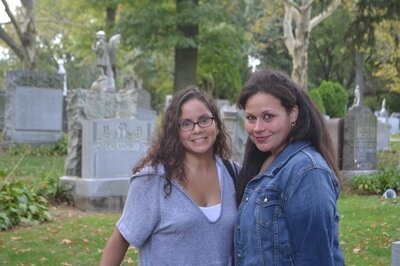 After an investigation at St. Joseph's Cemetery. Kelly at Mt. 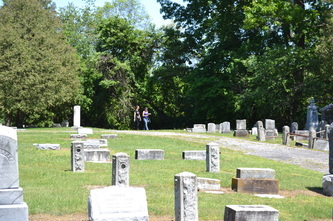 Hope Cemetery in Hastings-on-Hudson. 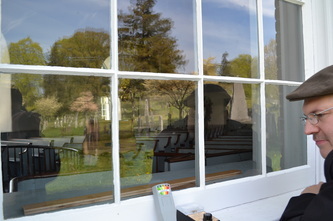 Kelly seen through an open mausoleum. 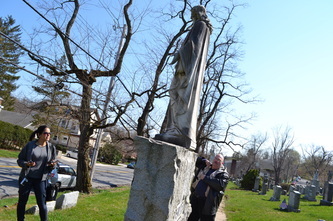 Linda smiling for the camera, while at Melville Cemetery. 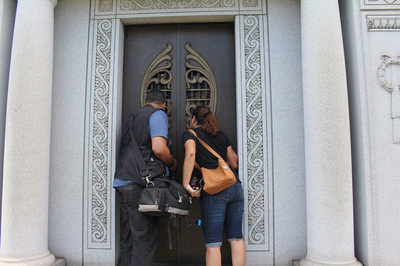 Trying to get a feel for Melville Cemetery during her first visit. 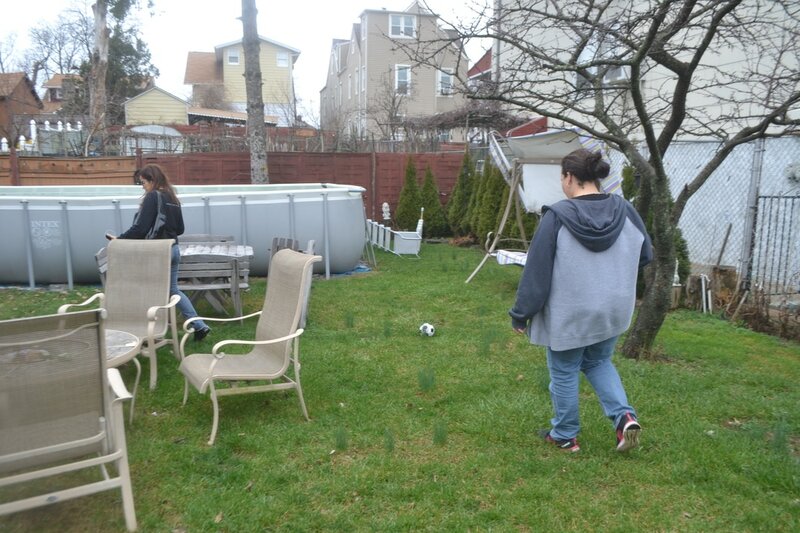 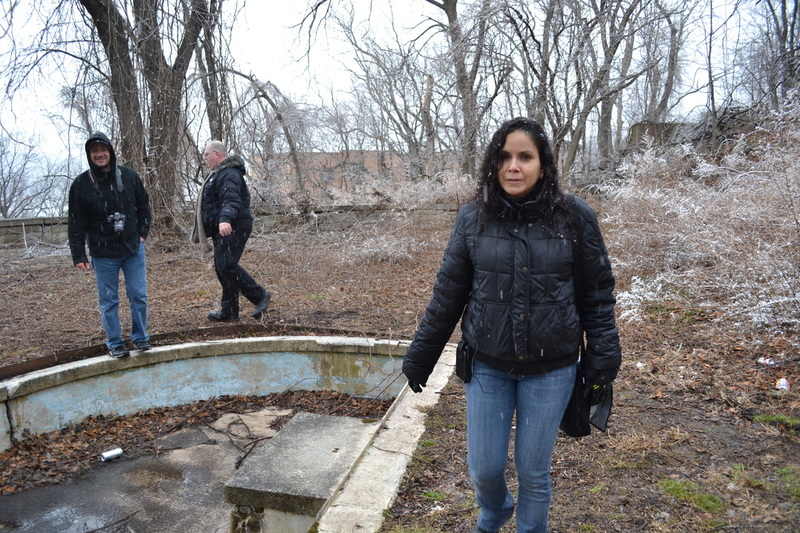 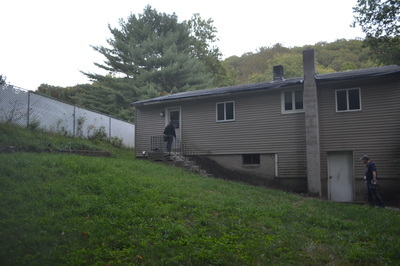 Linda in the backyard of a house in Cortlandt Manor during a residential investigation. 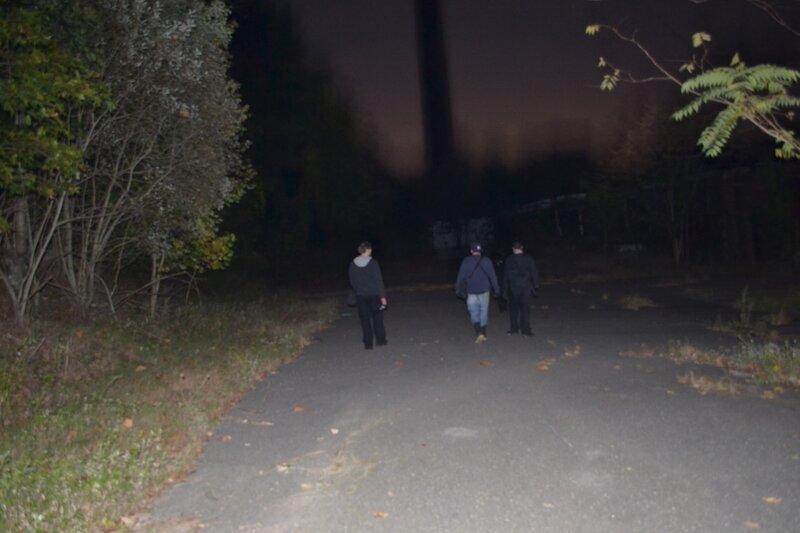 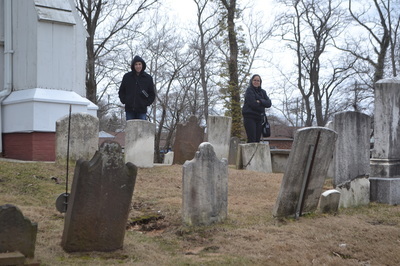 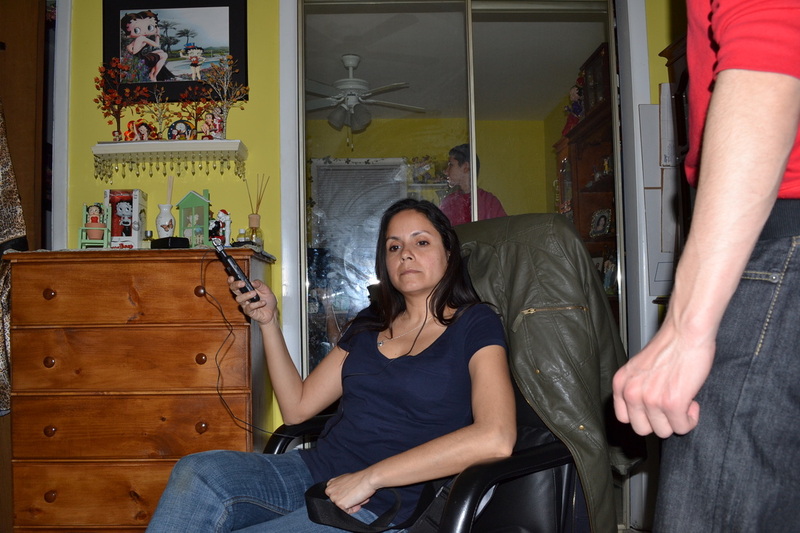 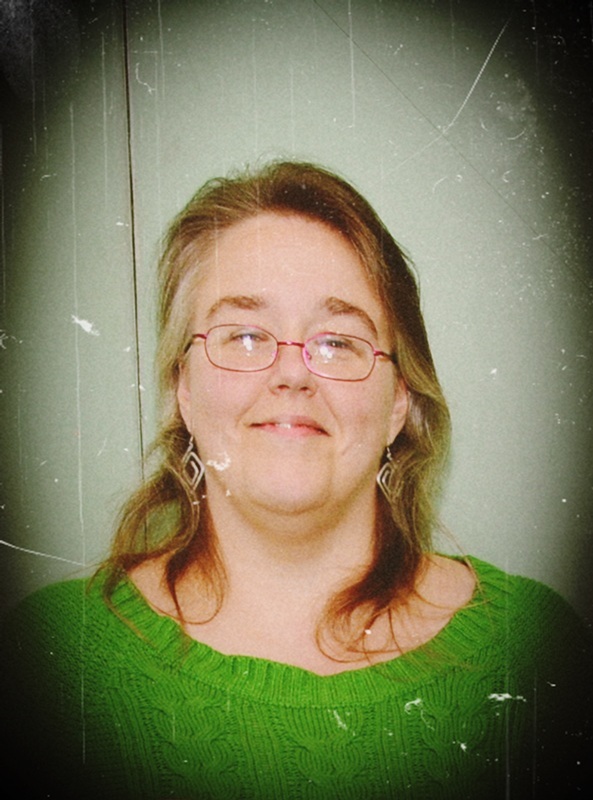 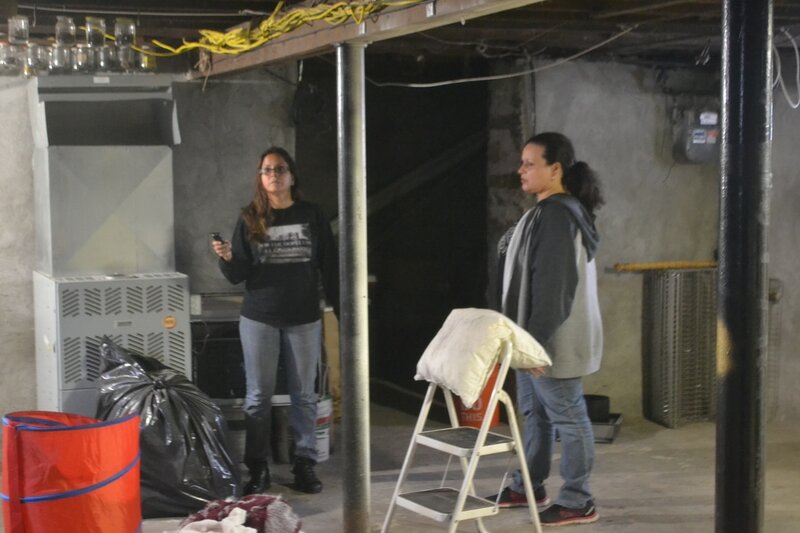 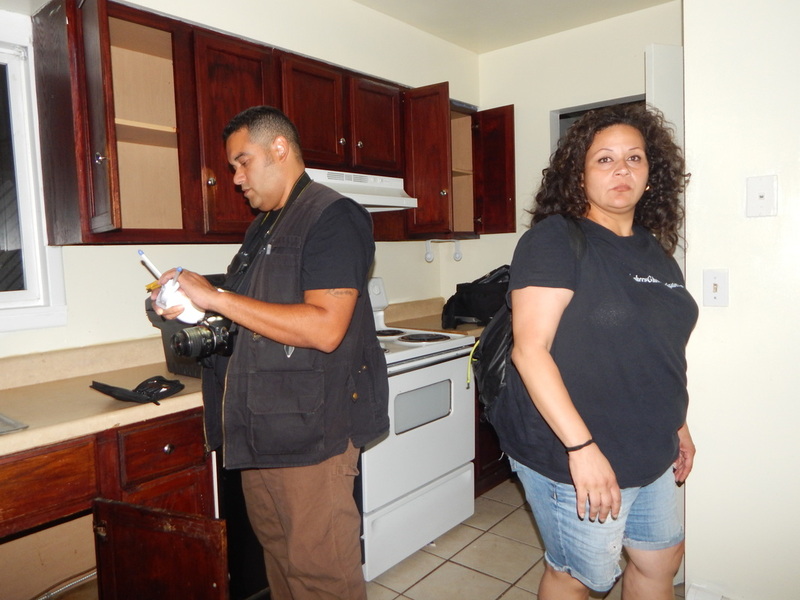 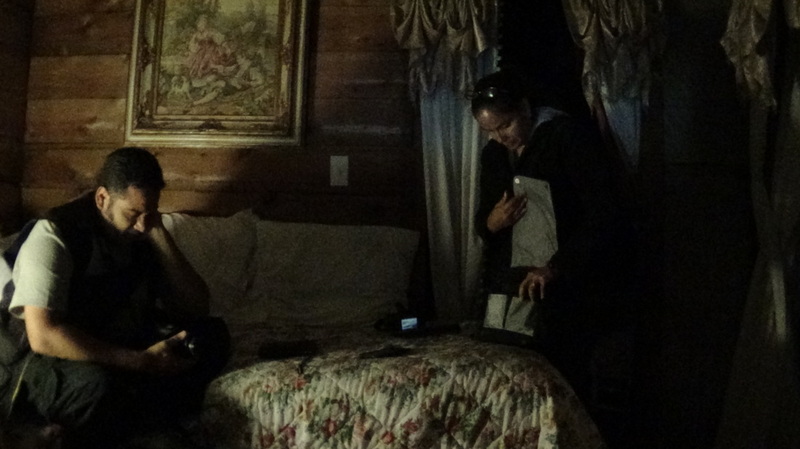 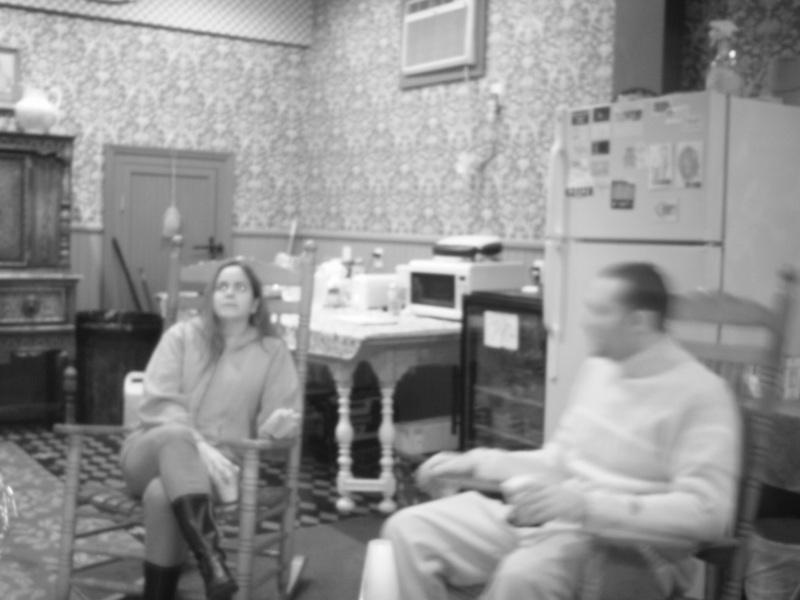 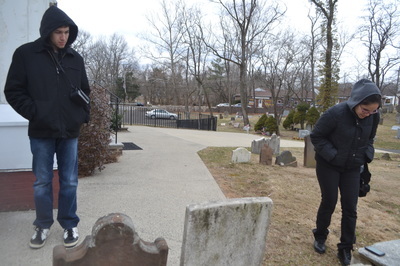 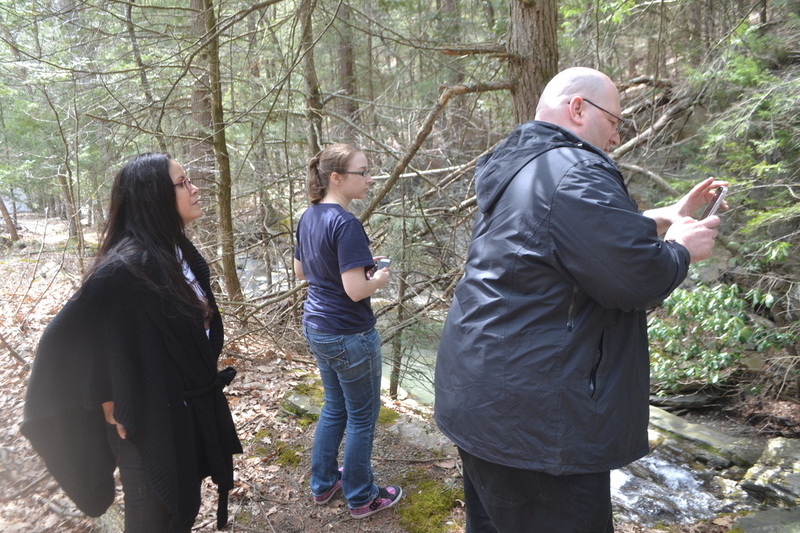 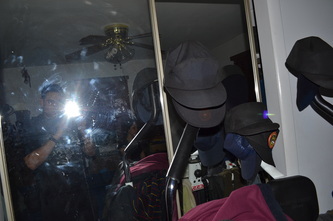 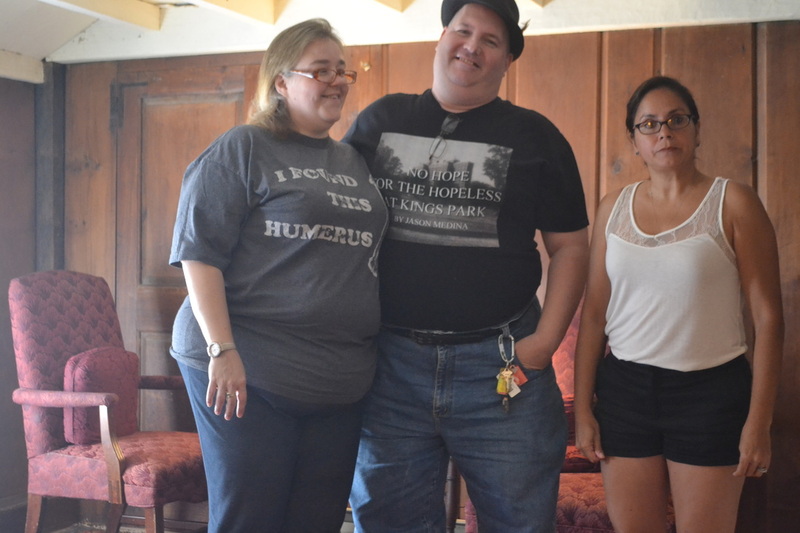 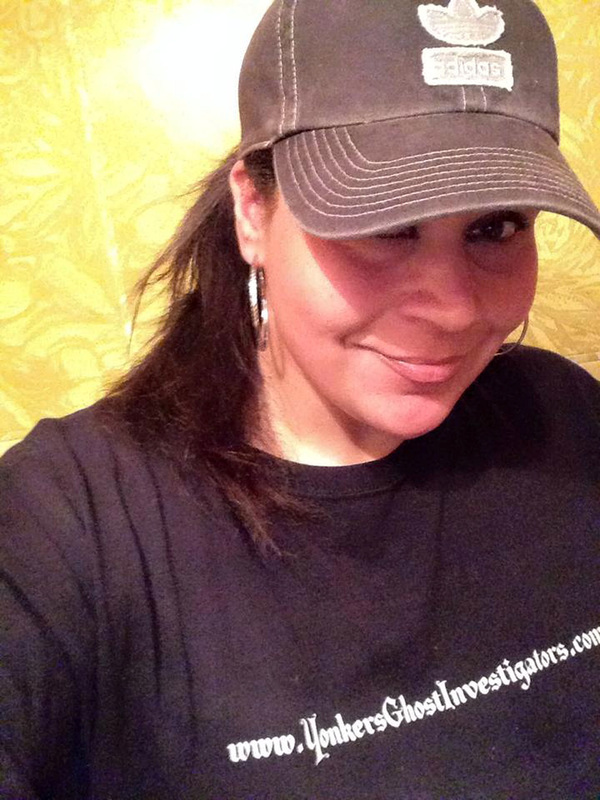 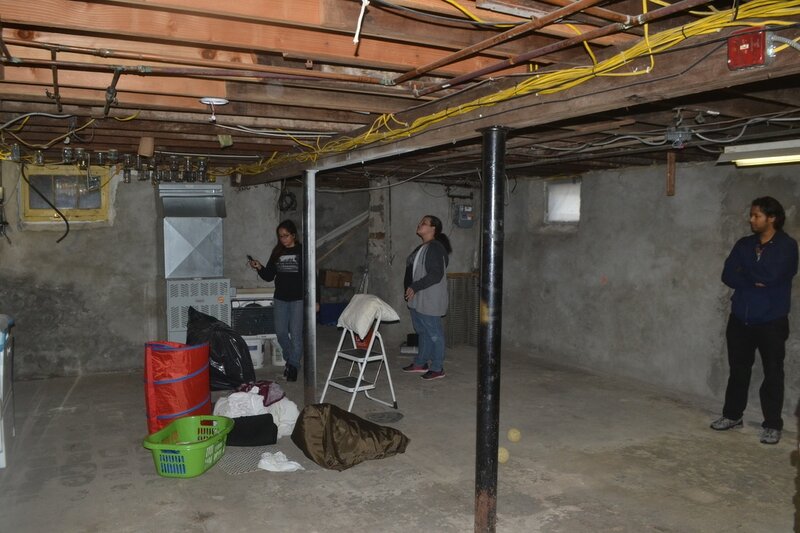 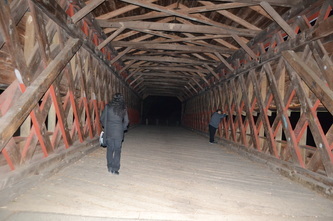 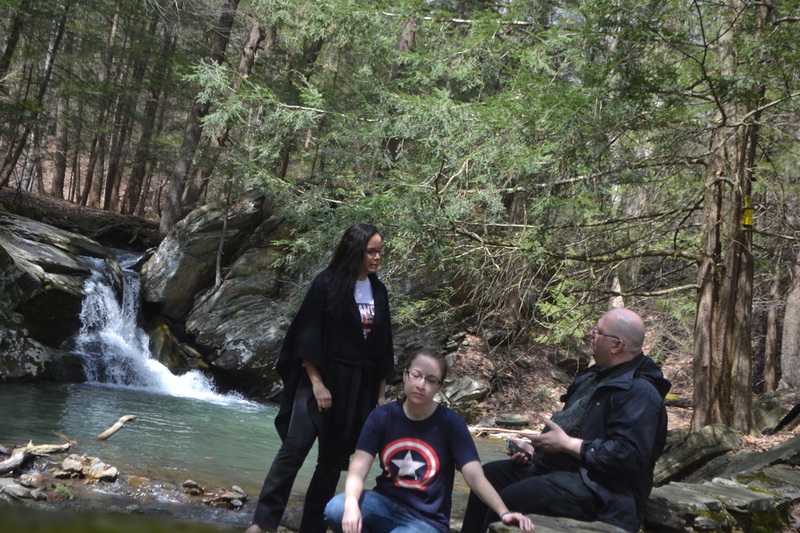 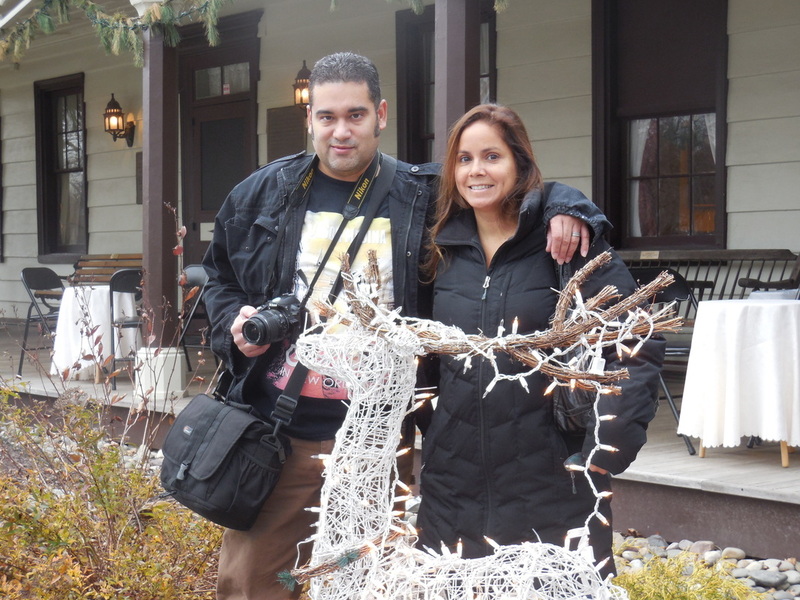 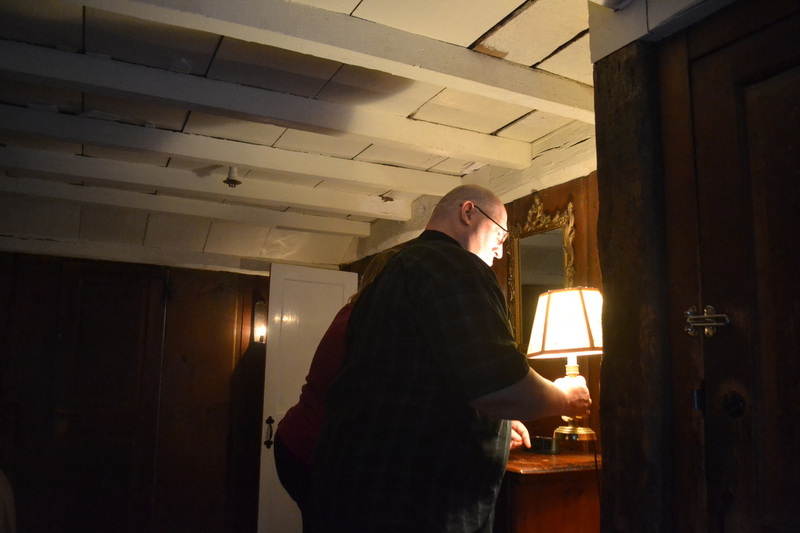 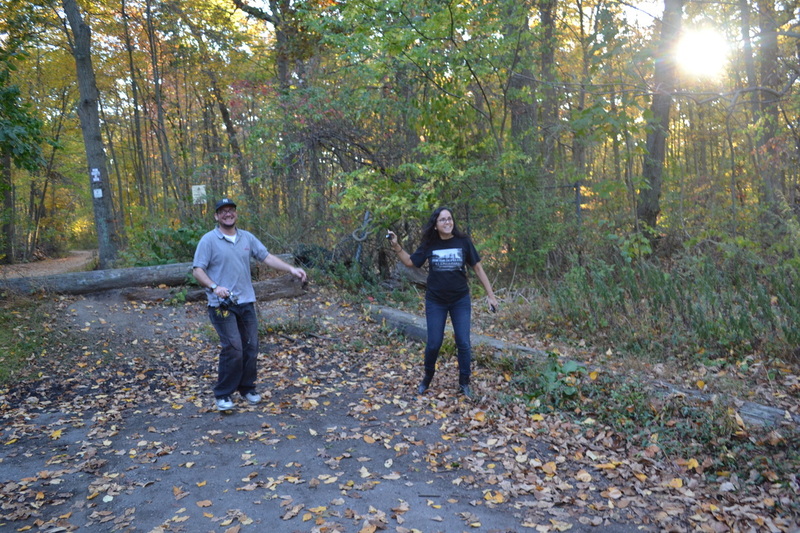 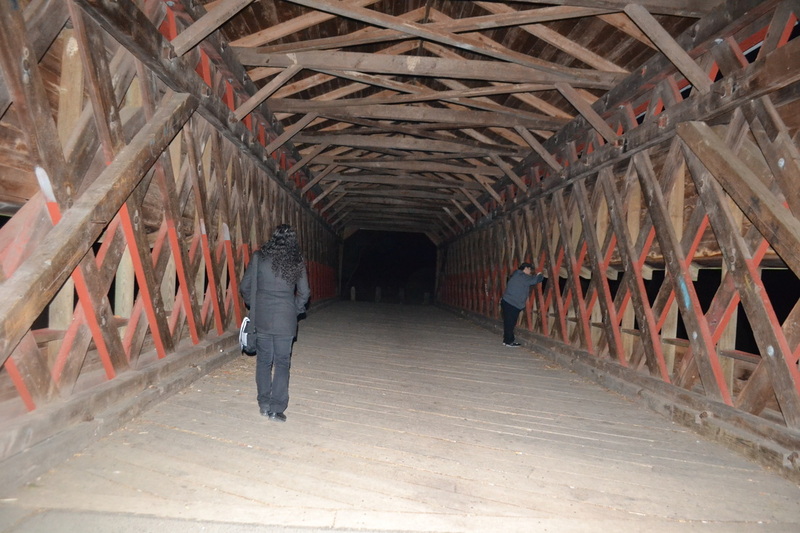 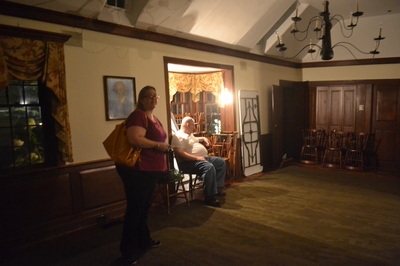 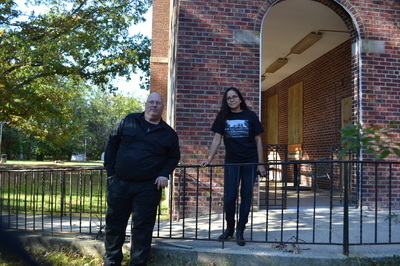 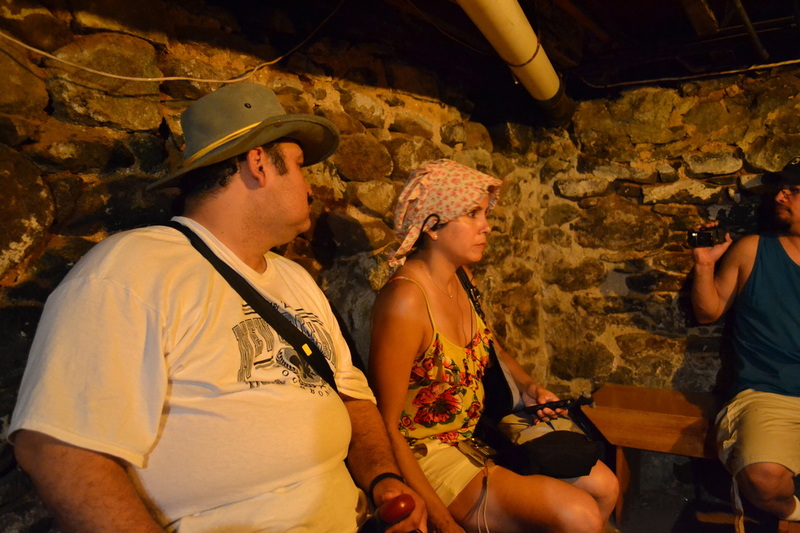 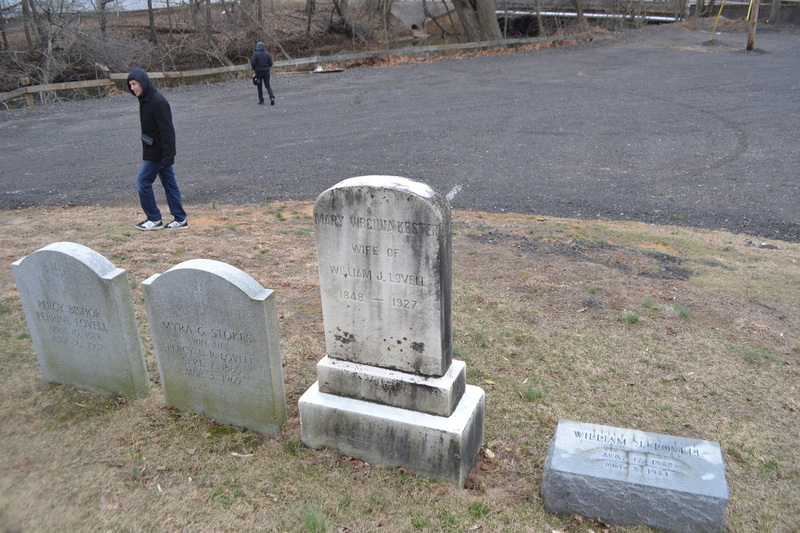 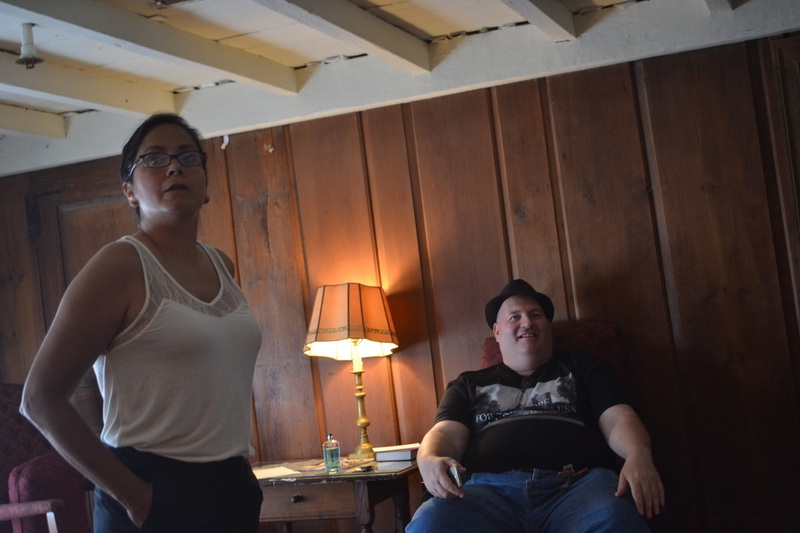 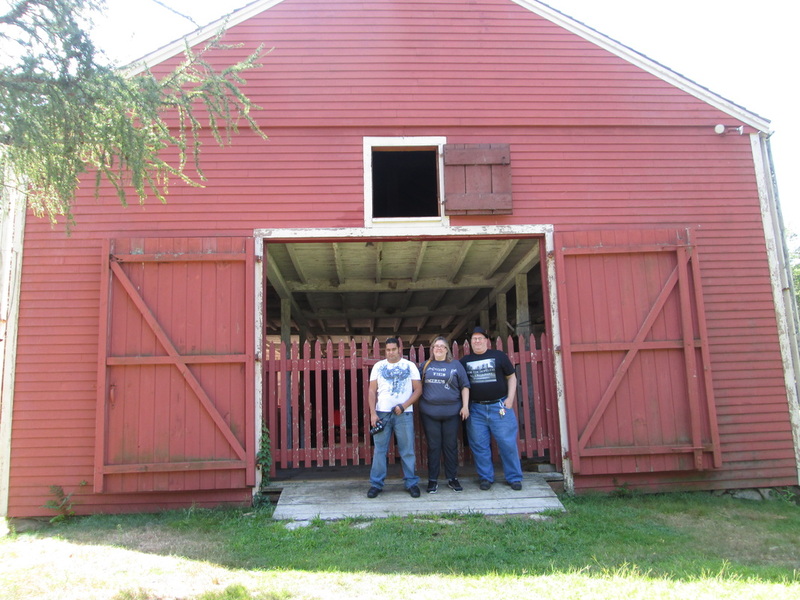 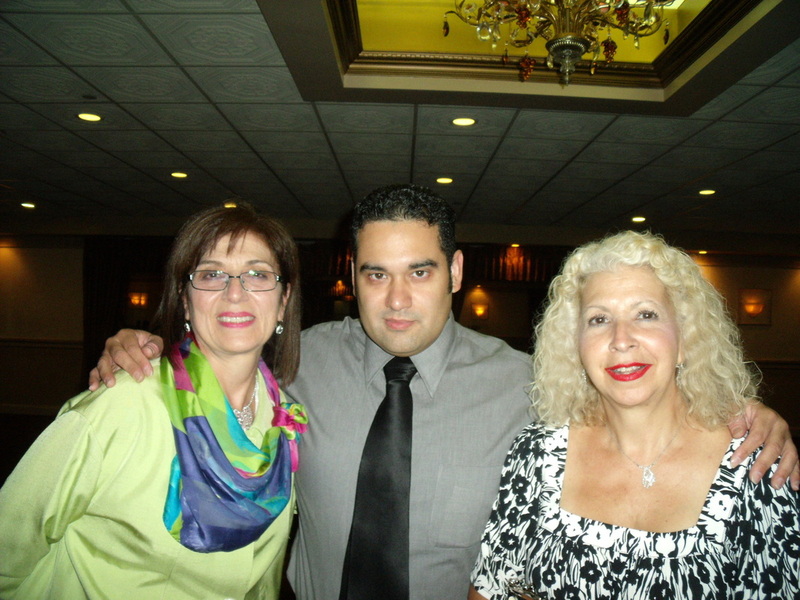 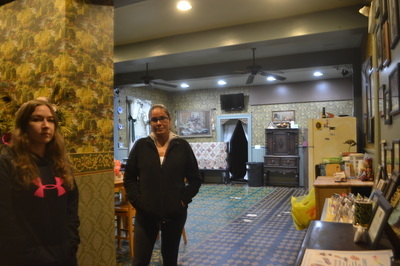 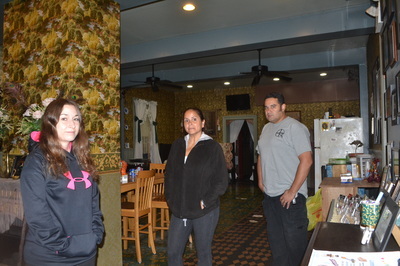 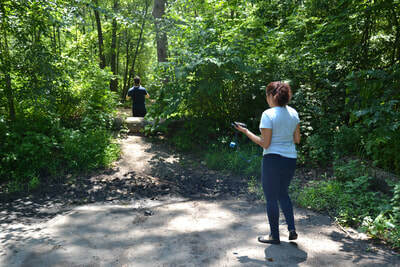 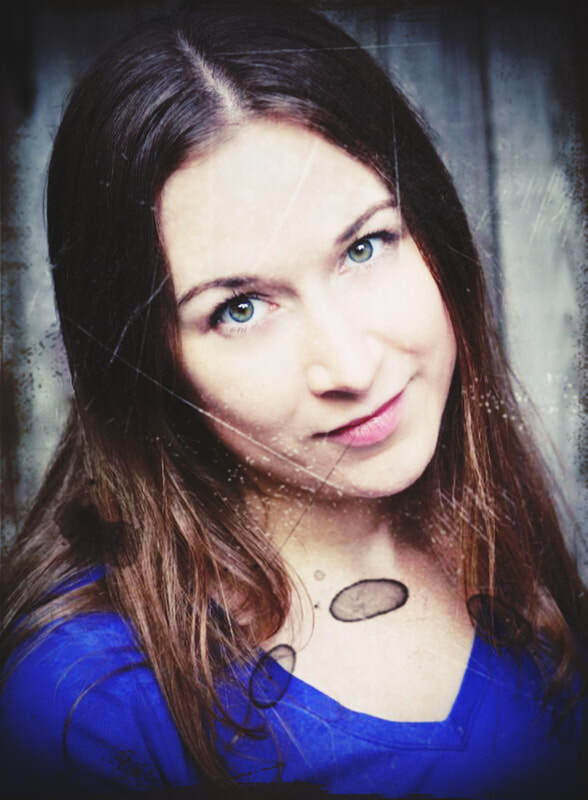 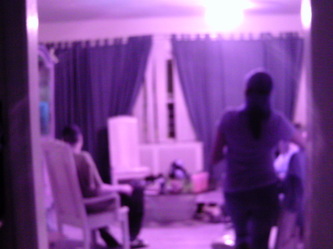 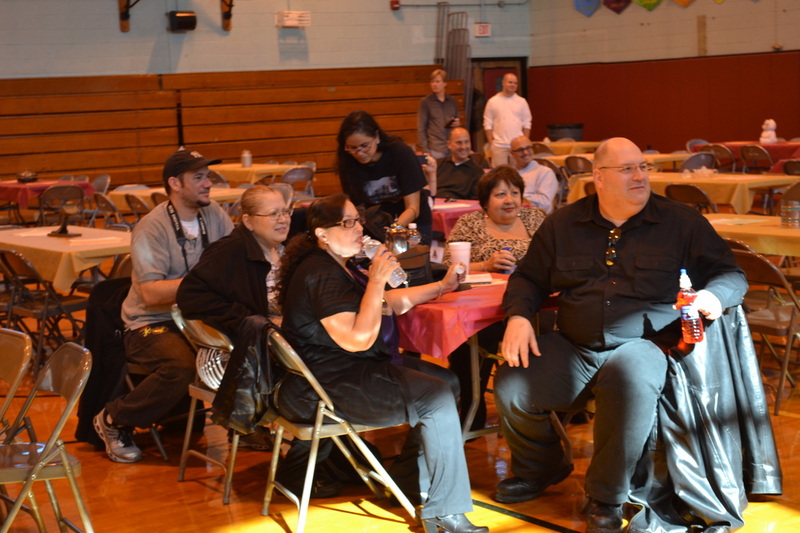 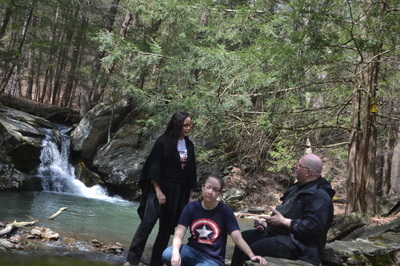 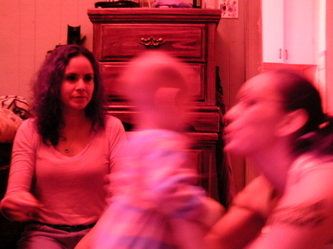 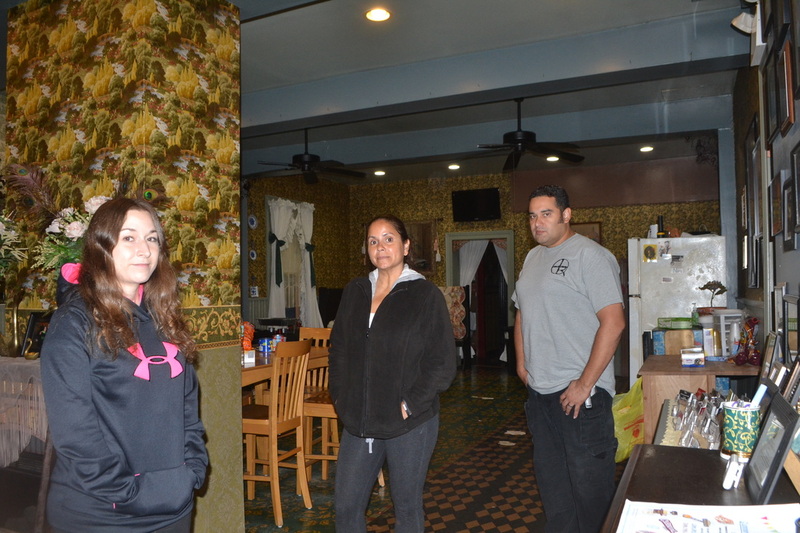 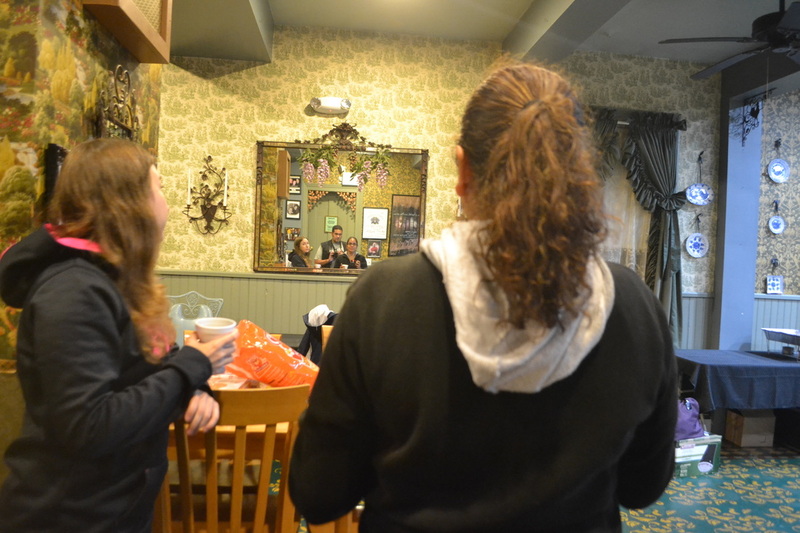 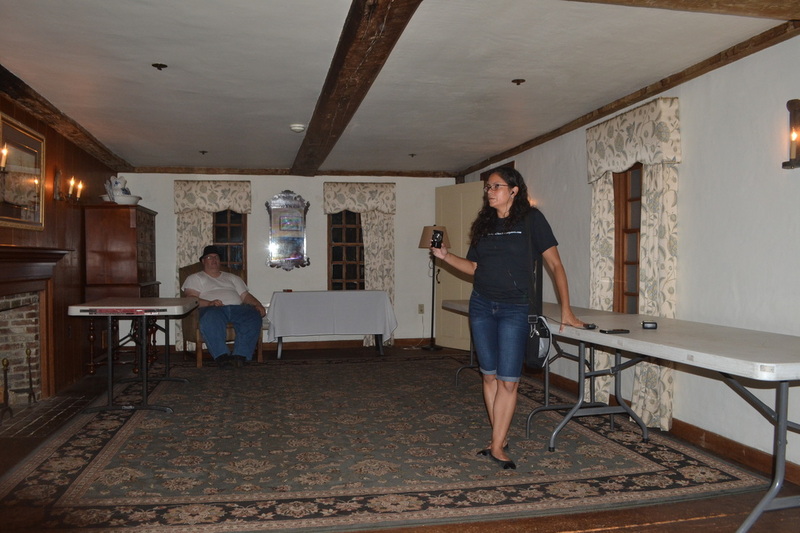 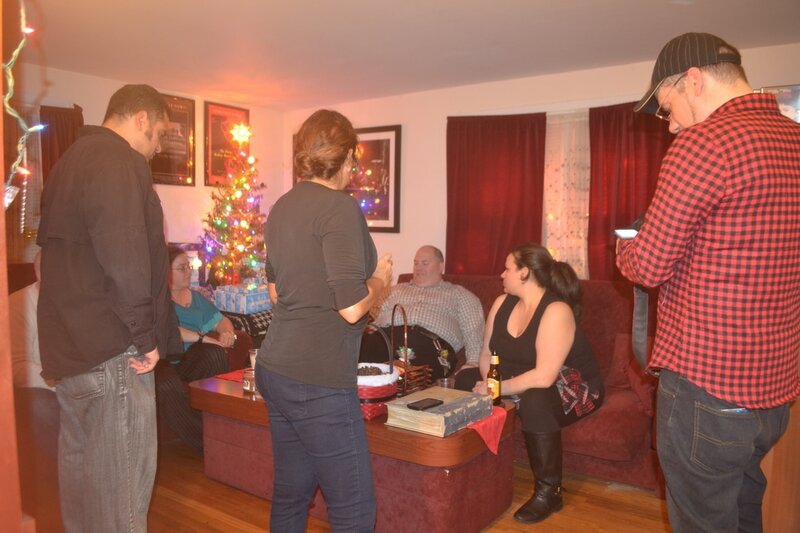 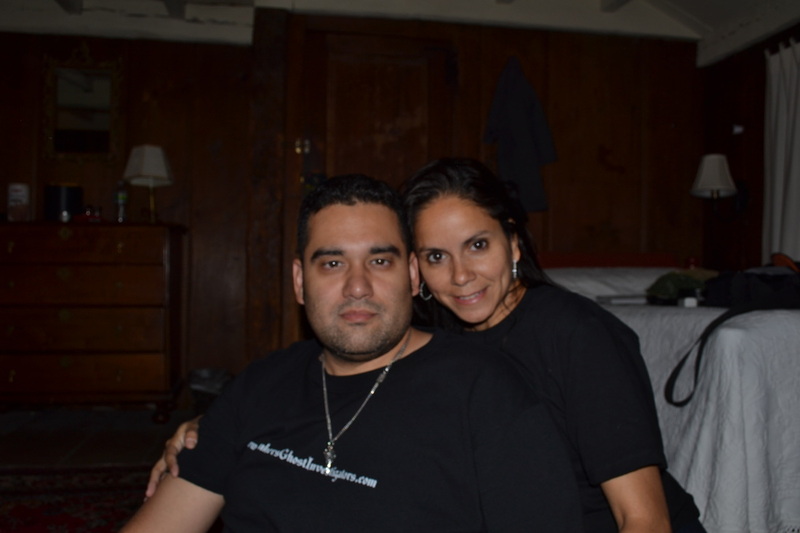 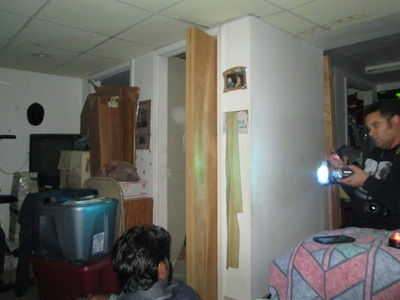 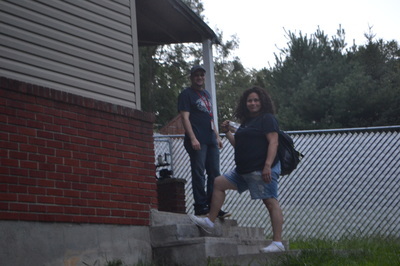 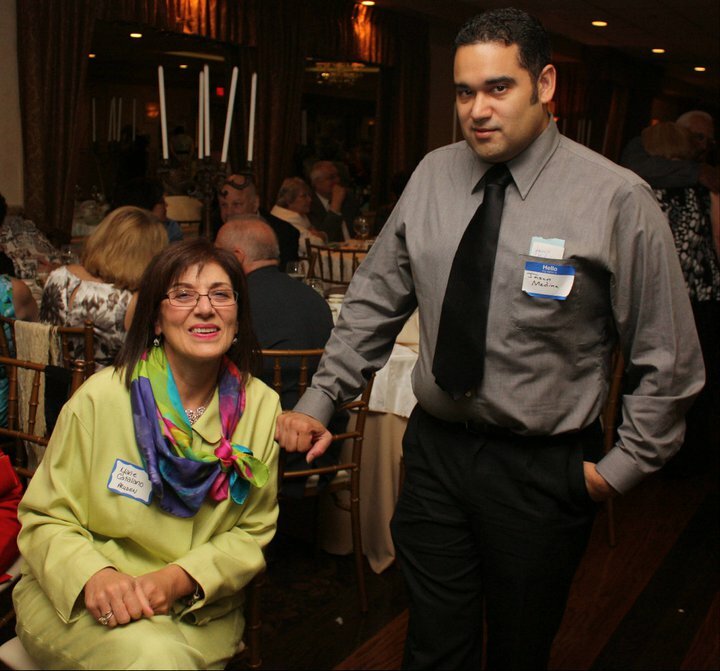 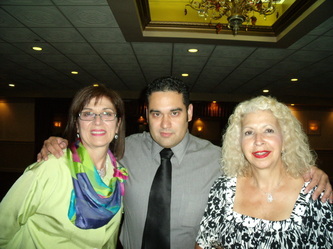 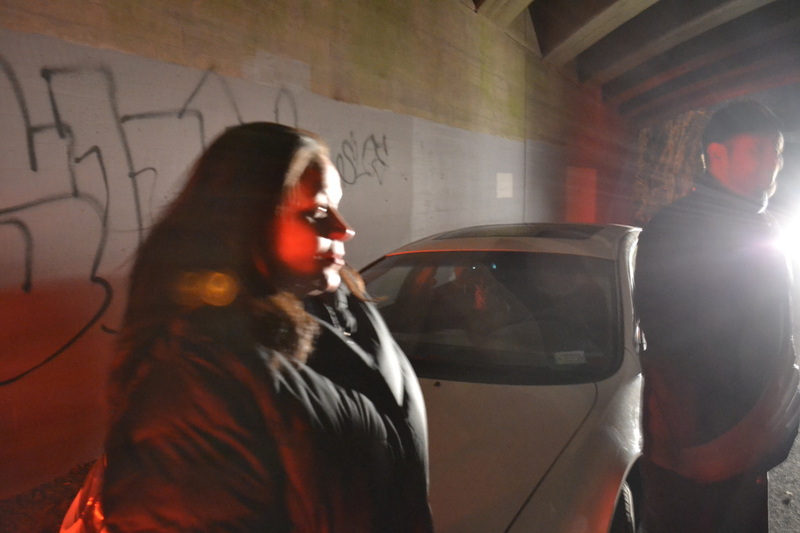 Linda gets a feel for the spirits during a residential investigation in Cortlandt Manor. 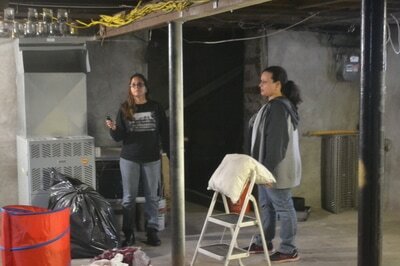 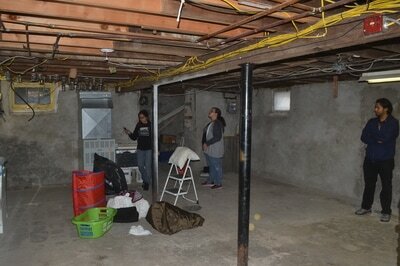 Investigating a haunted basement at someone's home. 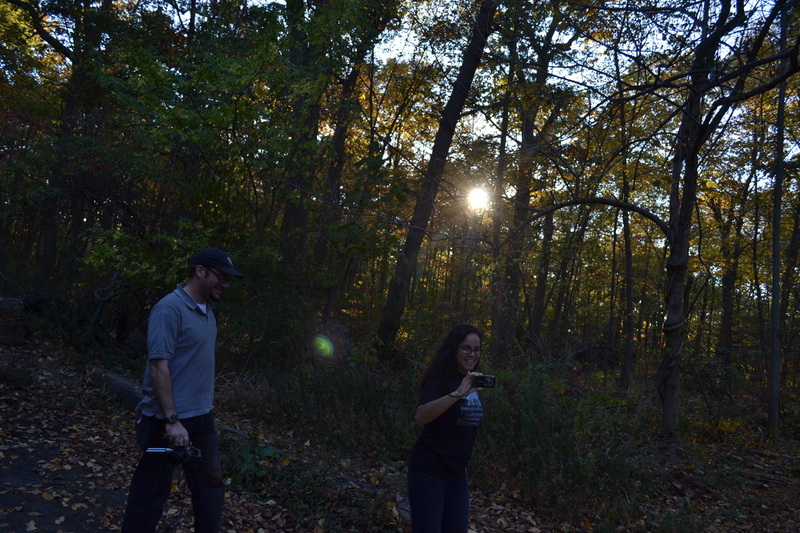 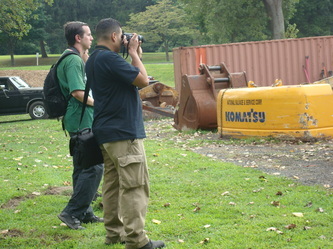 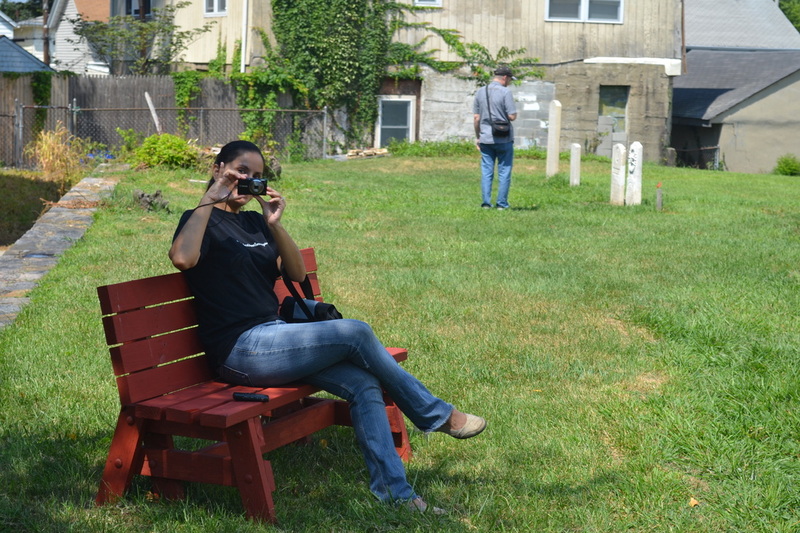 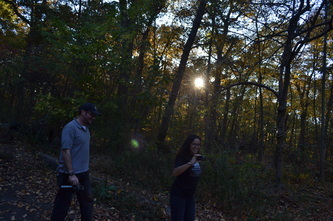 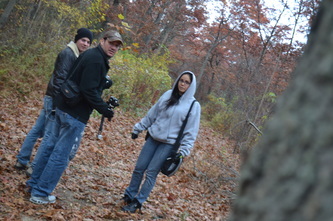 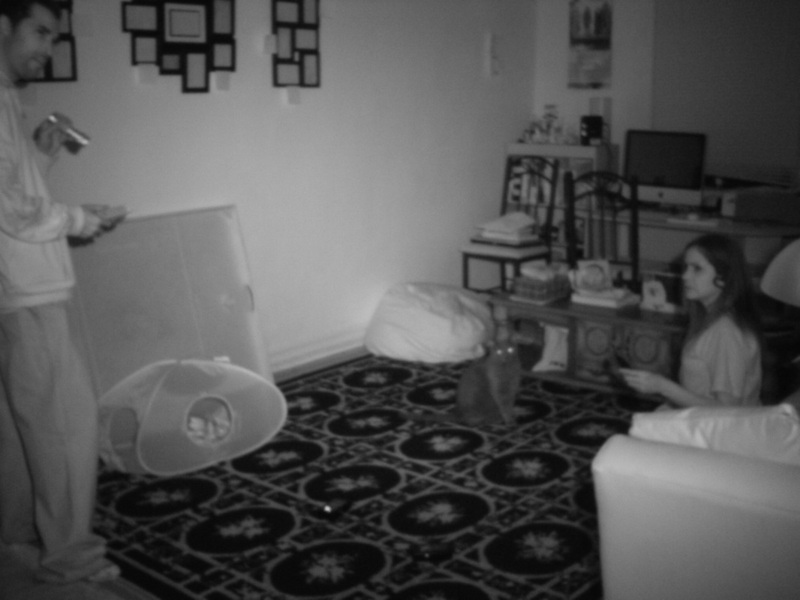 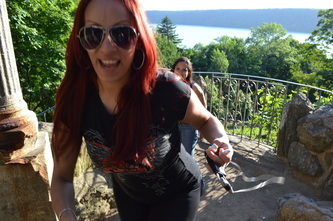 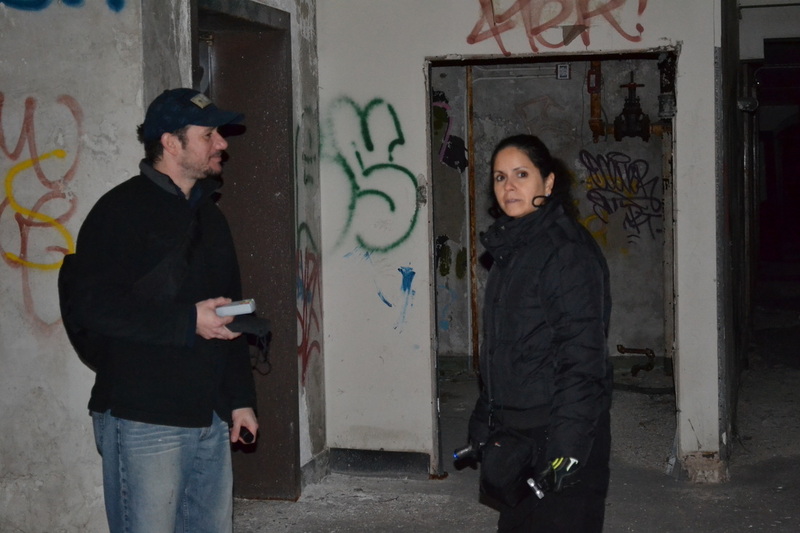 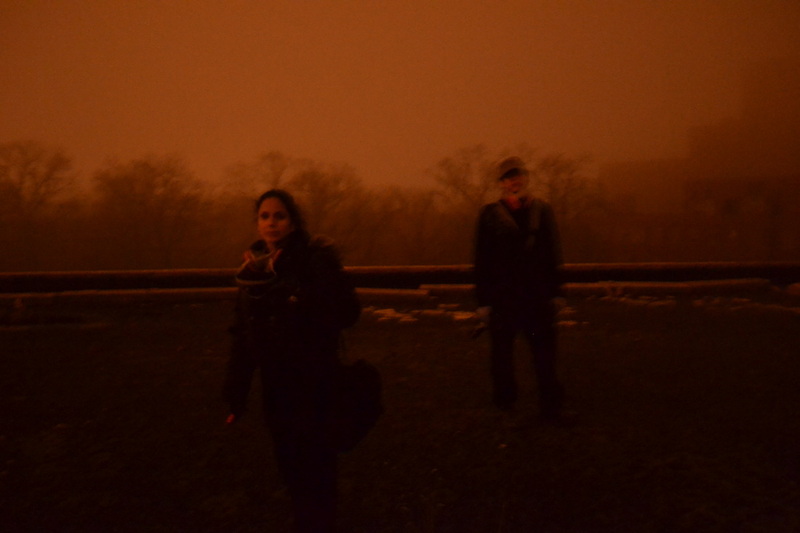 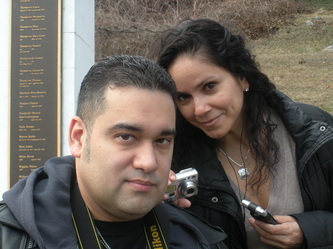 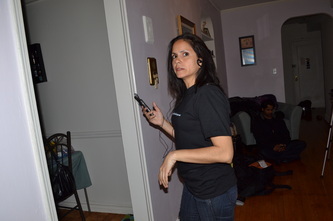 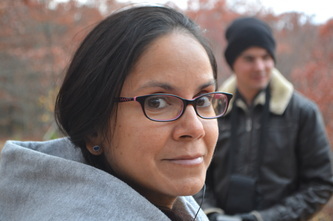 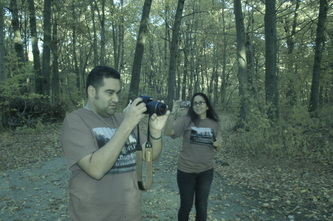 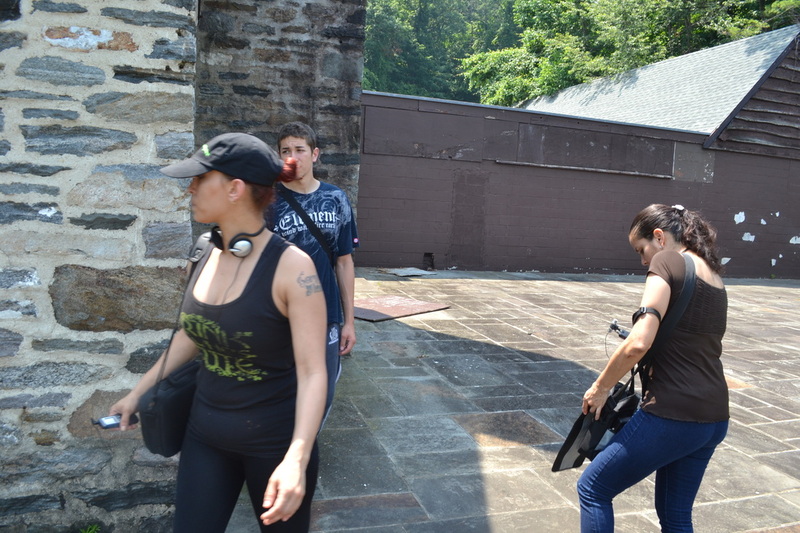 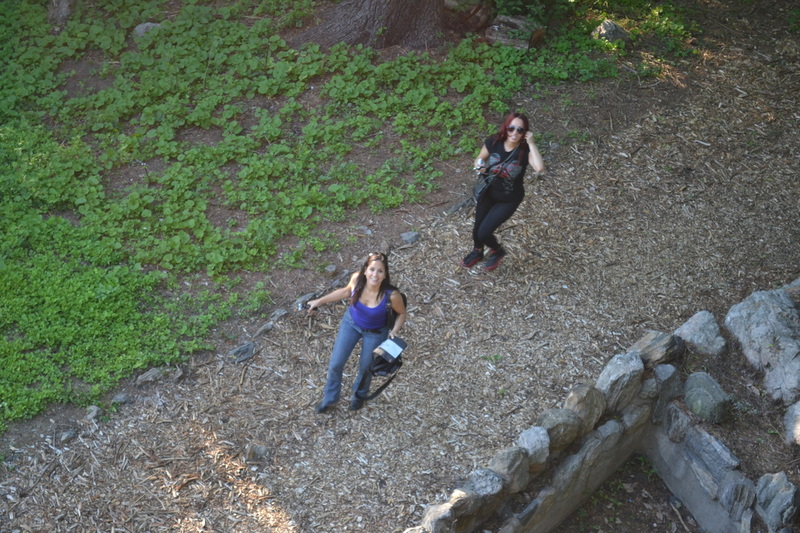 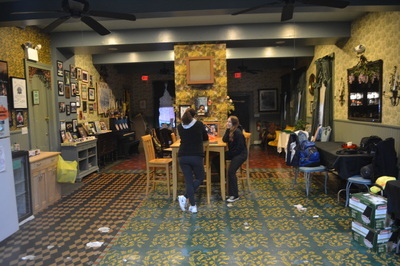 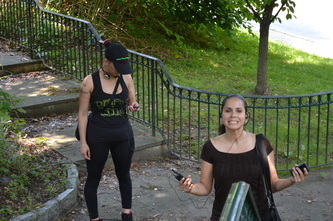 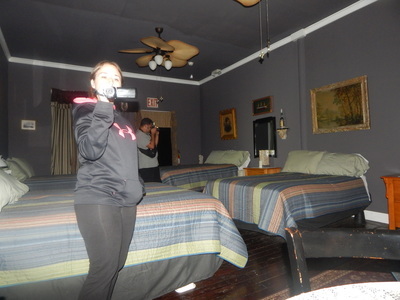 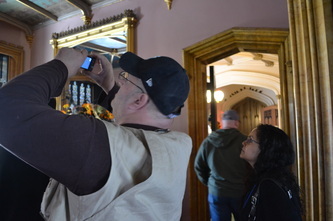 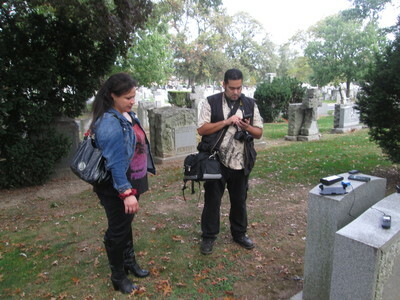 Linda taking a photo during a residential investigation in Yonkers. Sitting beside the final resting place of reputed mob boss, John Gotti. 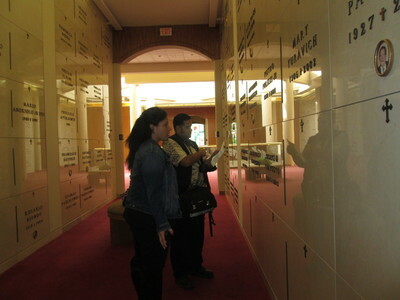 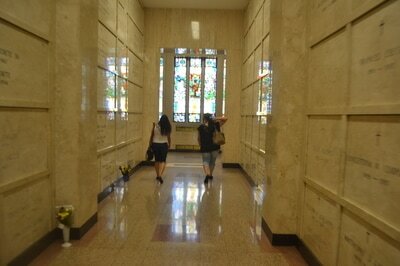 Wandering around the Christ the Redeemer Mausoleum at St. John's Cemetery. 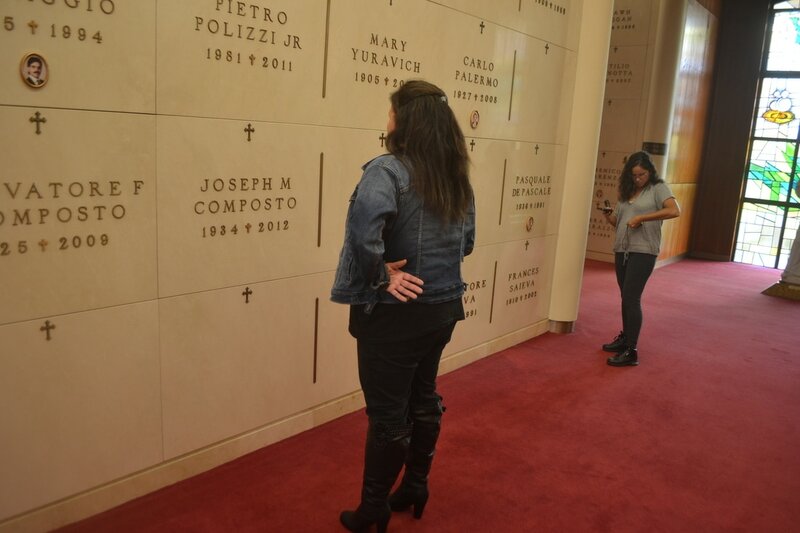 Linda at the final resting place of her good friend, Pietro. 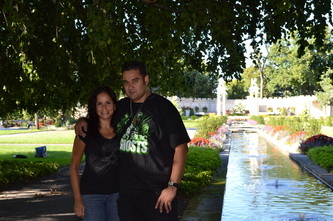 Outside of a mausoleum at St. John's Cemetery. 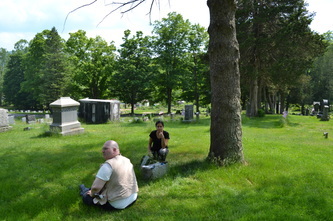 Linda at St. John's Cemetery. 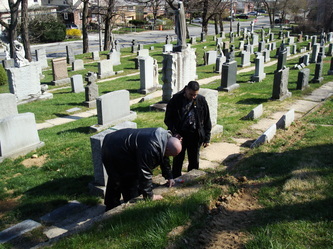 Searching for a particular grave at the cemetery. 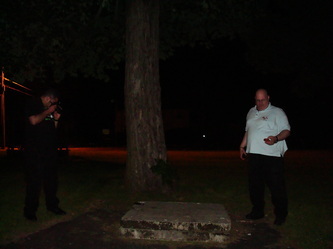 Kneeling down for a closer look. 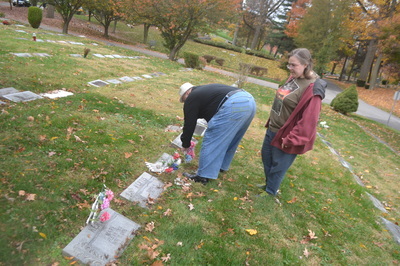 Linda at the Greger family plot at St. John's Cemetery. Linda at the Temple of Love in Untermyer Park. 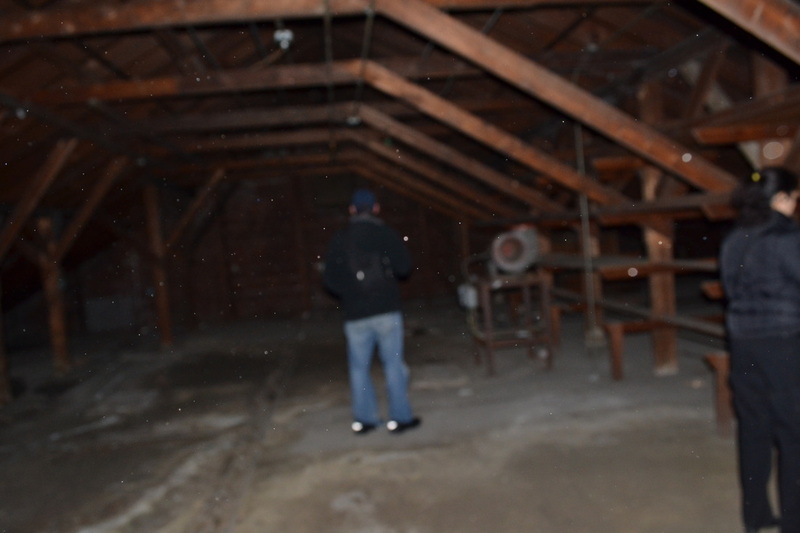 Getting some bad vibes in this backyard during an investigation. 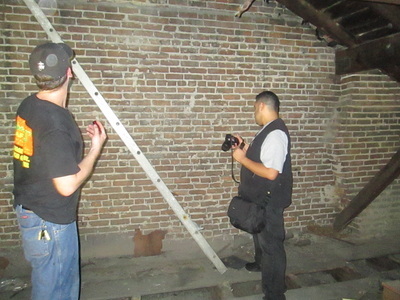 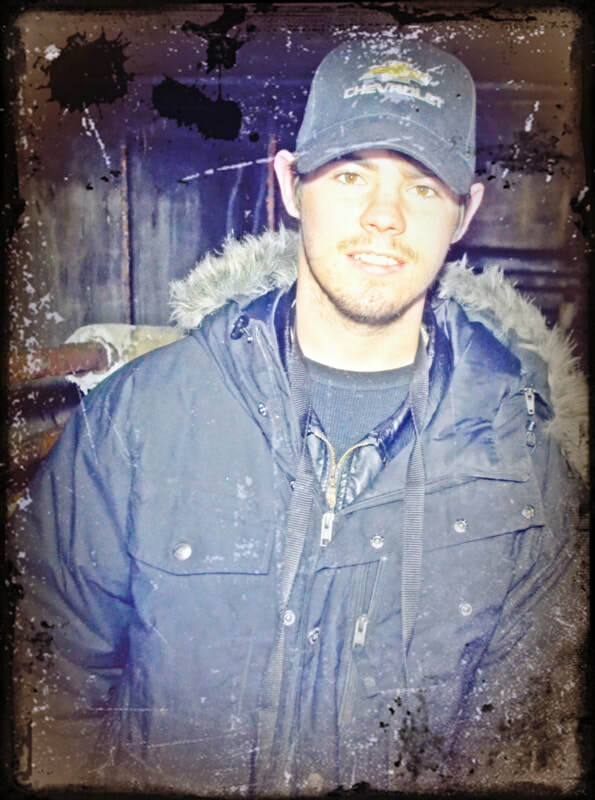 Jake during an EVP session at the crypt of Charles "Lucky" Luciano. 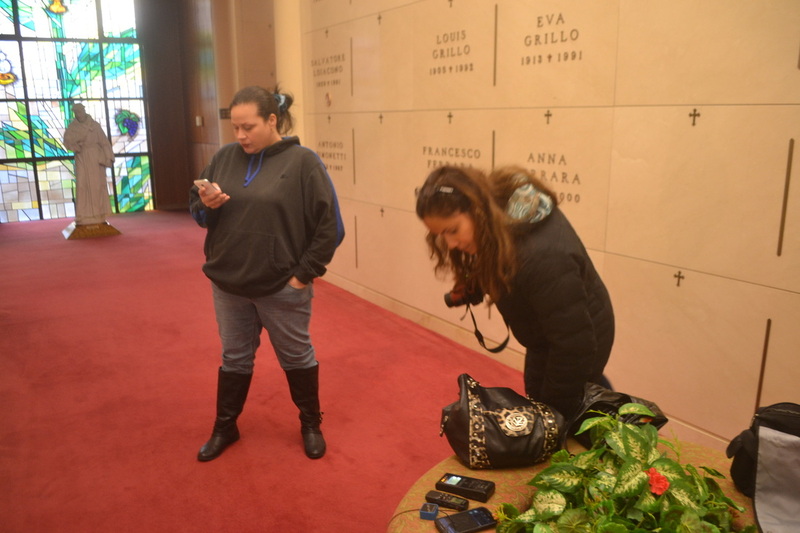 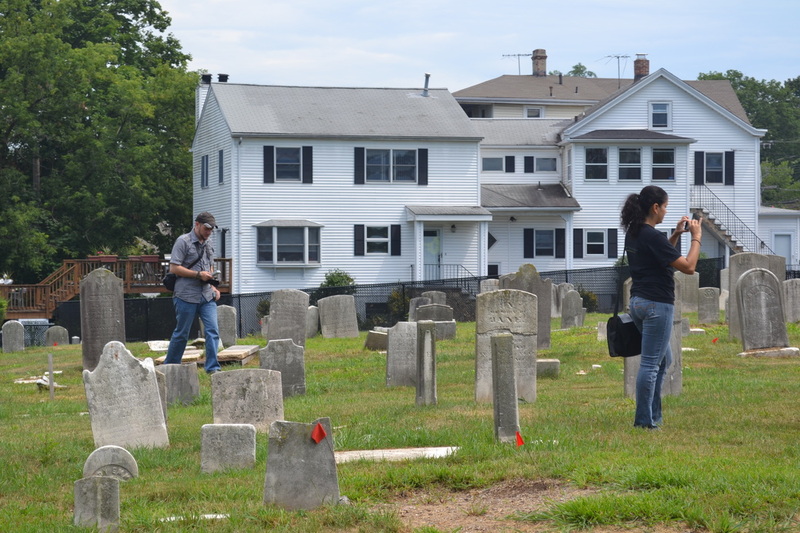 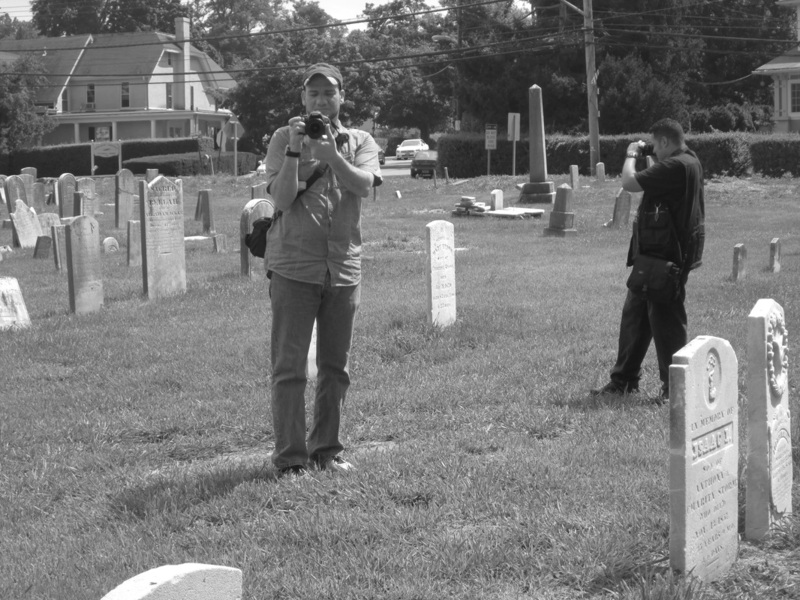 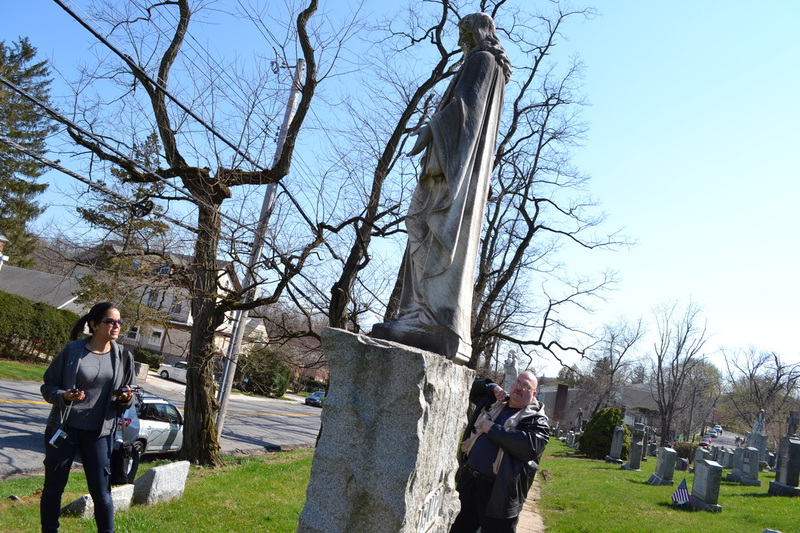 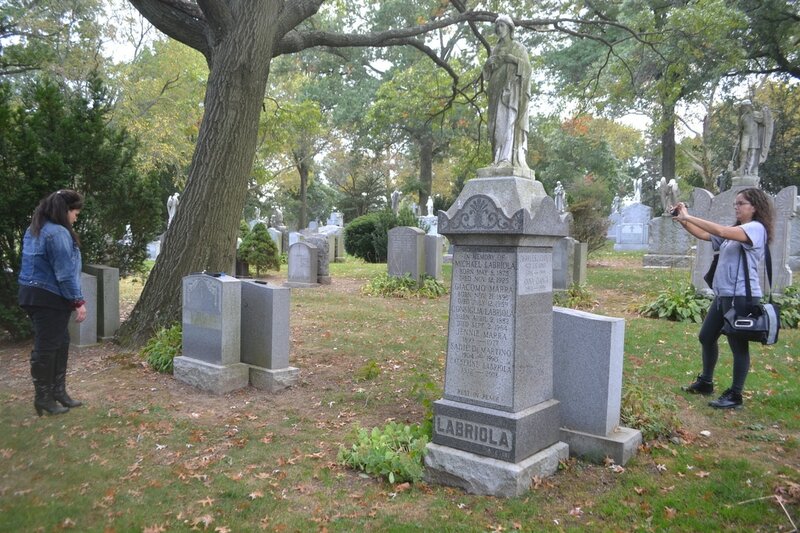 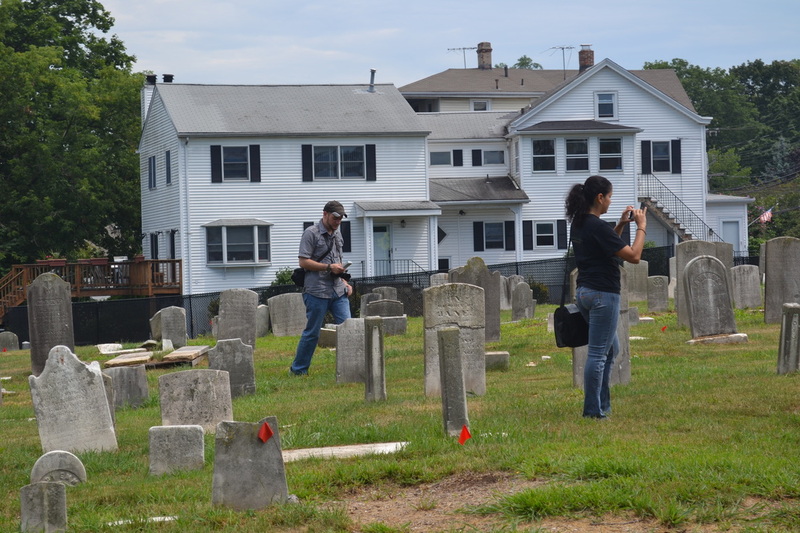 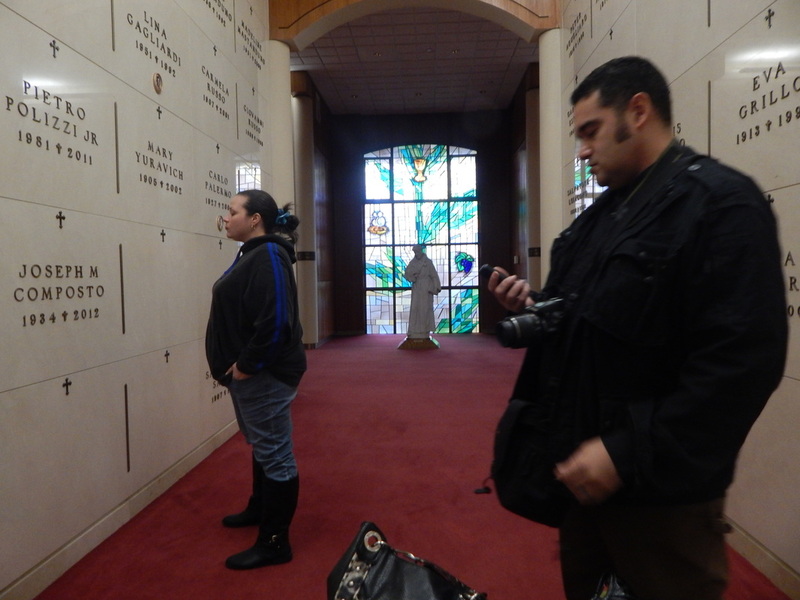 Taking photos at St. John's Cemetery in Maspeth. 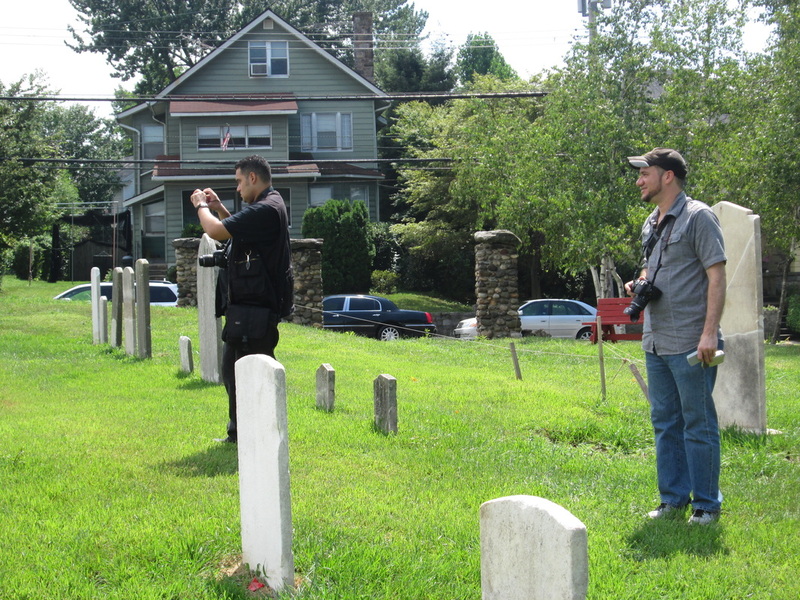 Taking a photo at St. Mary's Cemetery in Yonkers. Taking photos at the cemetery. 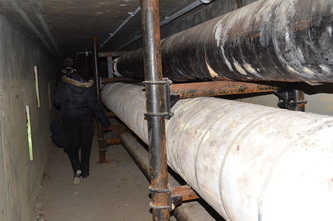 Underneath the former site of Building 59 at the KPPC. 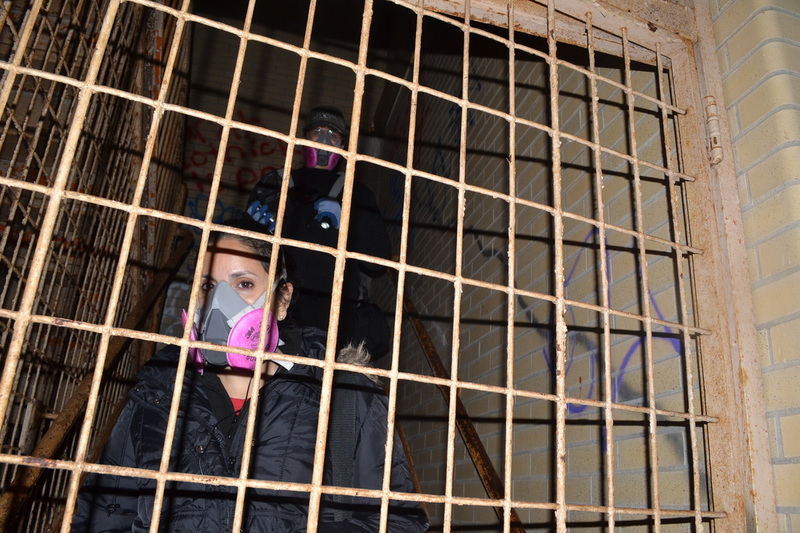 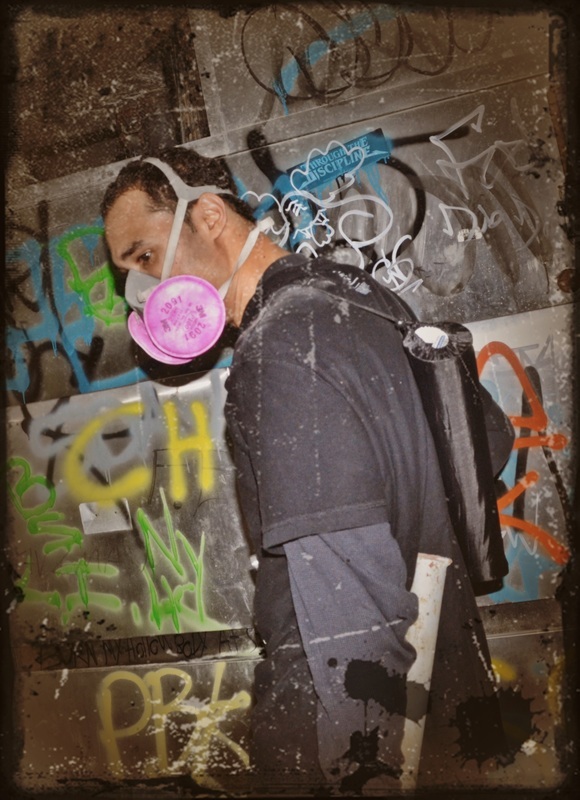 Wearing a respirator mask in the underground tunnels of Kings Park. 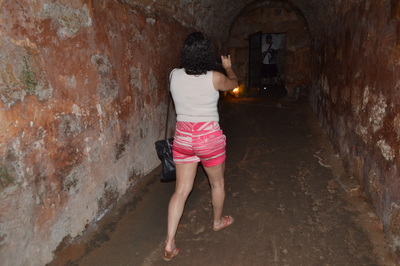 Walking through the underground tunnels at Kings Park. 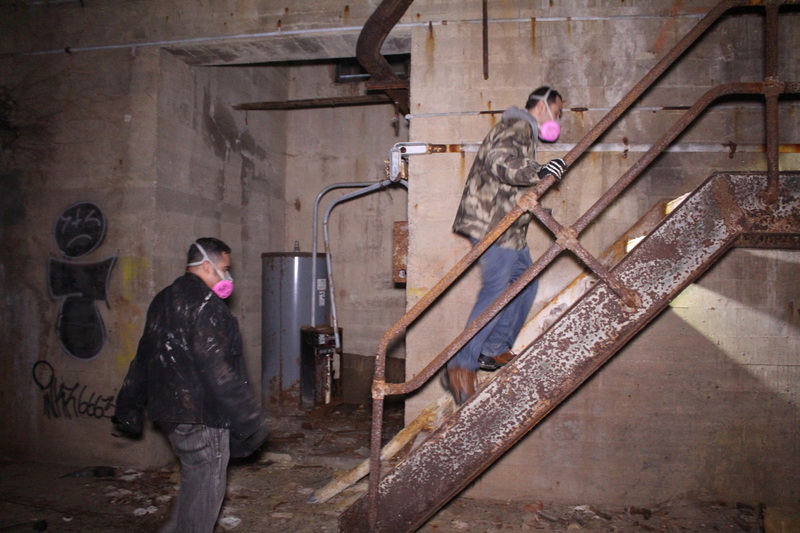 Climbing a ladder in the power plant at Letchworth Village. 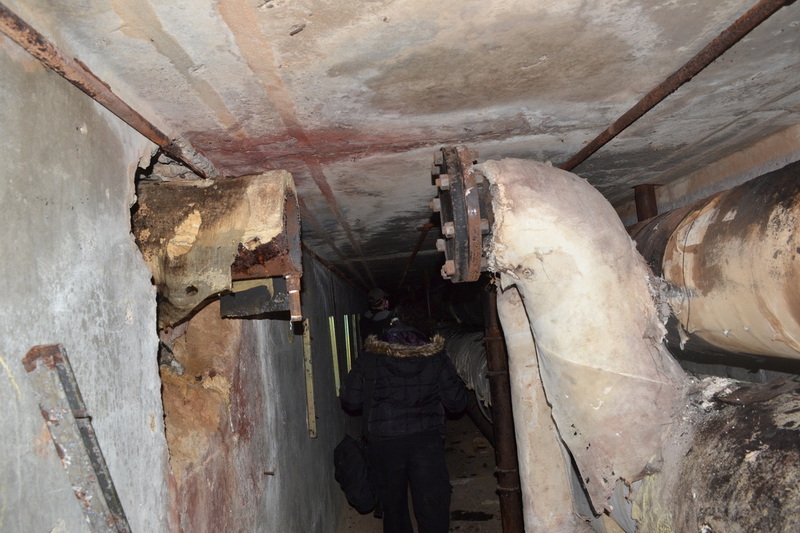 Exploring the tunnels beneath Letchworth Village. 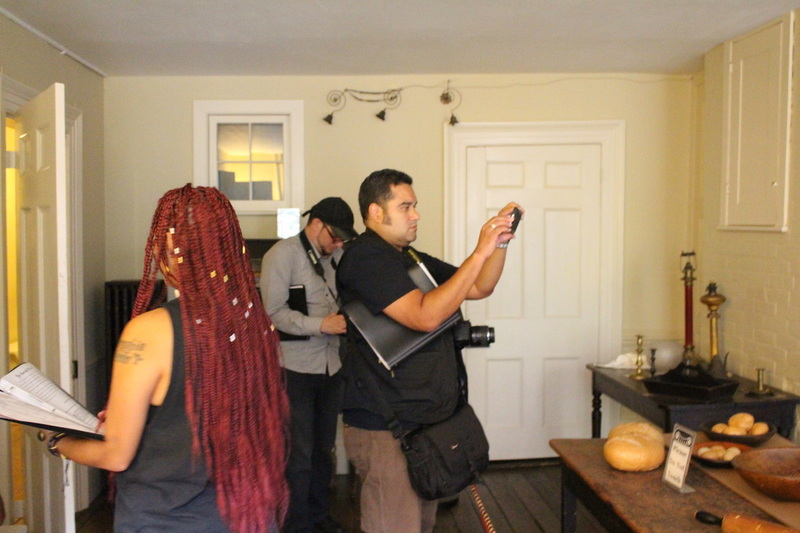 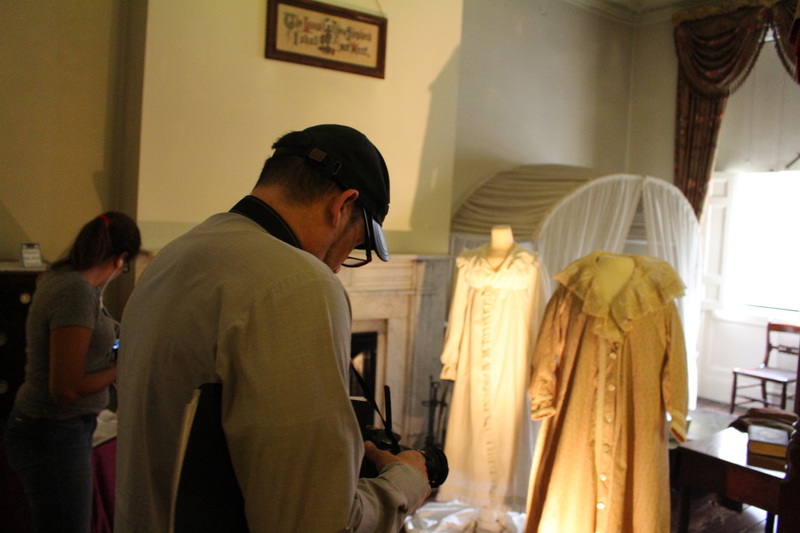 Taking photos at the Merchant House Museum. 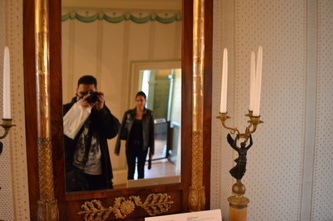 Taking photos of the mirror at the Merchant House Museum. Taking photos on Sweet Hollow Road. 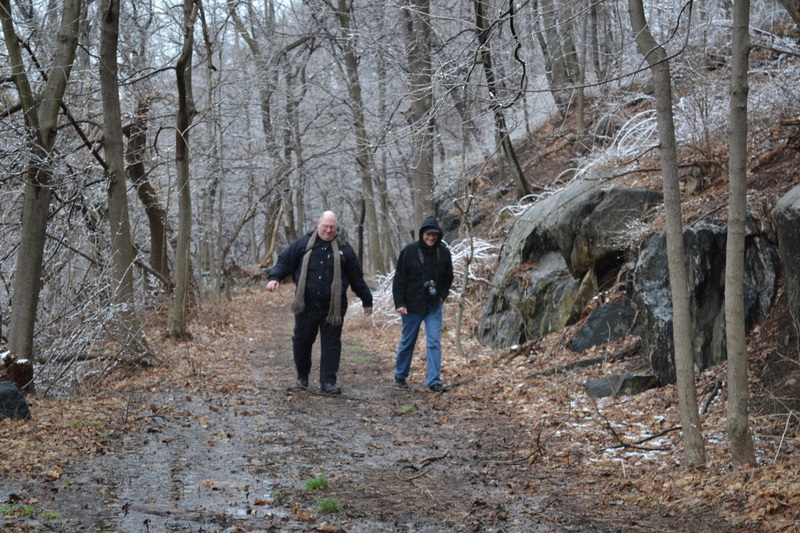 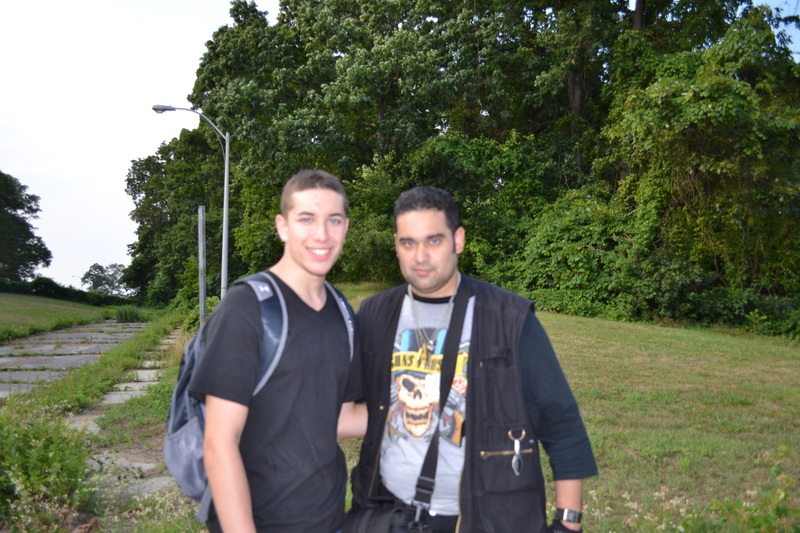 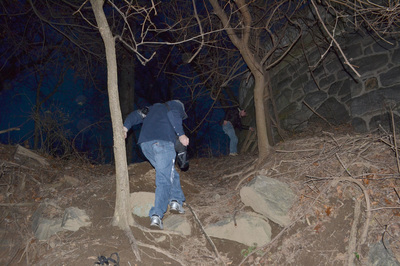 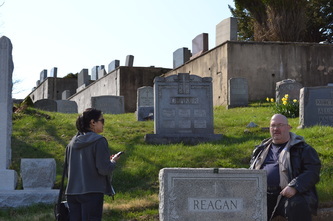 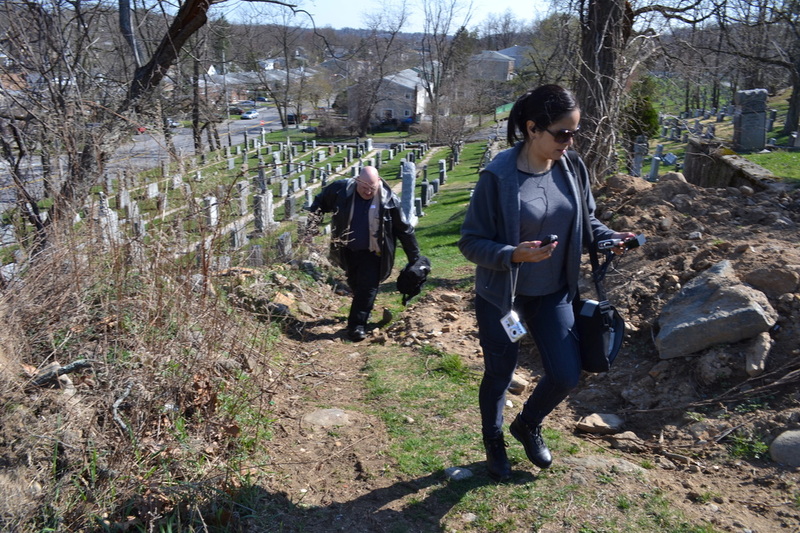 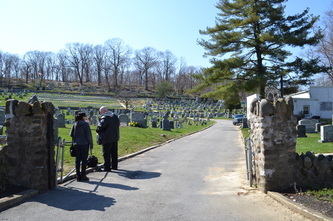 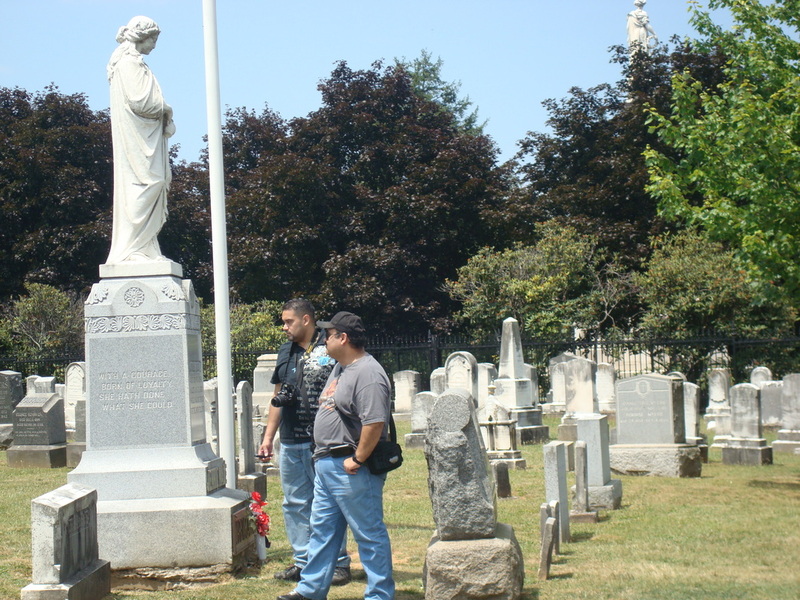 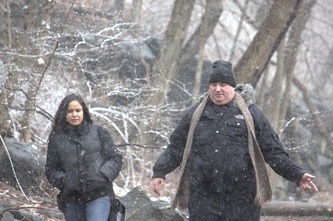 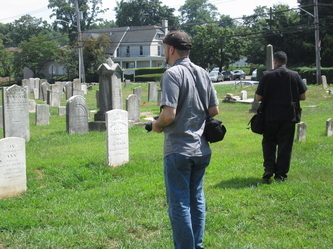 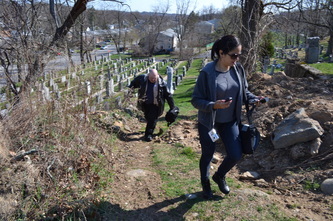 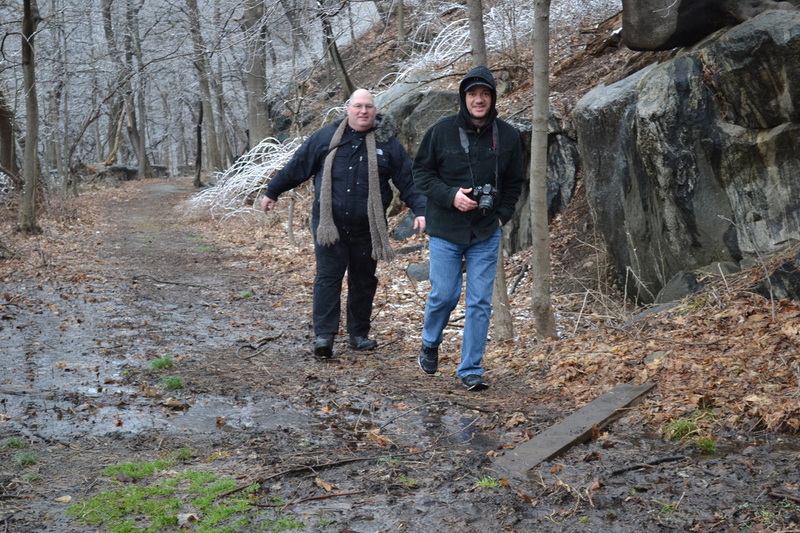 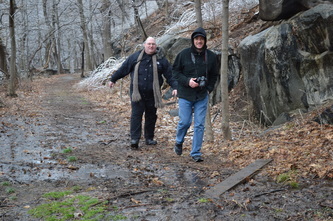 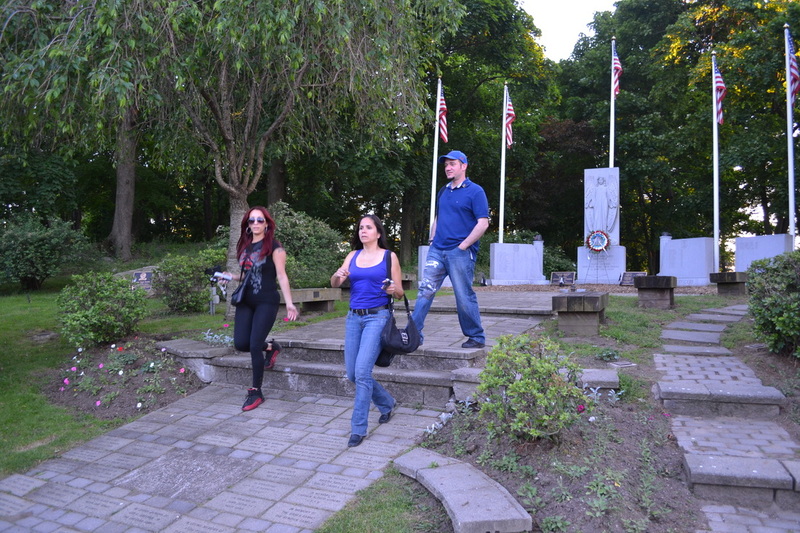 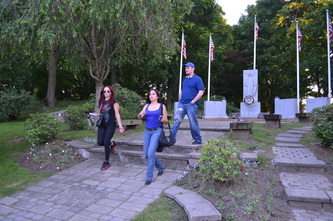 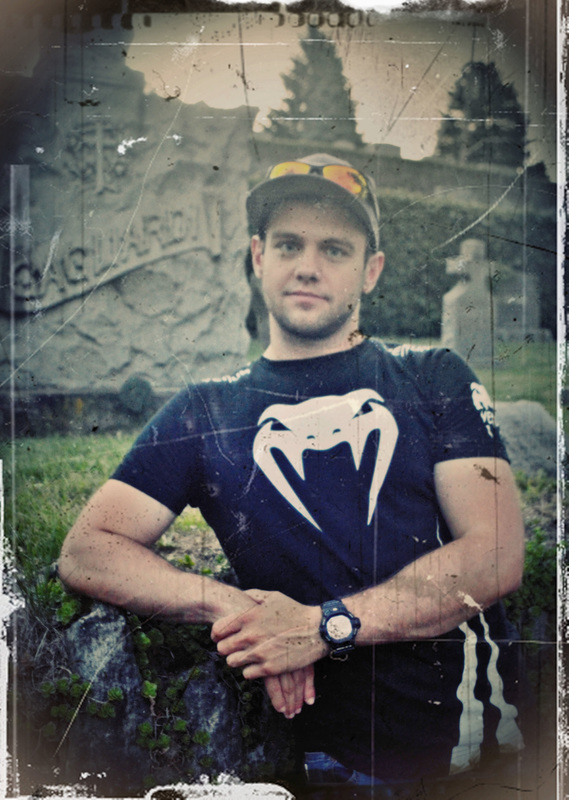 Jake on his first investigation with the team at St. Joseph's Cemetery in Yonkers. 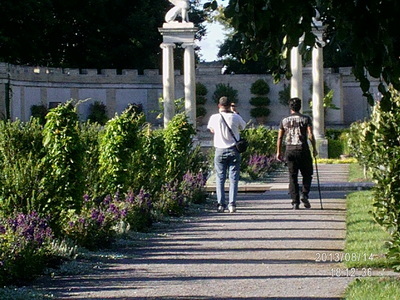 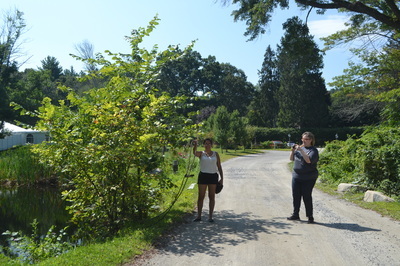 Taking photos in the walled garden at Untermyer Park. 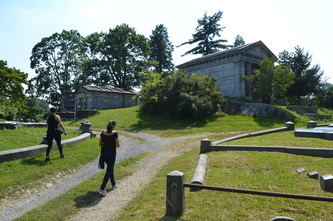 Behind the gatehouse at Untermyer Park. 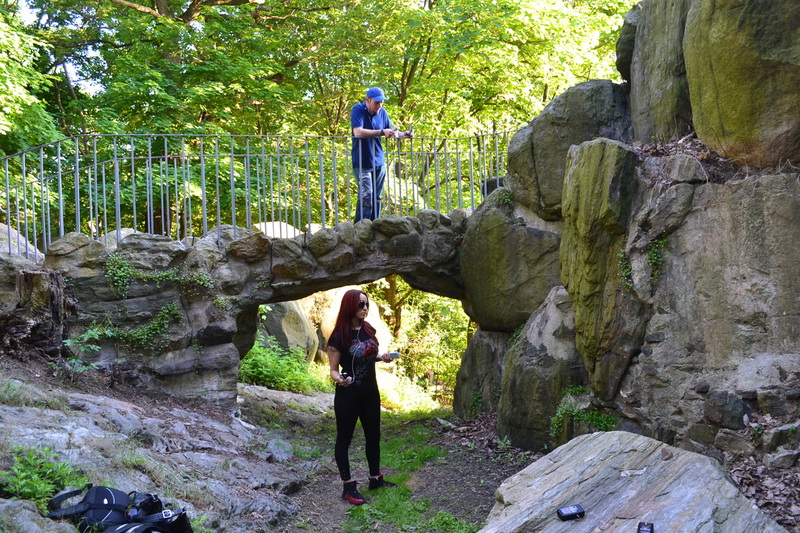 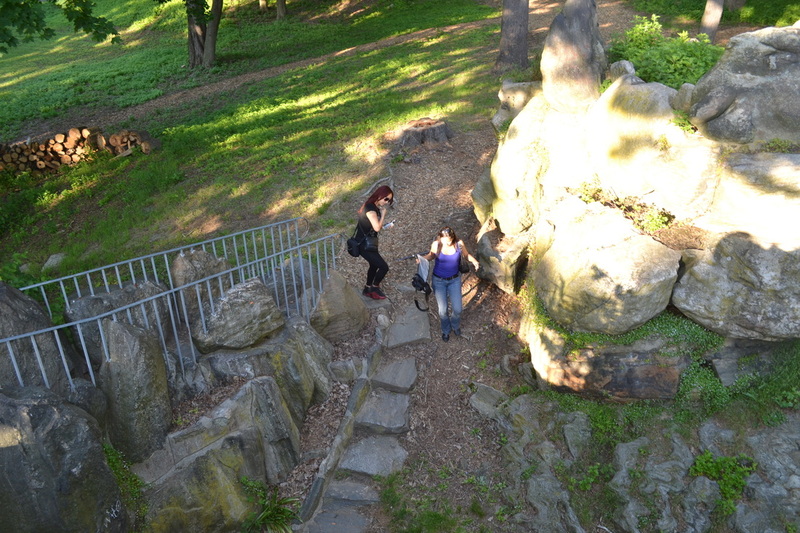 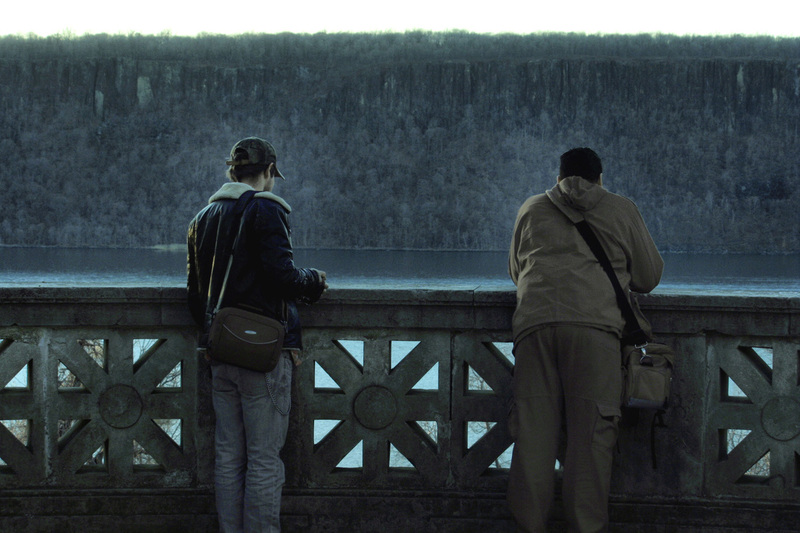 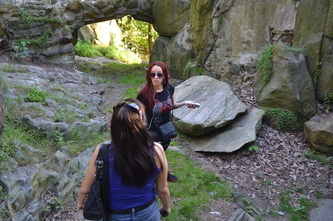 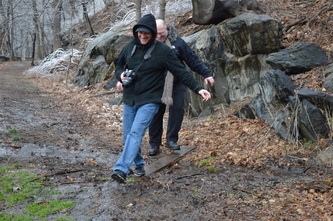 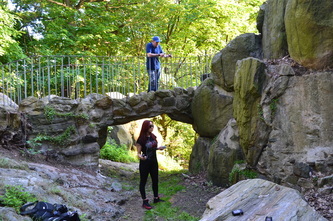 Examining the Devil's Hole at Untermyer Park. Devin at the Lyndhurst mansion in Tarrytown. 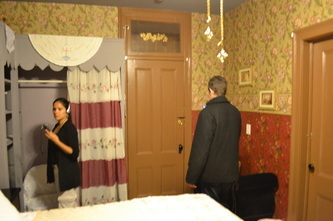 Devin admires a room inside of the Lyndhurst mansion. 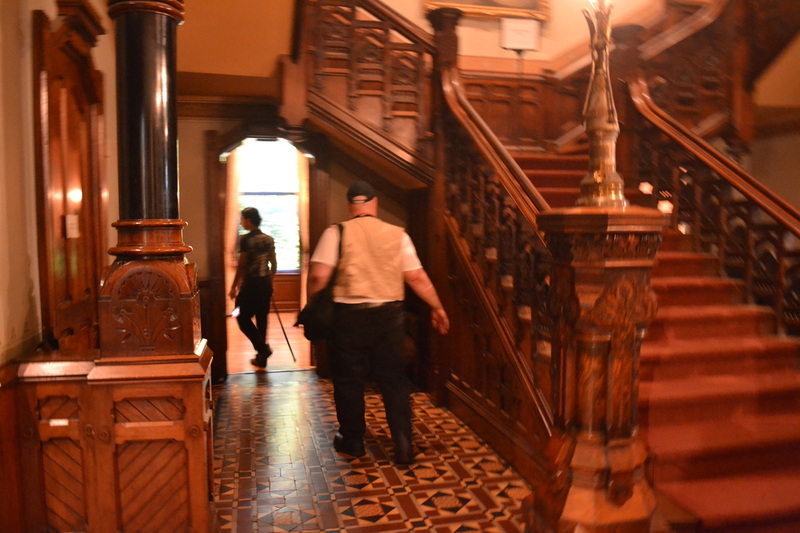 Devin walking through the Lyndhurst mansion. 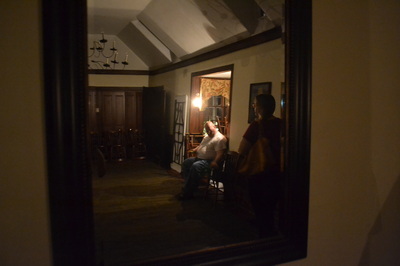 Devin silhouetted inside of the Lyndhurst mansion. 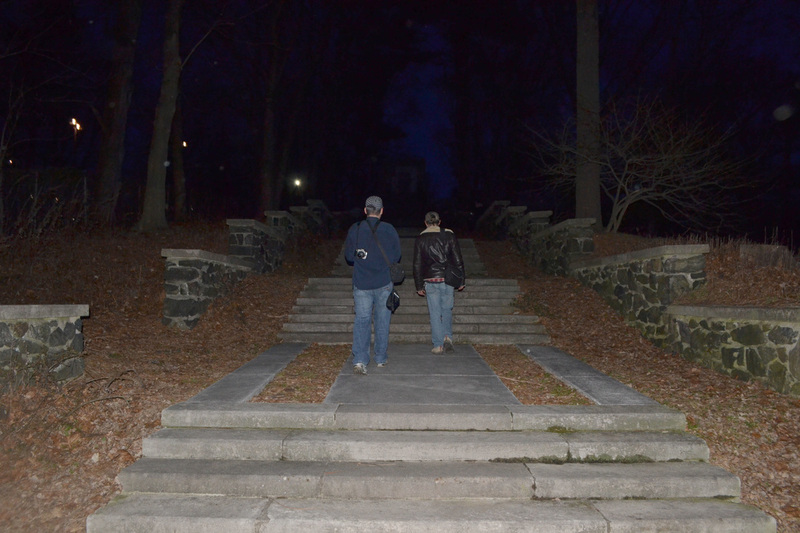 Walking towards the Carriage House of the Lyndhurst Estate. 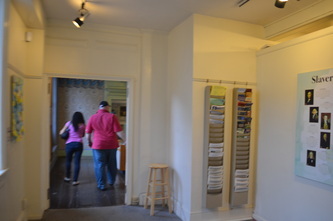 Devin inside the gallery of the Carriage House at Lyndhurst. 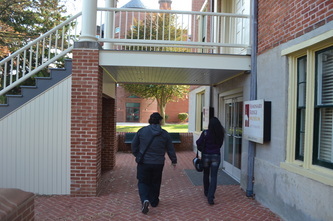 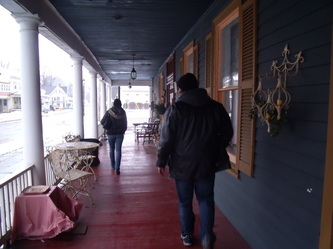 Devin leaving the Carriage House. 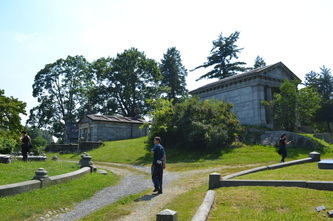 Devin near the Eagle's Nest at Untermyer Park in Yonkers. 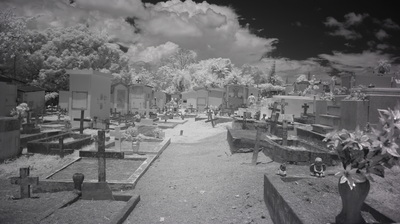 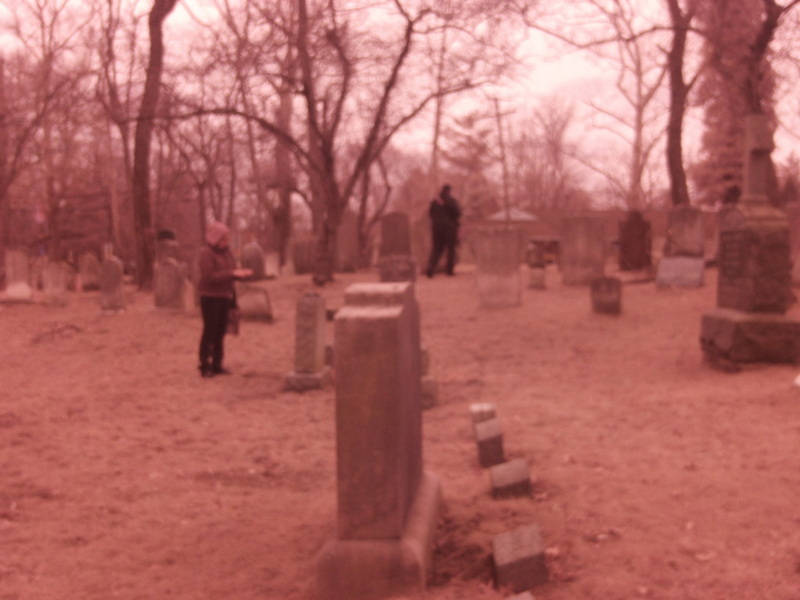 An infrared photo of Devin at St. Joseph's Cemetery in Yonkers. 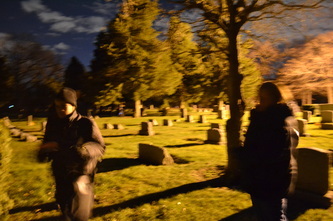 Walking through St. Joseph's Cemetery at night. 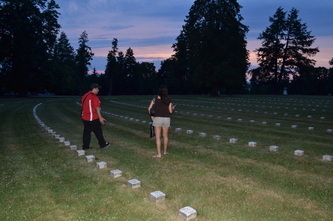 Devin at St. Joseph's Cemetery at night. 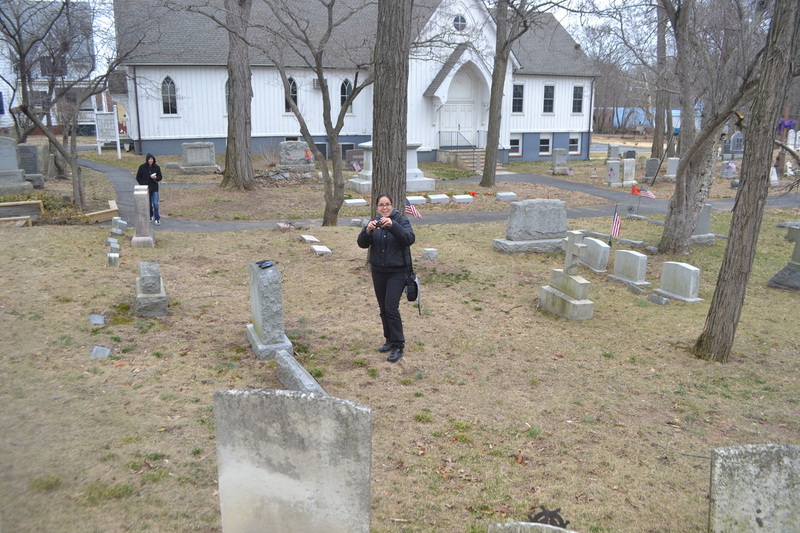 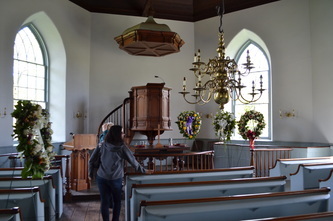 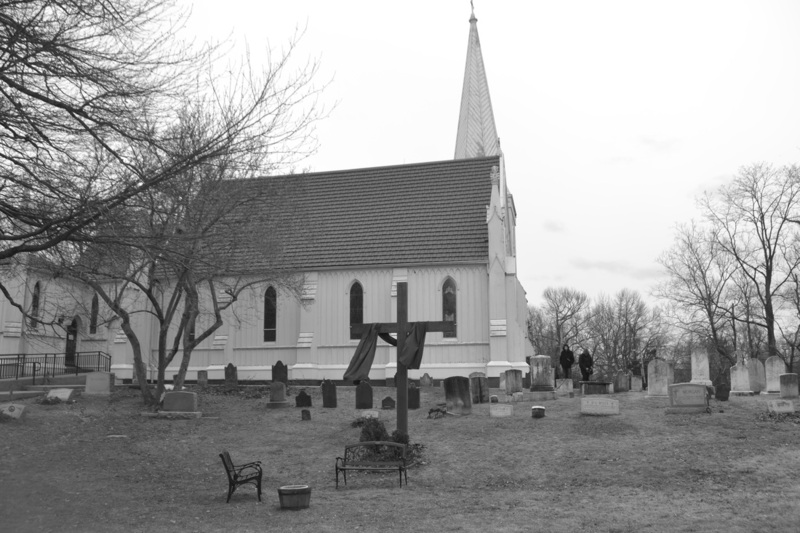 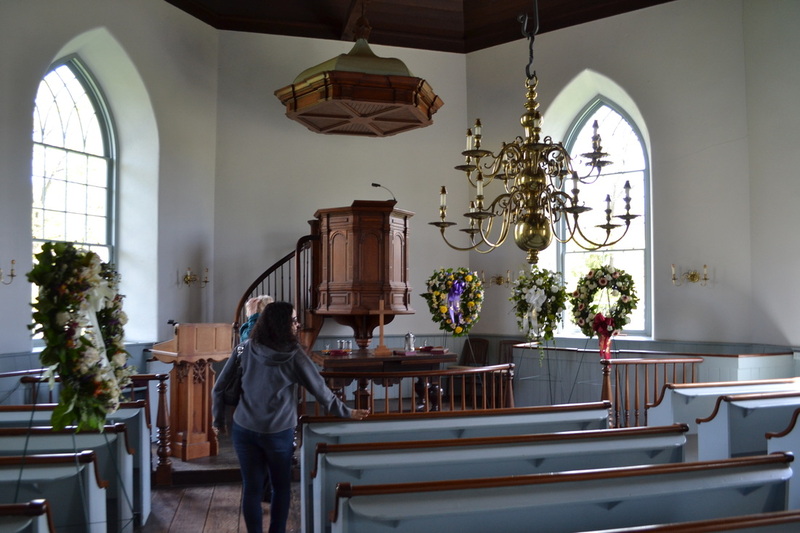 Taking a photo of the Old Dutch Church at Sleepy Hollow. 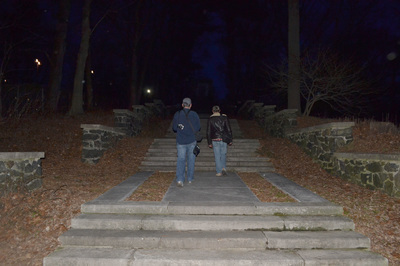 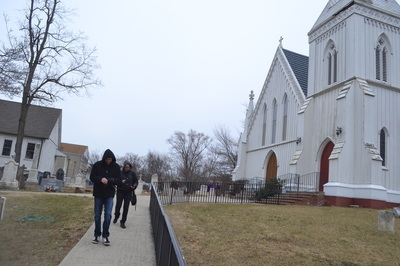 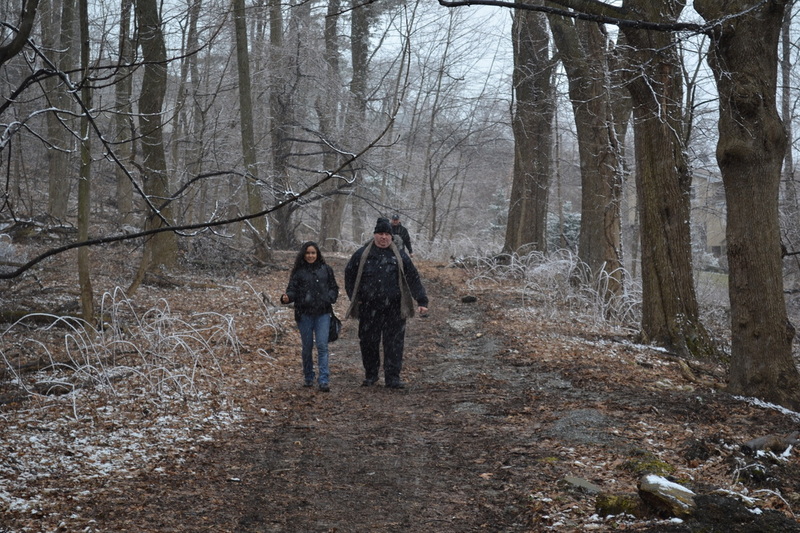 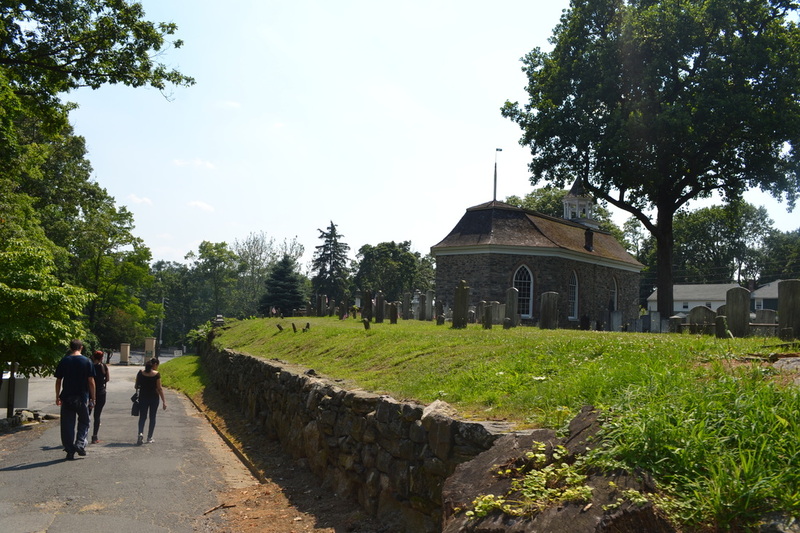 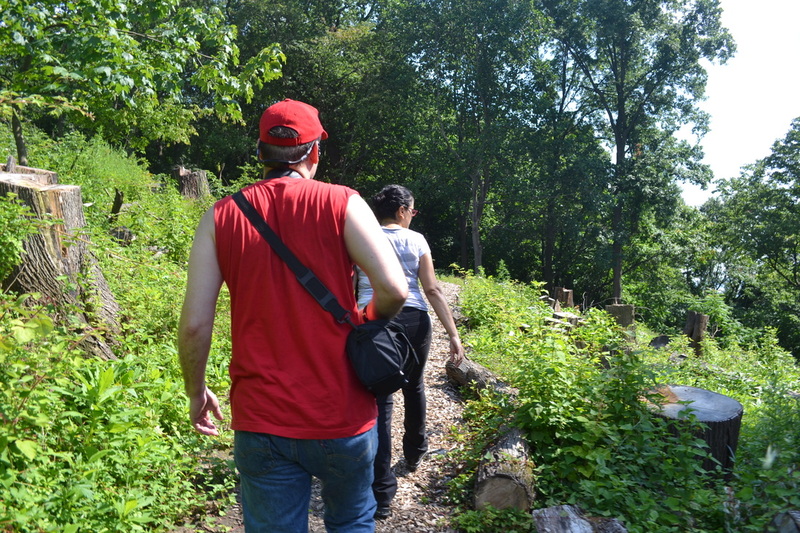 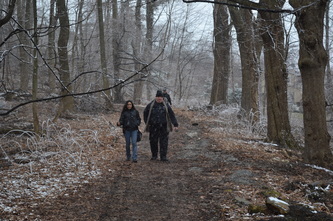 Walking towards the Old Dutch Church at Sleepy Hollow Cemetery. 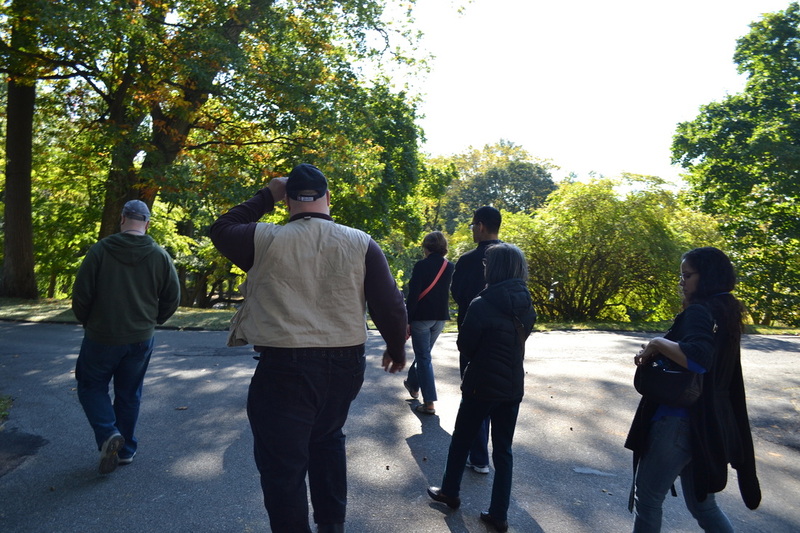 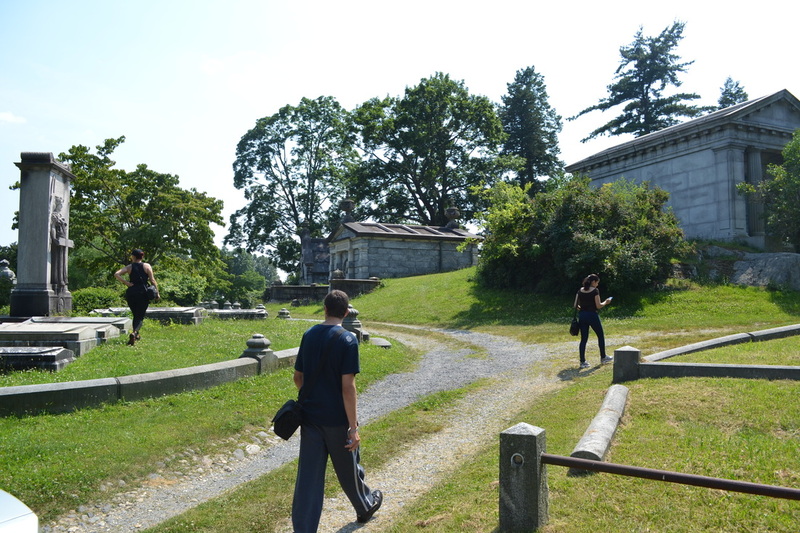 Walking towards the Andrew Carnegie grave & memorial at Sleepy Hollow Cemetery. 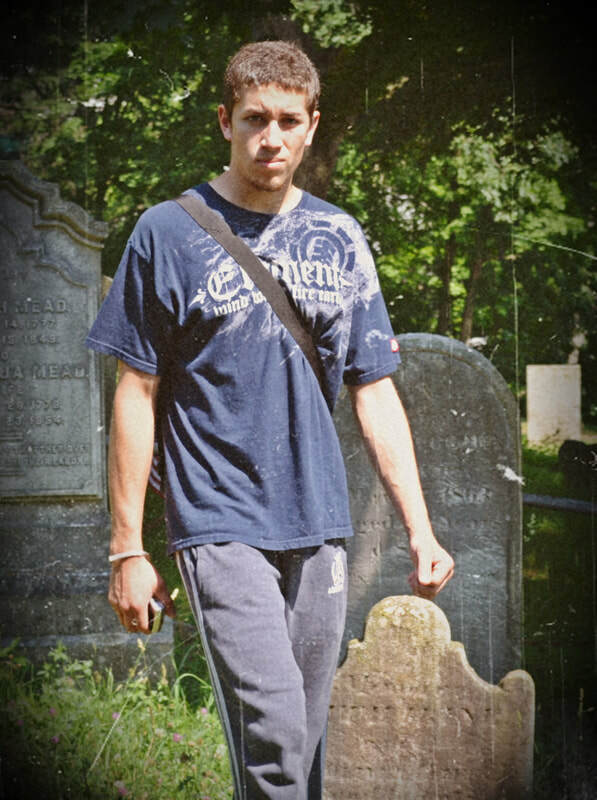 Devin at Sleepy Hollow Cemetery. 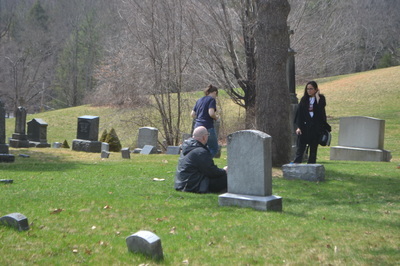 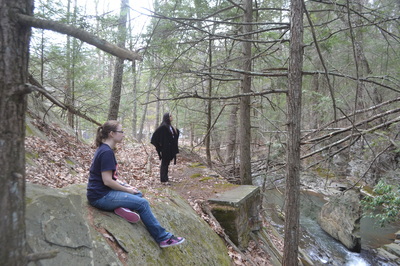 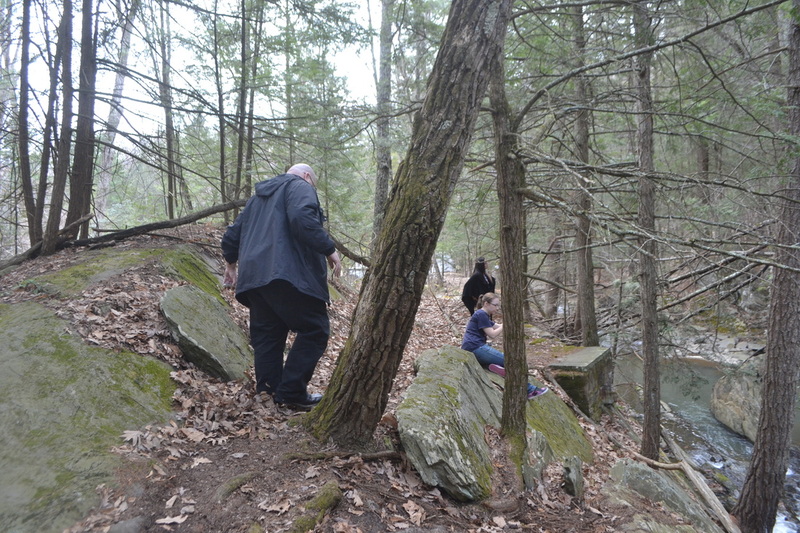 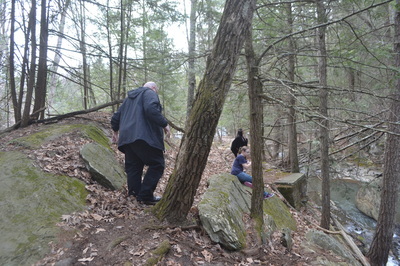 Crouching down beside a grave at Sleepy Hollow Cemetery. Taking photos at El Malpais National Monument. Devin at El Malpais National Monument. 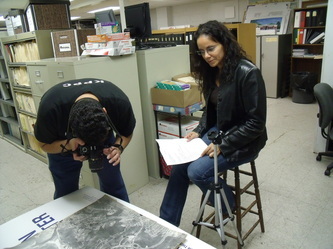 During most investigations it is customary to take photos of team members to show them at work. 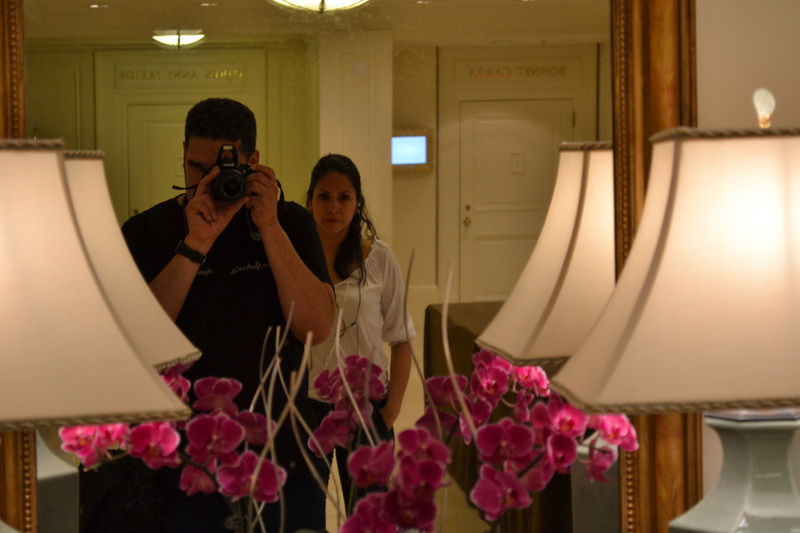 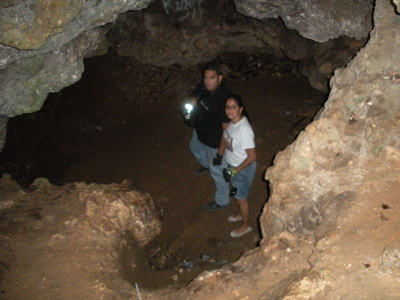 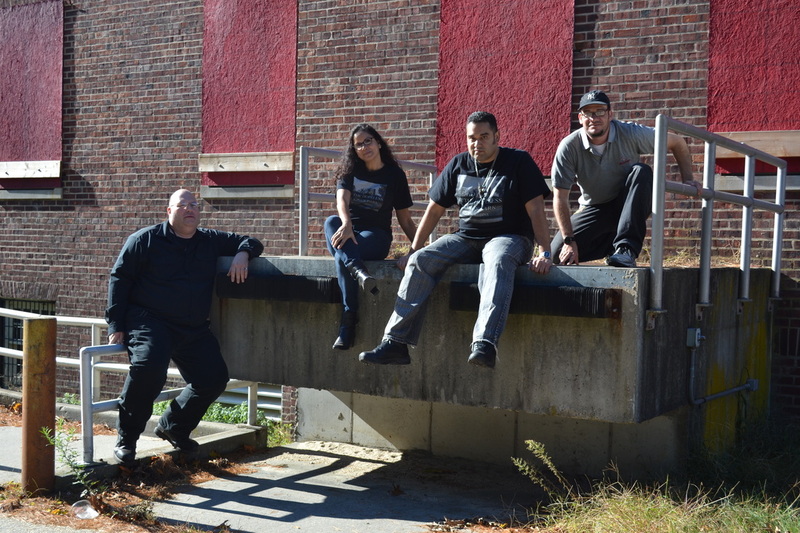 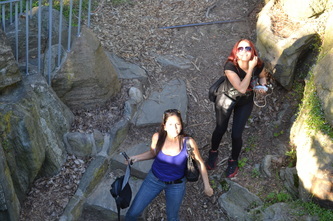 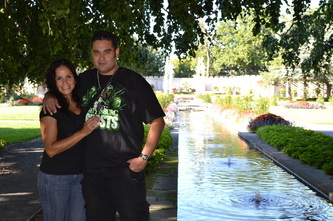 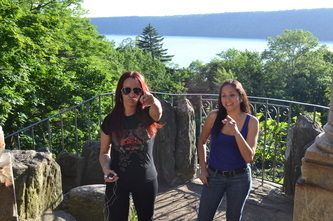 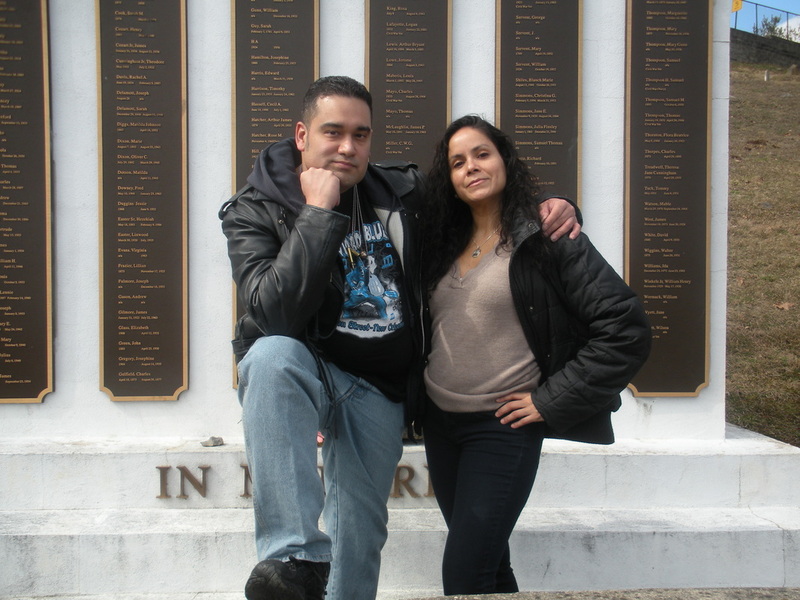 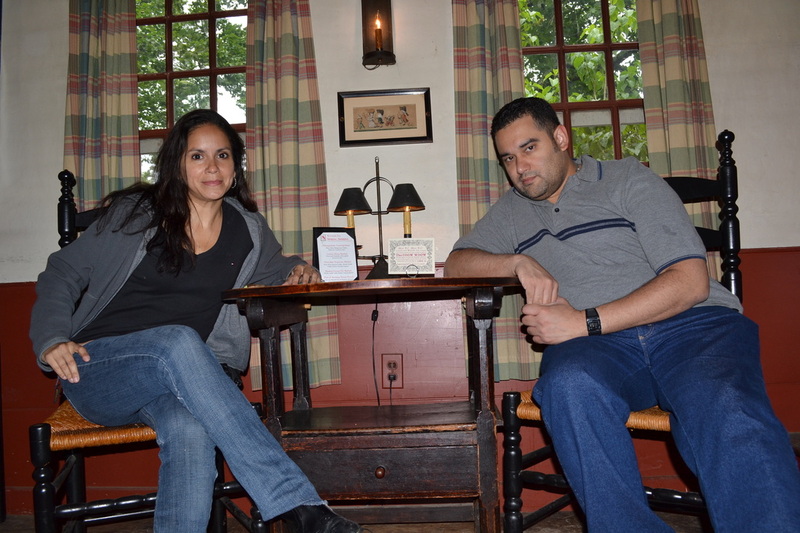 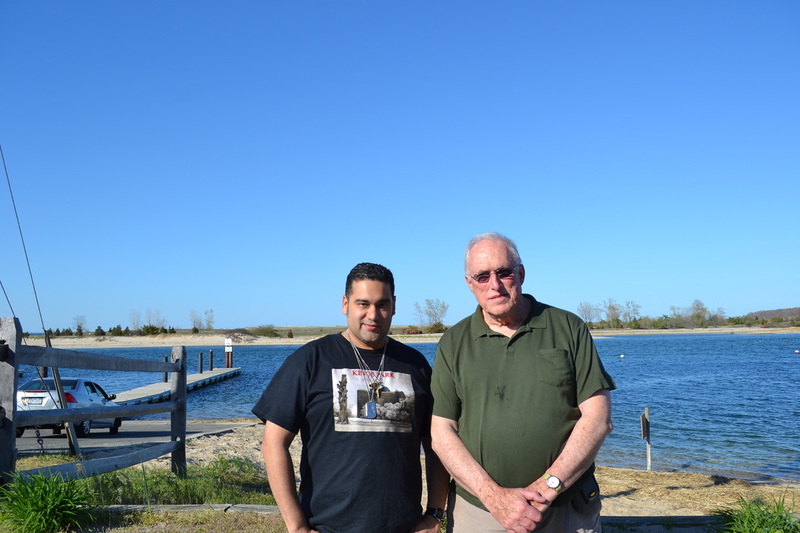 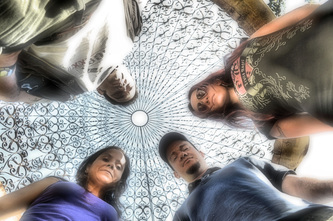 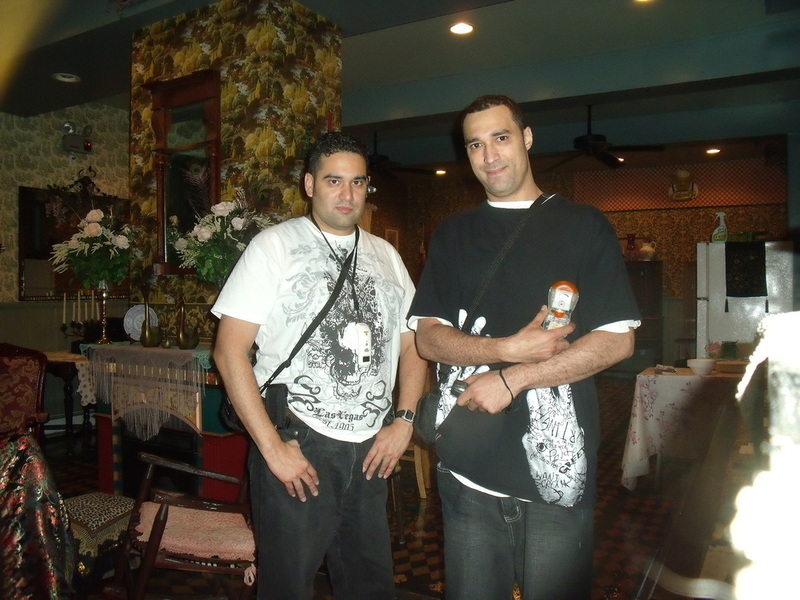 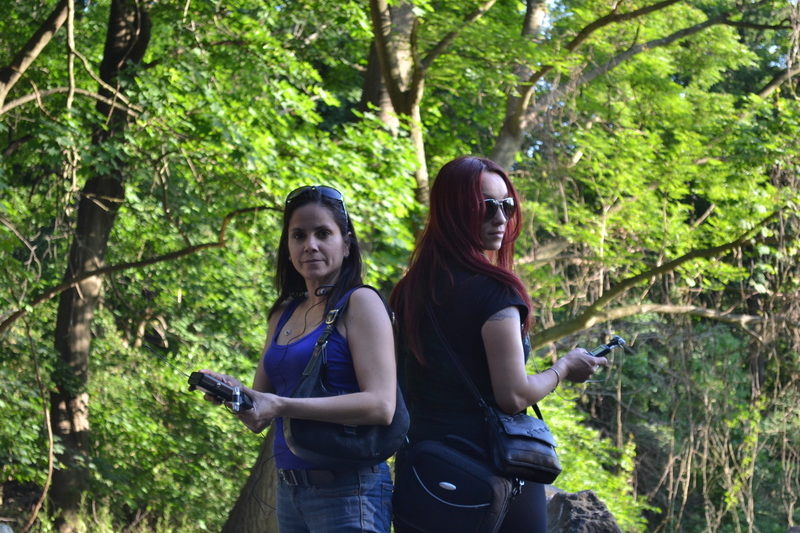 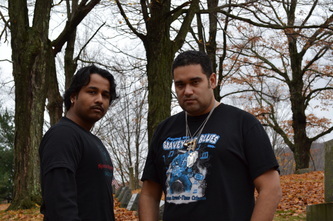 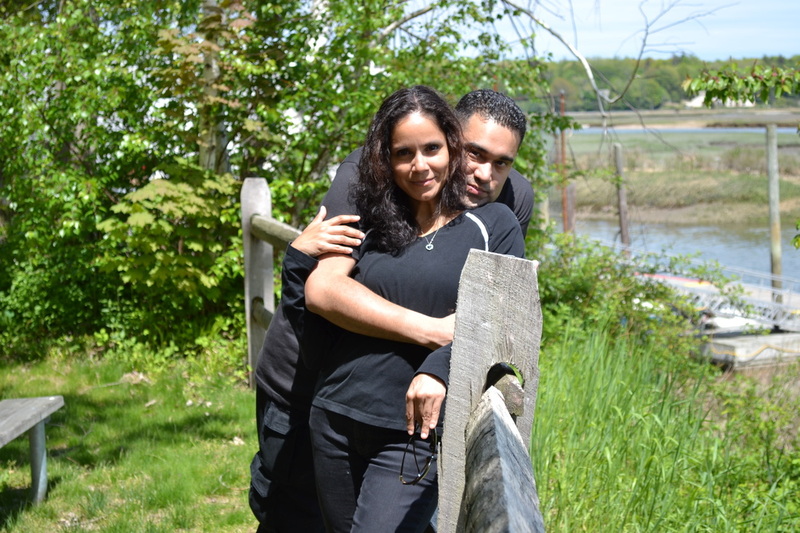 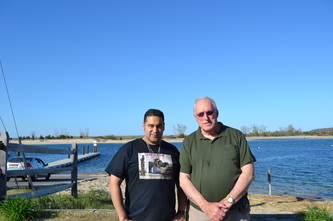 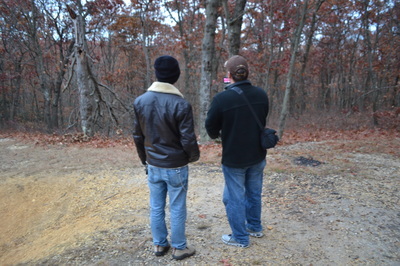 Sometimes we will also pose at a location before, after, or during an investigation. 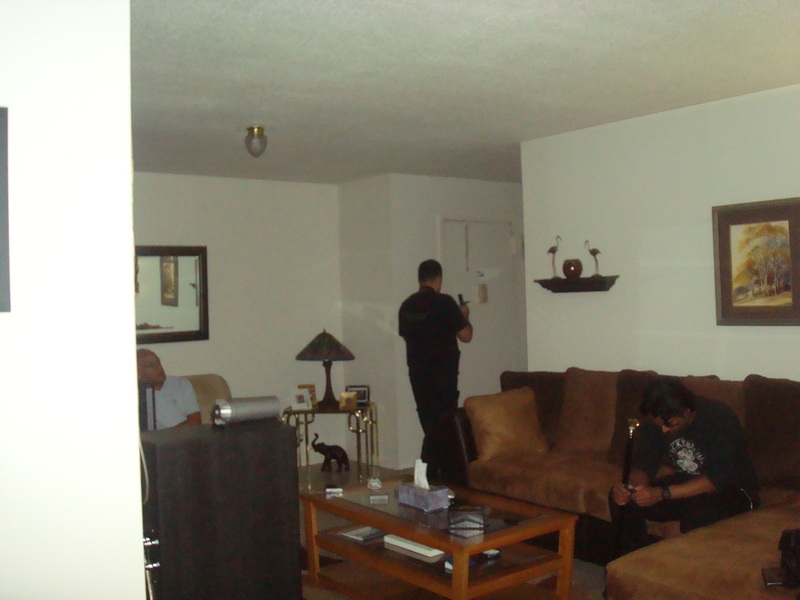 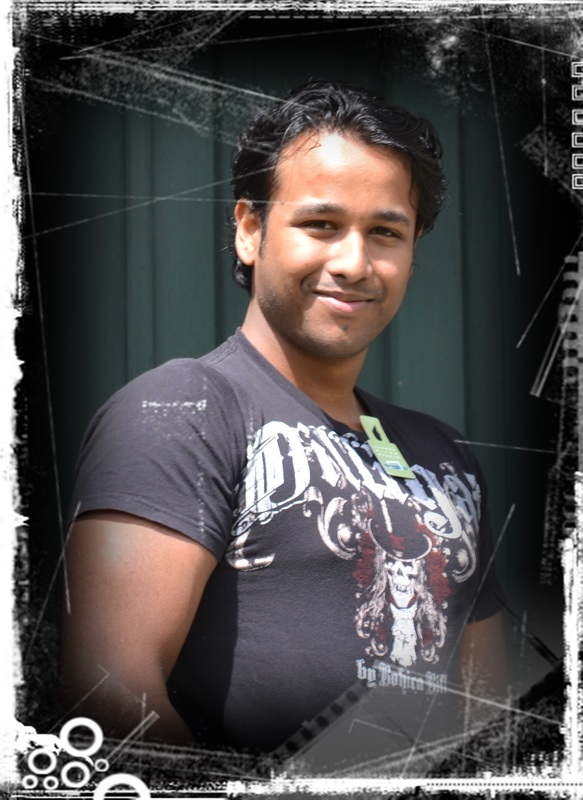 Below are team photos taken either during investigations or while team members were gathered together for other occasions. Both active and reserve members are present in the photo galleries. 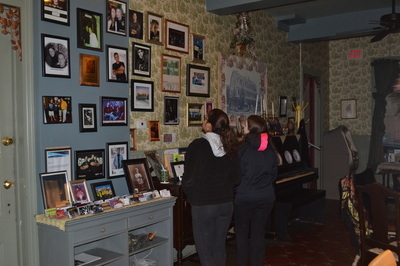 Photos with former team members are eventually removed to keep the galleries fresh and up to date. 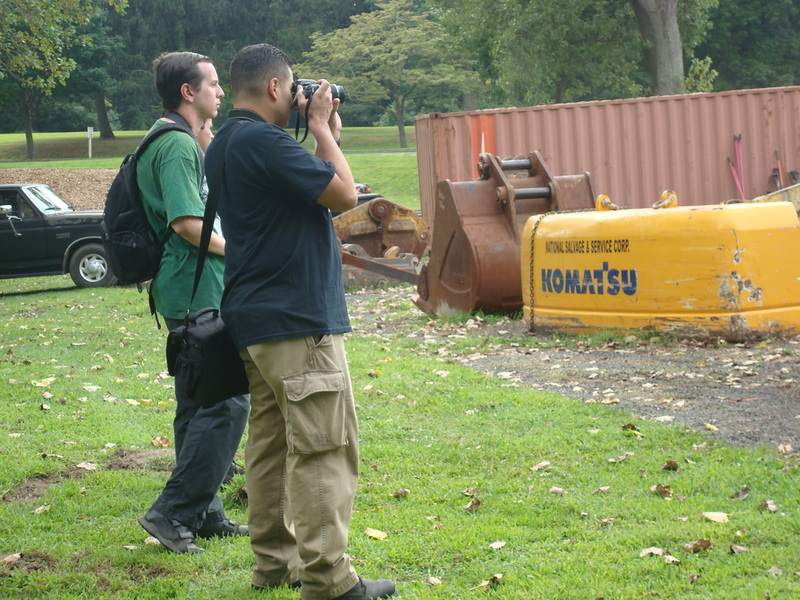 The photos have been separated by category in order to make it easier for posting new photos or finding specific photos at specific locations. 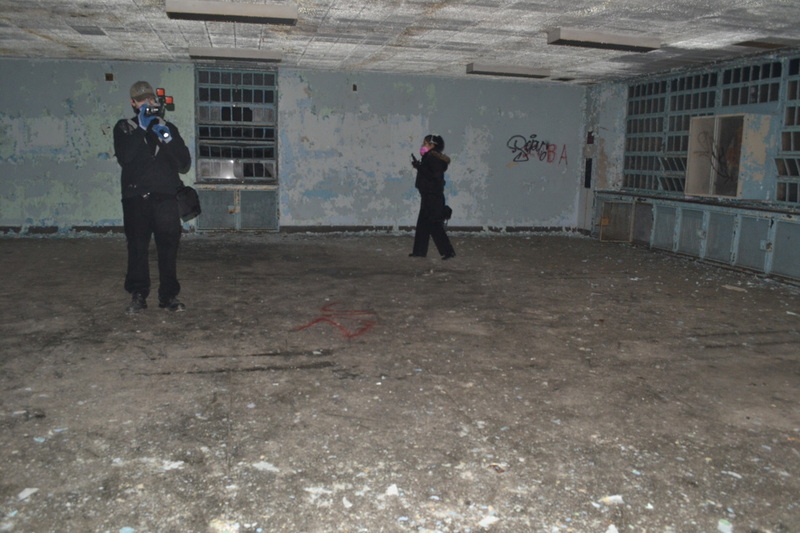 The following categories Abandoned Psychiatric Hospitals & Prisons, Cemeteries & Parks, Haunted Hotels & Restaurants, Haunted Museums & Landmarks, Haunted Roads & Streets, Other Abandoned Locations, Residential Hauntings & Hanging Out At Home, and Team Research are listed alphabetically. 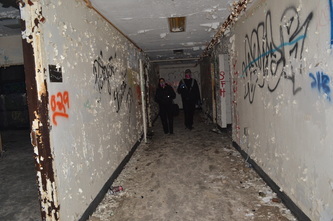 Probably one of the most exciting types of places to explore is an abandoned psychiatric hospital, especially when it has underground tunnels. 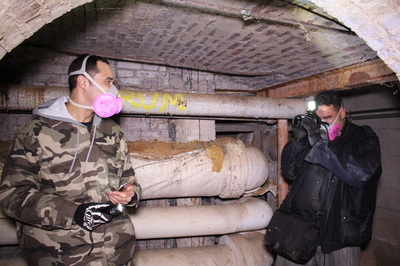 However, not all team members are suitable for this kind of location as there are many hazards involved. 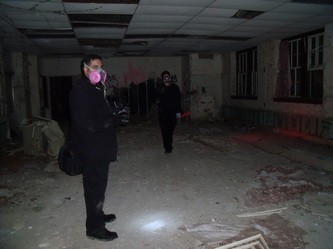 Safety is always paramount at these locations. 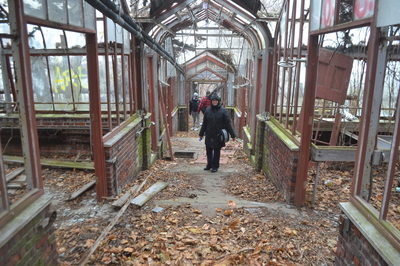 New York has many abandoned hospitals to choose from, although we do have a fondness for Kings Park. 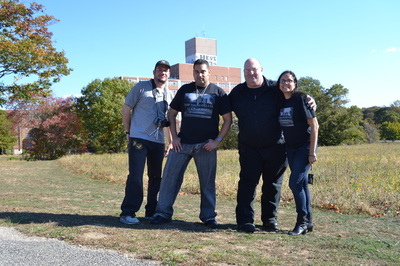 In these photos we are mostly at the Kings Park Psychiatric Center or at Letchworth Village. We still haven't investigated any prisons as a team, yet. 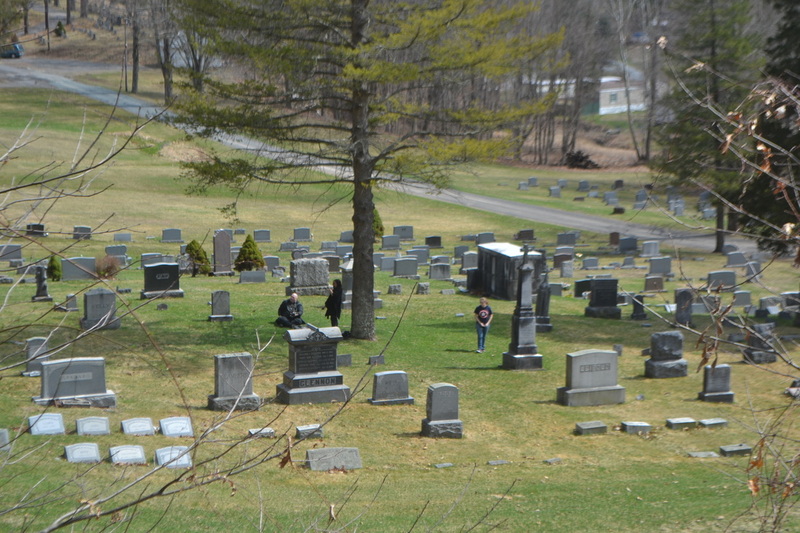 Cemeteries are very much like parks in that they are fields of grass with trees and rocks. They smell great when the grass is cut and both are peaceful and usually empty at night because they close at dusk. We've investigated numerous cemeteries and allegedly haunted parks during our time as a team. 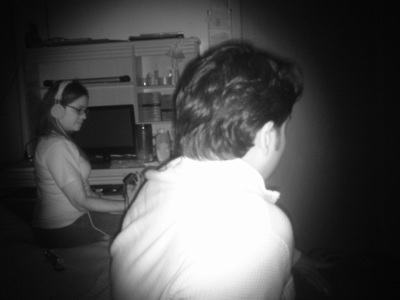 We've collected some pretty good EVPs and spirit photography in the process. 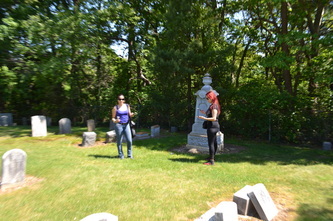 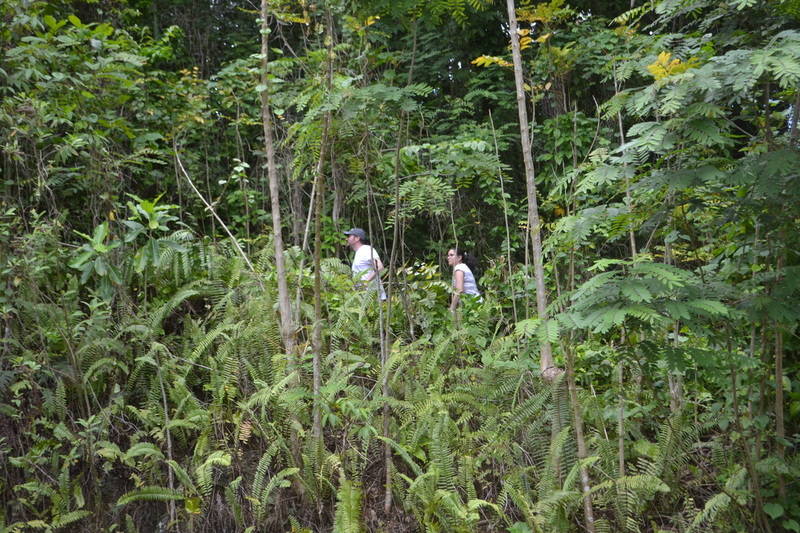 It has also become customary to search for the oldest grave we can find. 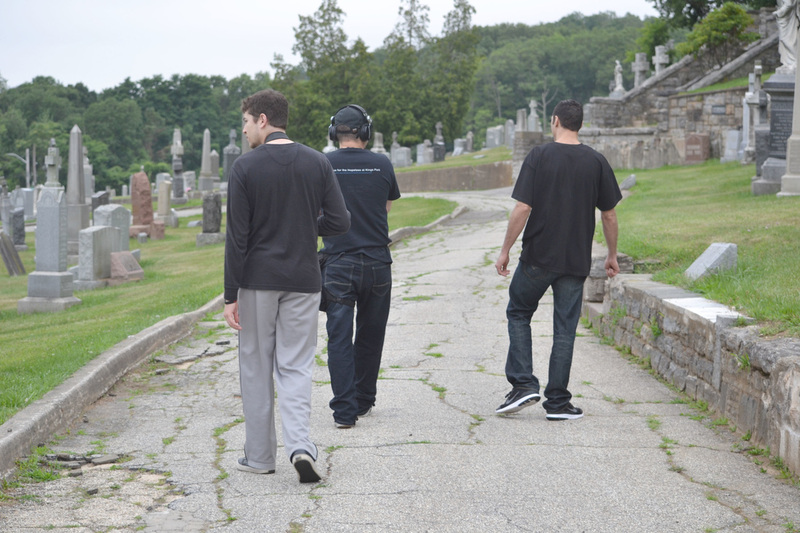 Sometimes a walk through the cemetery can be like a lesson in history. 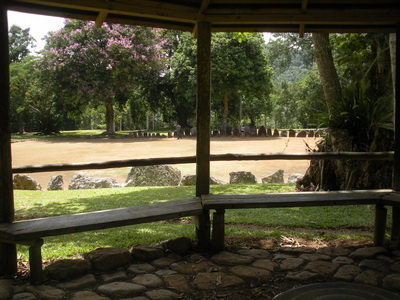 The same can be said for some parks. 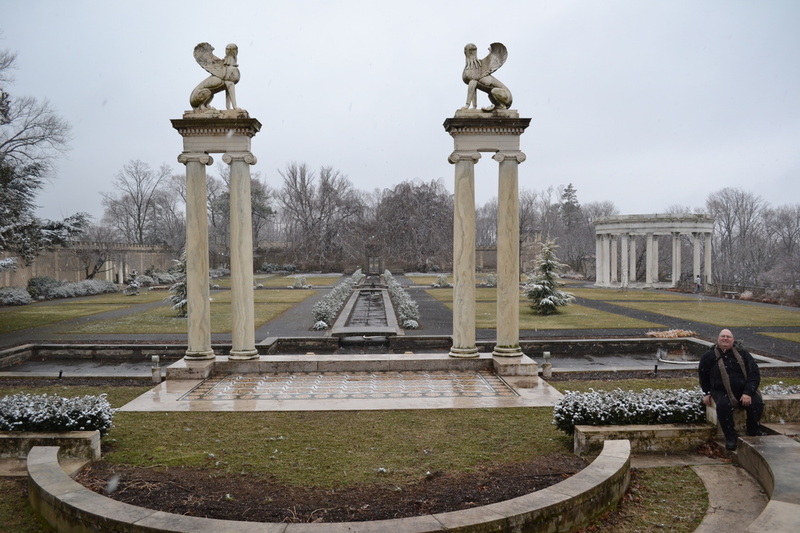 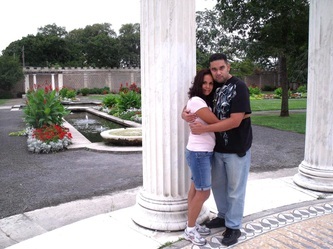 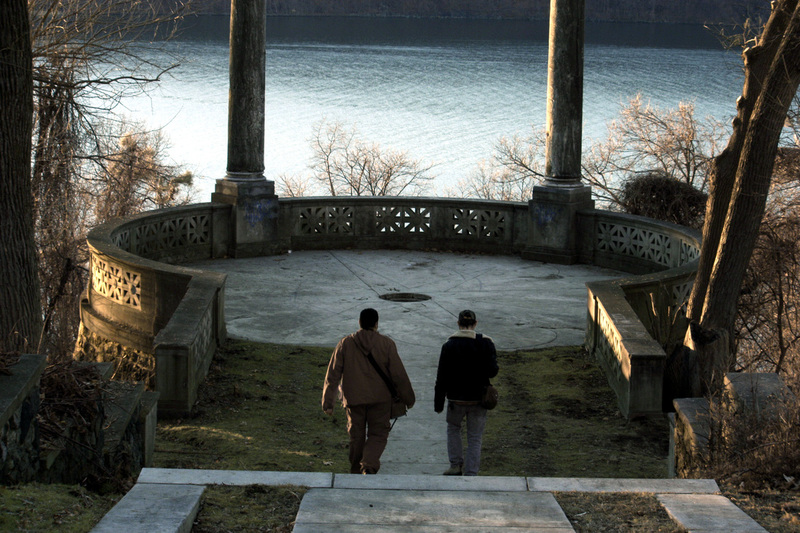 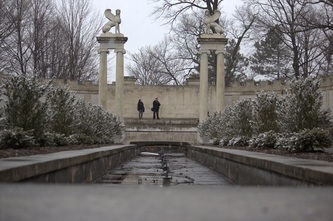 Our favorite park is Untermyer Park because it has such a fascinating past and it is filled with so much beauty. 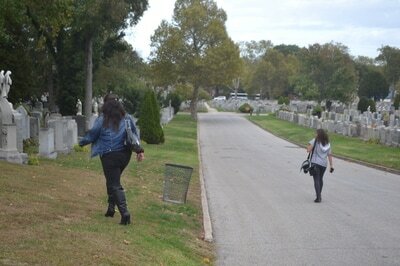 We like all cemeteries. The older the better. 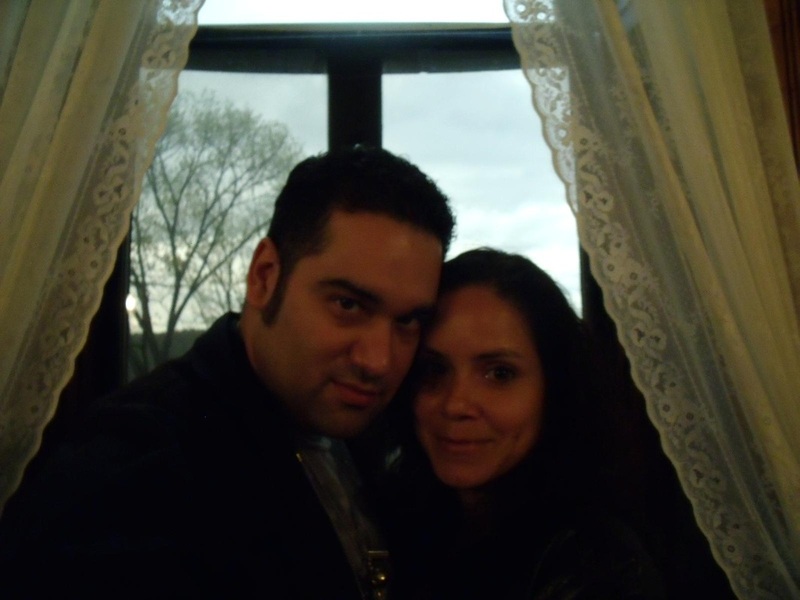 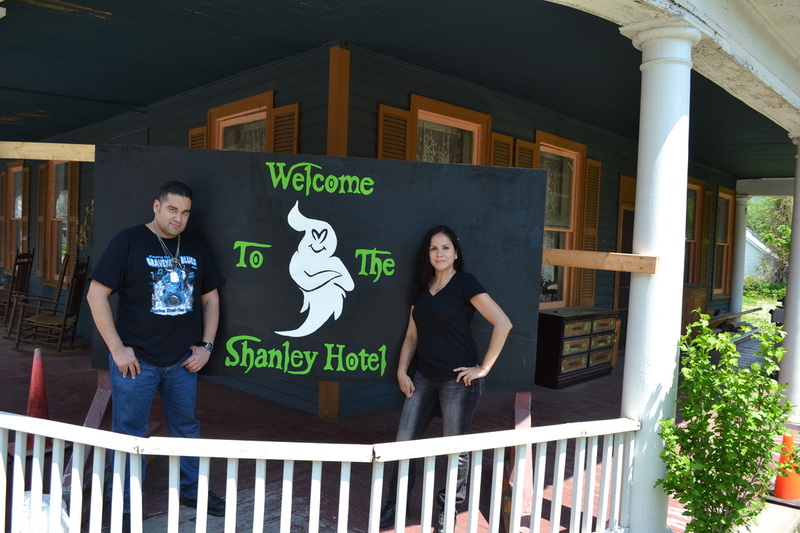 One hotel we seem to keep going back to is the Shanley Hotel in Napanoch, NY, mainly because we never leave there without some type of evidence. 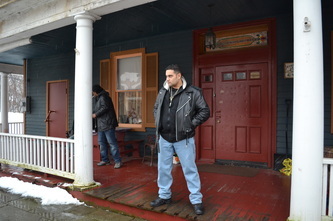 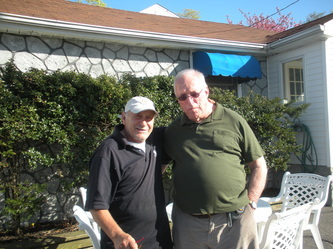 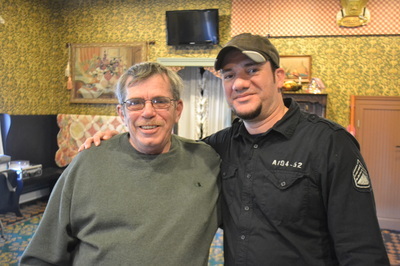 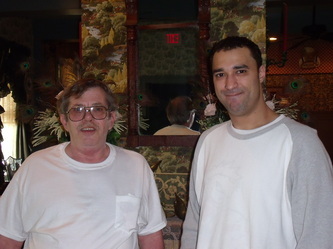 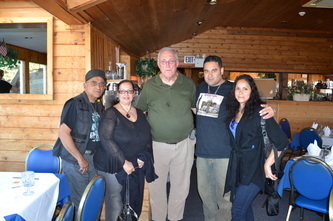 The owner, Sal, has also become like family, so it always seems like we are visiting our kind uncle. 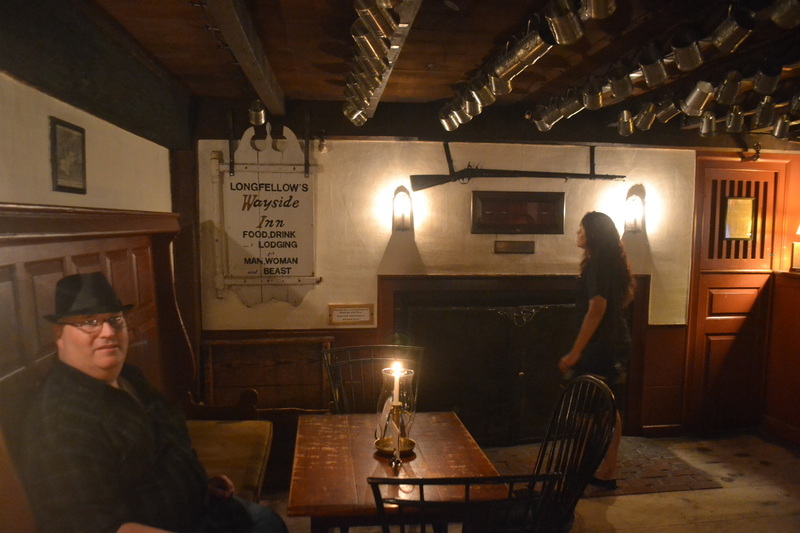 We've also investigated Longfellow's Wayside Inn in Massachusetts more than once and a couple of hotels in New Orleans and Gettysburg. We've even been to a few restaurants and bars that claim to be haunted. 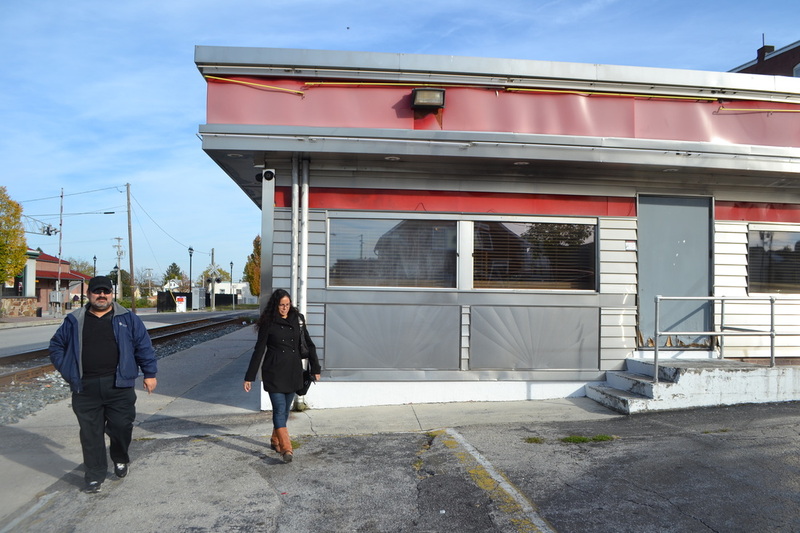 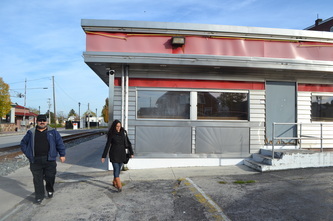 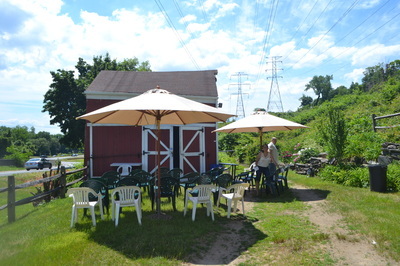 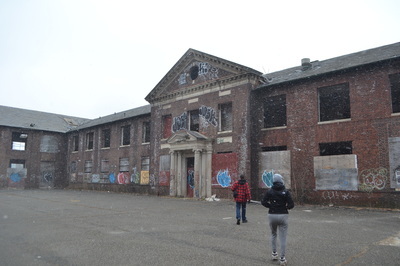 Only one was abandoned, but it was torn down in 2014. Some of our investigations are done at museums, which are open to the public making it hard to get a moment of peace long enough to do a proper EVP session. 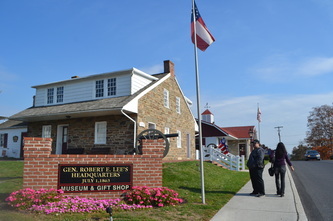 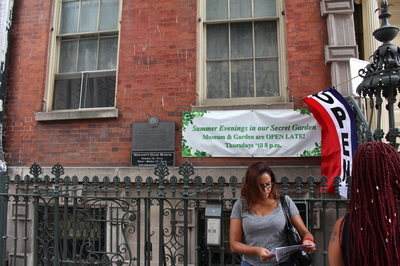 So far we've done investigations at several museums, regardless of the other visitors. 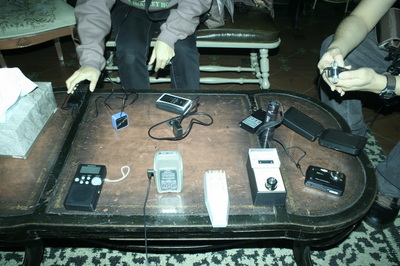 It hasn't been easy because there is usually too much interference. 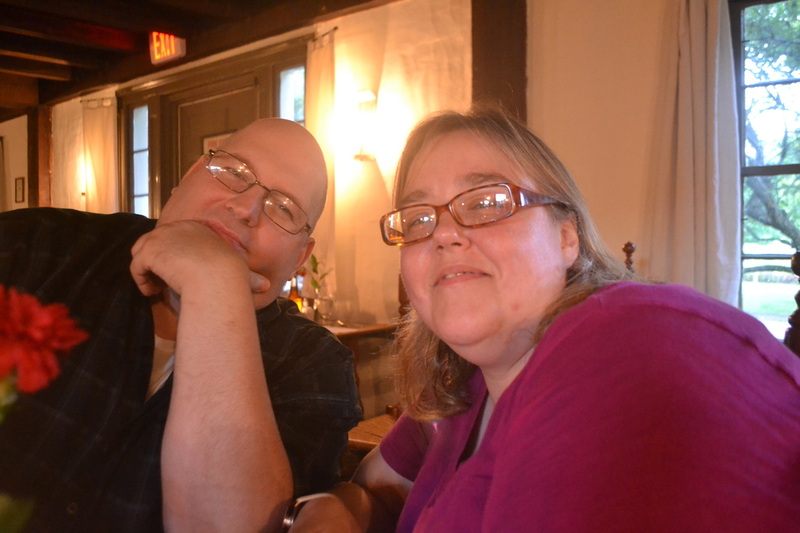 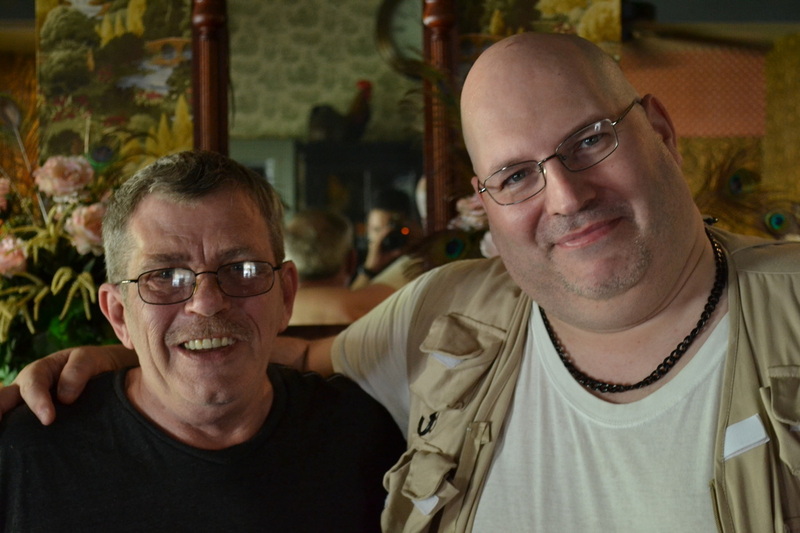 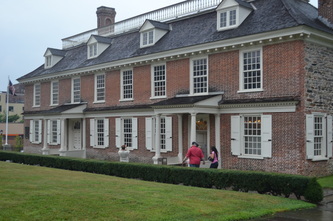 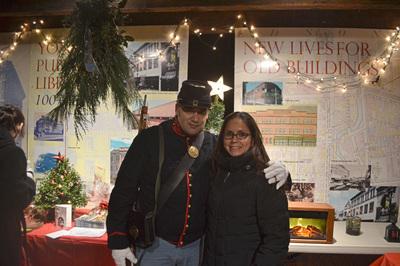 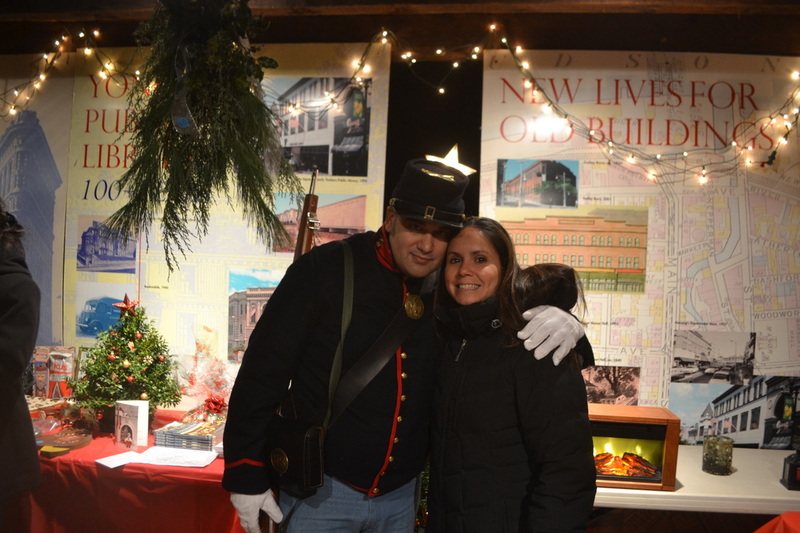 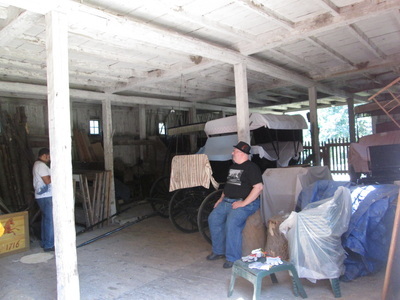 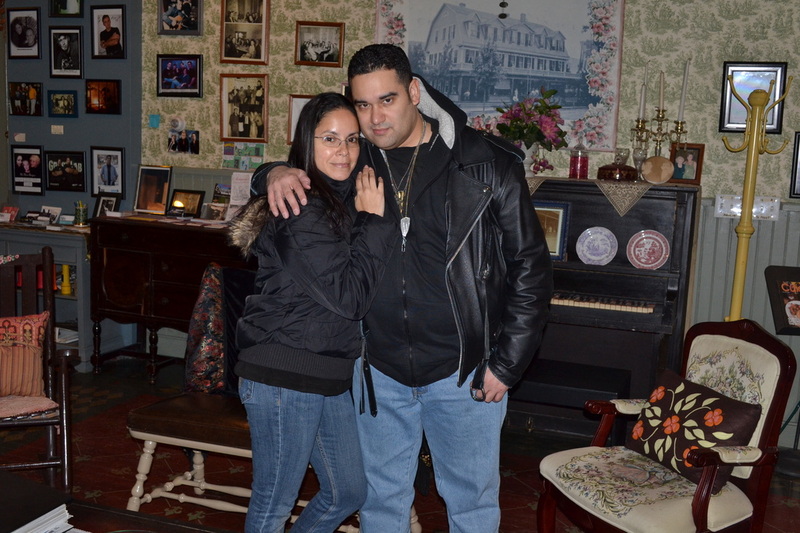 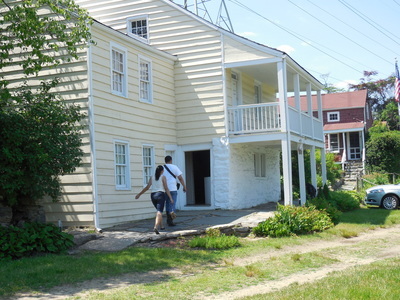 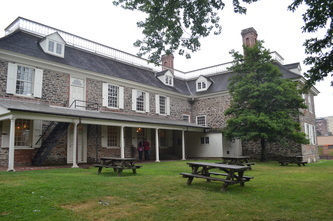 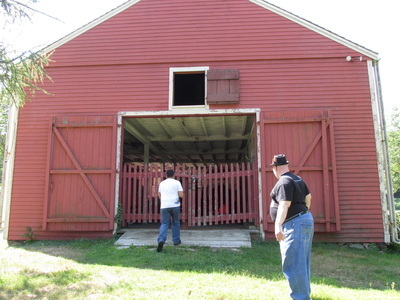 Still, we got lucky being virtually alone at Philipse Manor Hall and at the Sherwood House Museum, both in Yonkers. 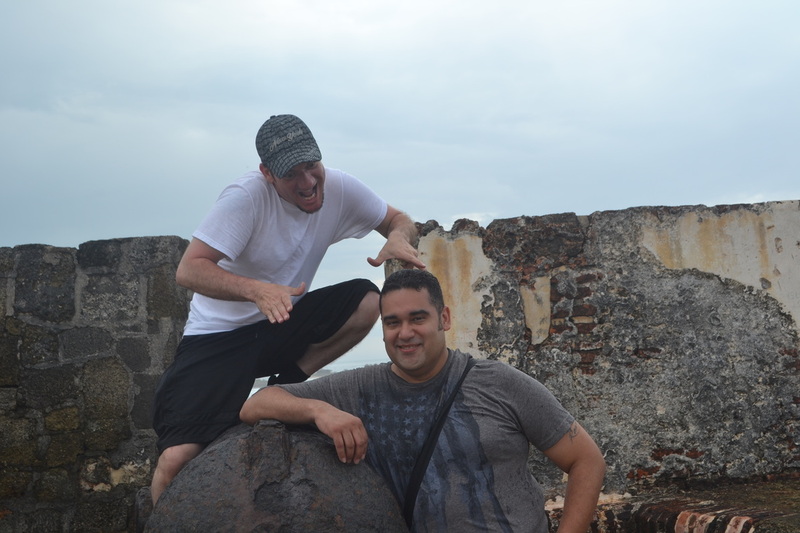 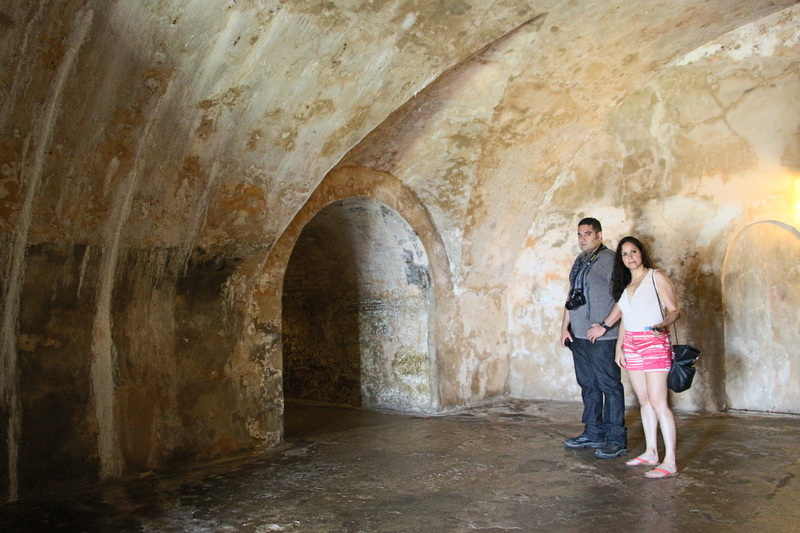 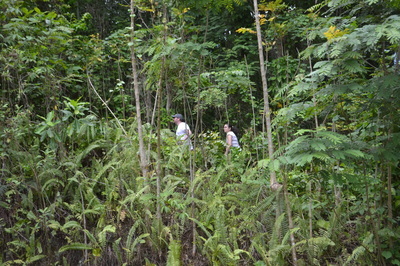 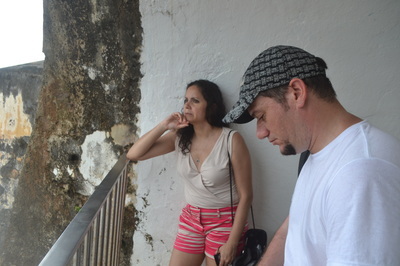 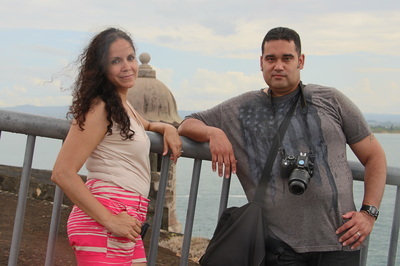 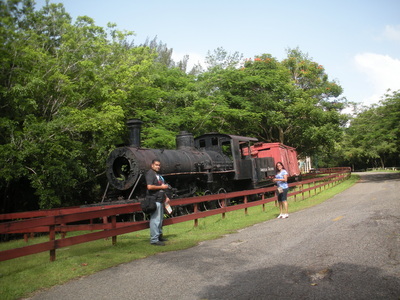 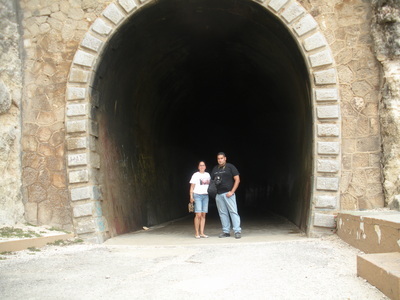 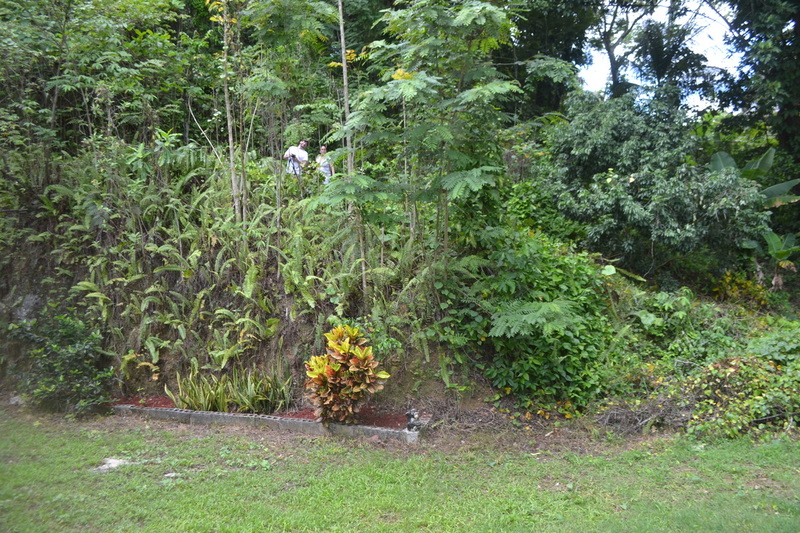 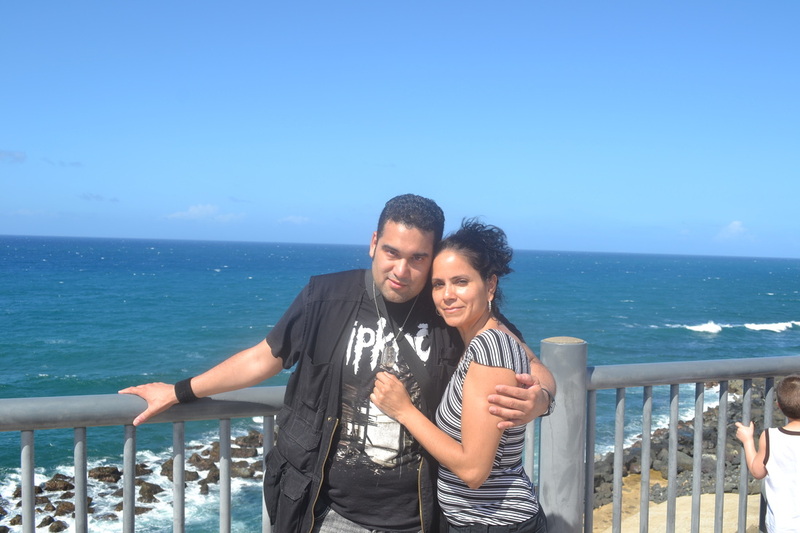 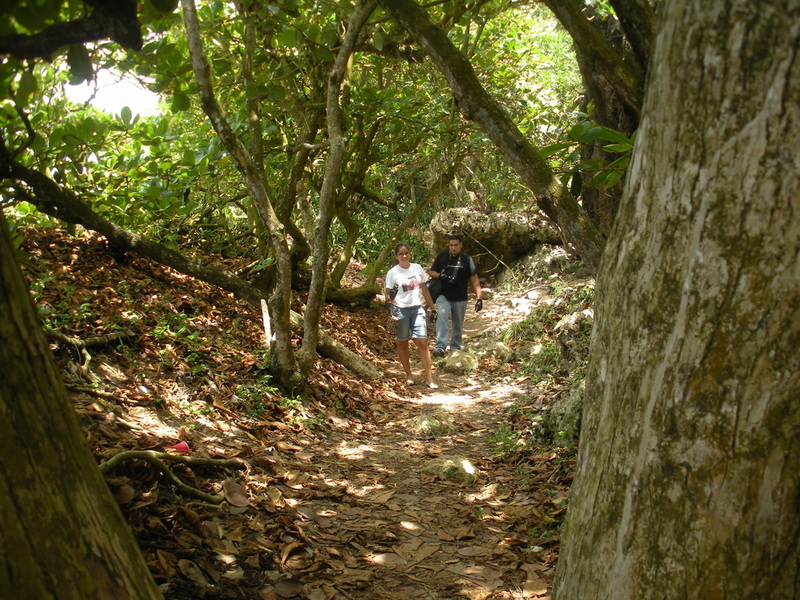 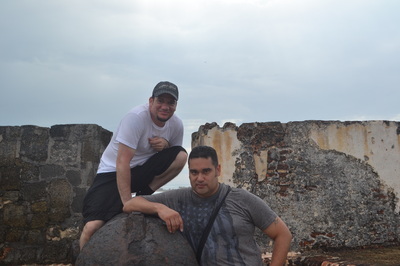 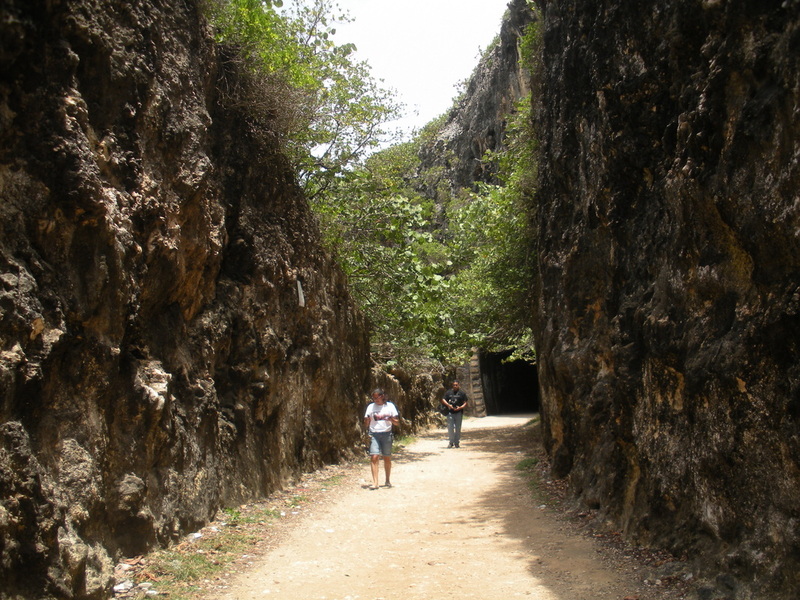 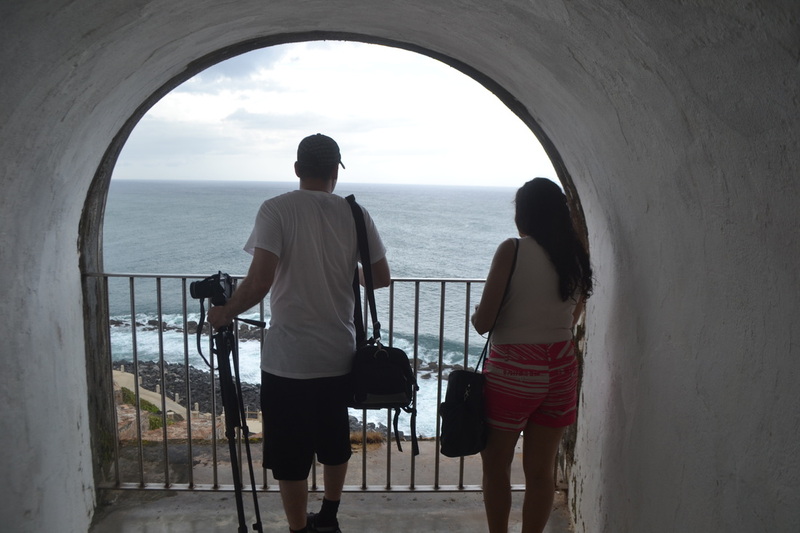 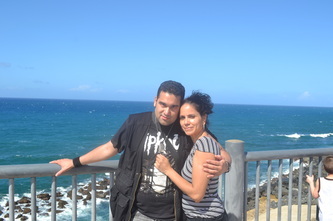 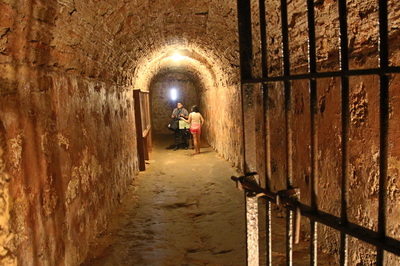 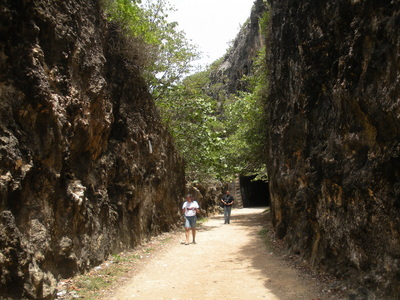 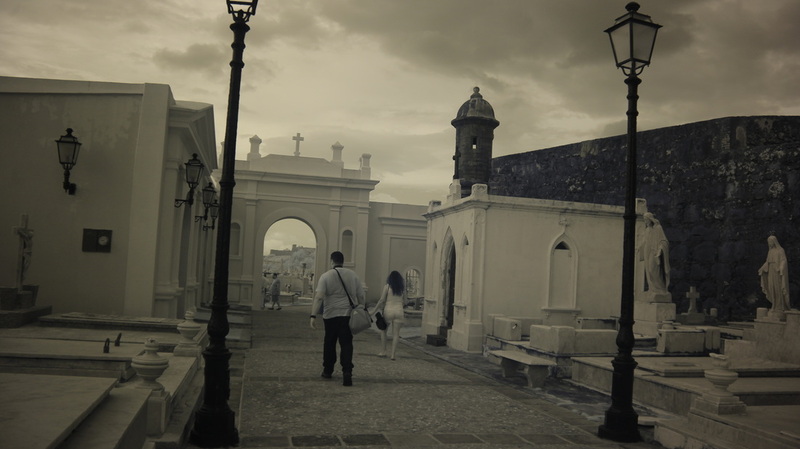 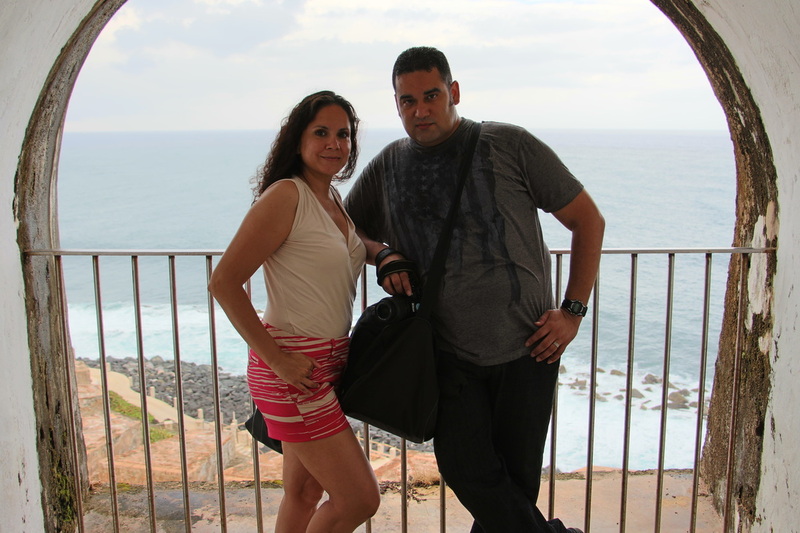 We've also been to a few National Landmarks that are said to be haunted, such as the old Spanish forts in Puerto Rico. 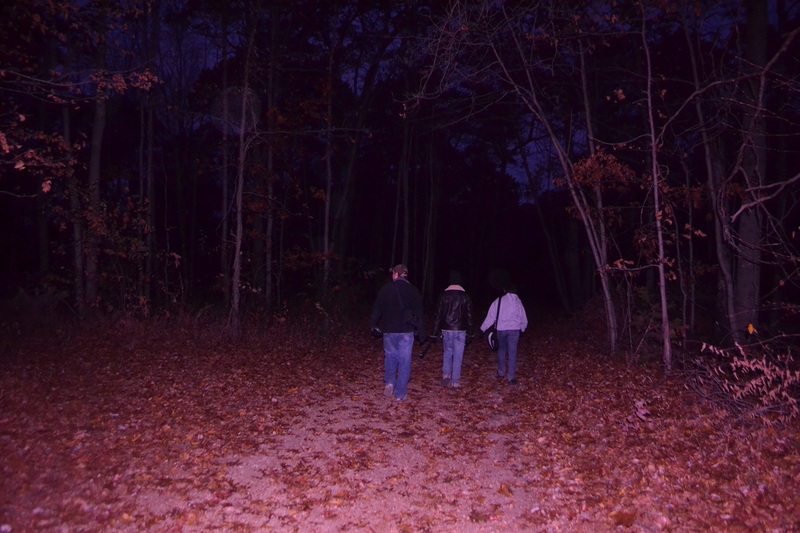 There are several roads, streets, and highways that are rumored to be haunted. 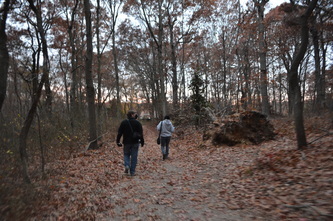 Two that essentially run parallel to each other are Sweet Hollow Road and Mt. Misery Road on Long Island, which are pictured below. Many stories and urban legends about these roads have spread throughout the years. 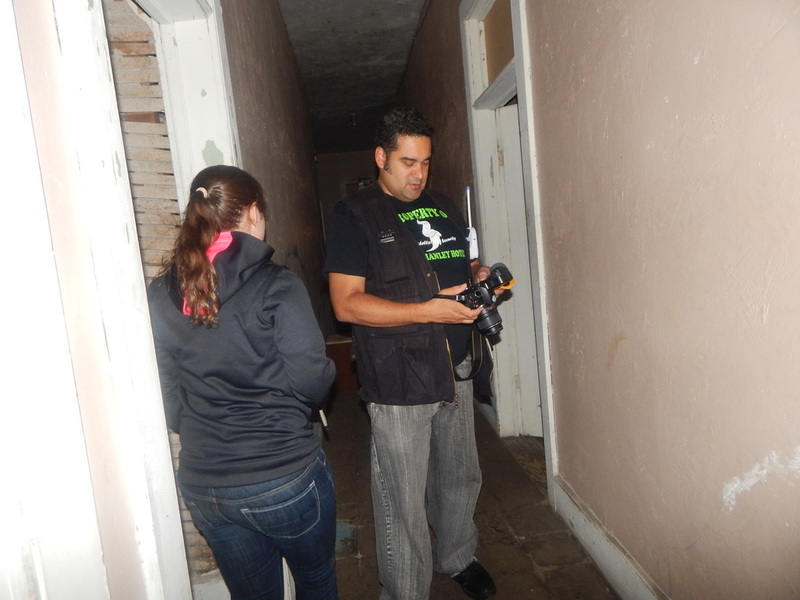 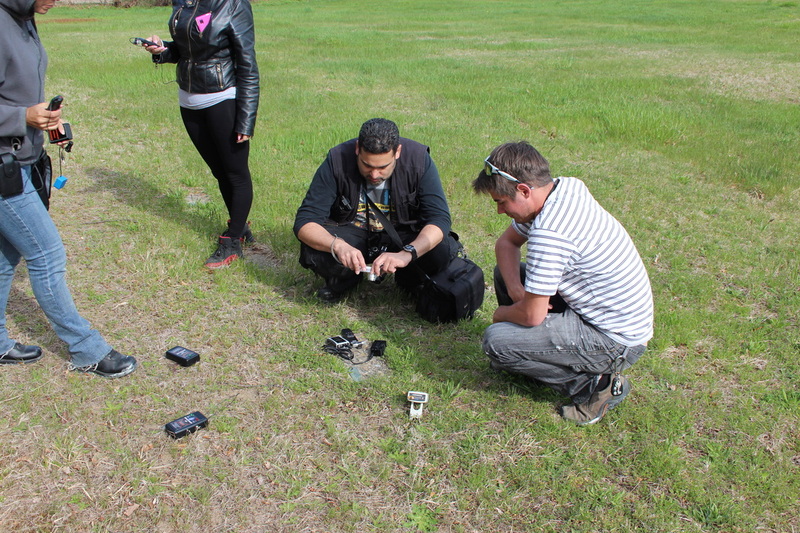 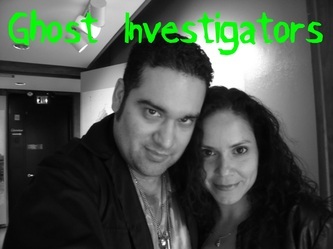 Here we are trying to find proof of anything paranormal with little luck. 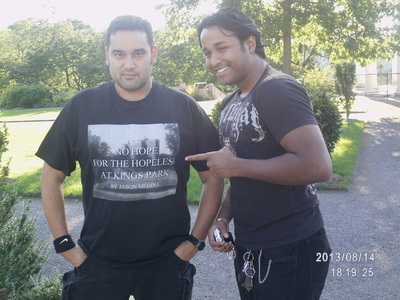 We won't give up hope, though. 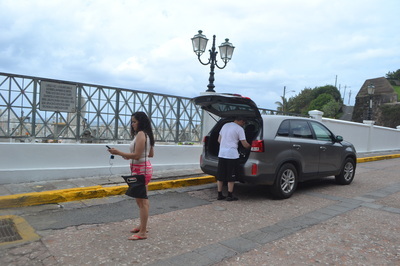 Other roads we've checked out were Buckingham Road, Lee Avenue, Buckout Road, an old railroad tunnel in Puerto Rico, and the entire French Quarter in New Orleans just to name a few. 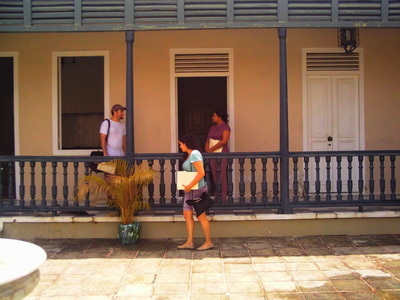 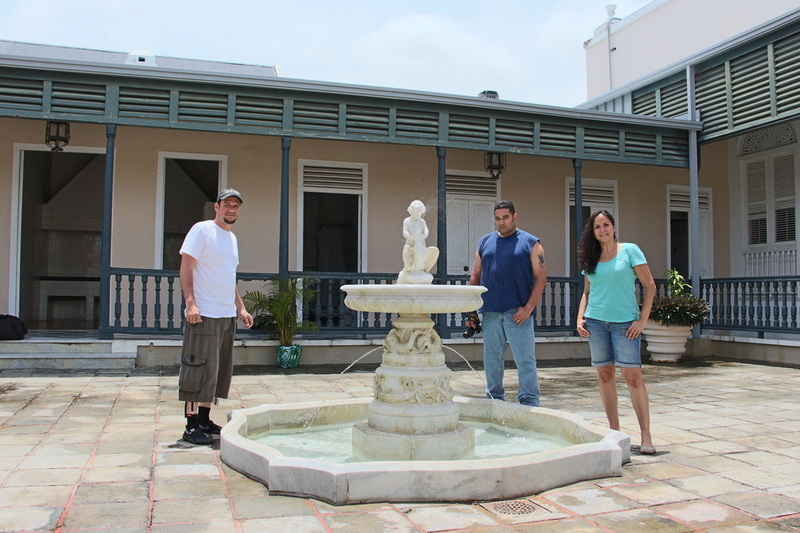 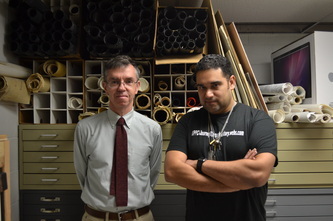 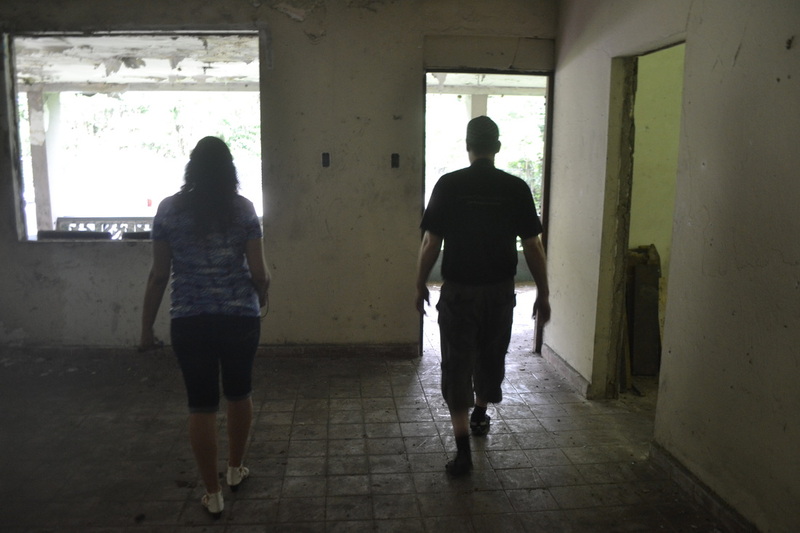 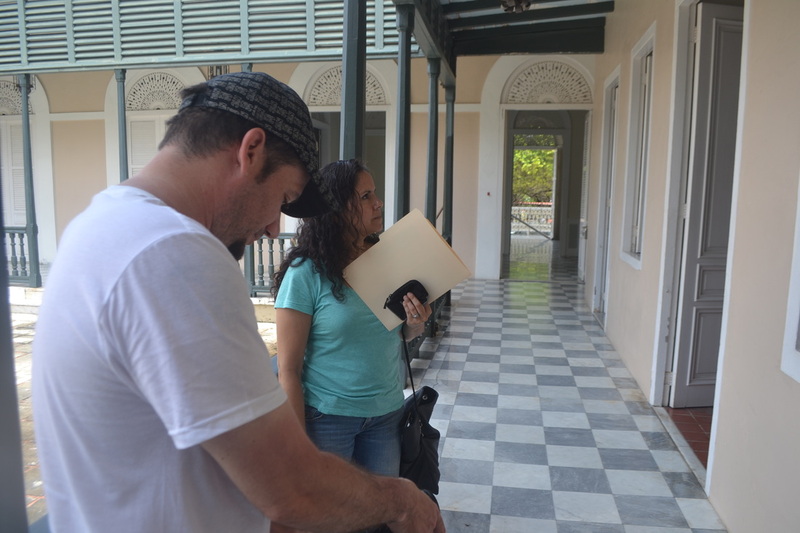 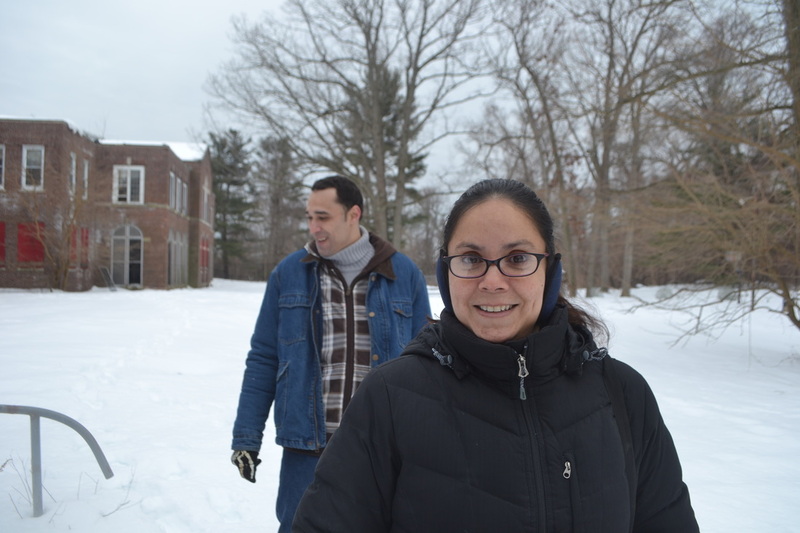 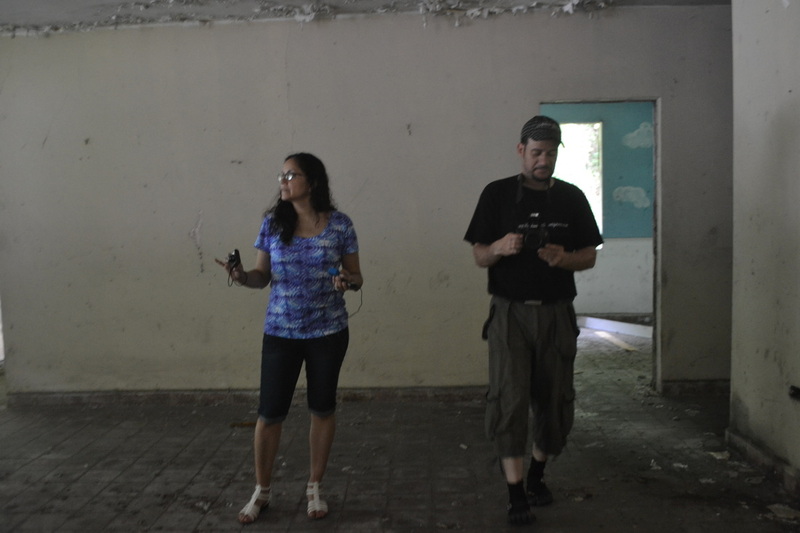 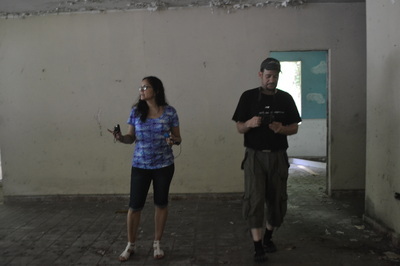 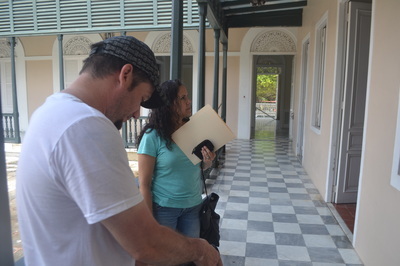 Here we are investigating other locations that are abandoned, such as a plant research lab in Yonkers and an abandoned house in Puerto Rico. 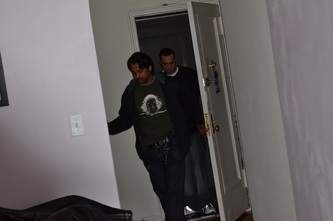 Occasional we have the privilege of doing an investigation at a residence. Unfortunately, It doesn't happen as often as we would like. 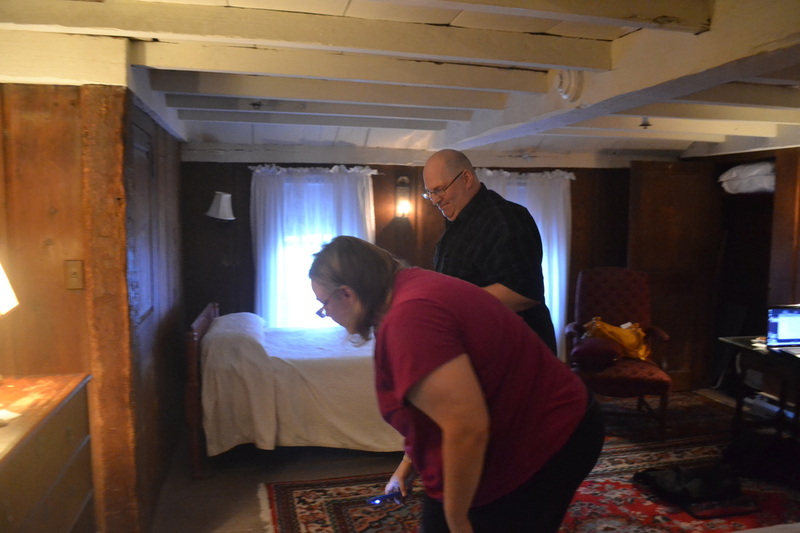 We mostly investigate our own residences! So, come on, folks... if your house is haunted, then invite us over. We'd greatly appreciate the opportunity to not have to sneak around where we don't belong. 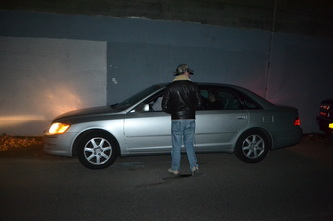 It's nice to have permission once in a while. 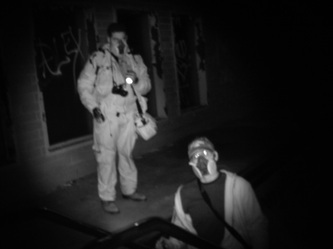 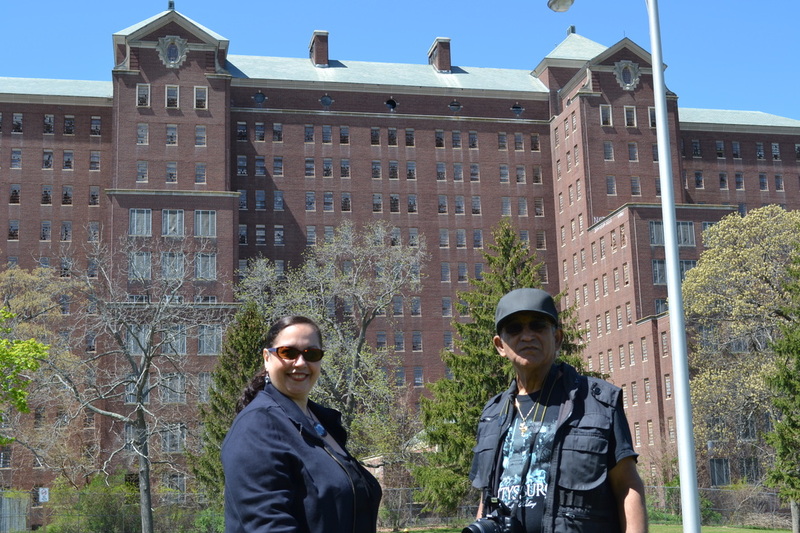 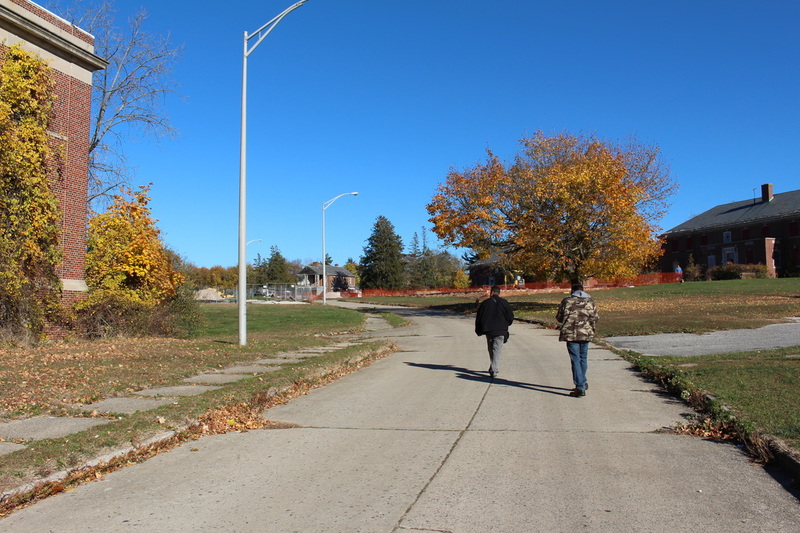 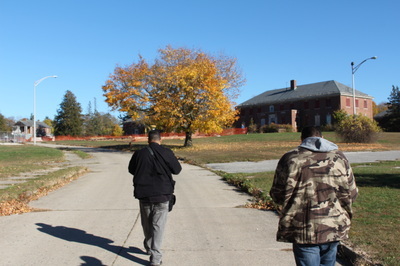 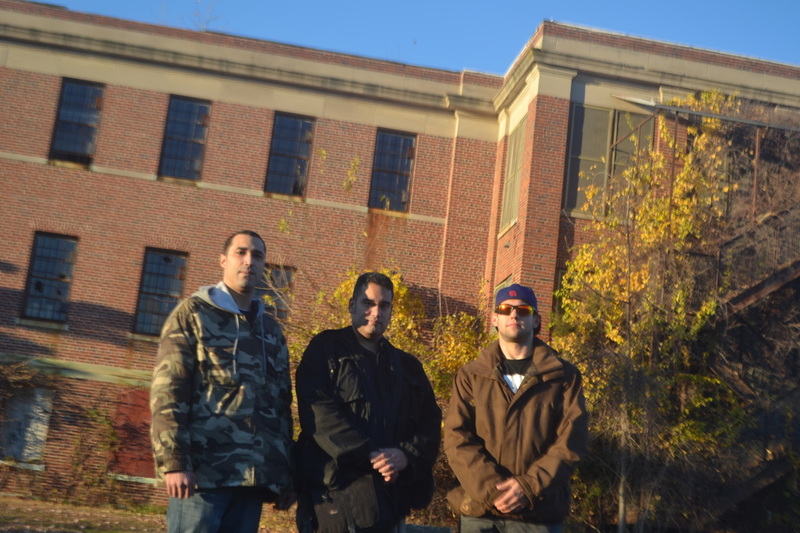 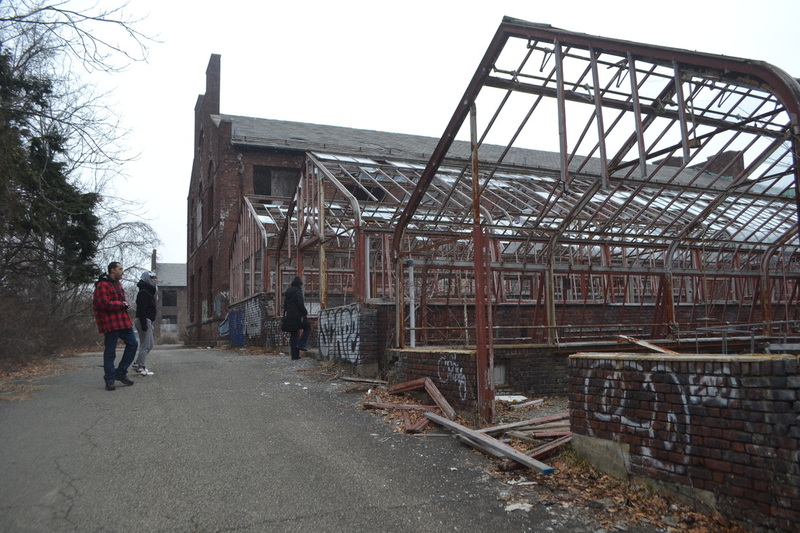 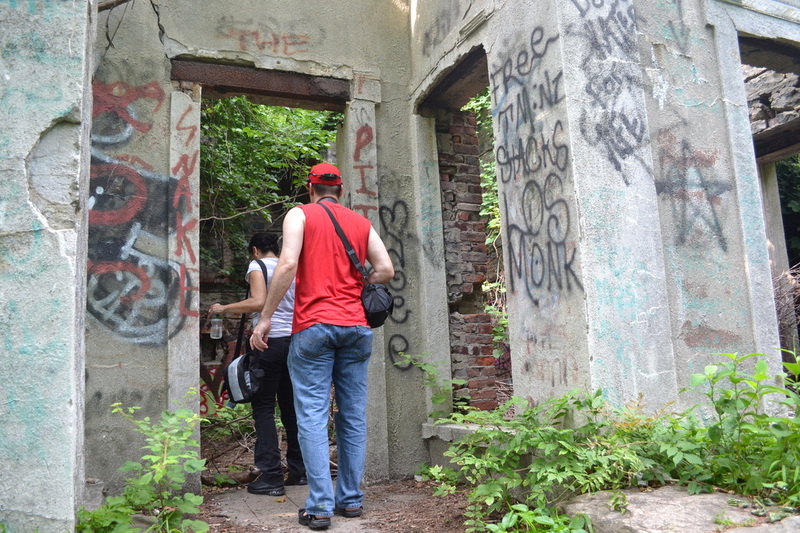 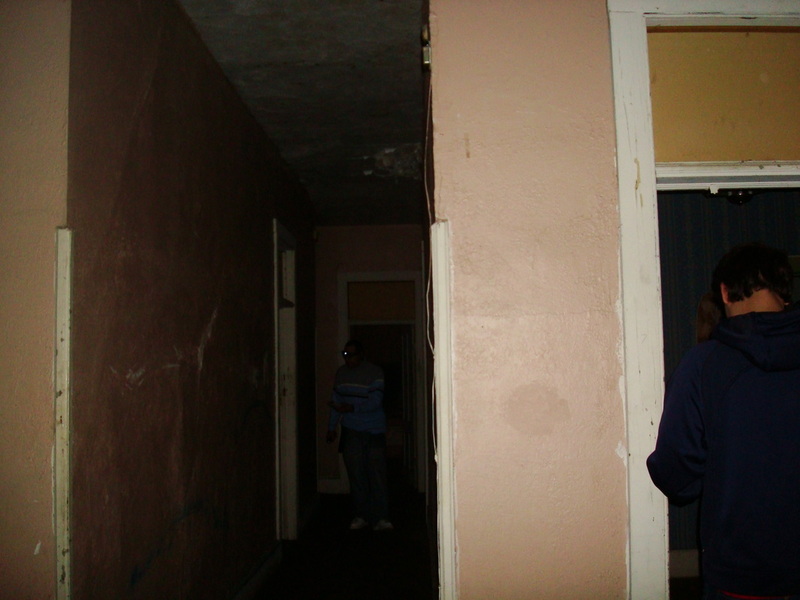 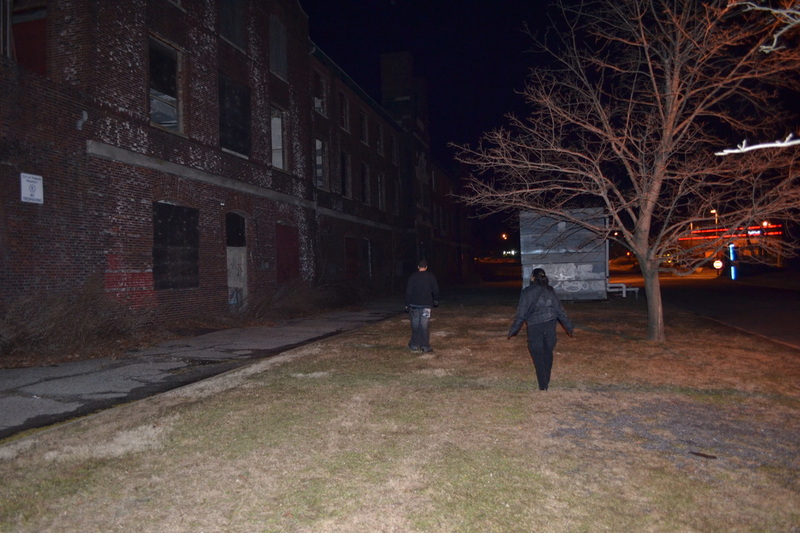 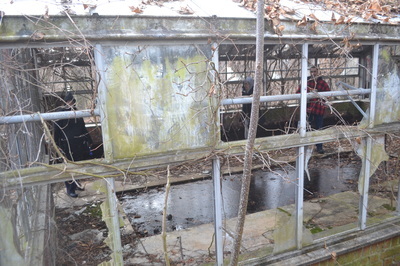 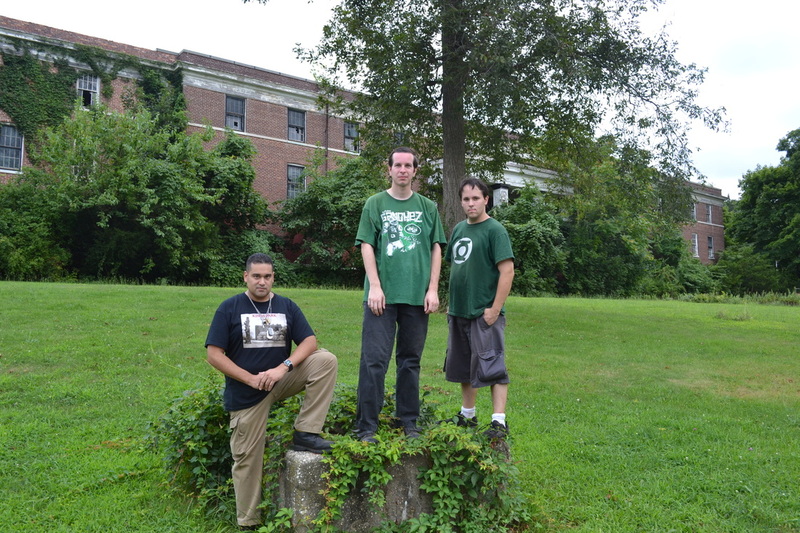 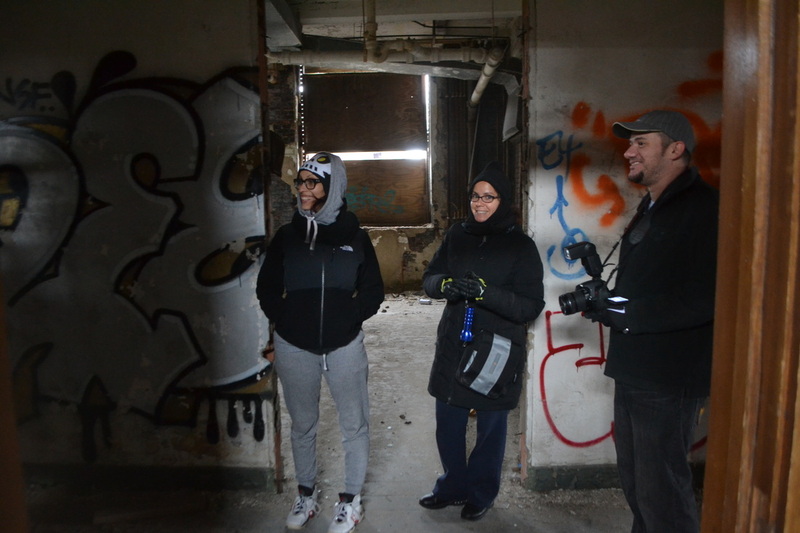 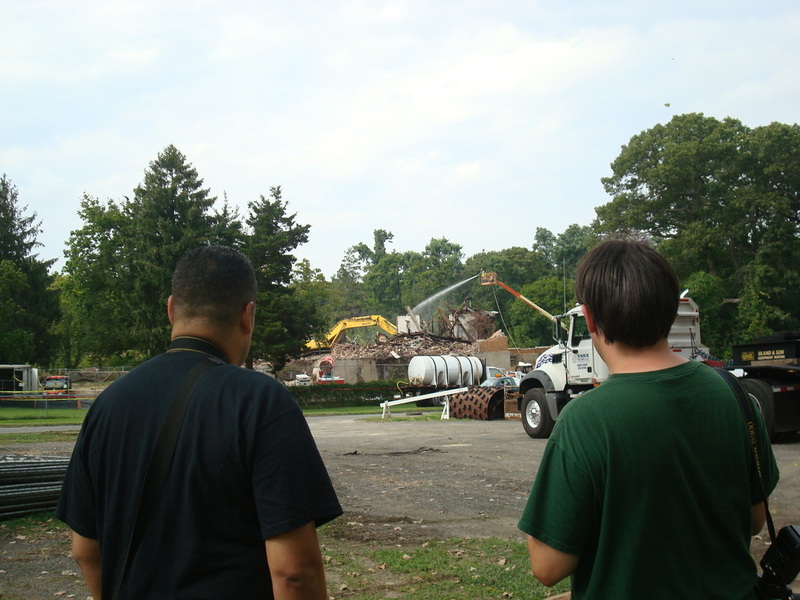 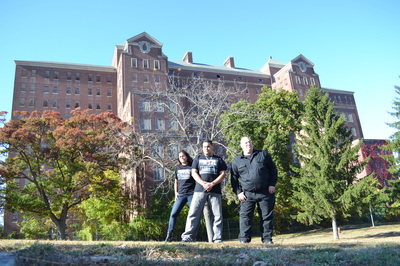 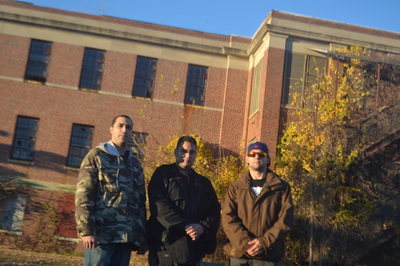 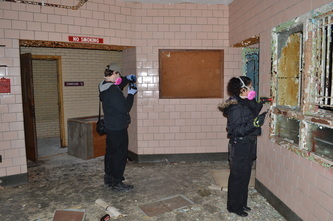 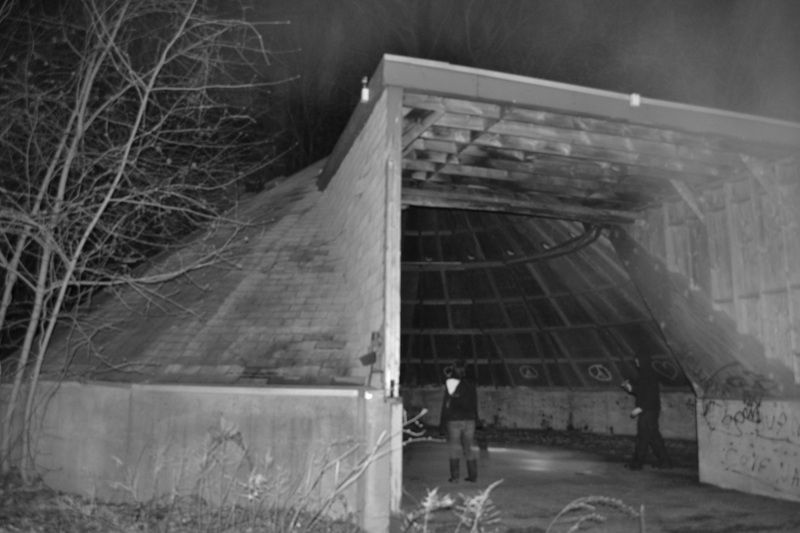 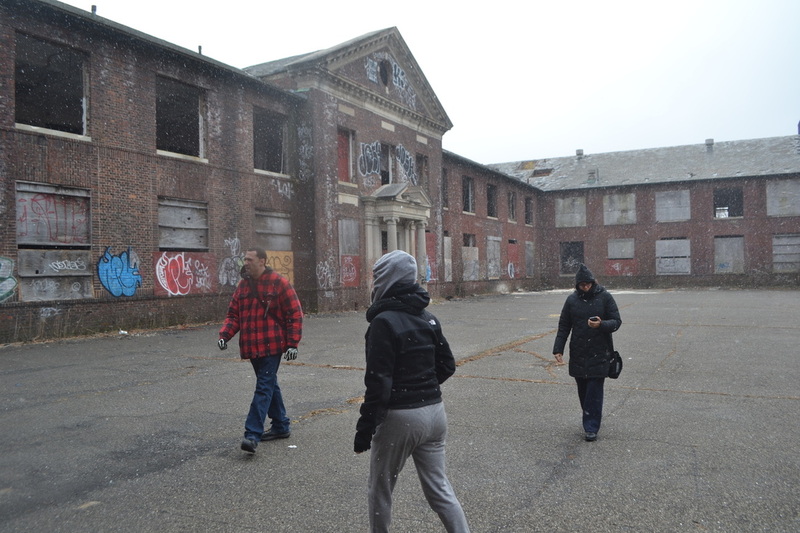 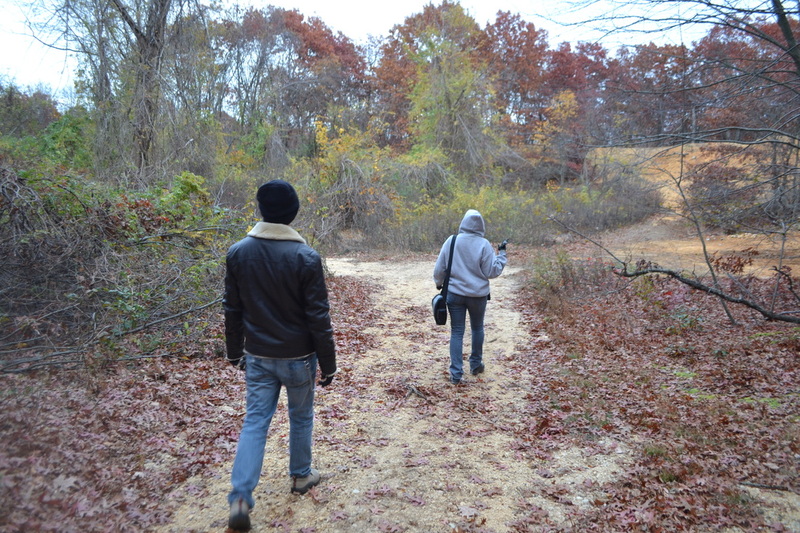 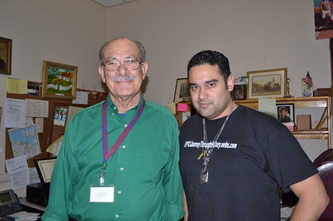 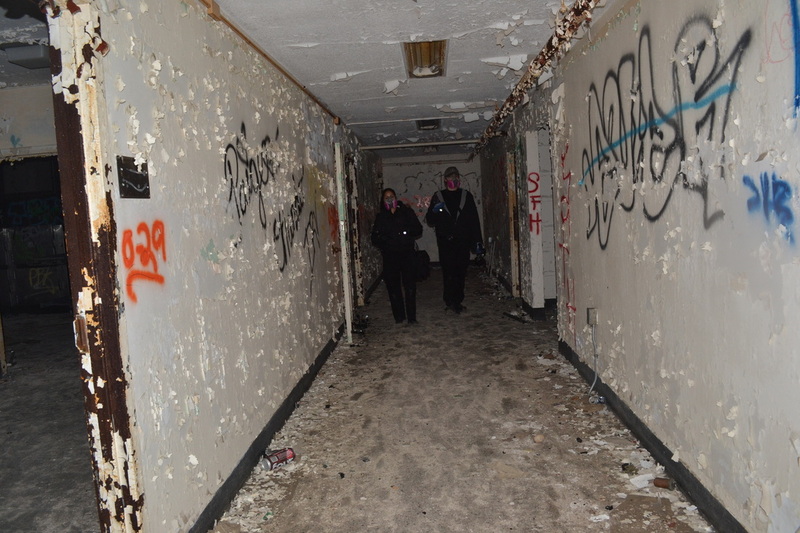 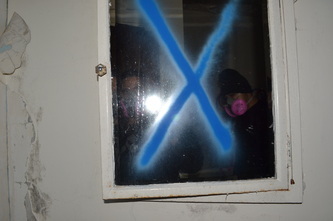 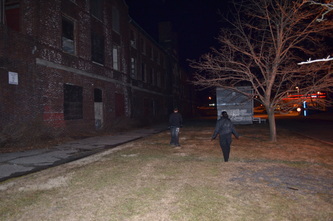 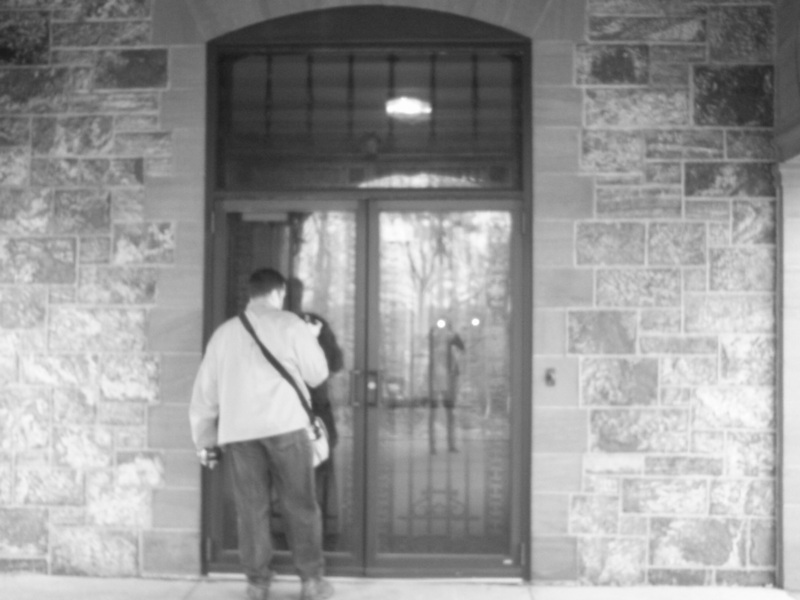 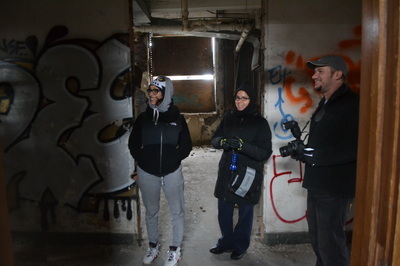 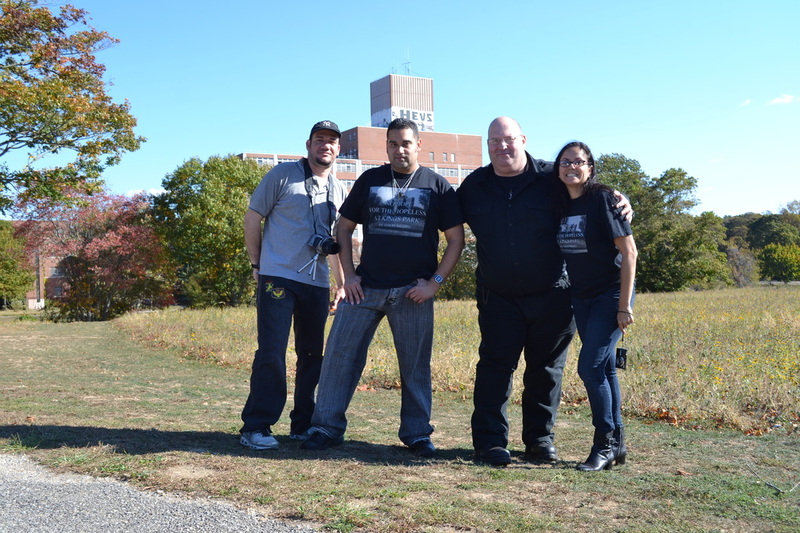 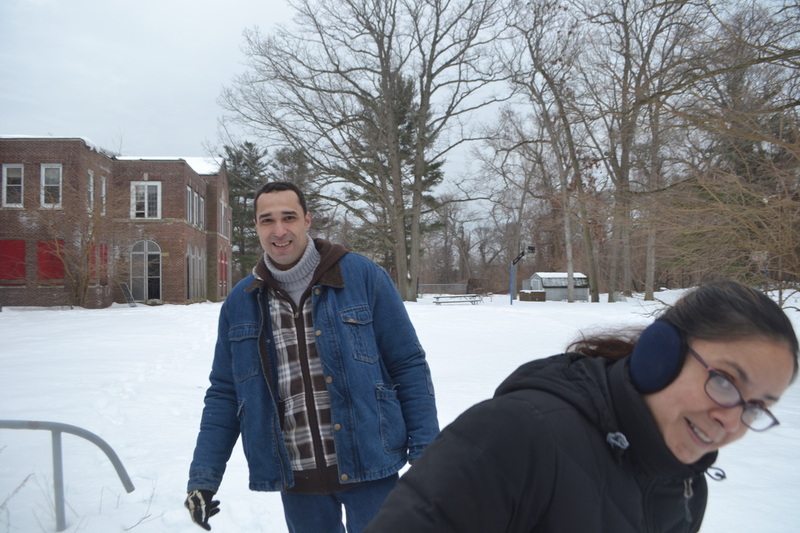 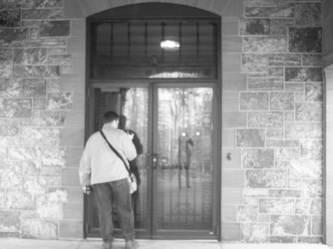 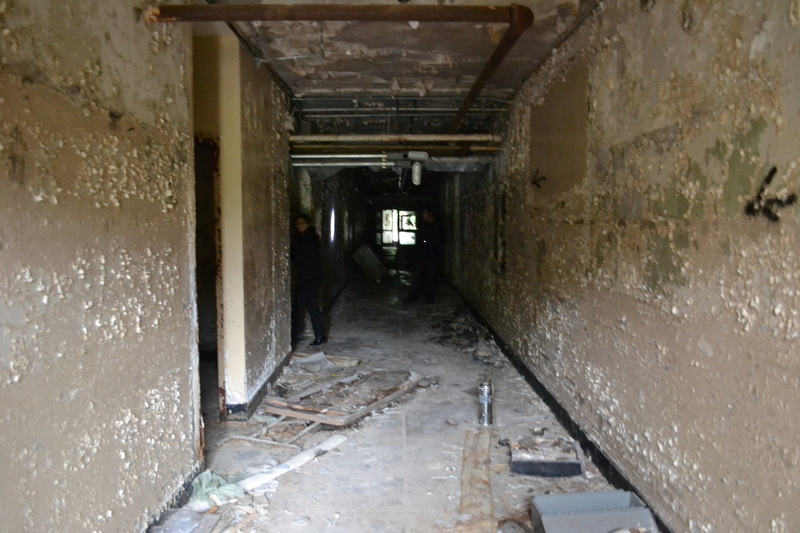 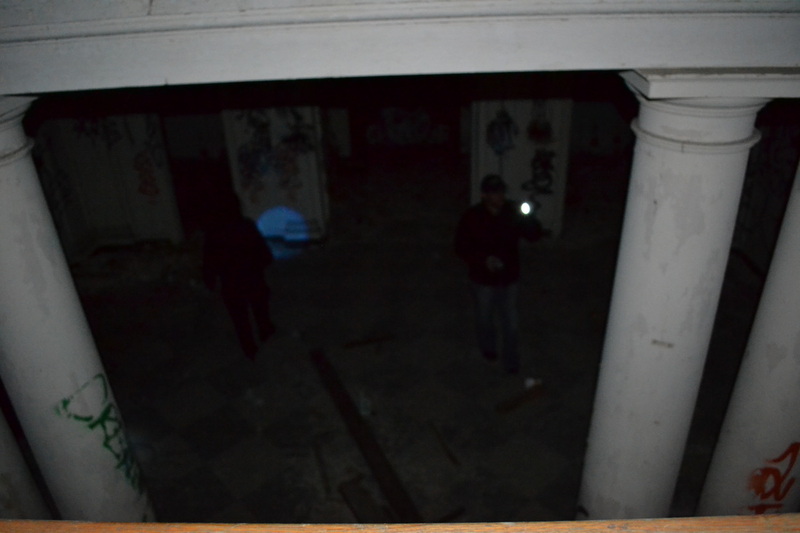 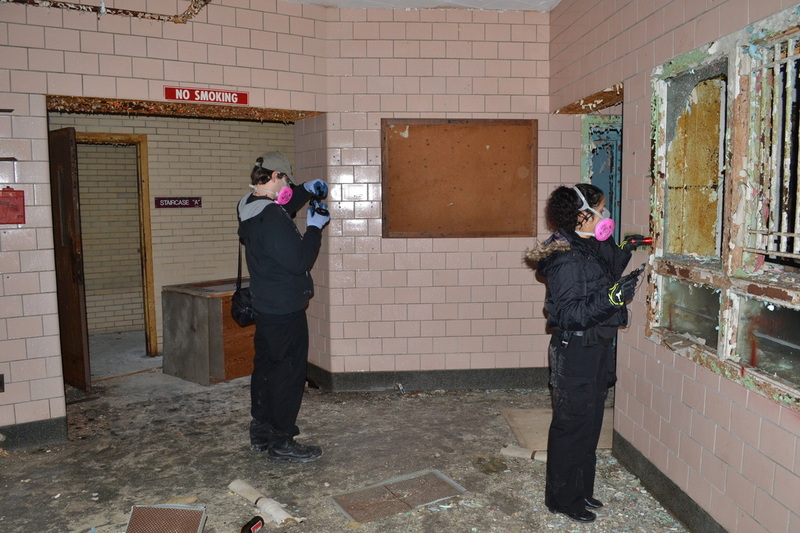 Below are photos from when we were doing research on the Kings Park Psychiatric Center or any other location. Although, the research was mainly for an upcoming book on the center it was also essential for our understanding of the location's history. 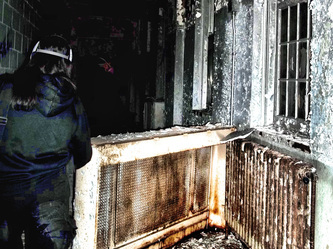 It allowed us to determine what locations could possibly be haunted based on what each building was used for during the time the hospital was in operation. 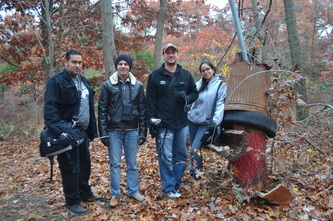 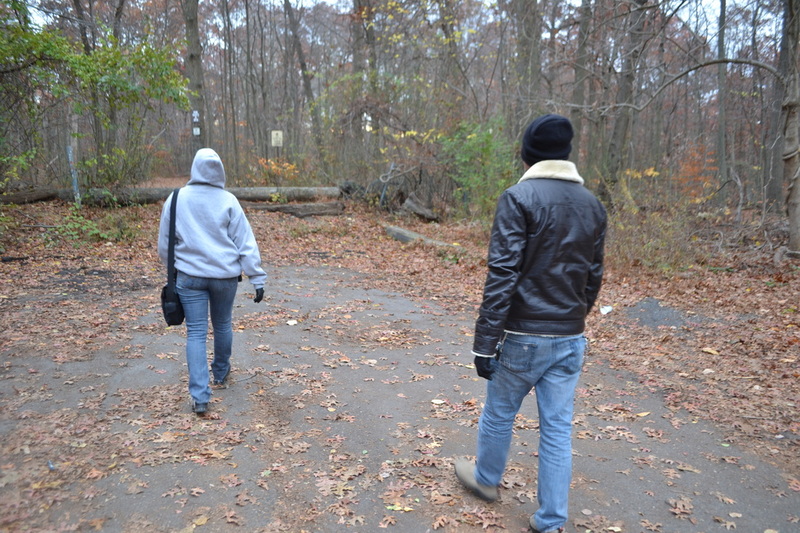 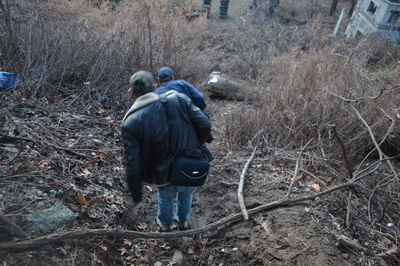 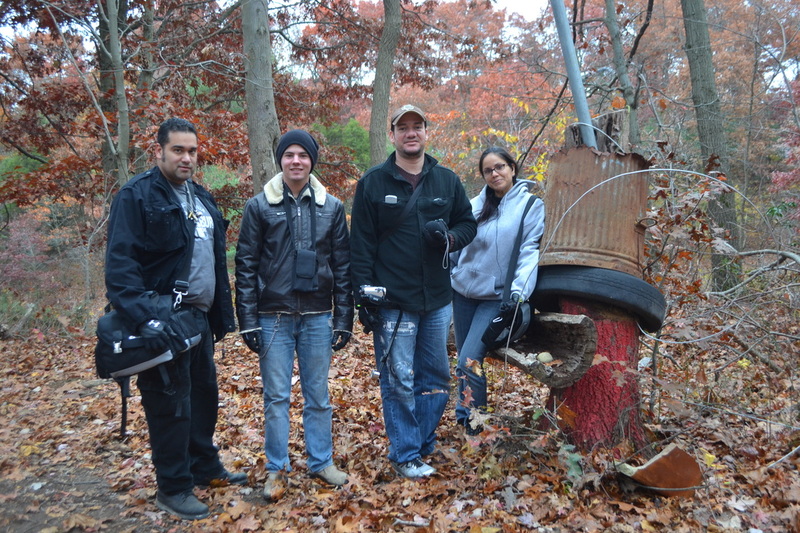 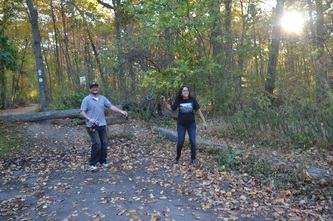 After that are photos of the demolitions, followed by a night on Sweet Hollow Road with the Suffolk County Police. 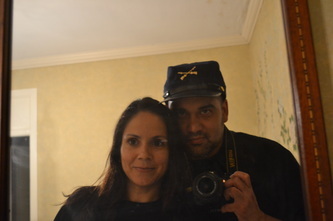 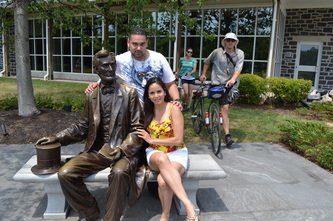 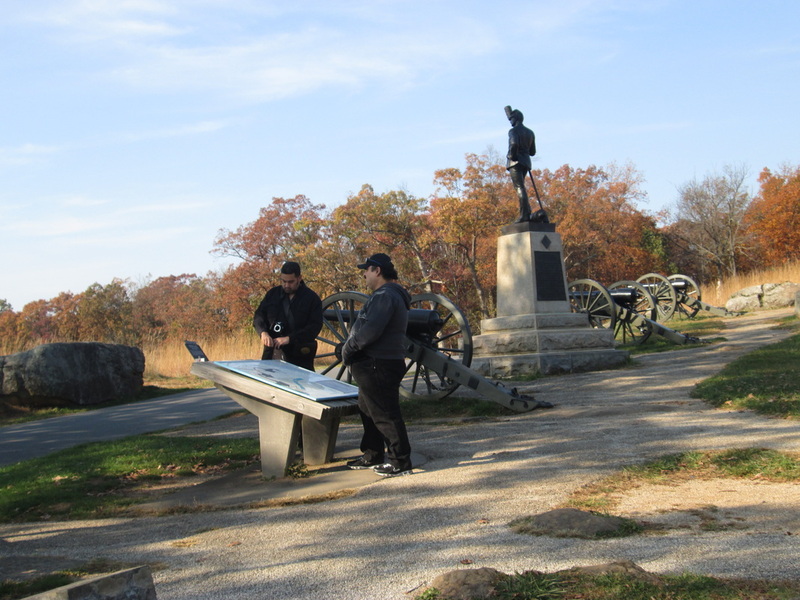 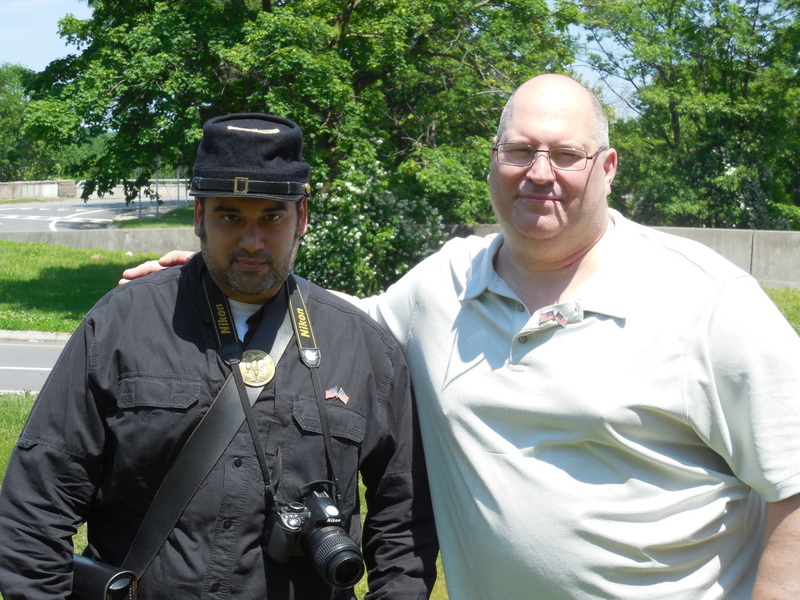 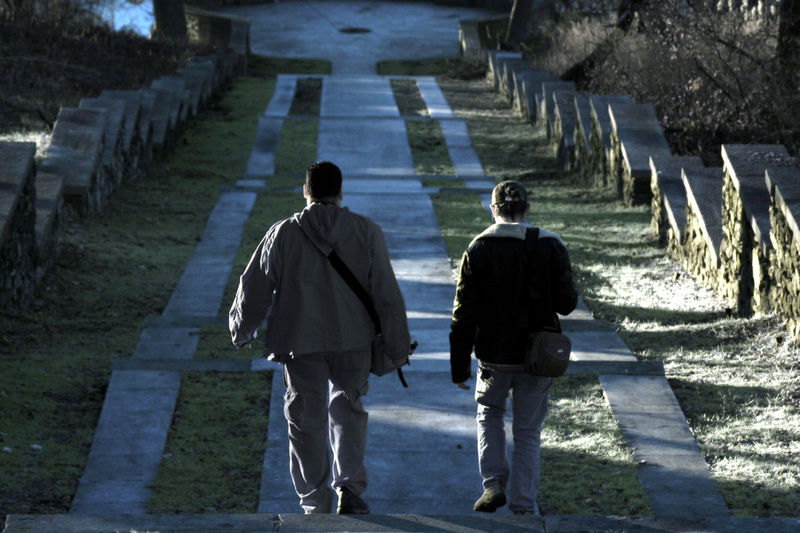 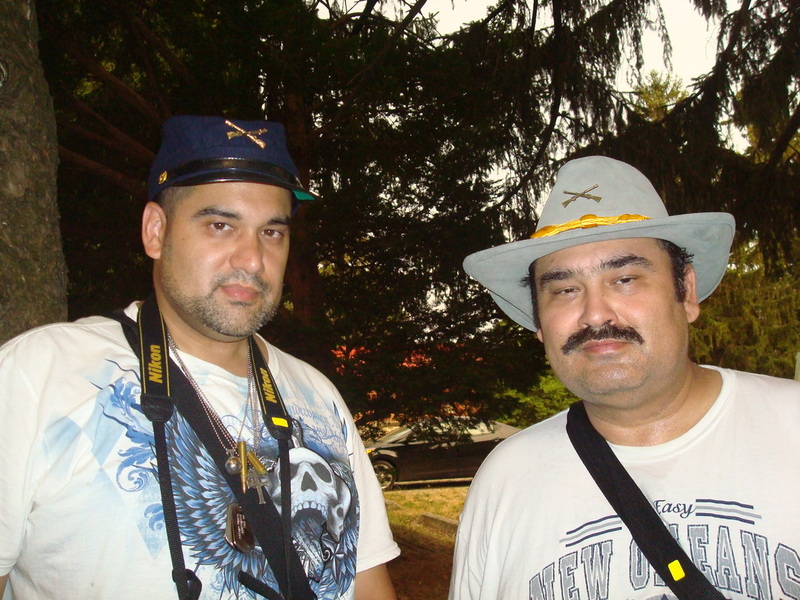 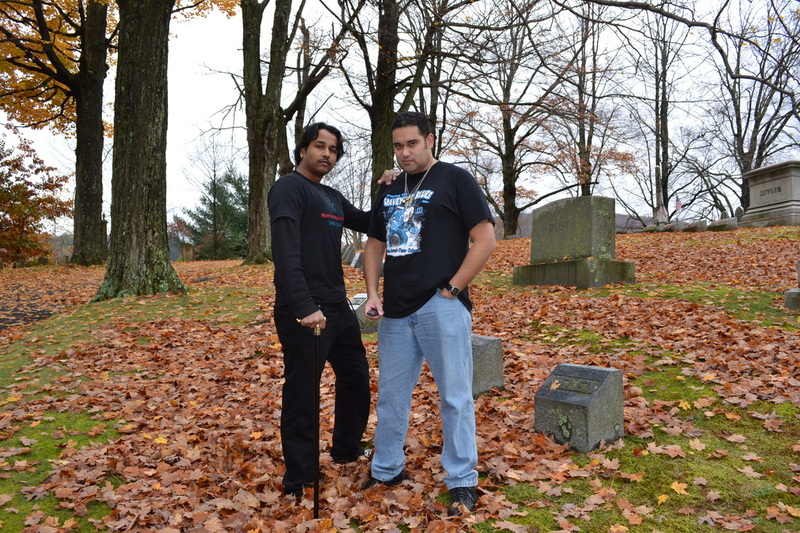 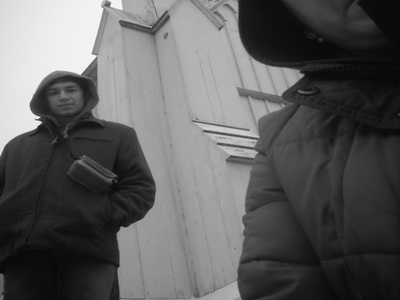 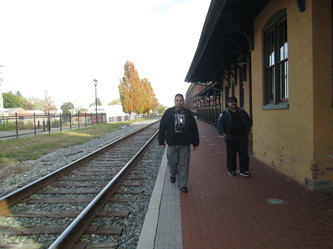 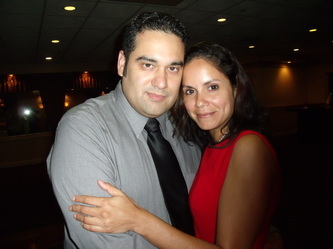 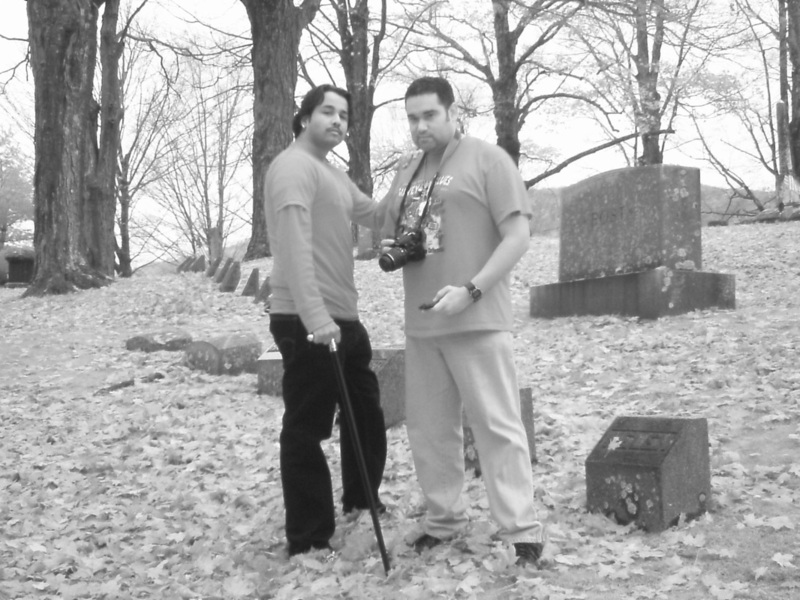 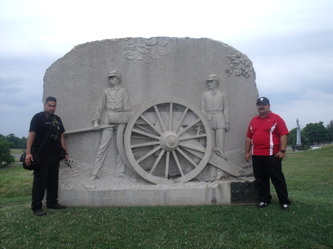 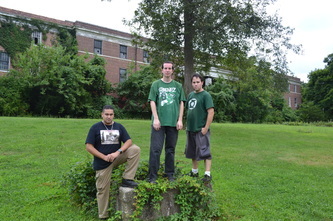 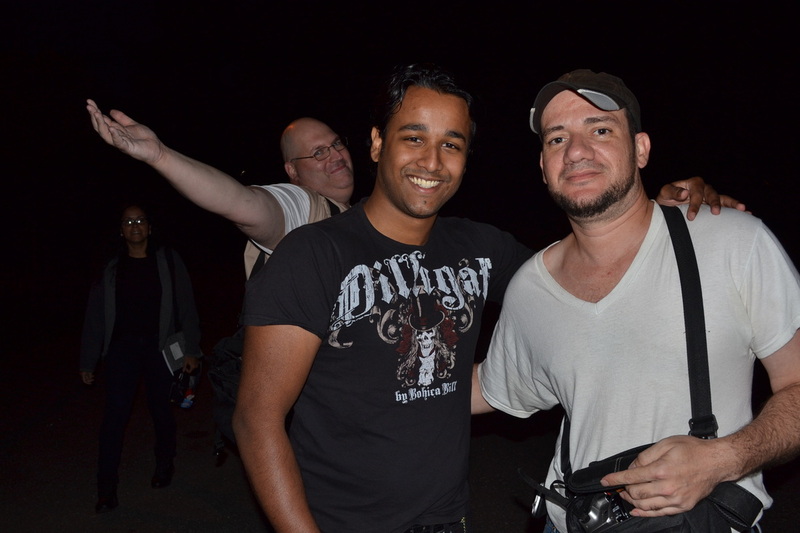 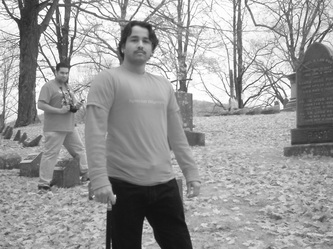 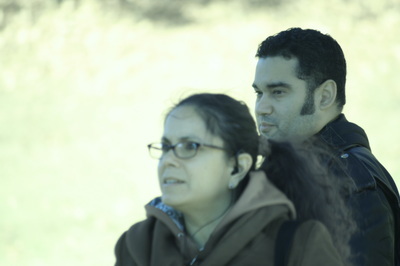 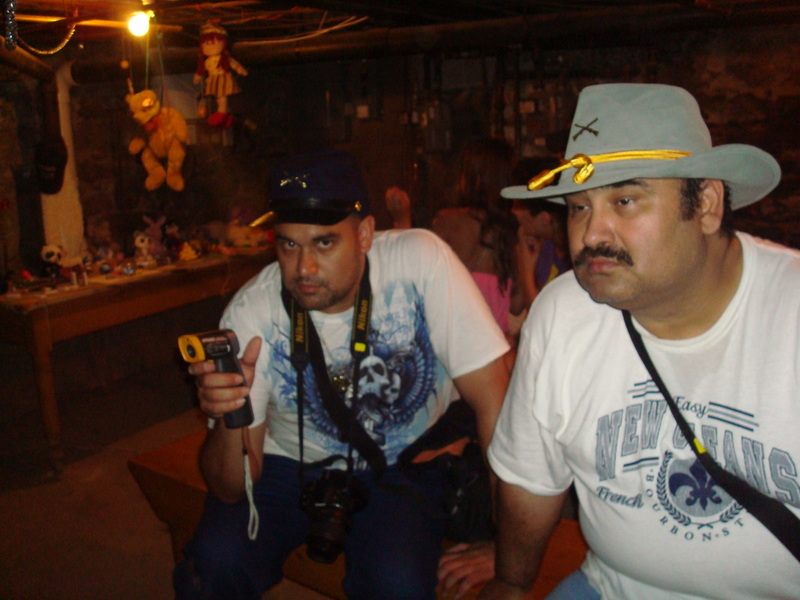 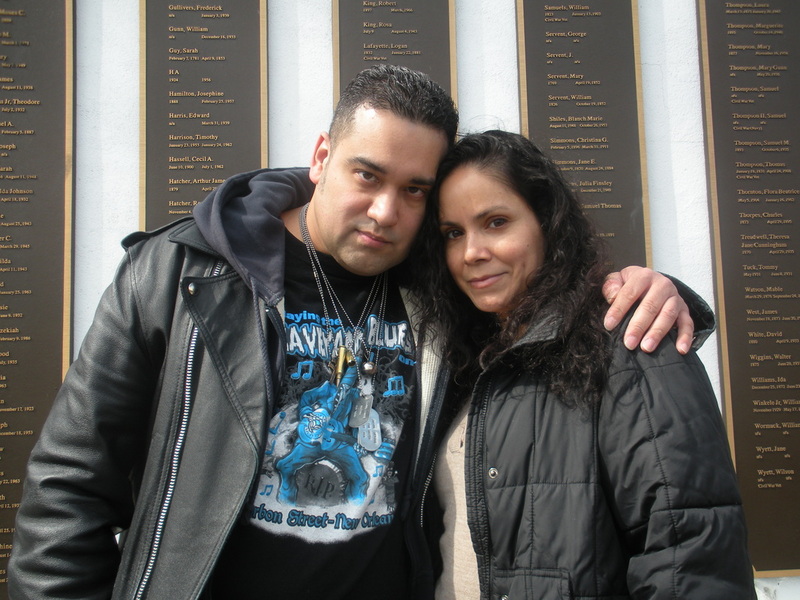 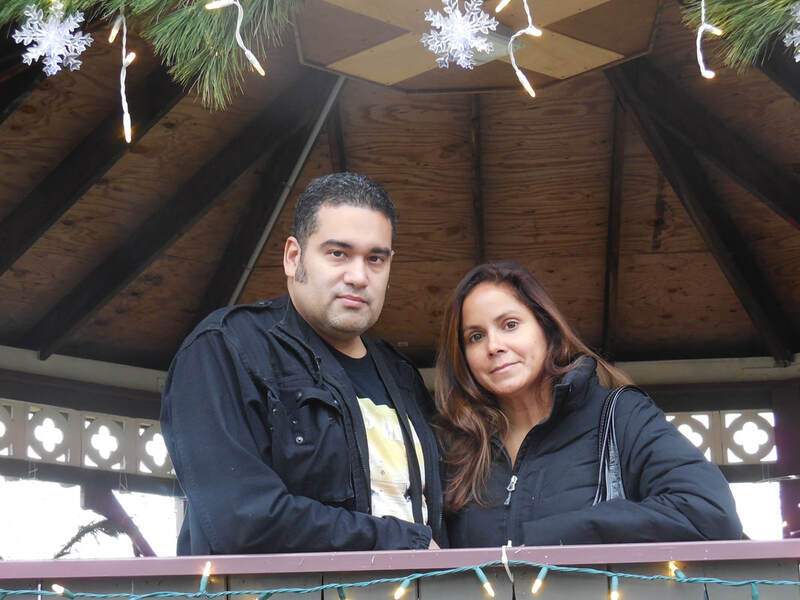 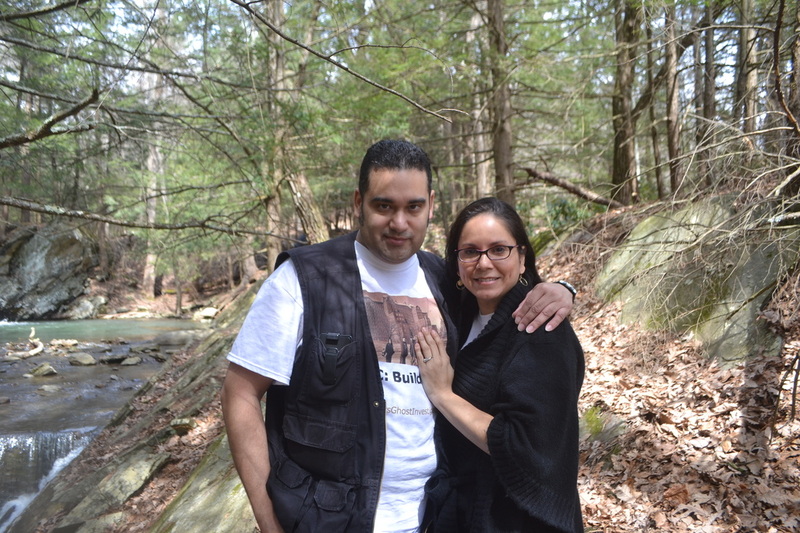 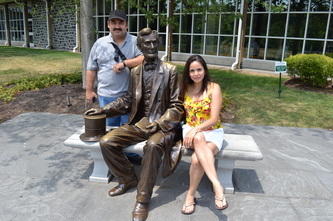 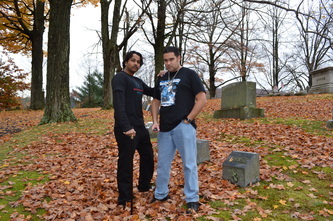 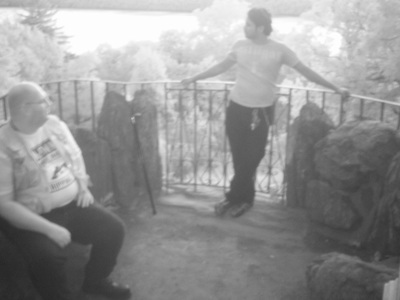 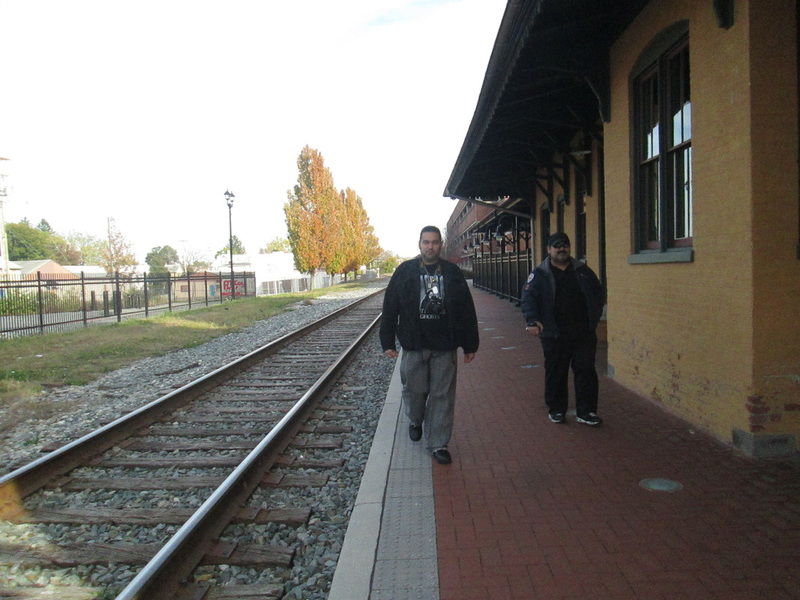 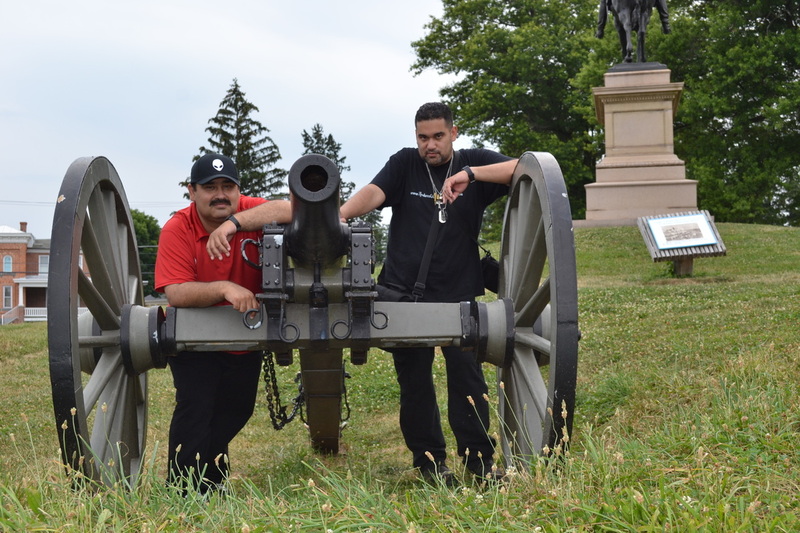 The Gettysburg investigations follow, which were spent with my brother, Chino. 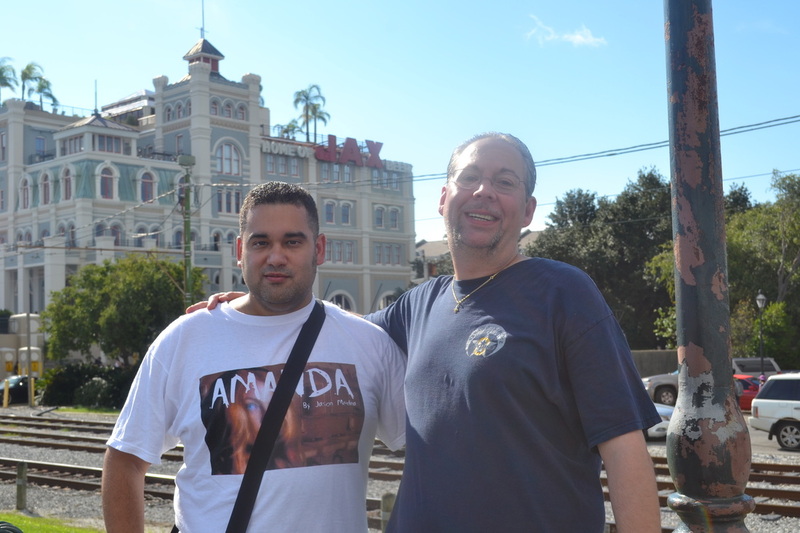 Last are photos from New Orleans with my friend, Ray. 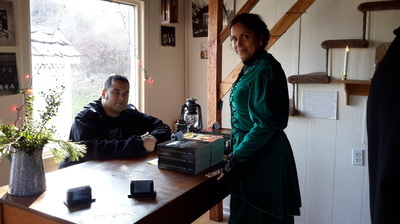 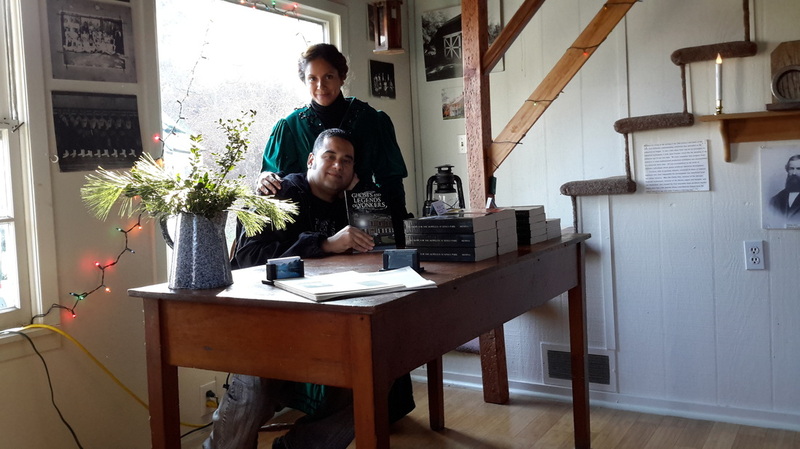 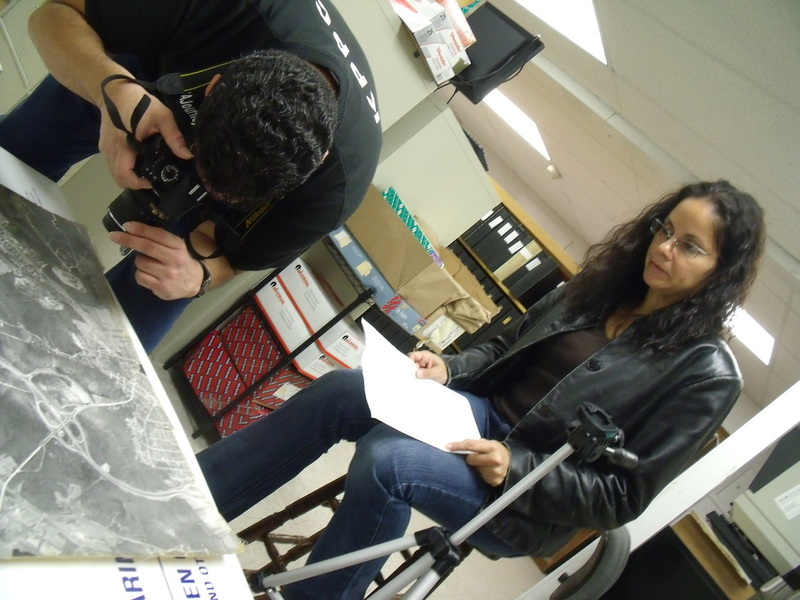 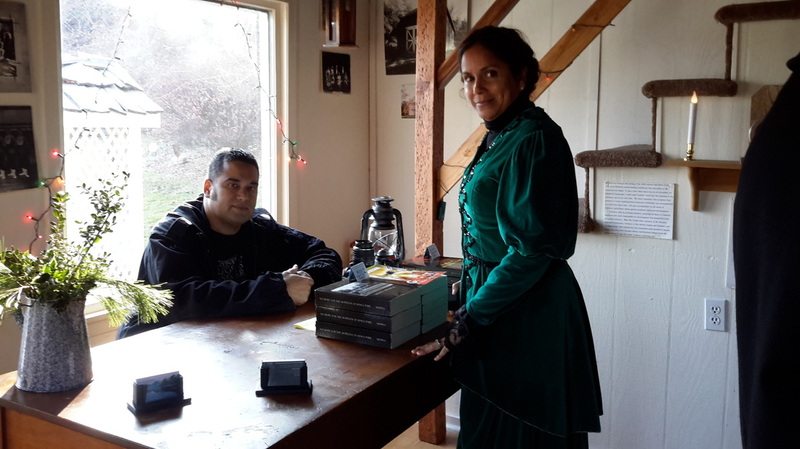 NOTE: A special thanks to Kings Park historian, King Pedlar, for taking some of the photos above of Jason & Jo-Ann doing research for the KPPC book. I'd also like to thank the police officers of Suffolk County PD for their input & cooperation during an investigation along Sweet Hollow Road.